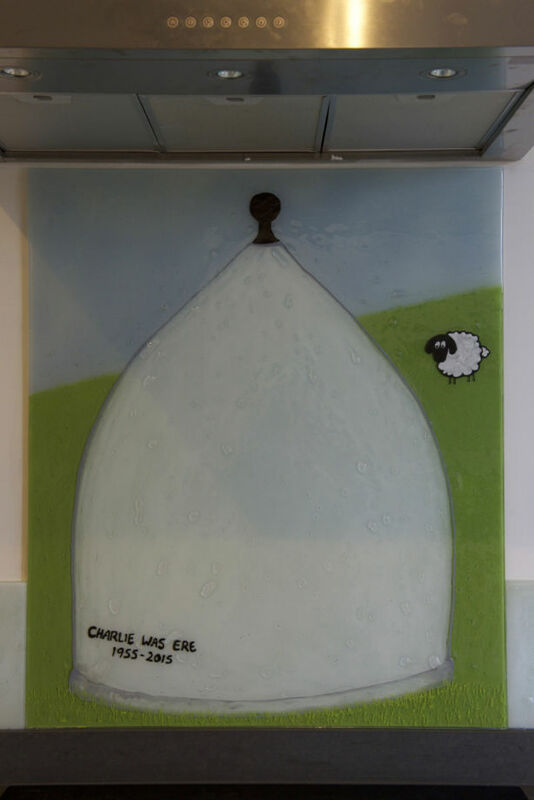 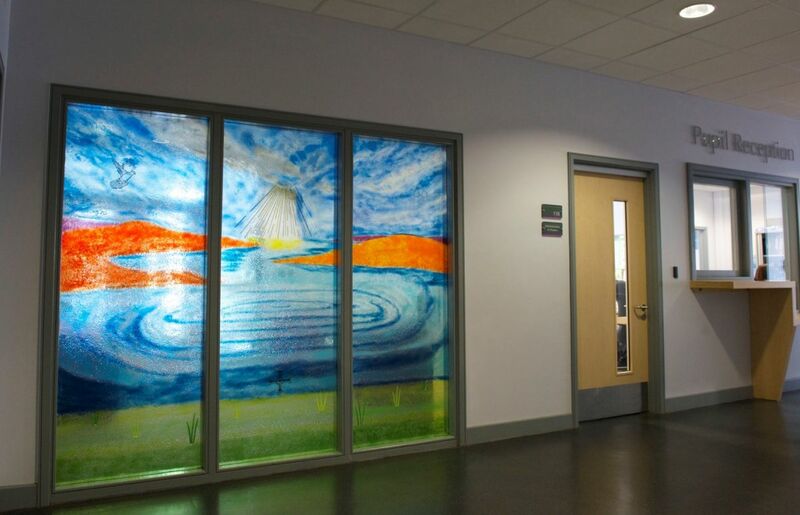 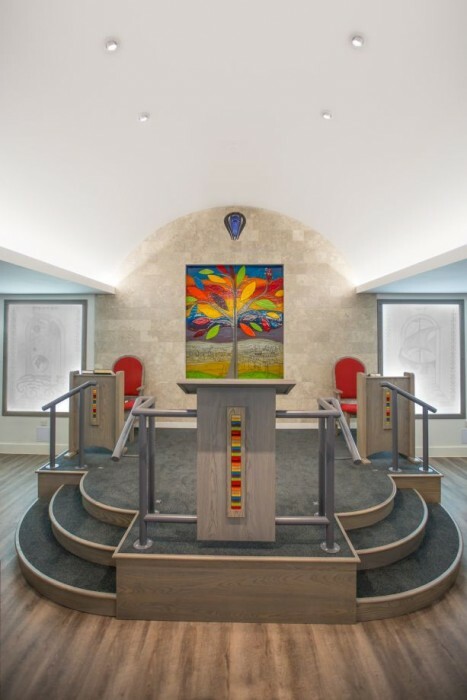 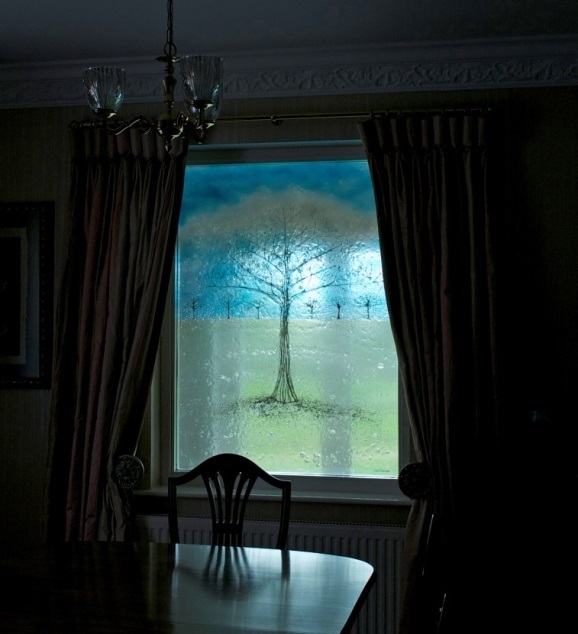 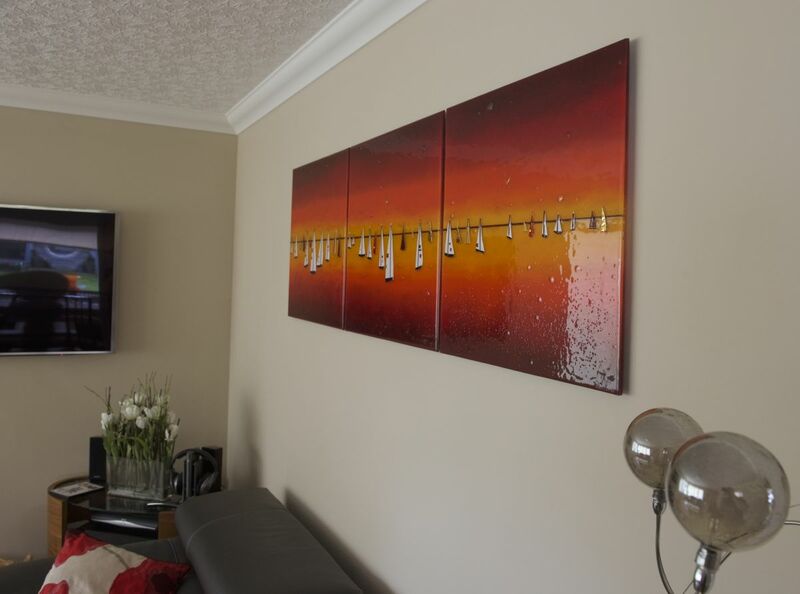 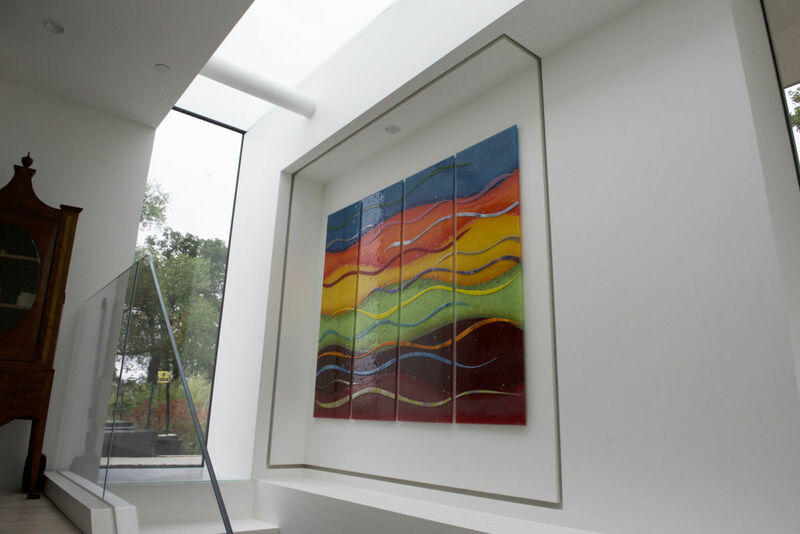 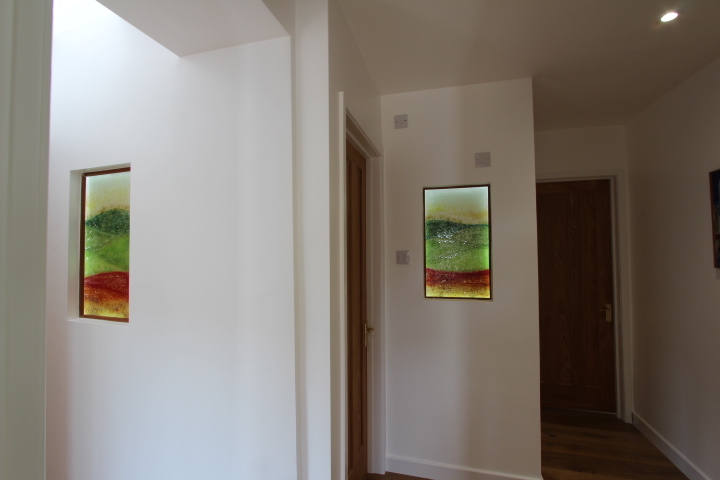 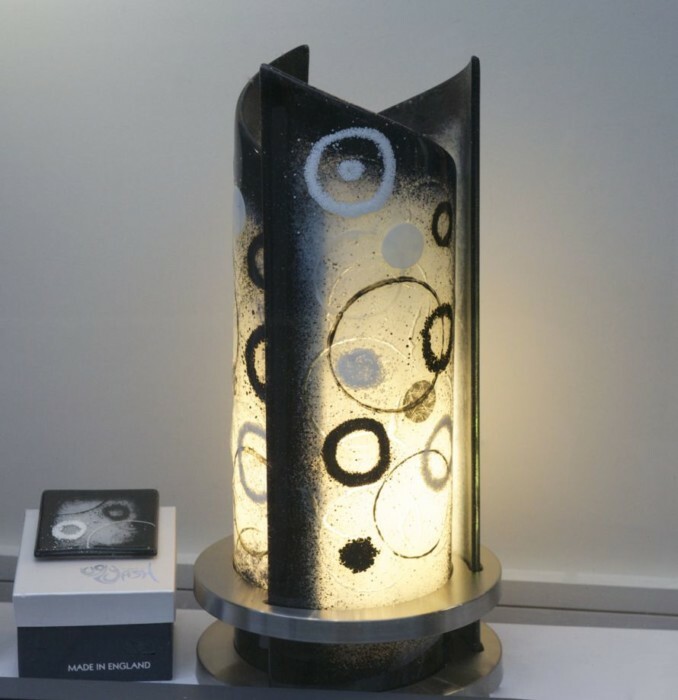 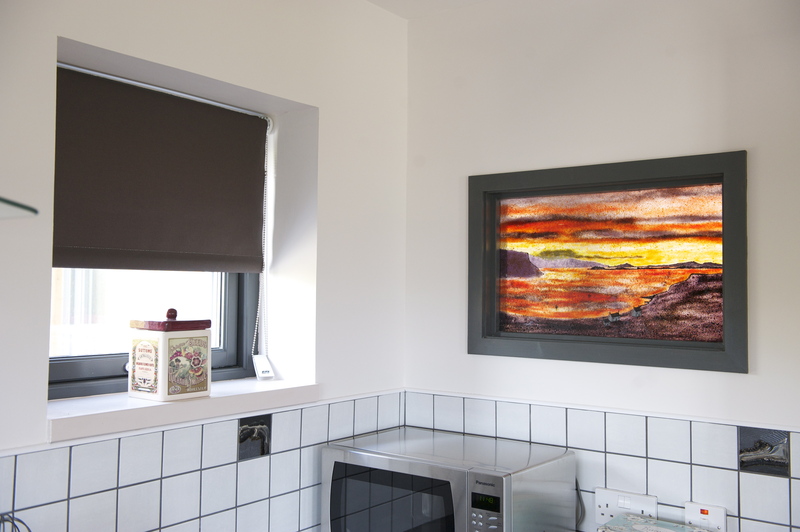 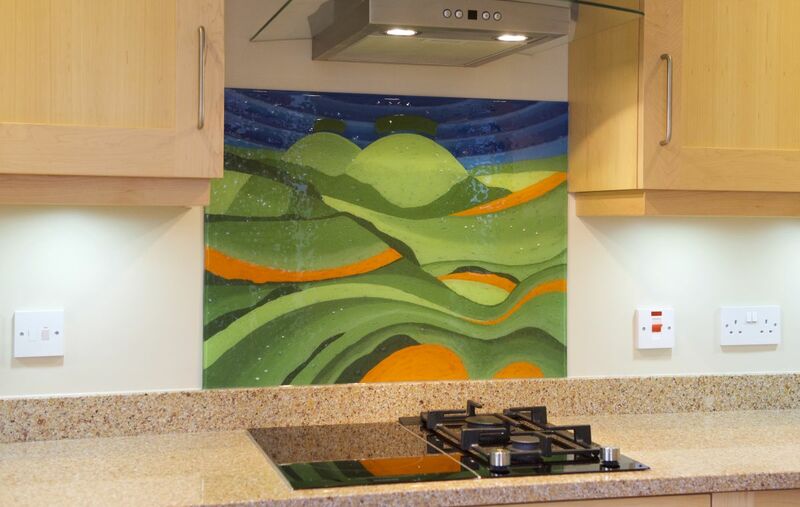 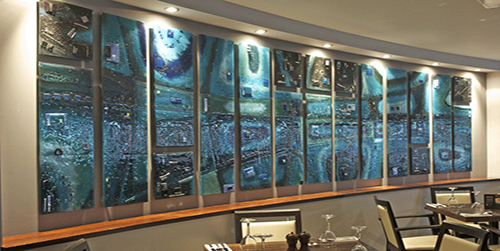 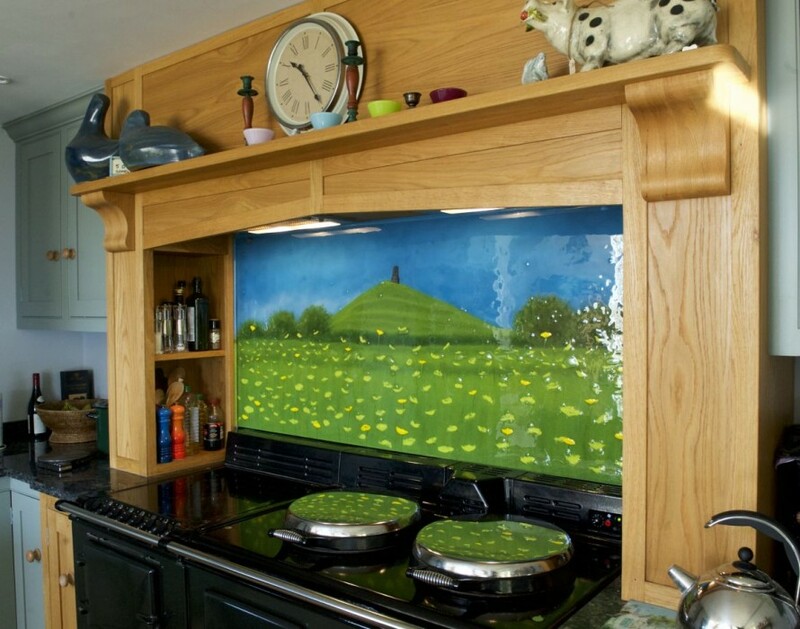 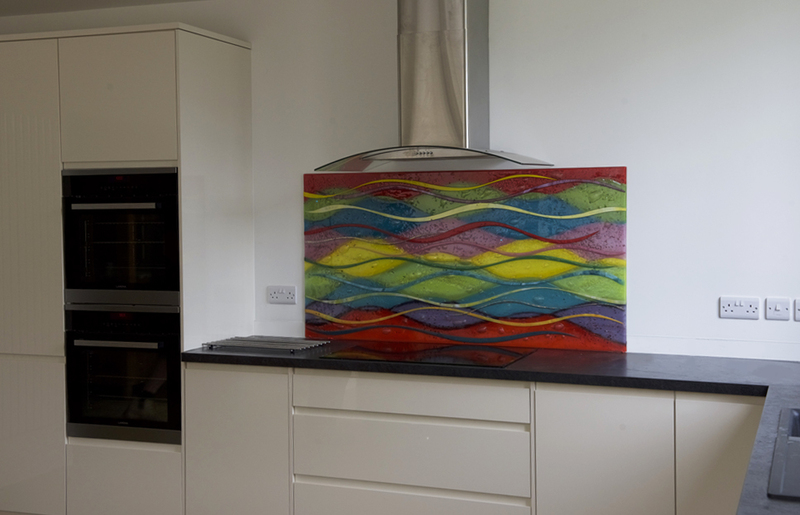 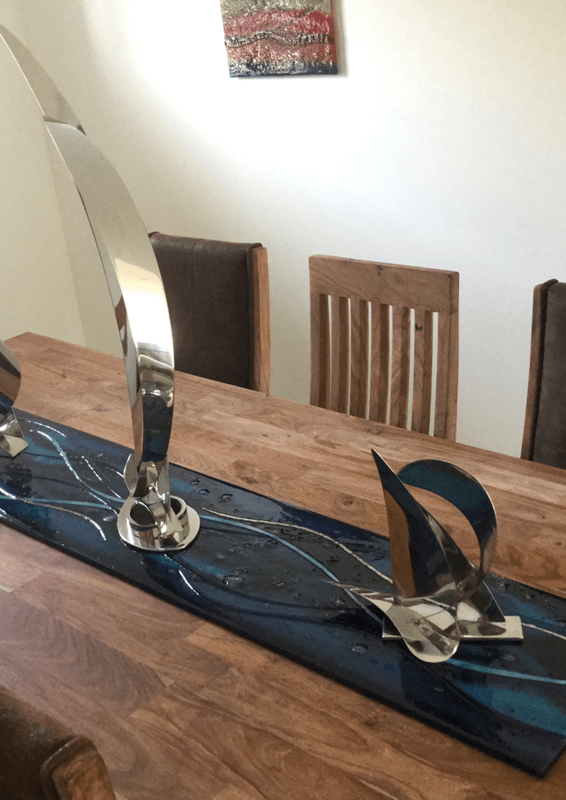 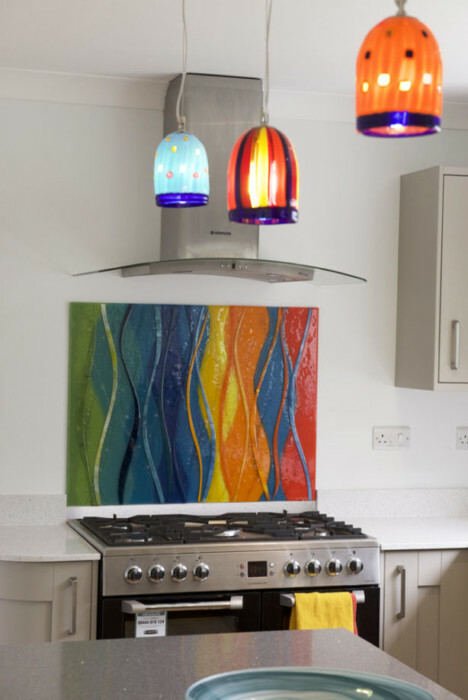 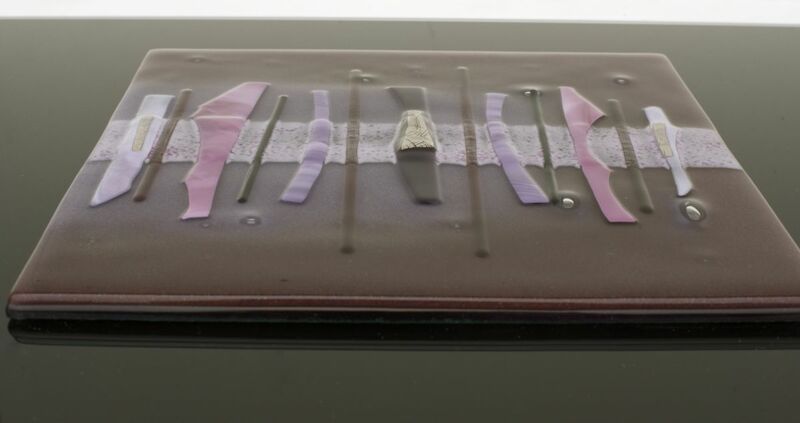 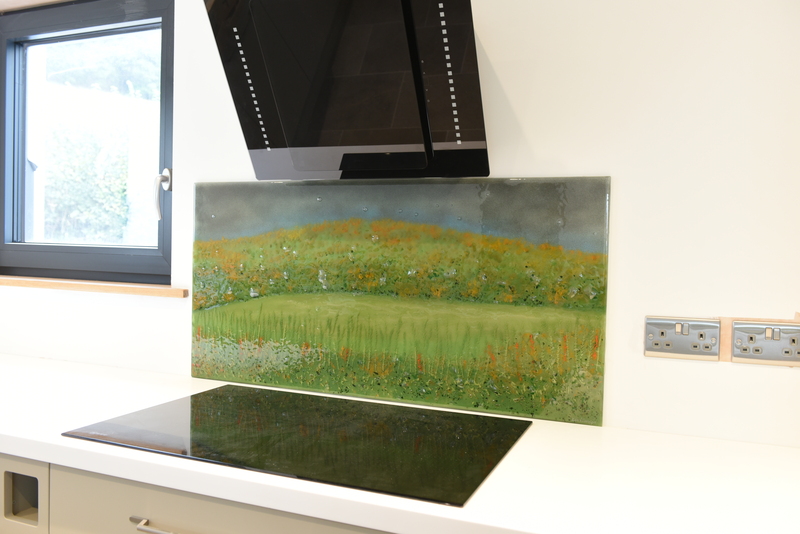 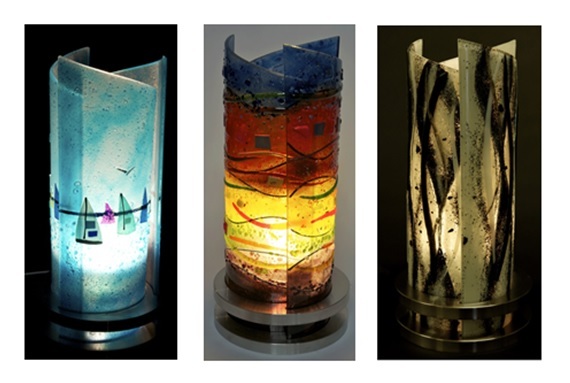 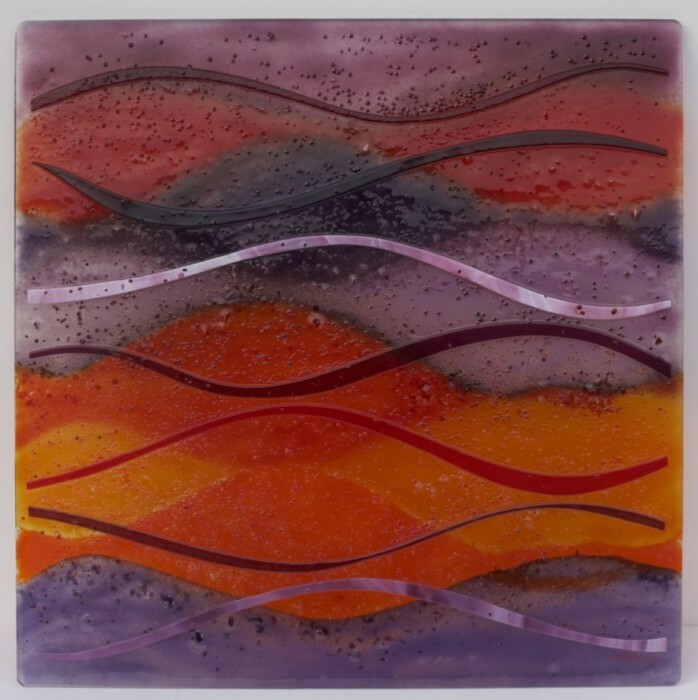 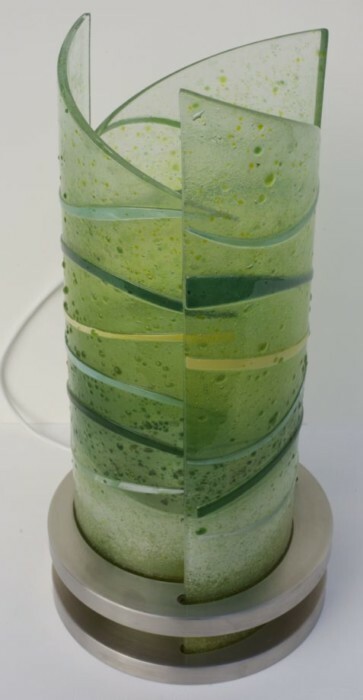 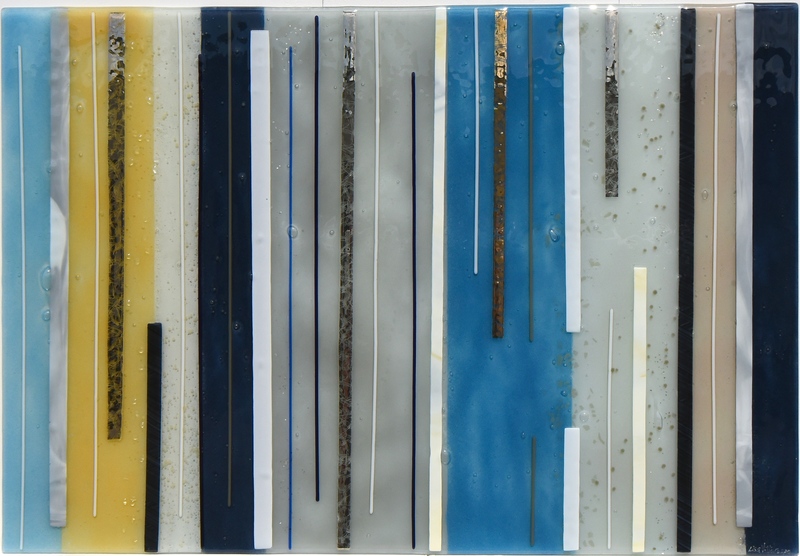 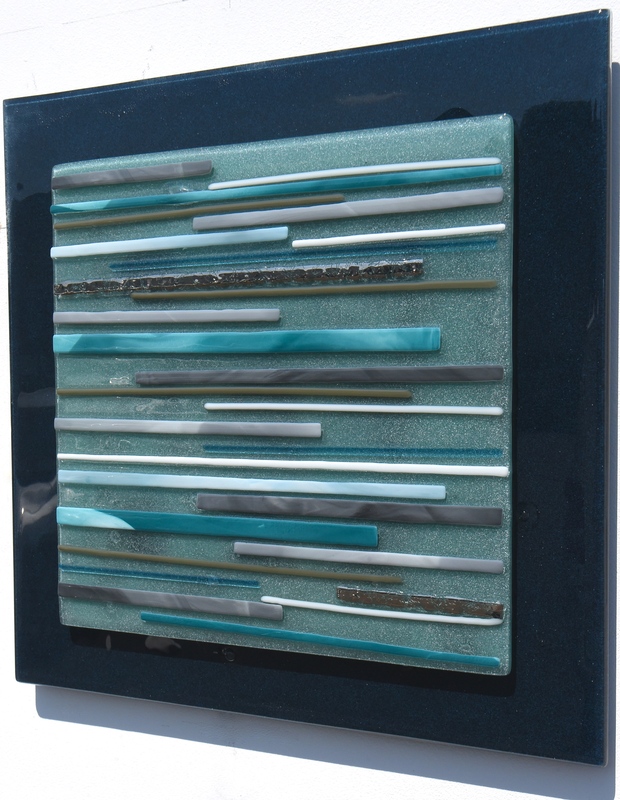 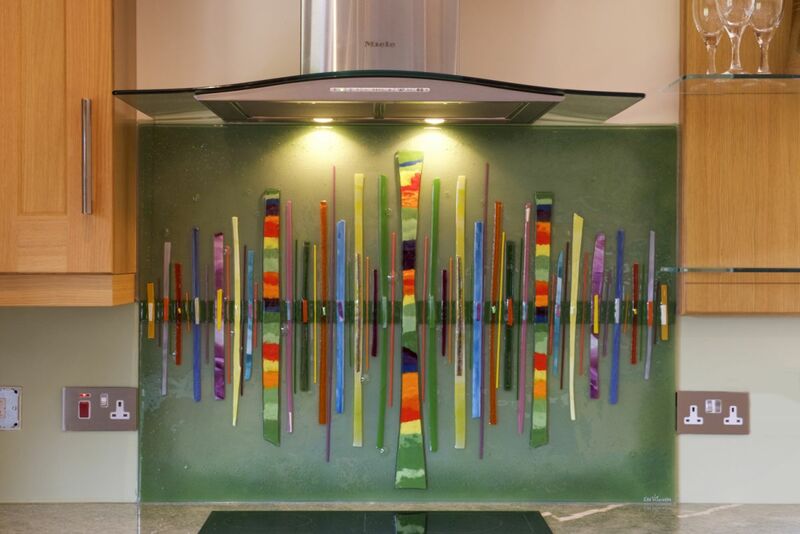 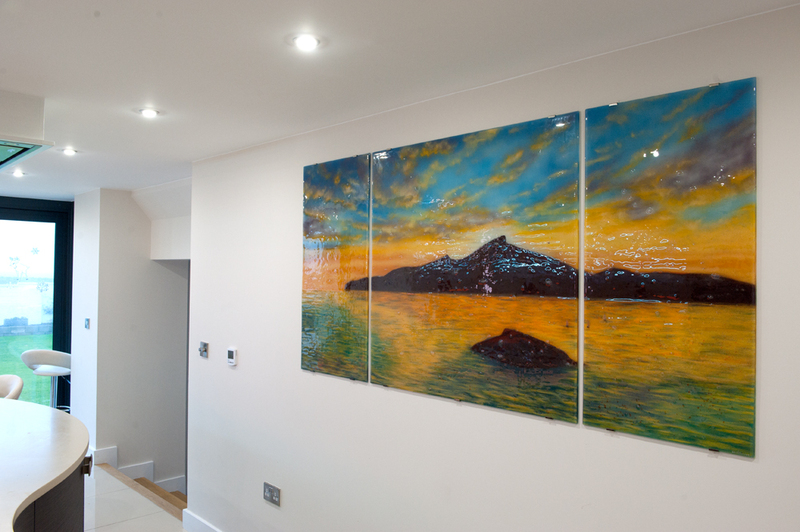 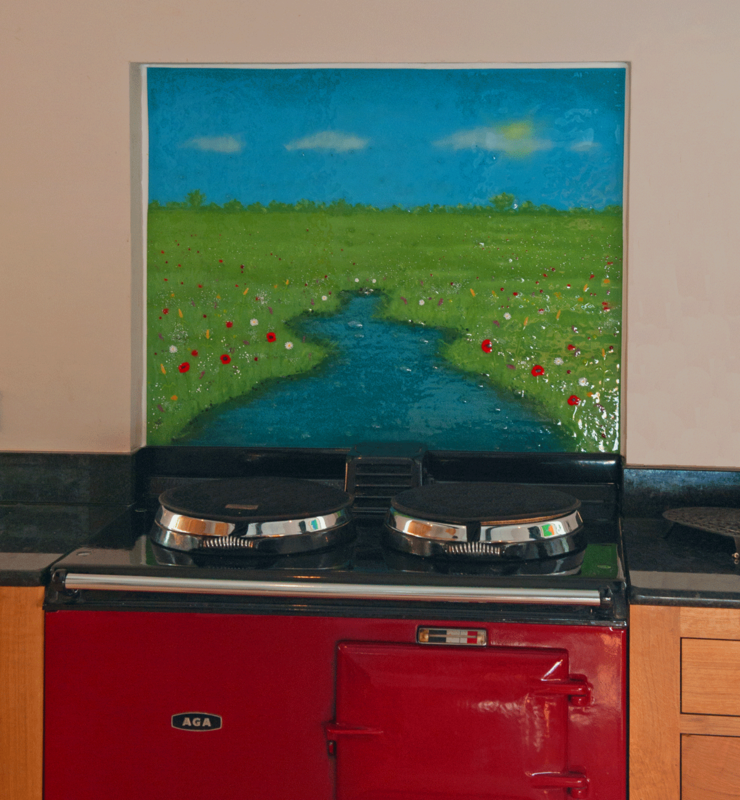 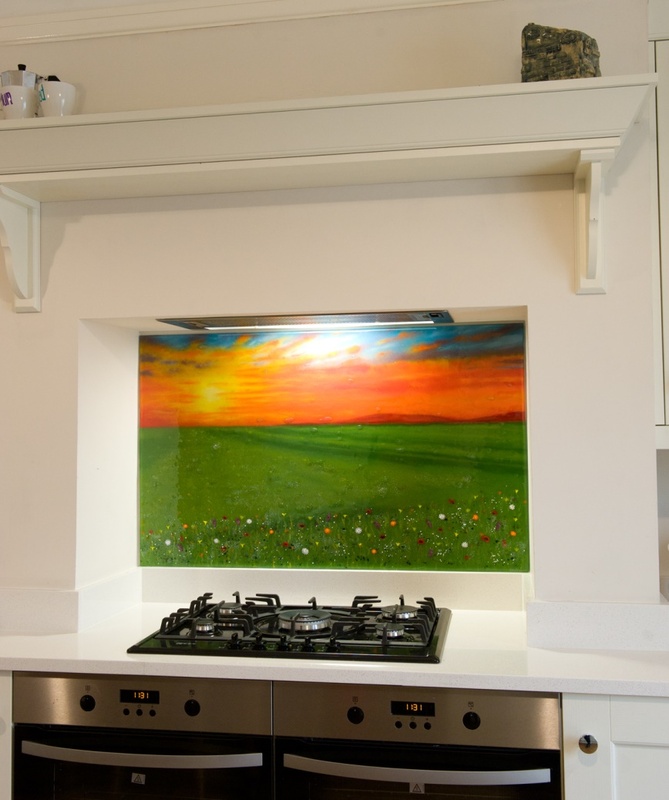 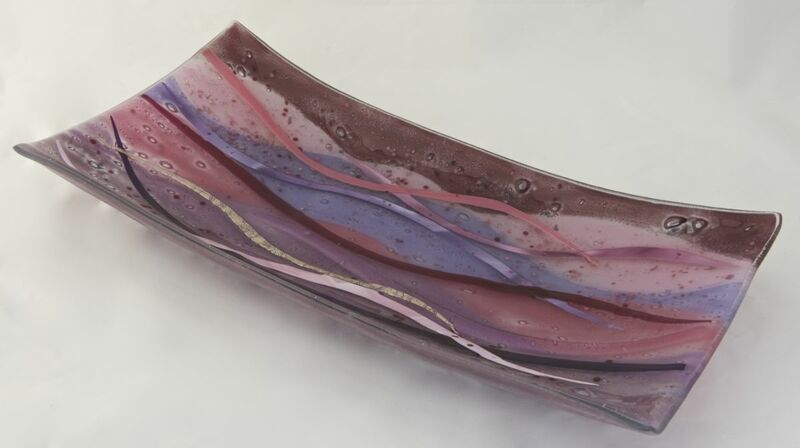 Created for a client of ours who loved the work of Patrick Cannon, this lovely piece aimed to recreate the Wittenham Clumps through the medium of fused glass art. 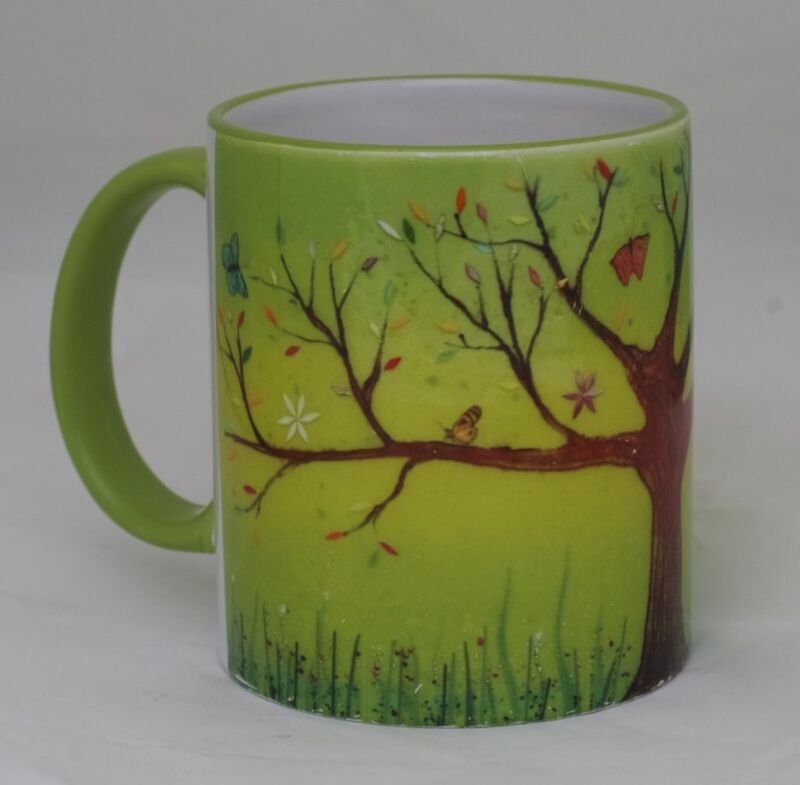 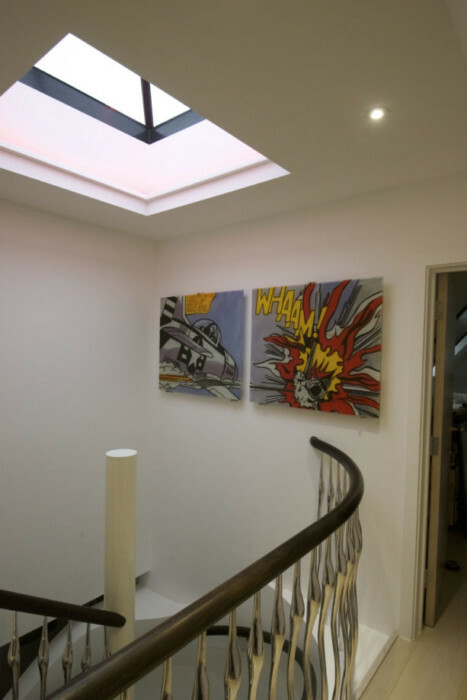 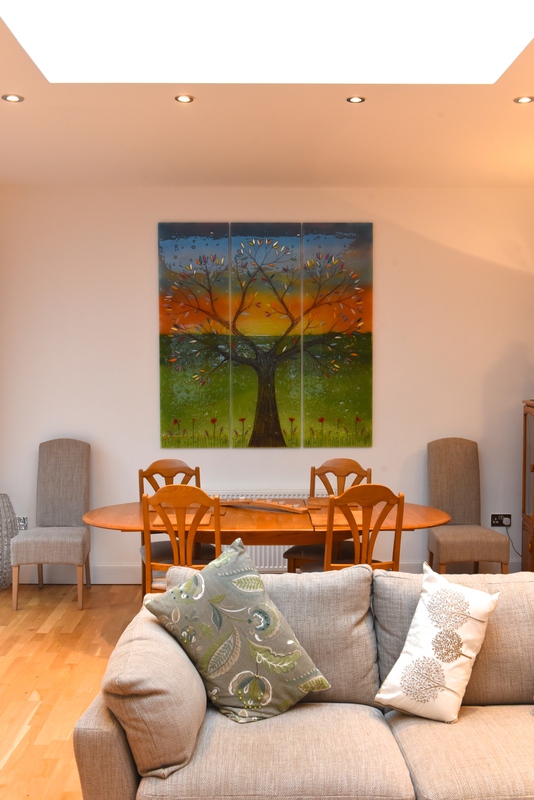 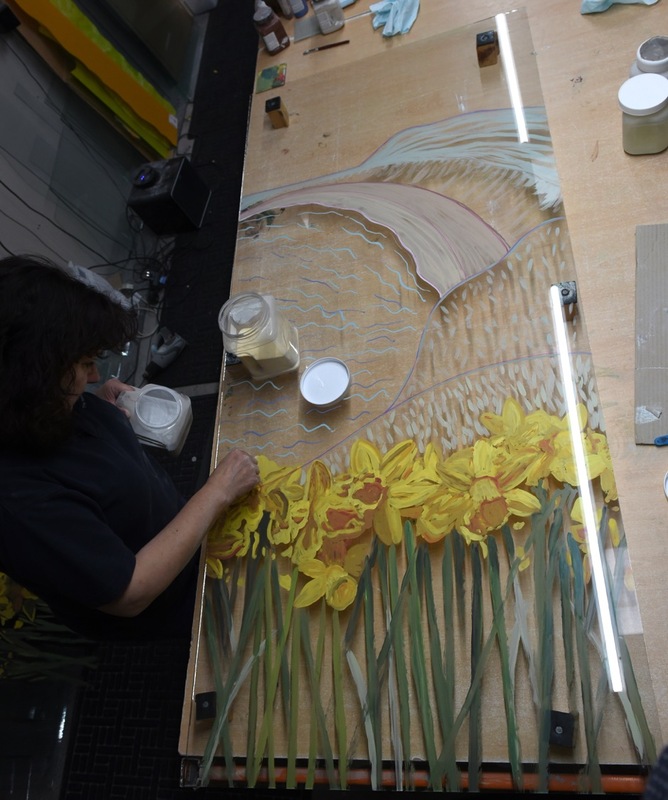 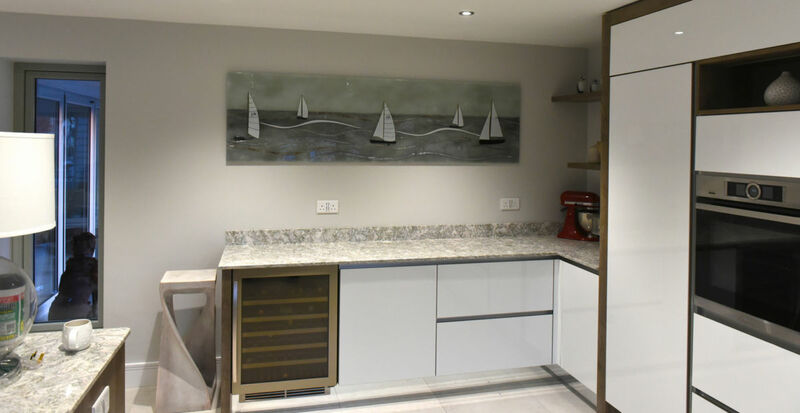 Lisa was all too happy to replicate the design, calling on an extensive background of traditional painting experience to really emulate the artist’s style on a wholly different kind of canvas. 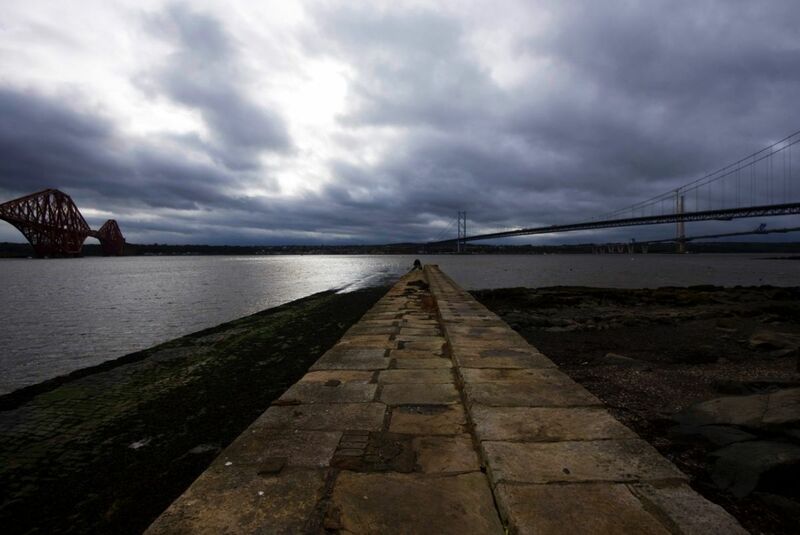 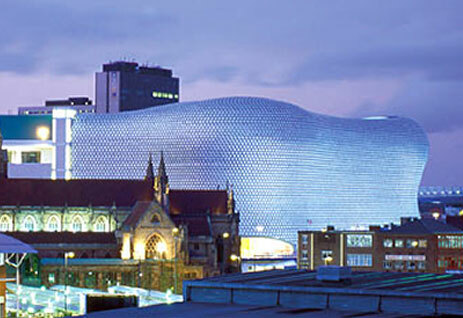 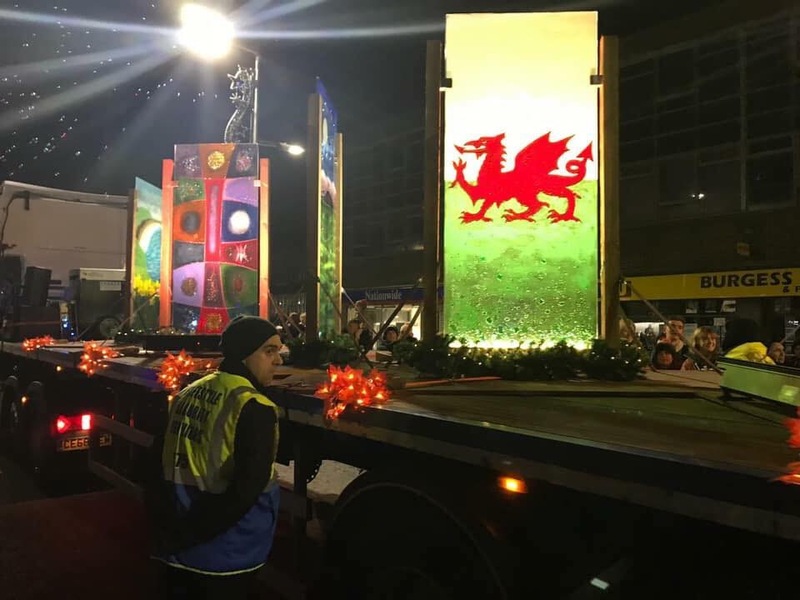 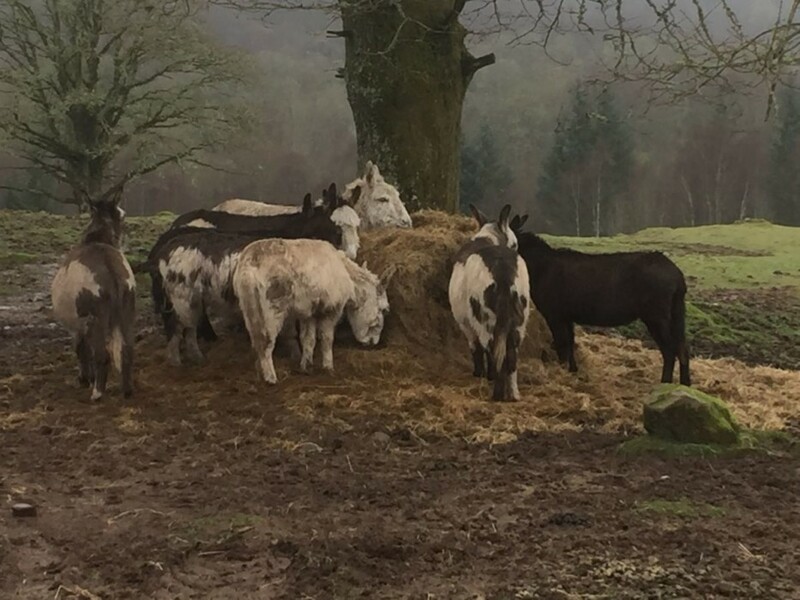 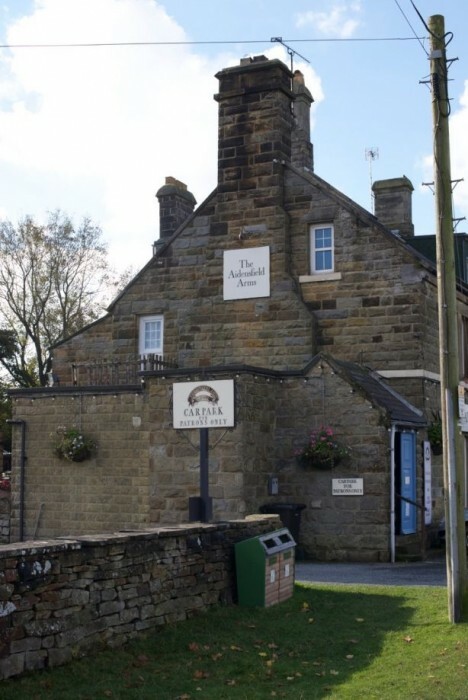 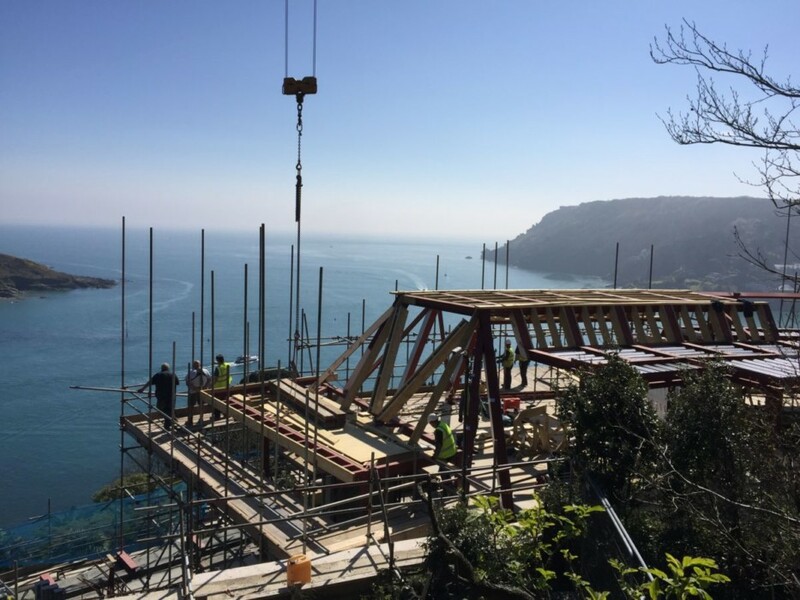 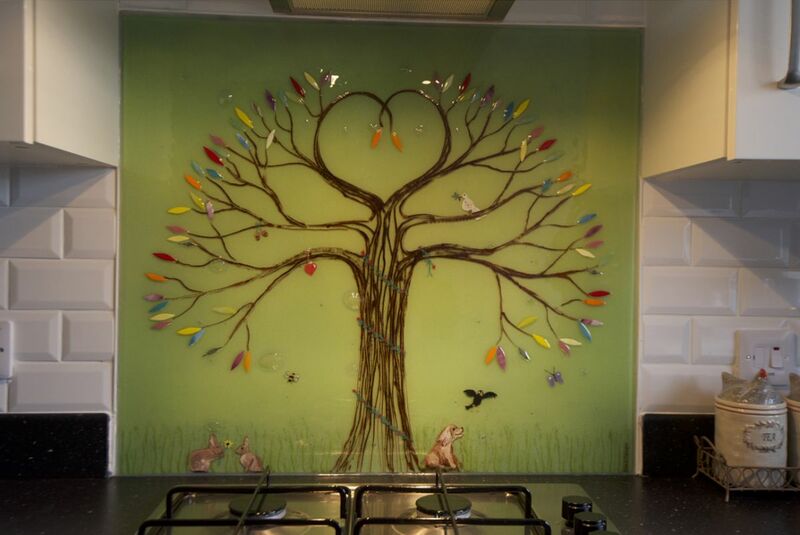 We were extremely happy with the end result! 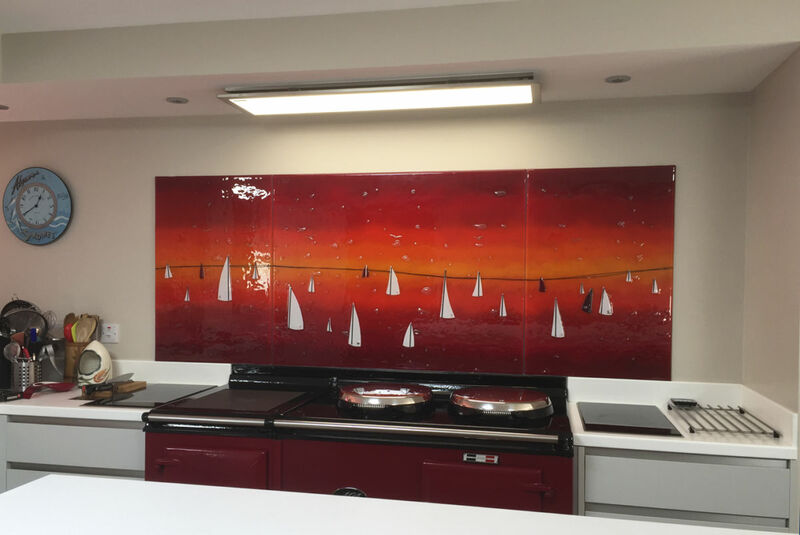 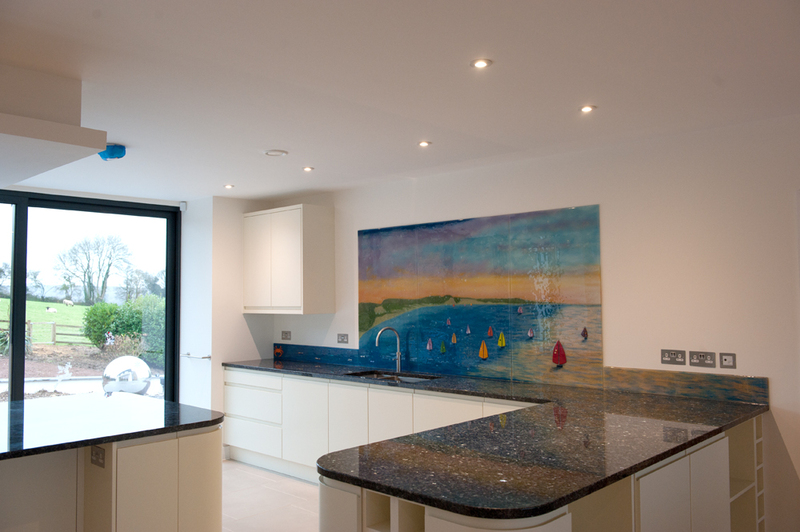 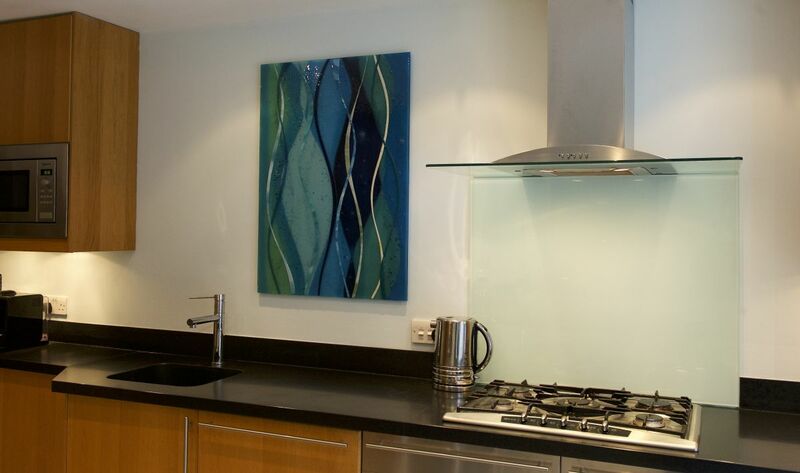 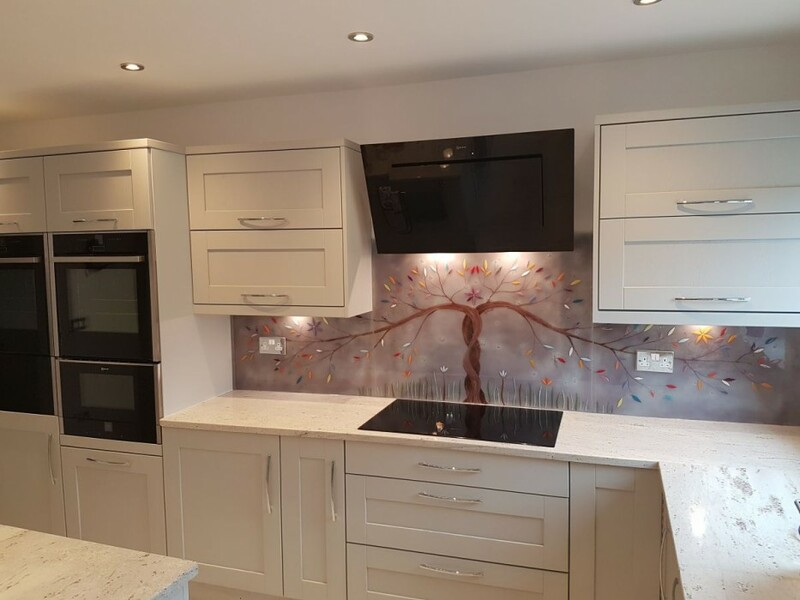 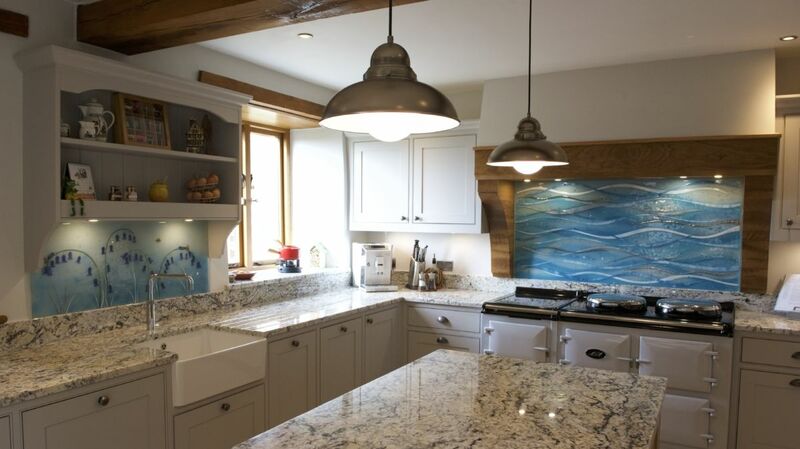 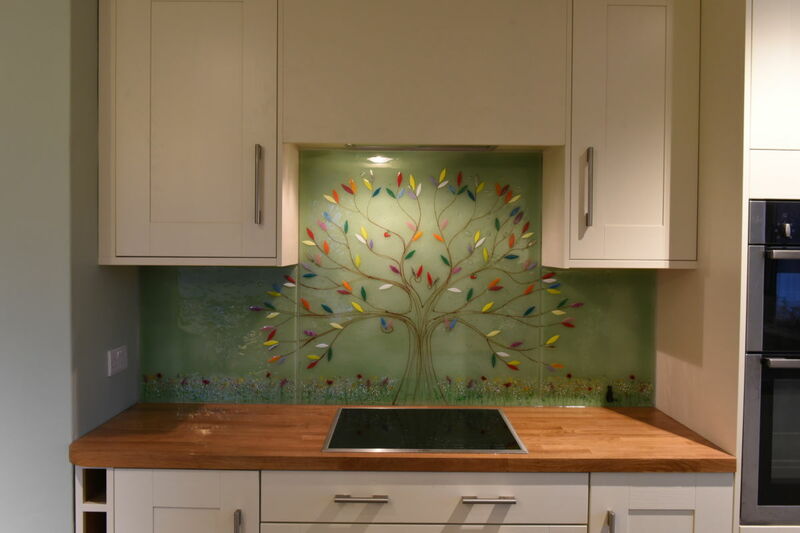 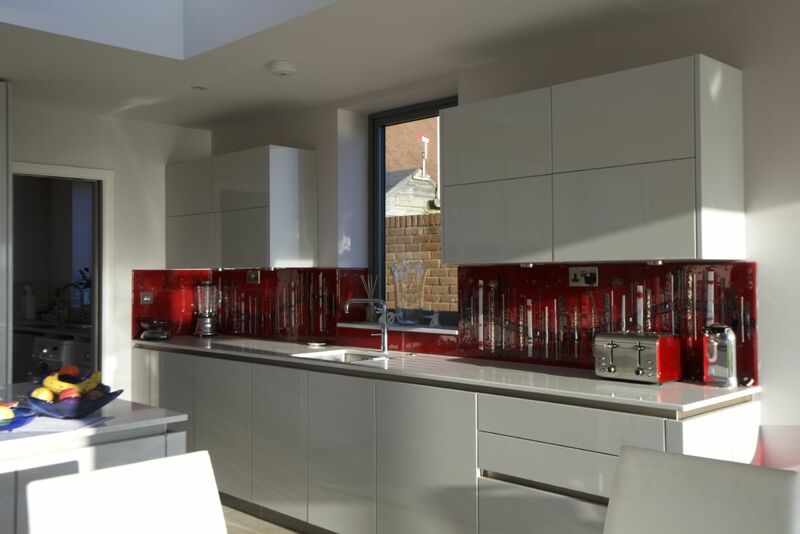 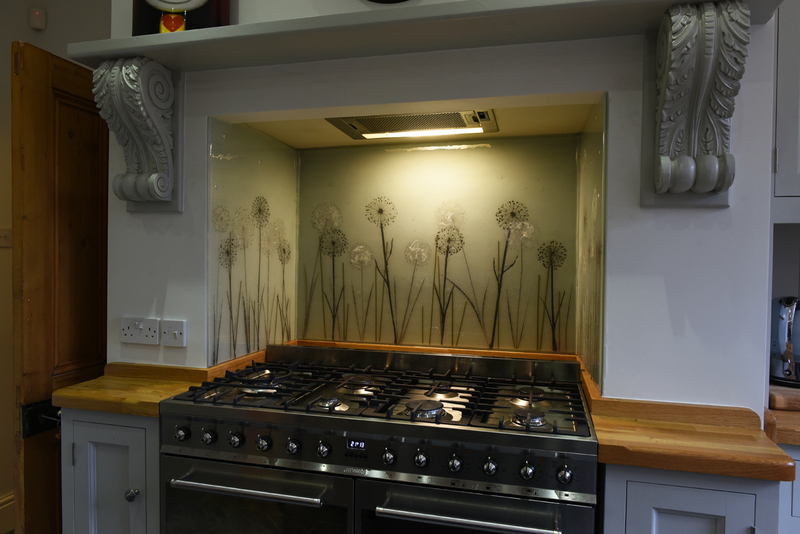 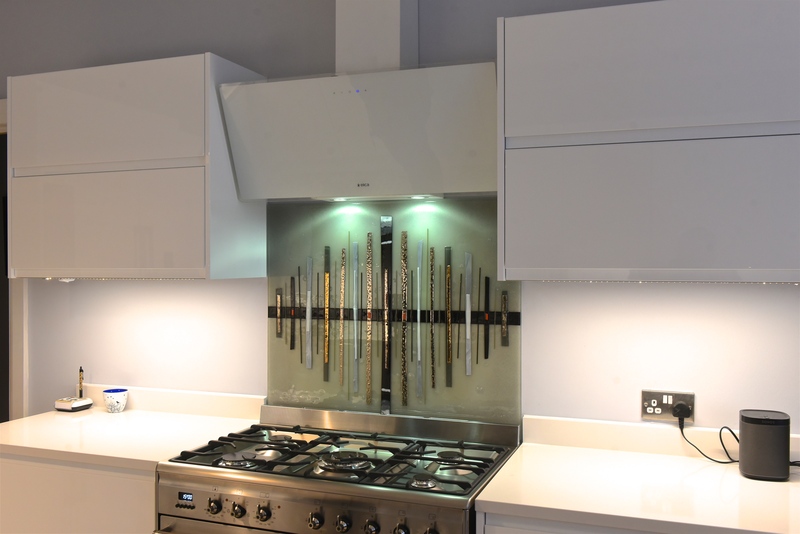 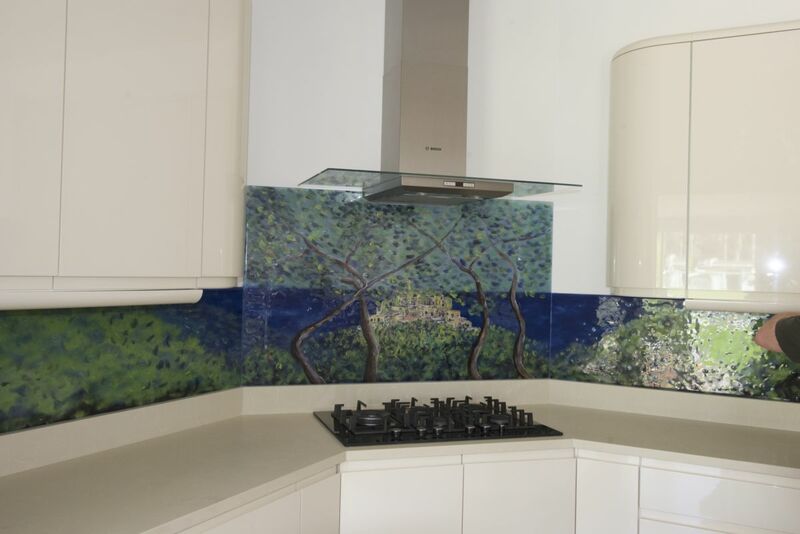 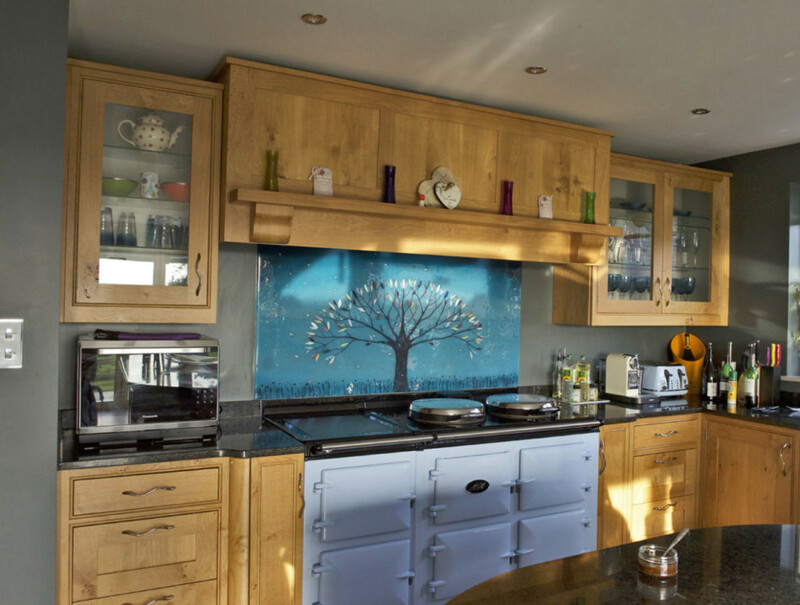 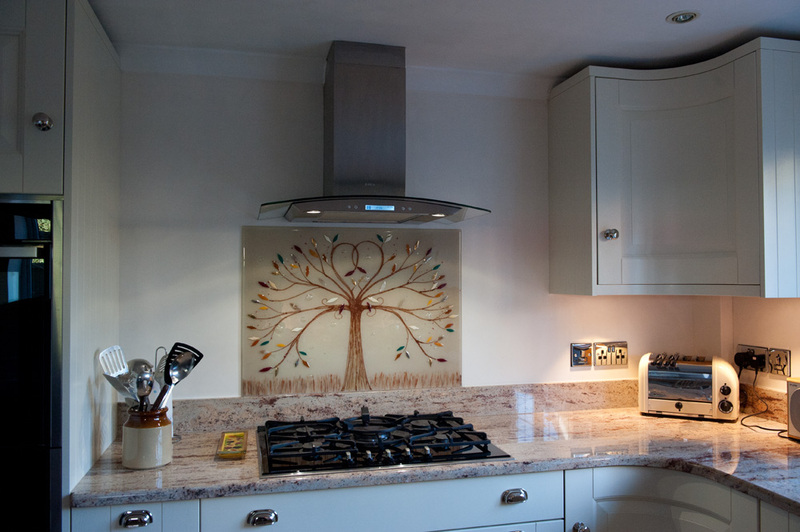 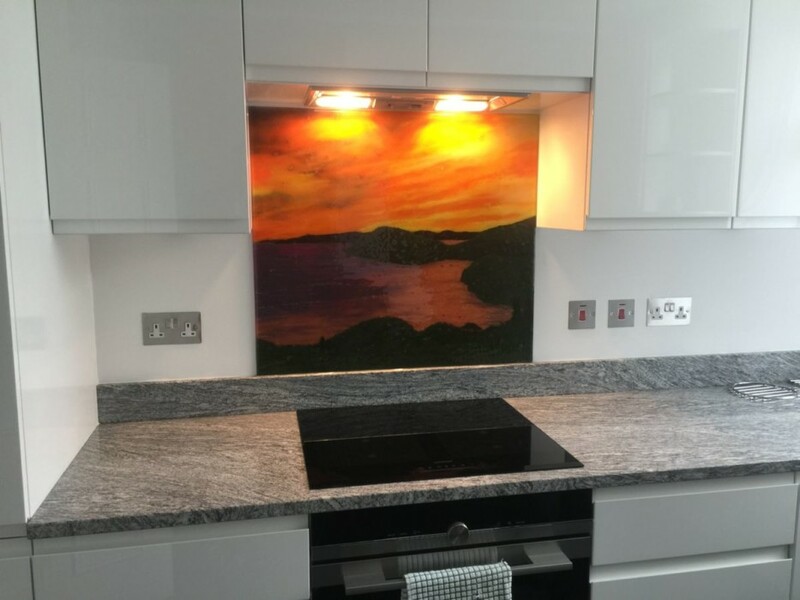 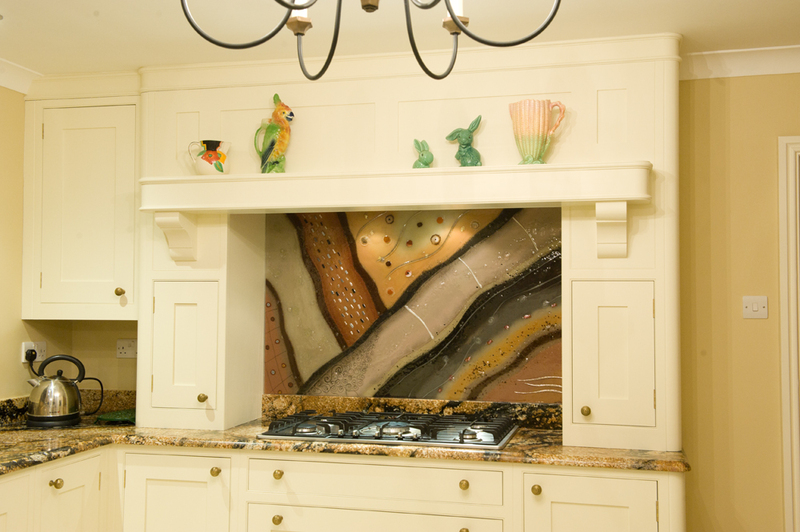 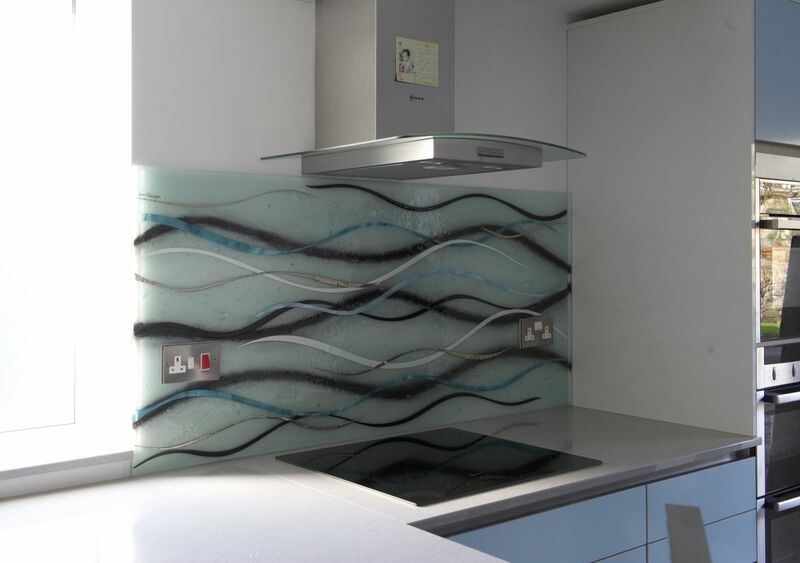 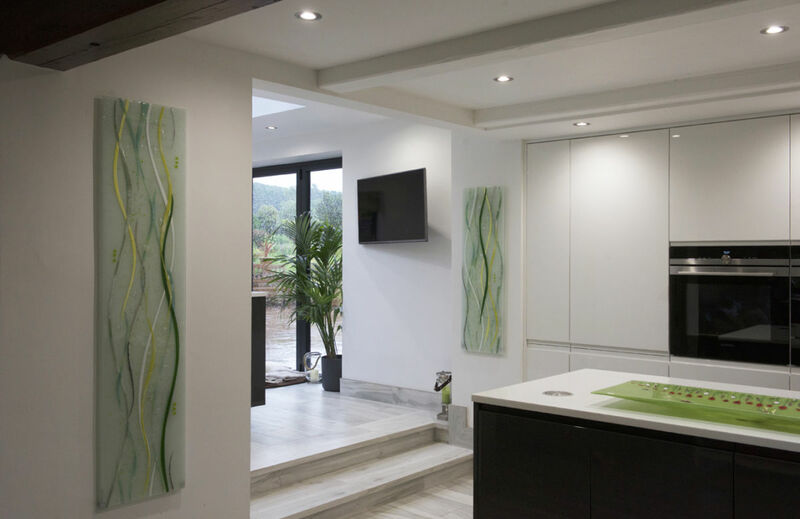 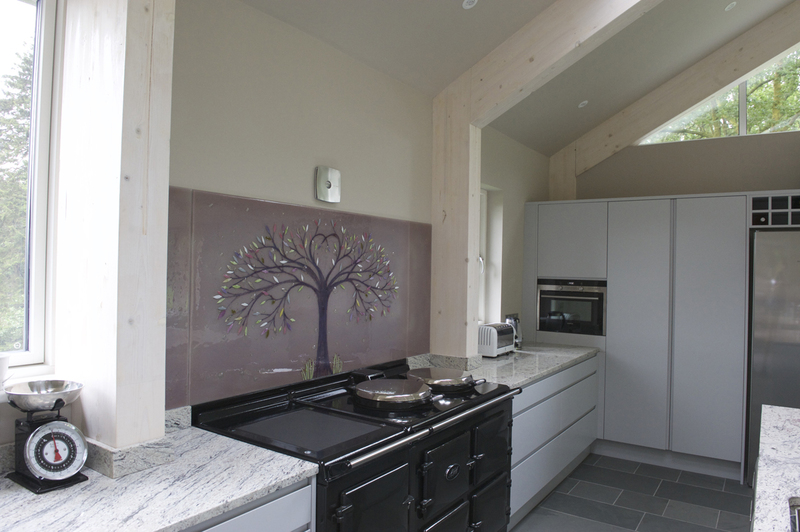 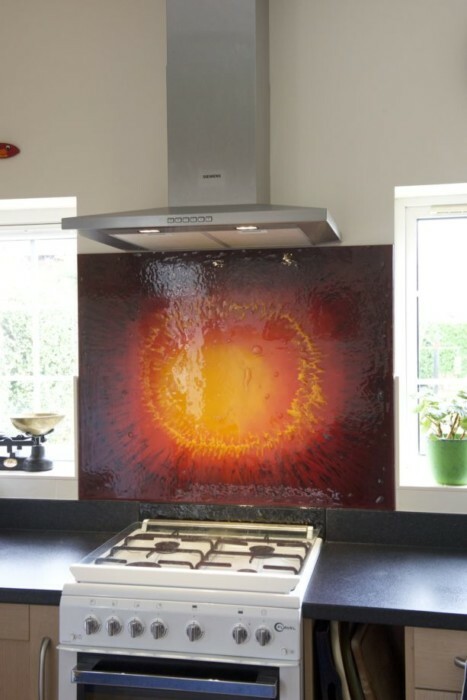 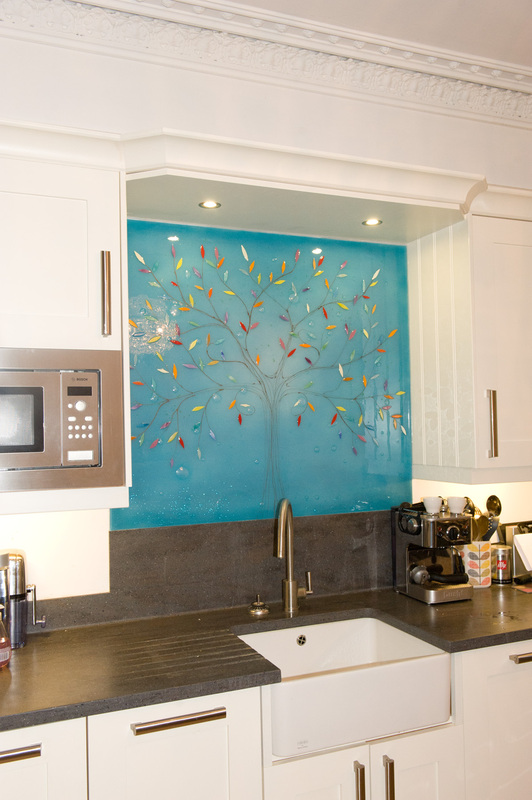 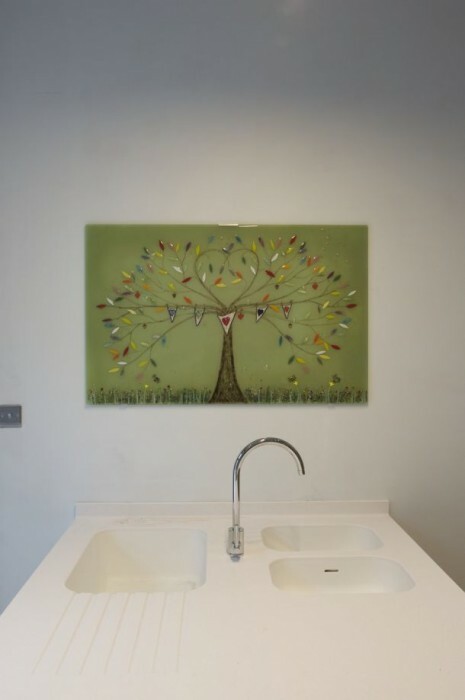 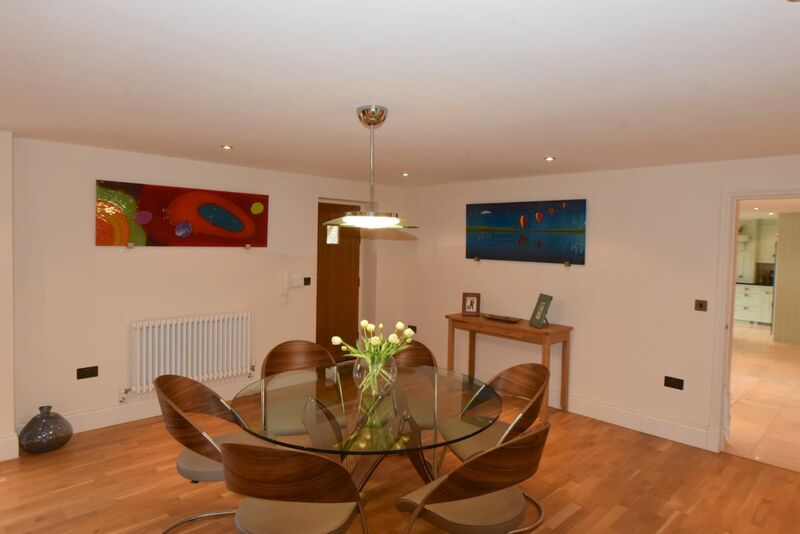 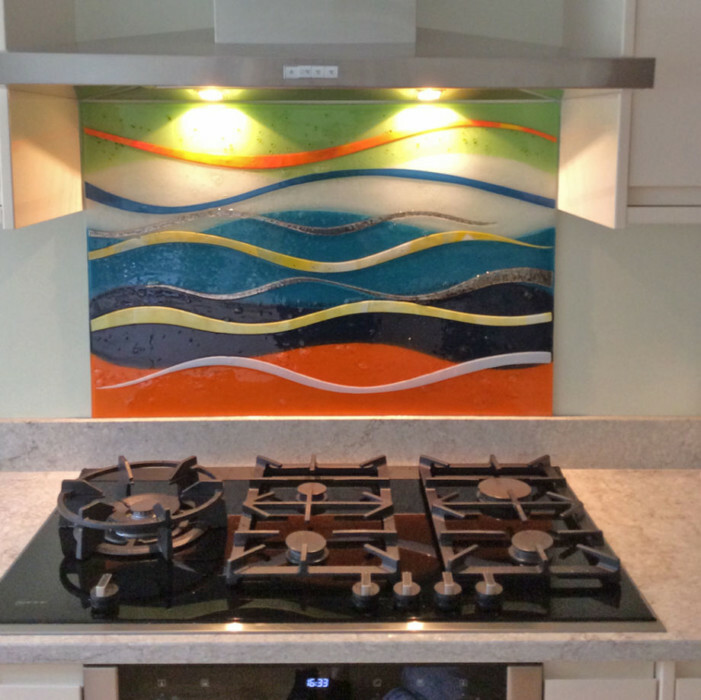 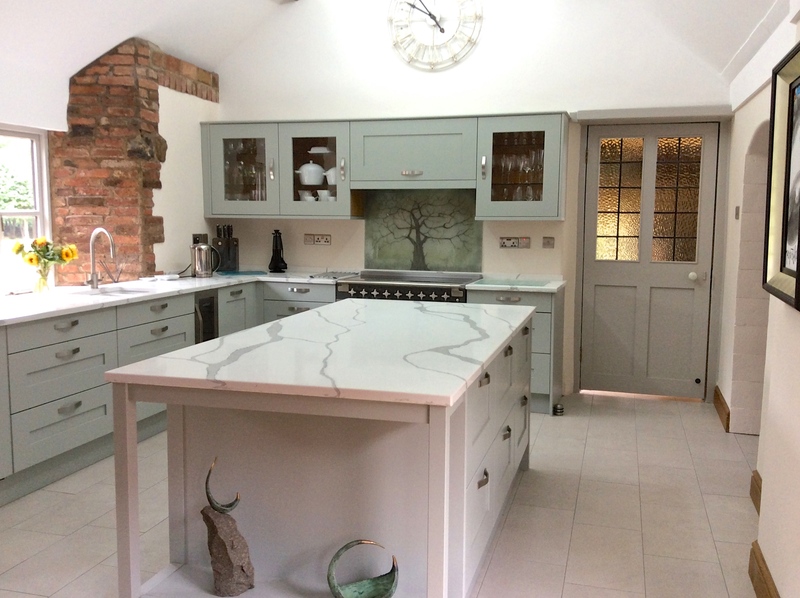 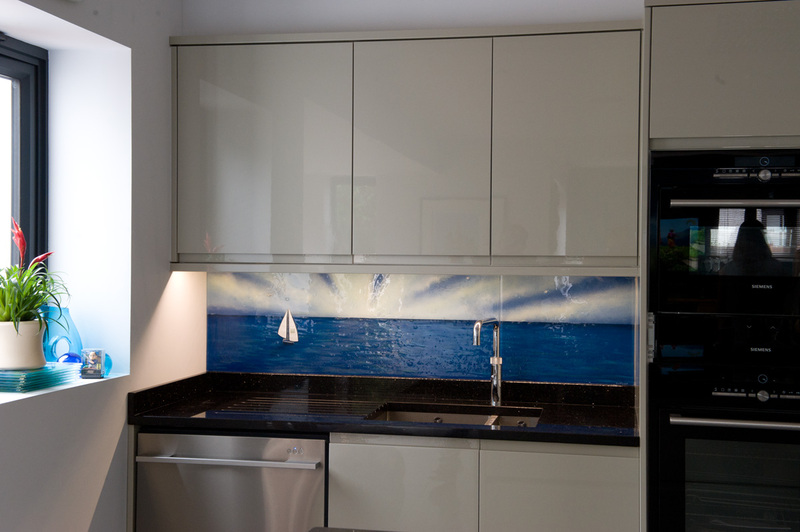 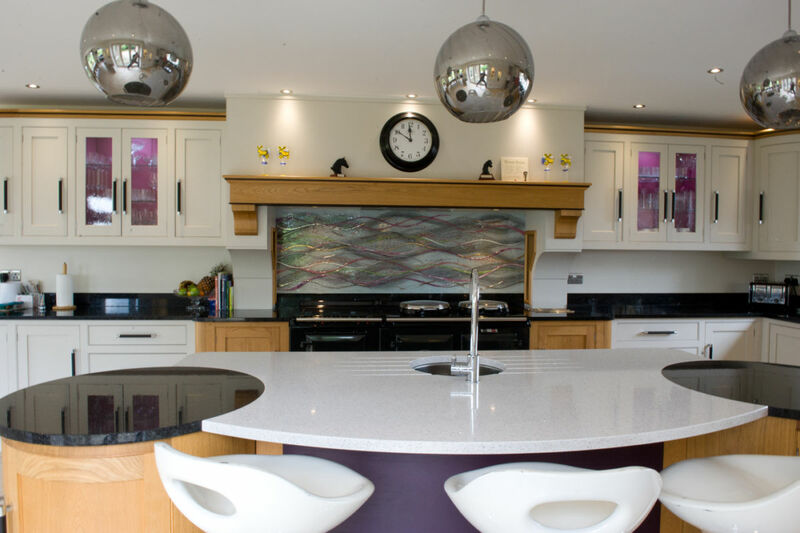 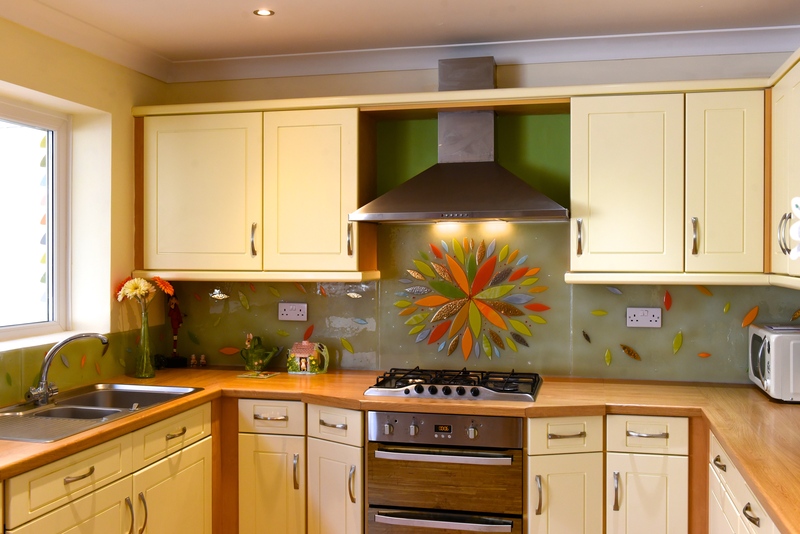 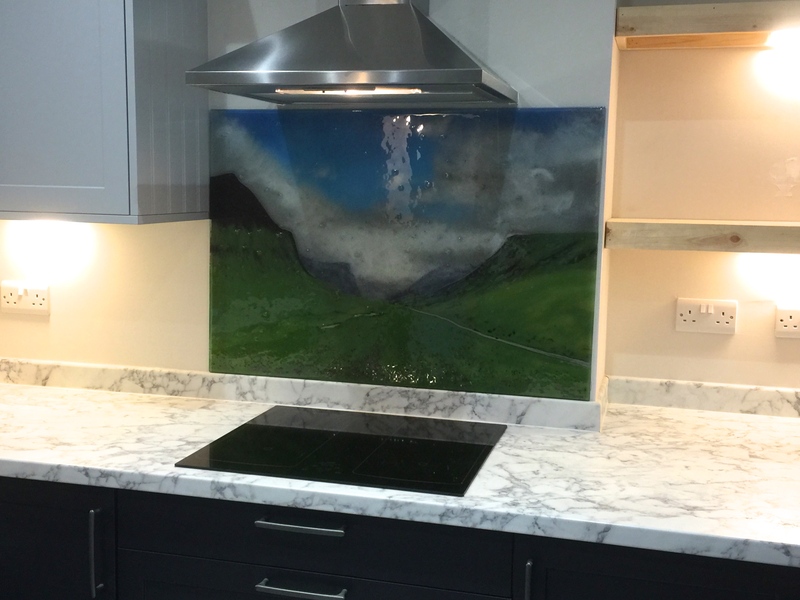 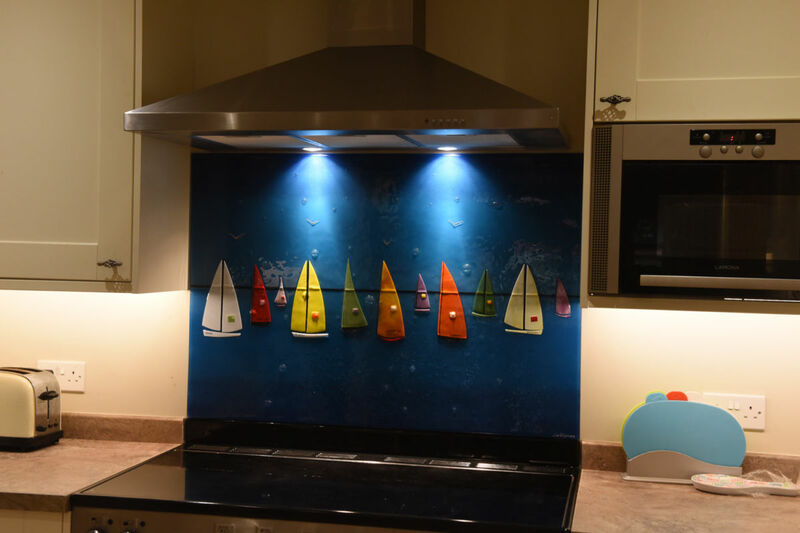 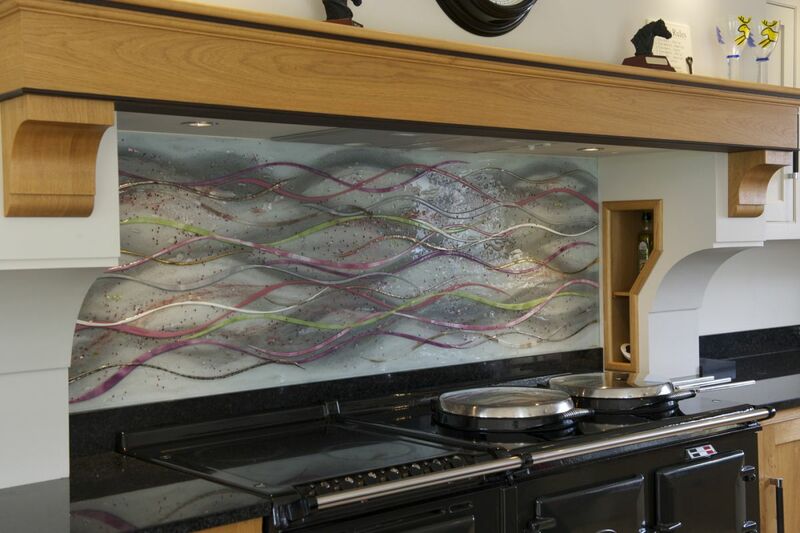 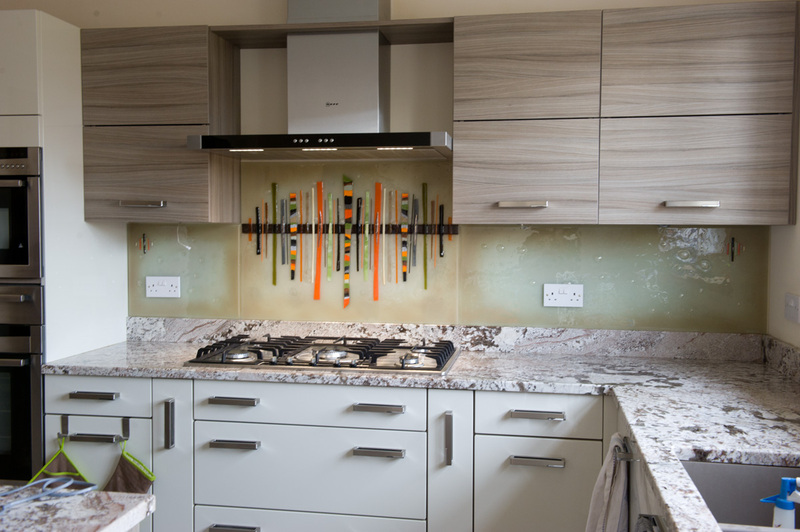 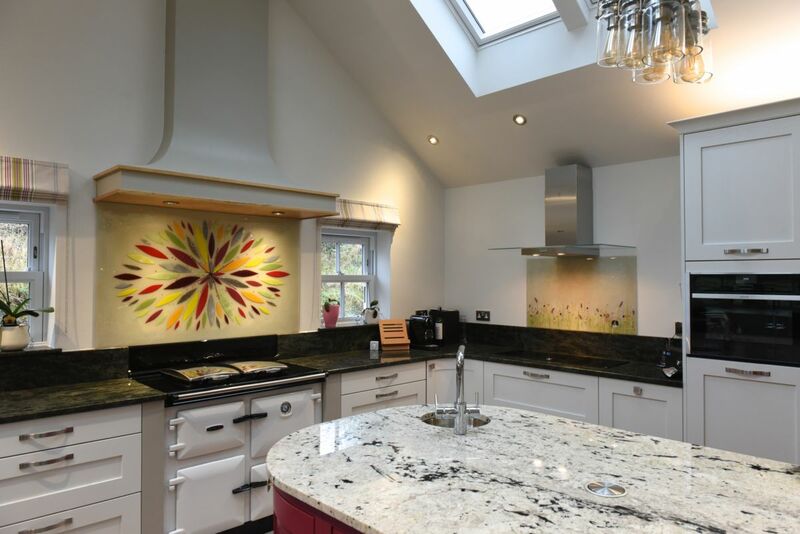 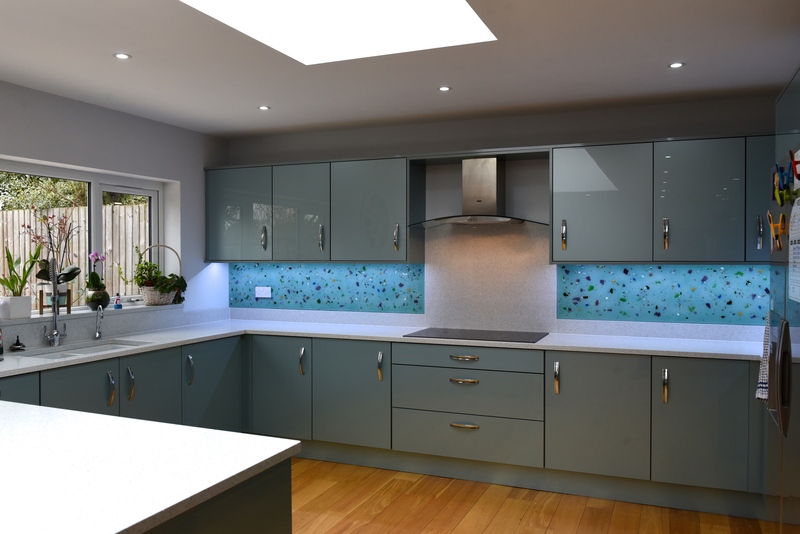 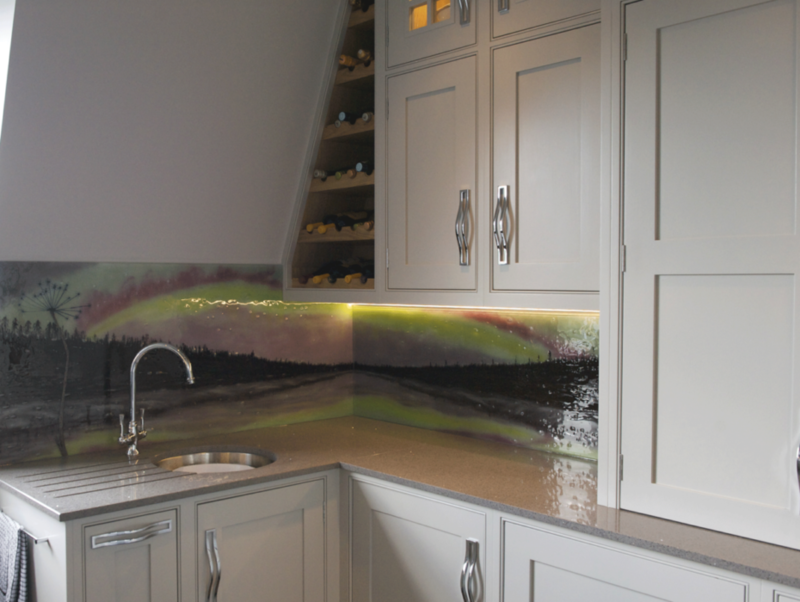 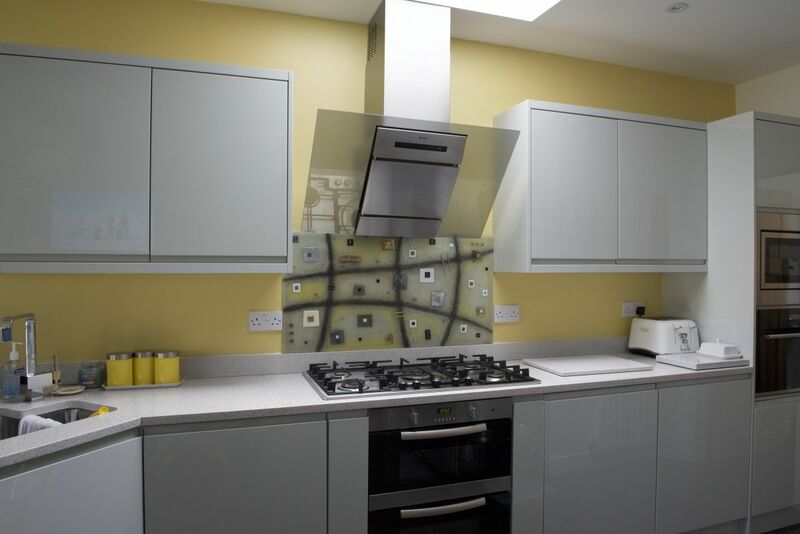 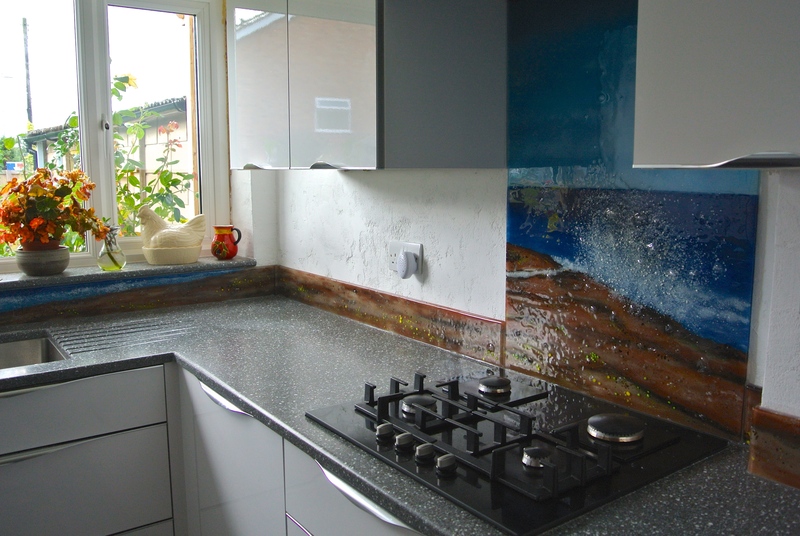 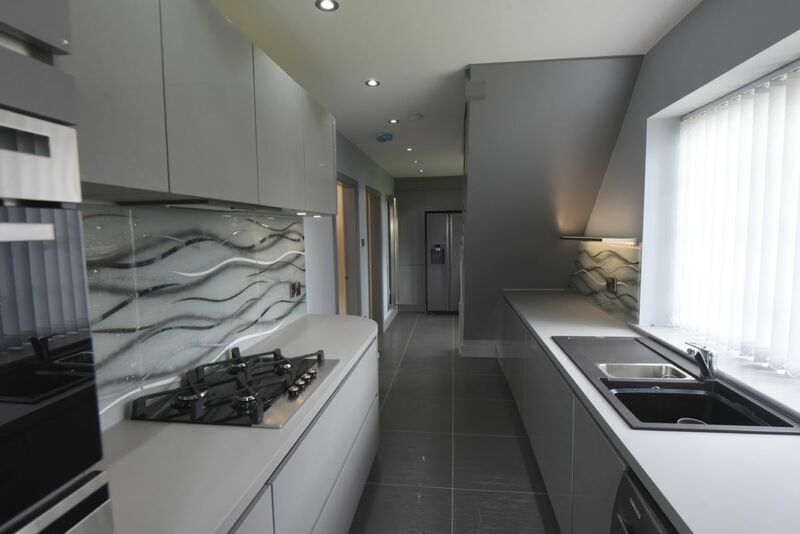 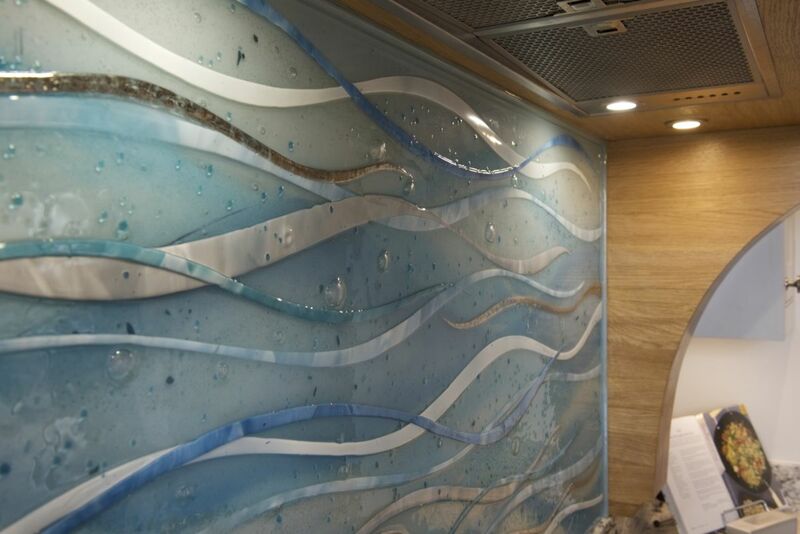 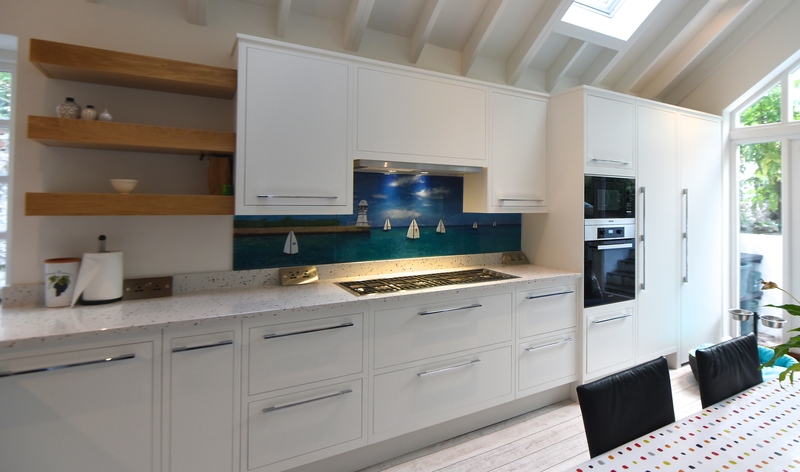 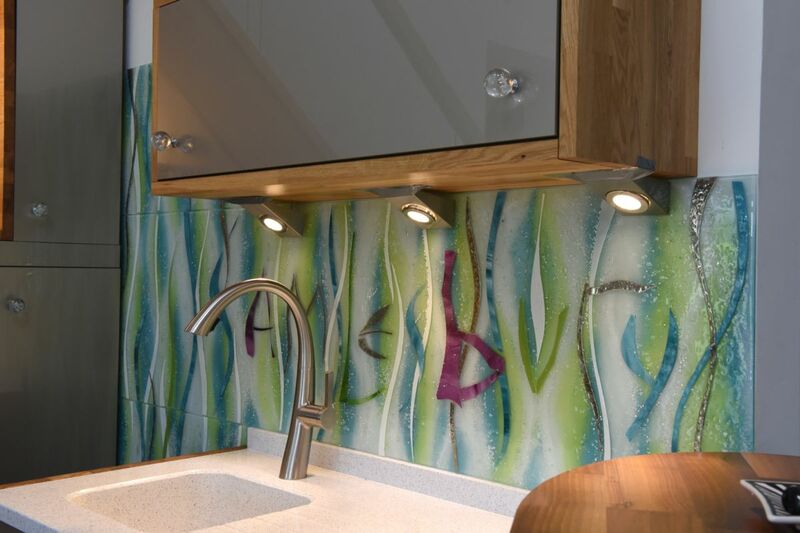 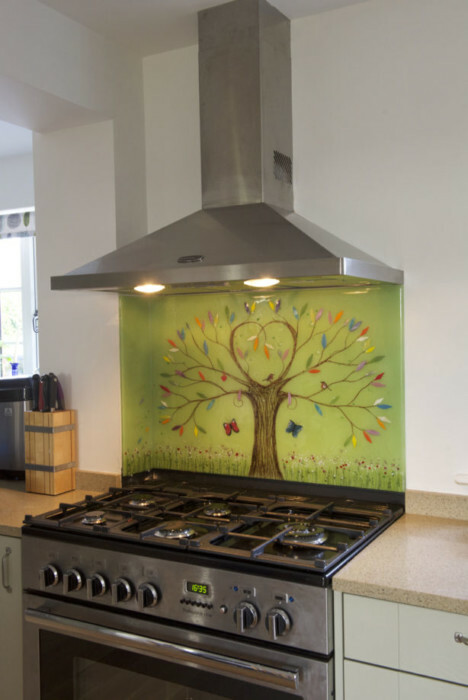 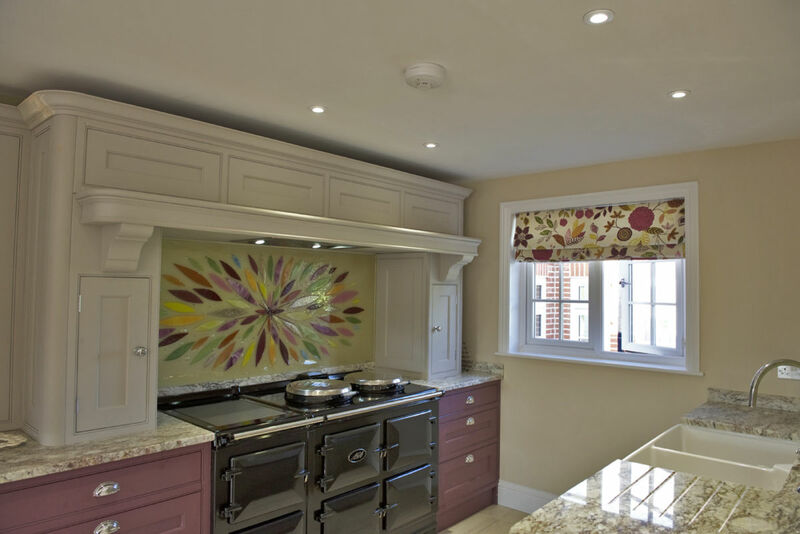 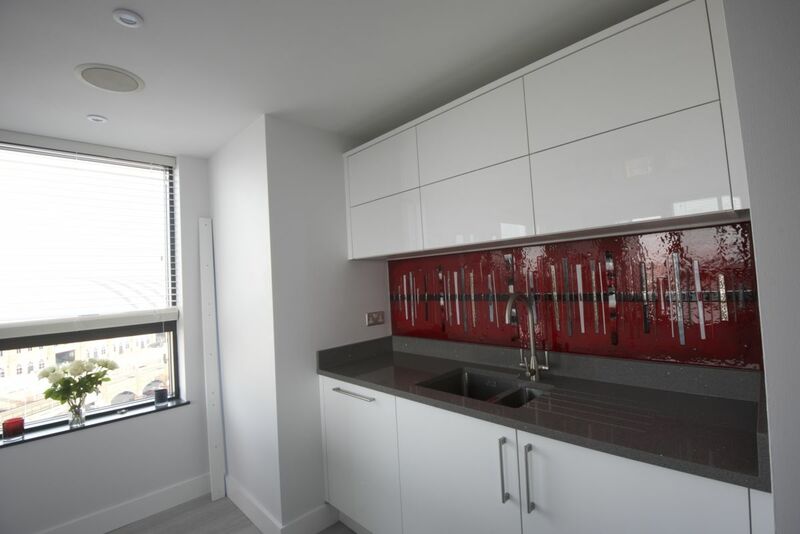 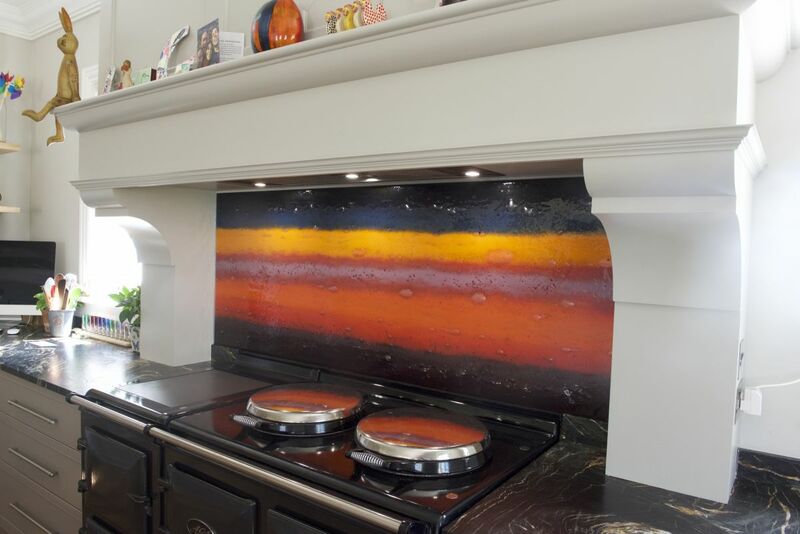 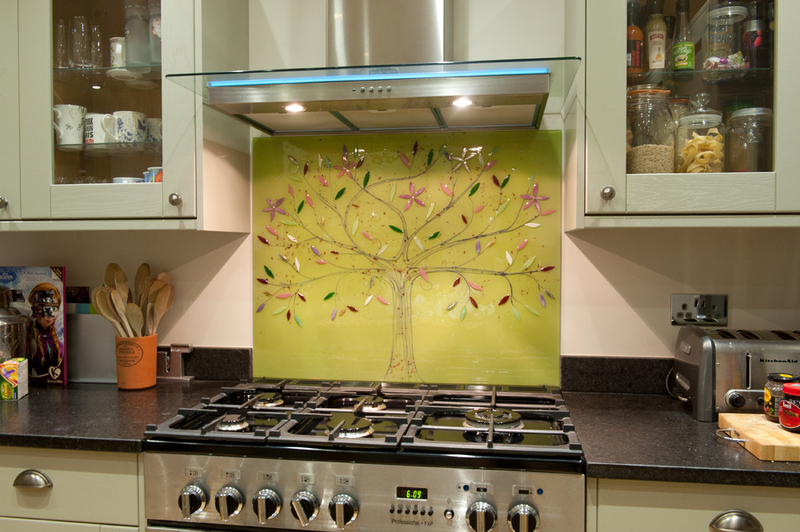 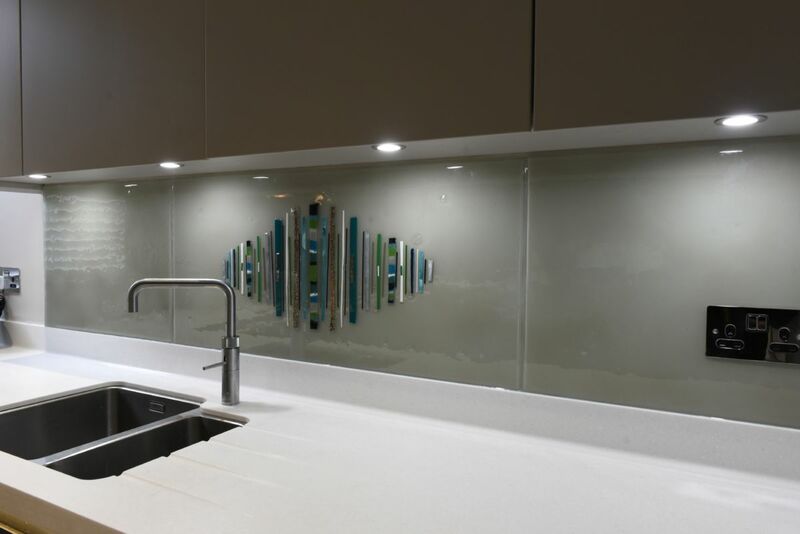 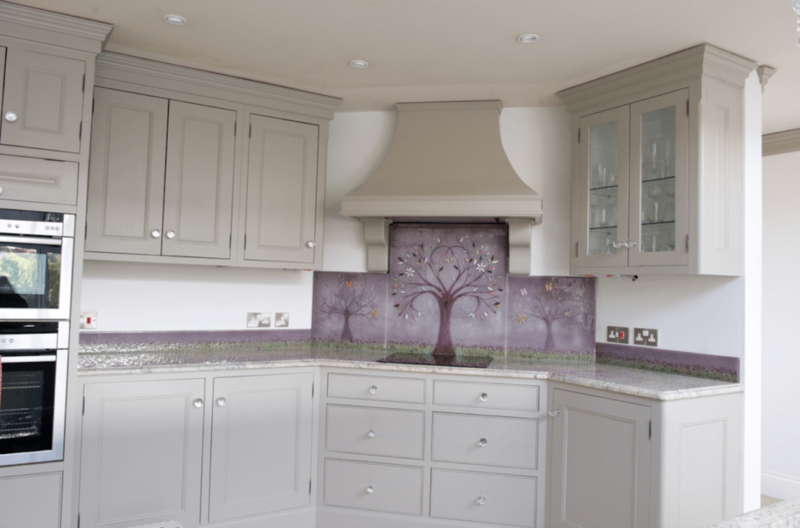 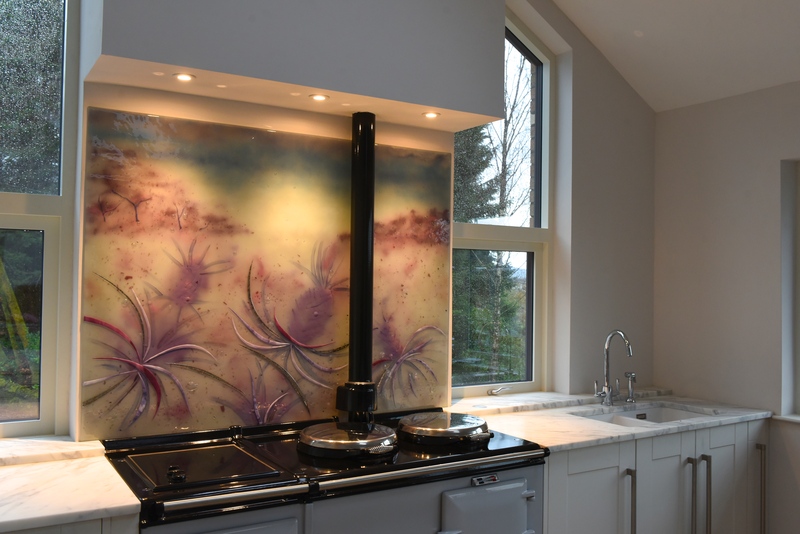 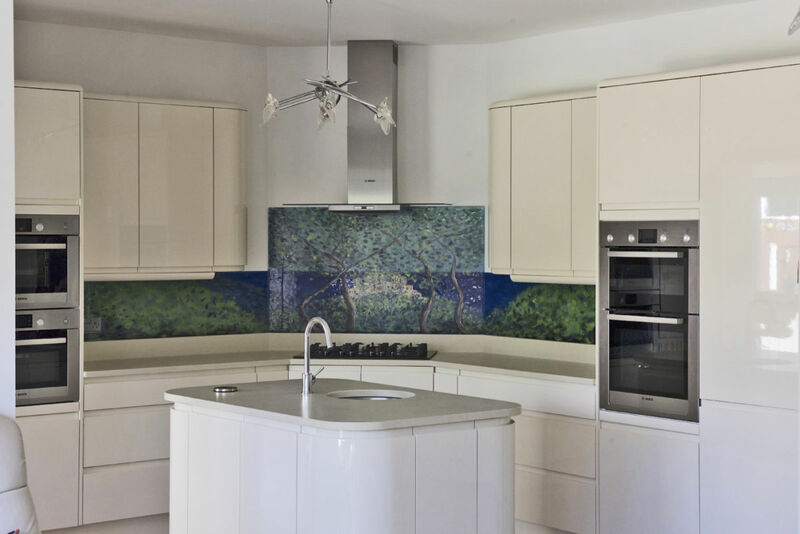 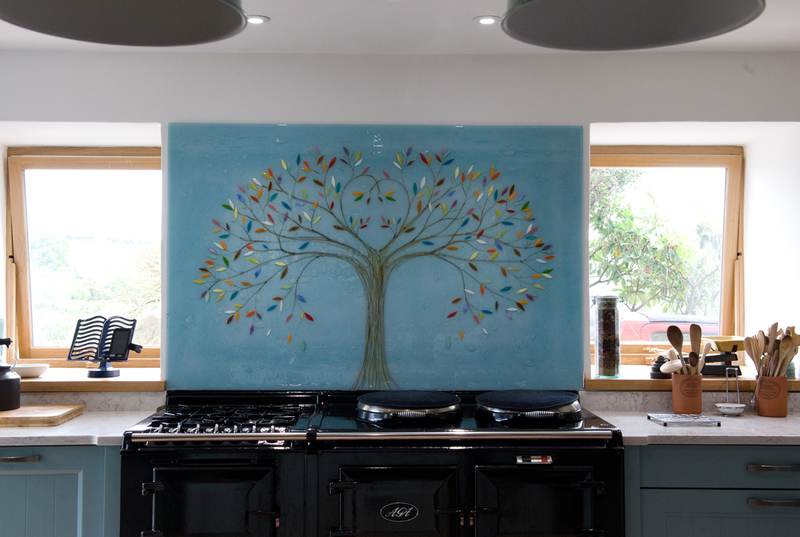 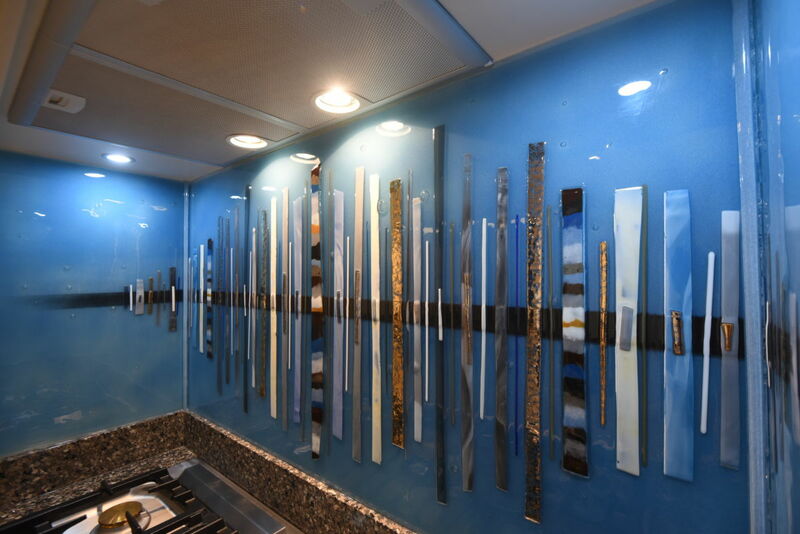 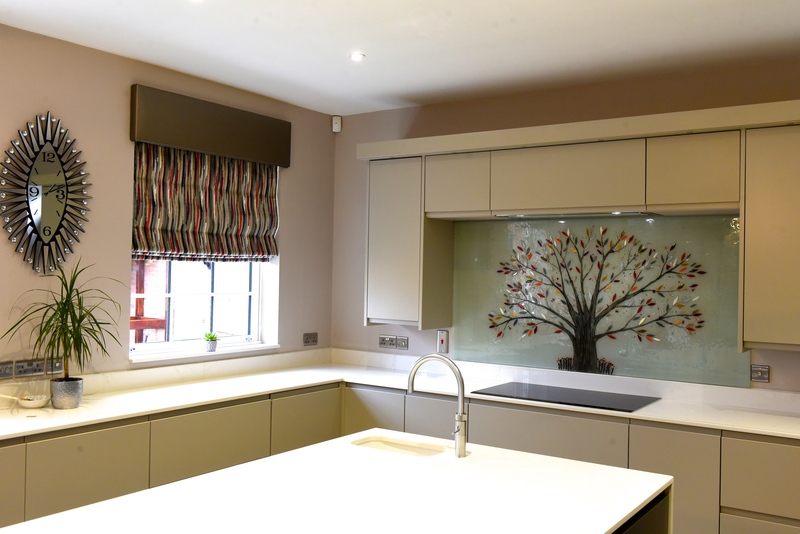 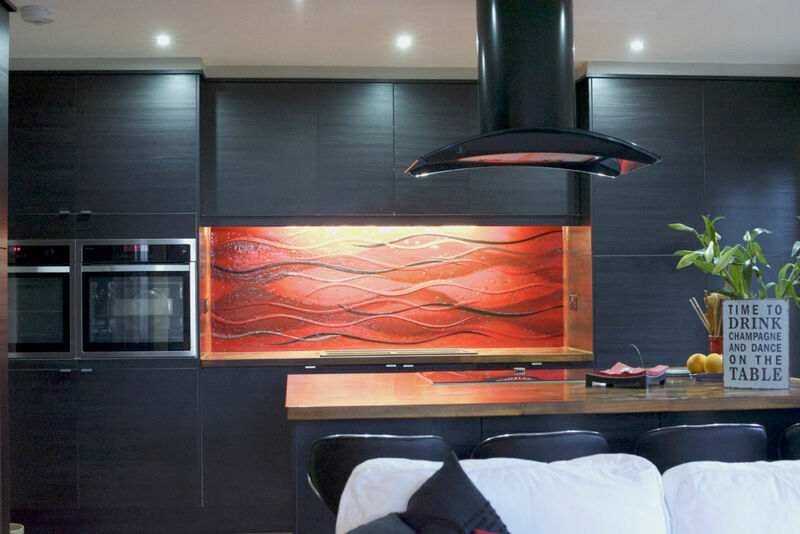 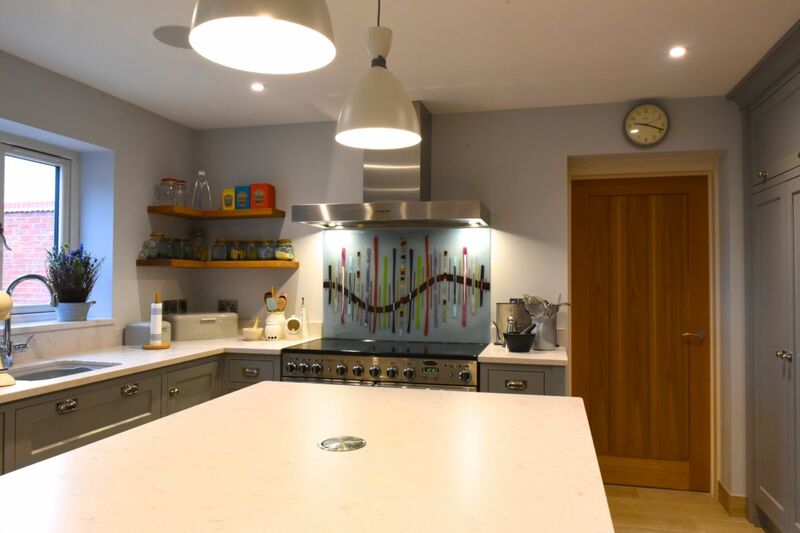 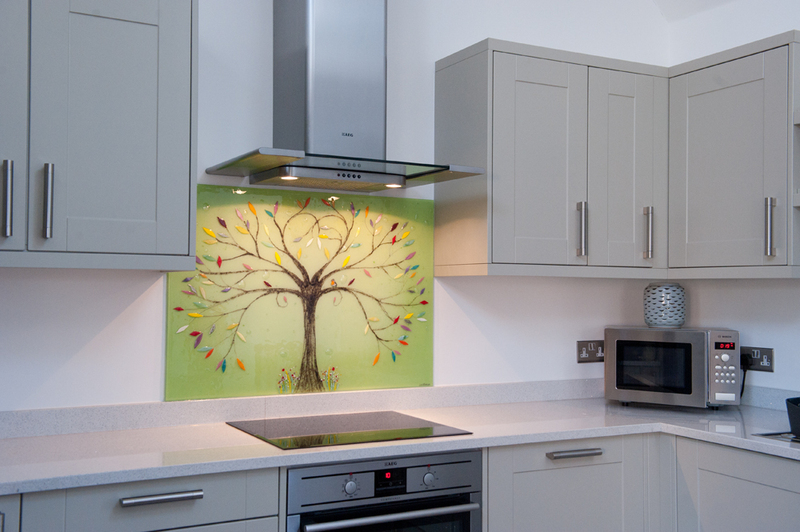 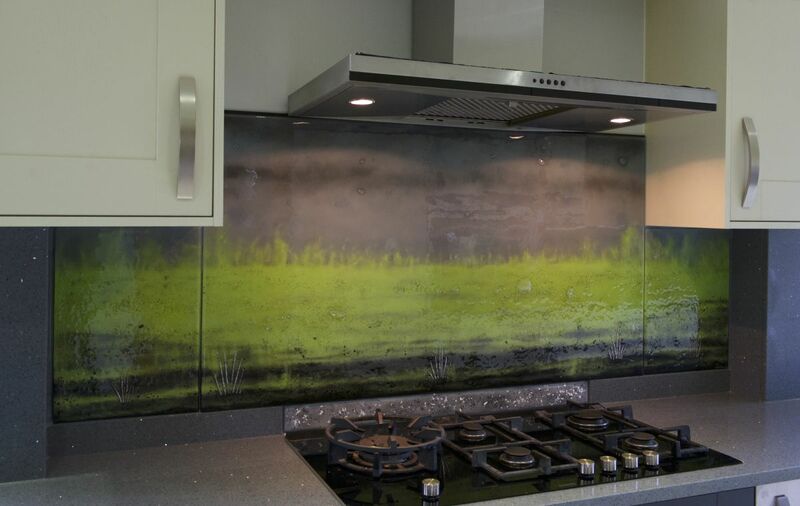 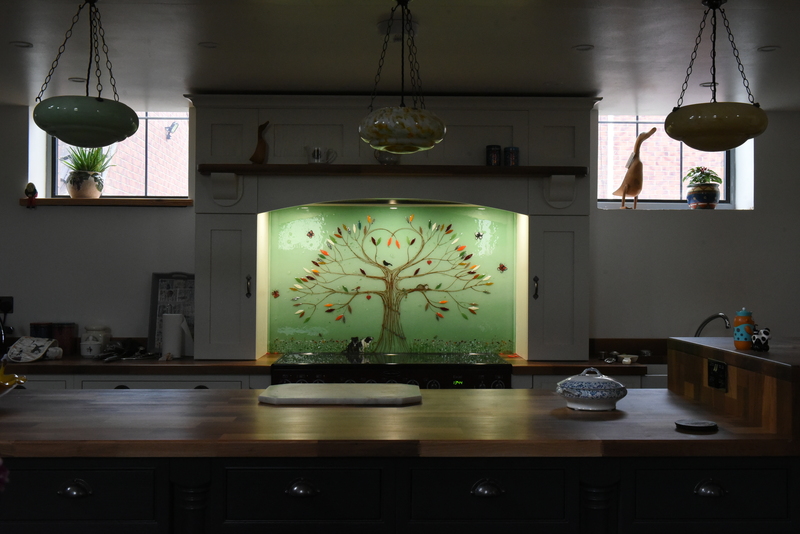 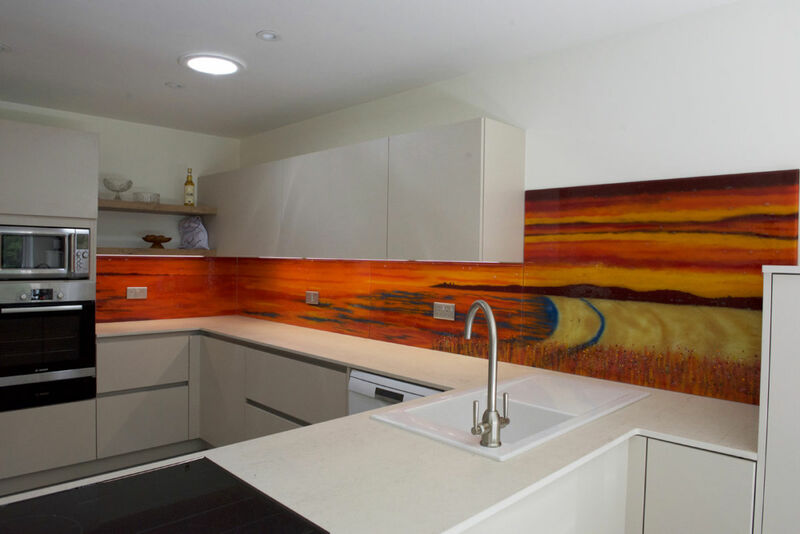 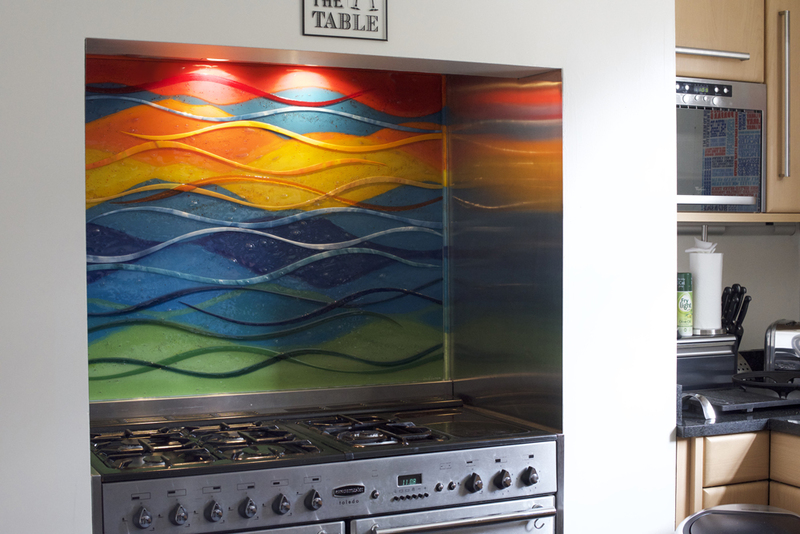 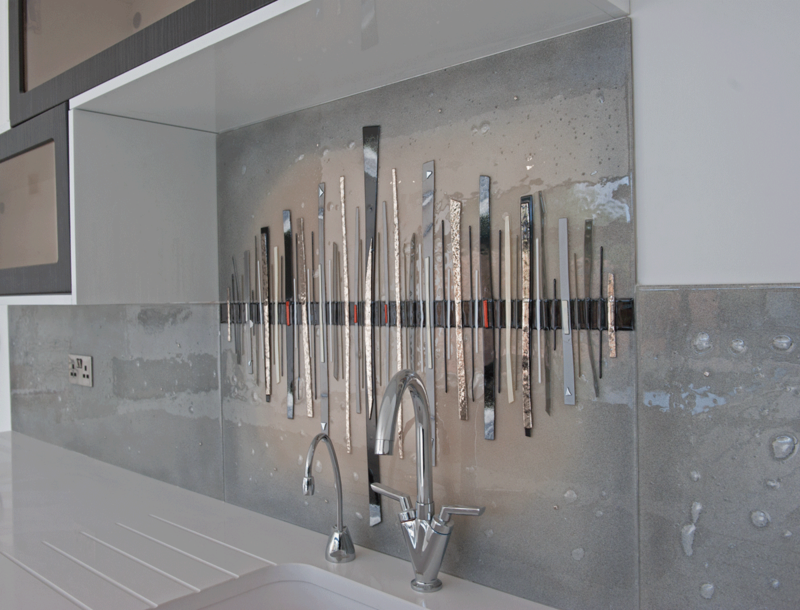 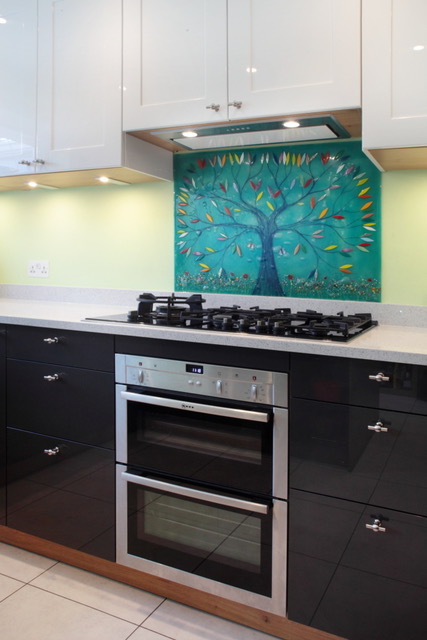 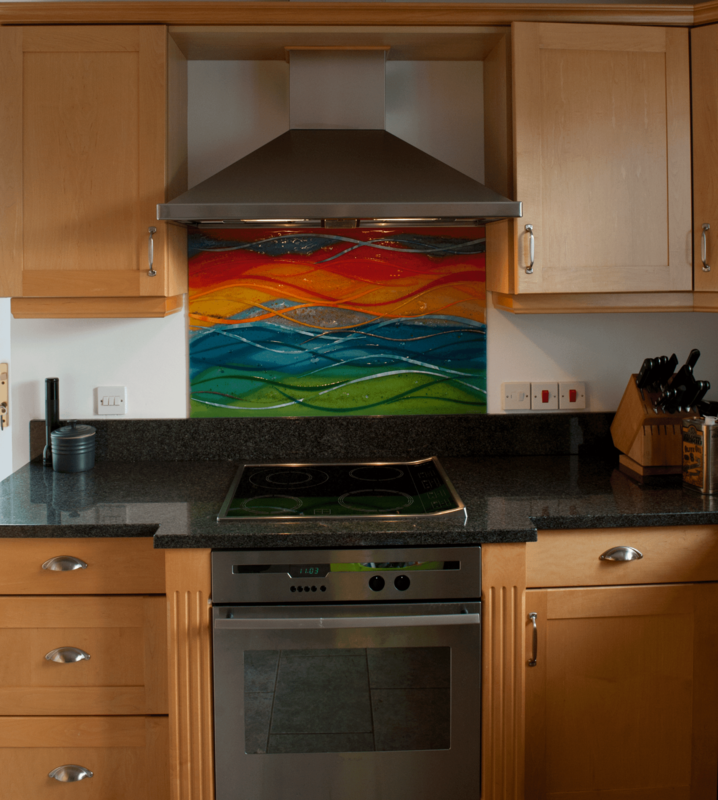 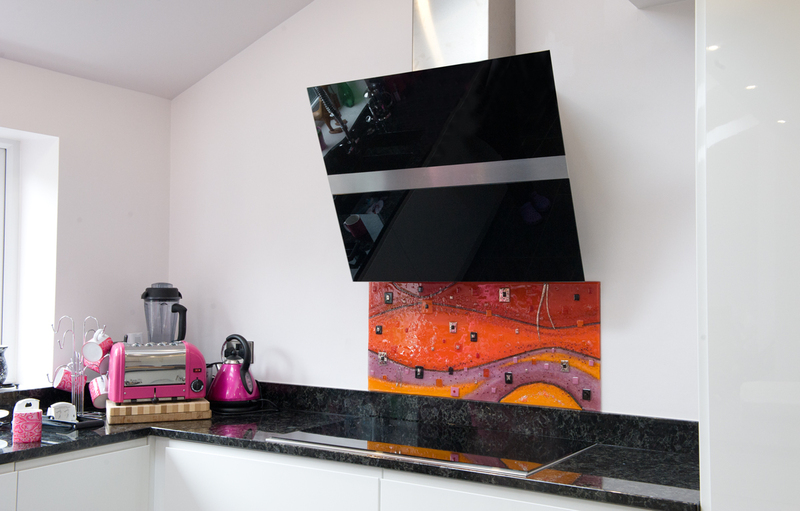 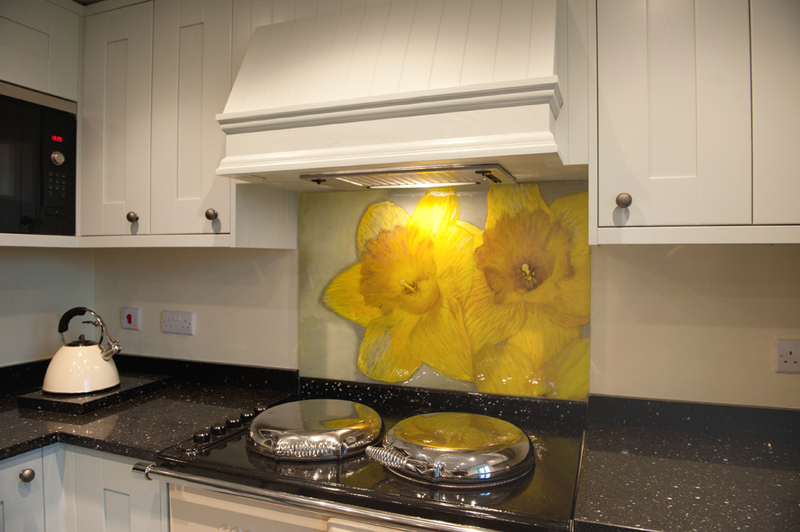 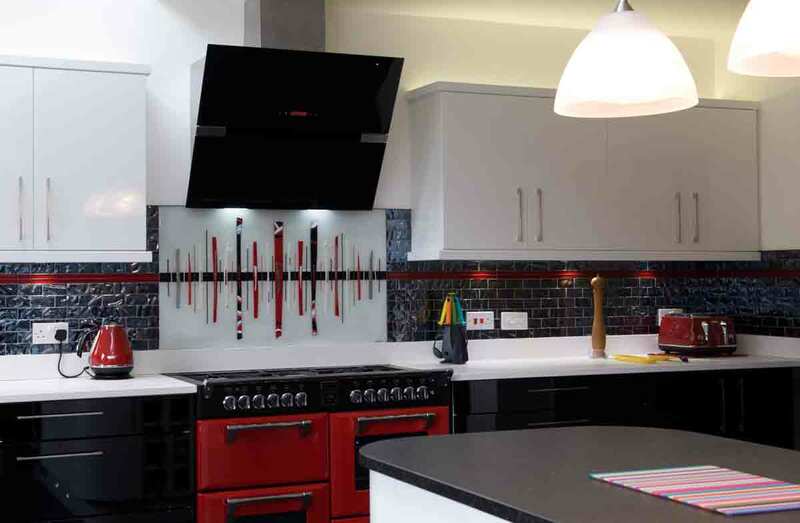 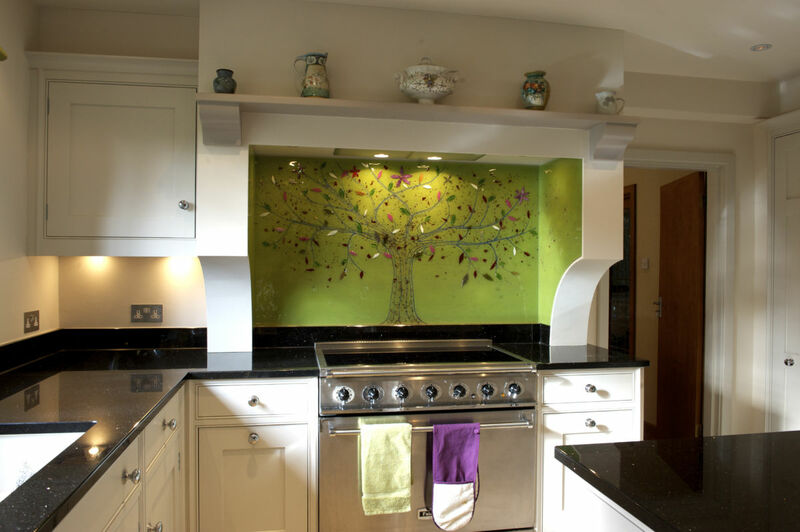 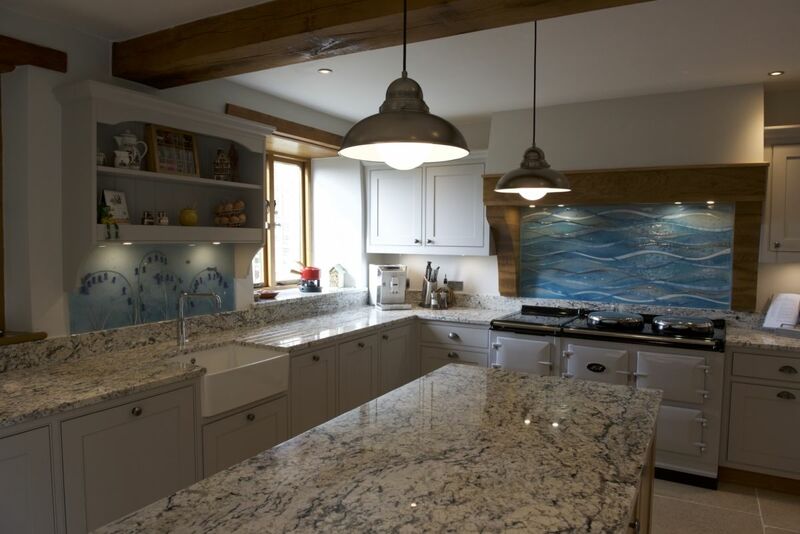 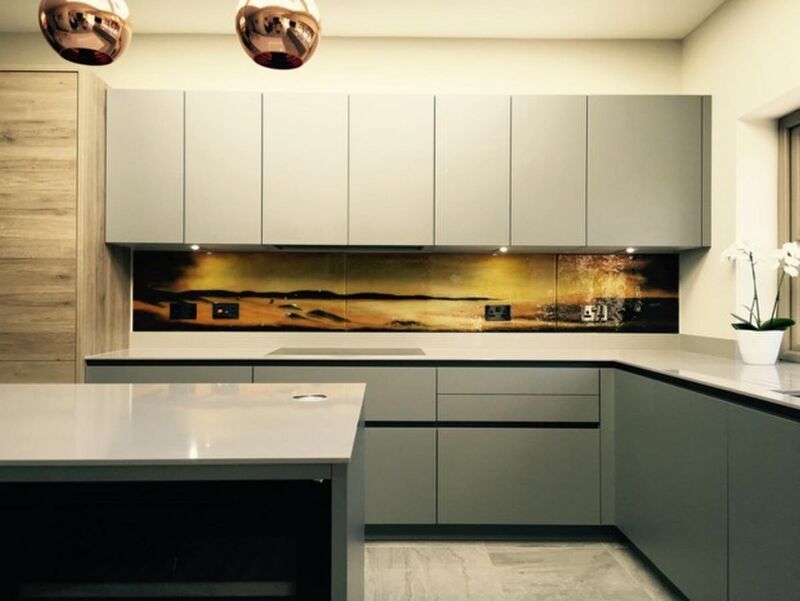 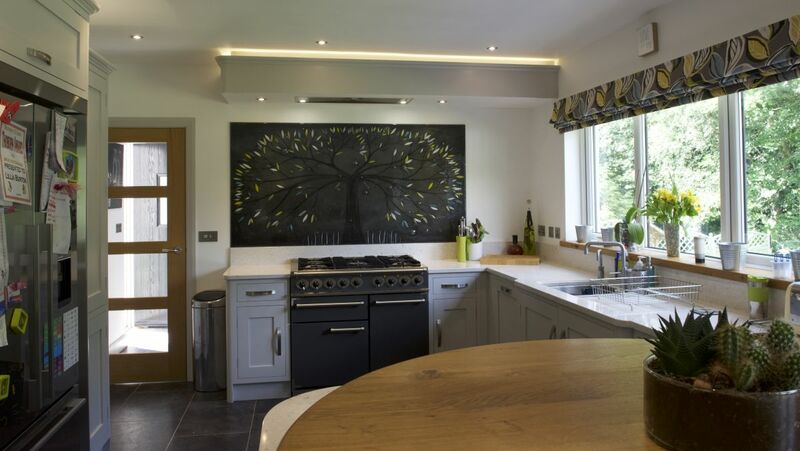 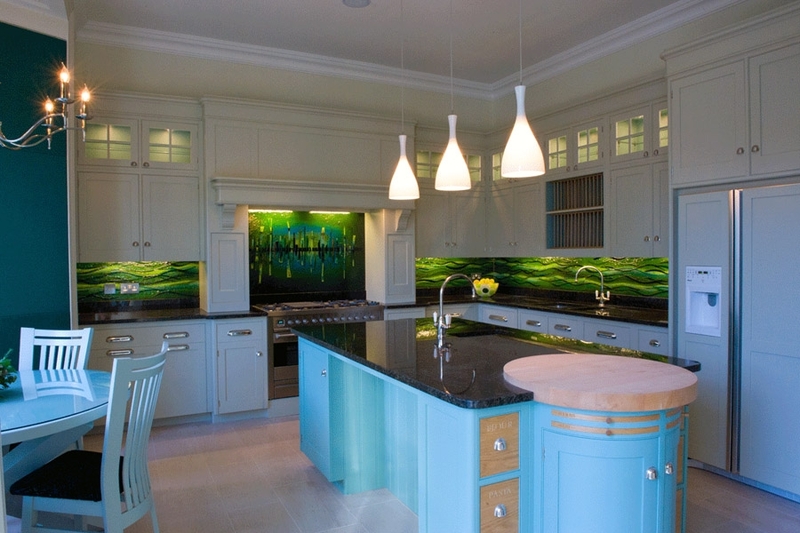 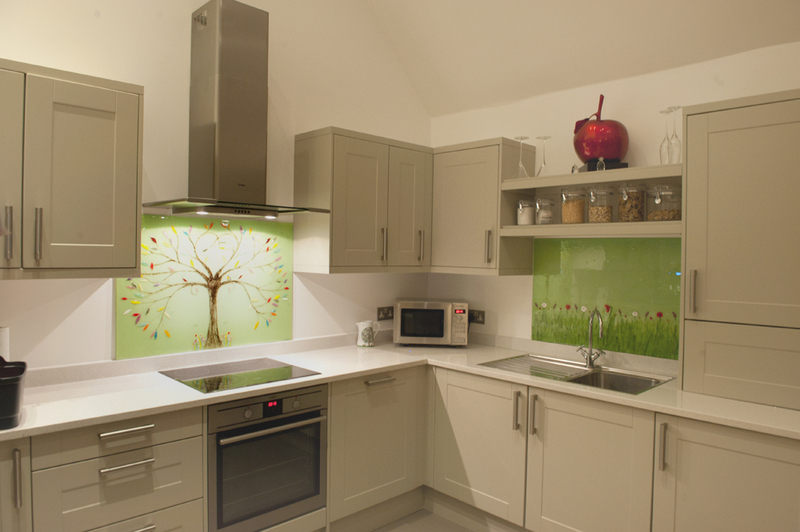 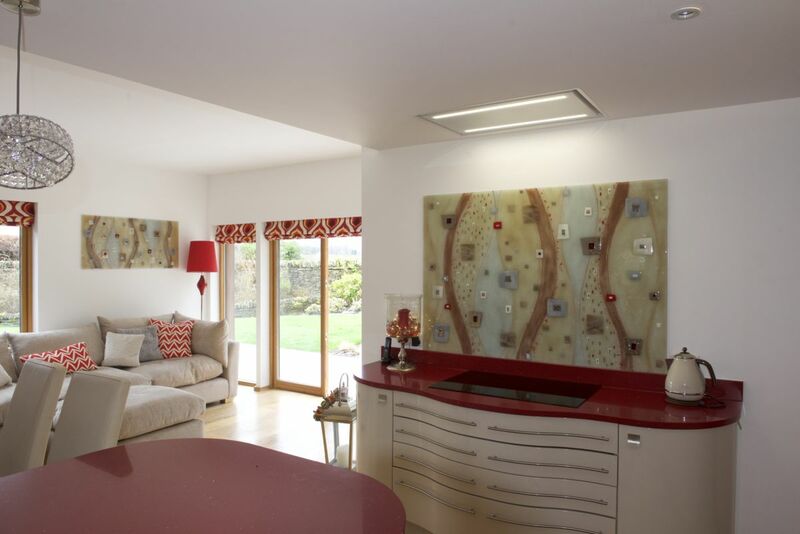 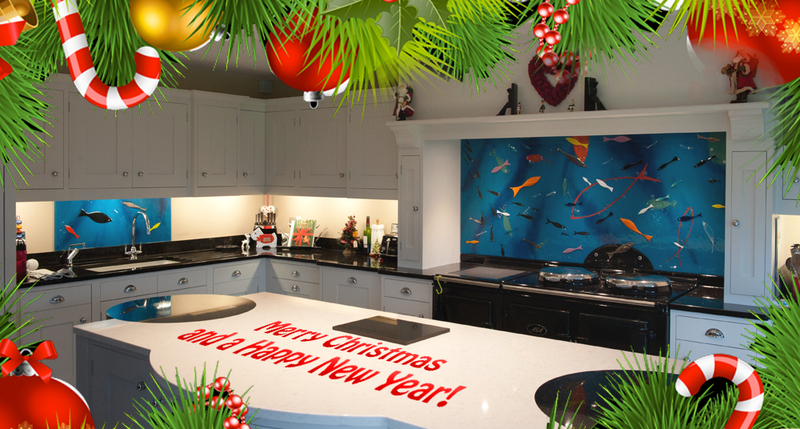 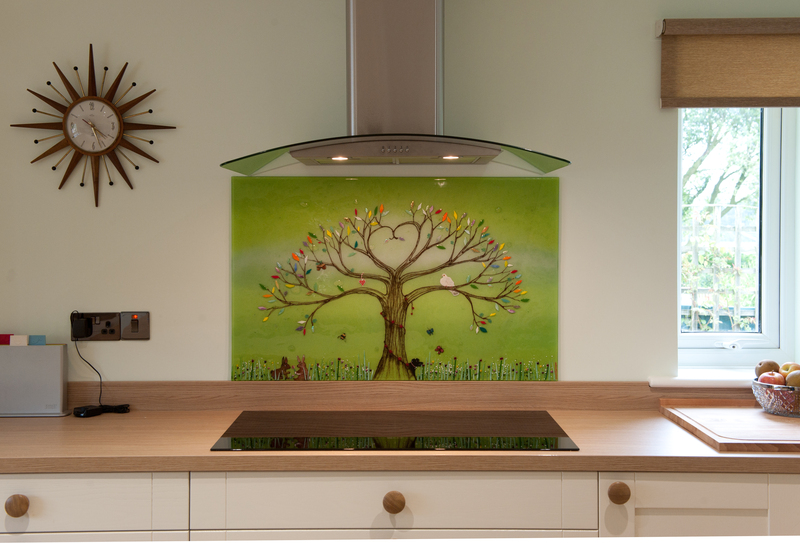 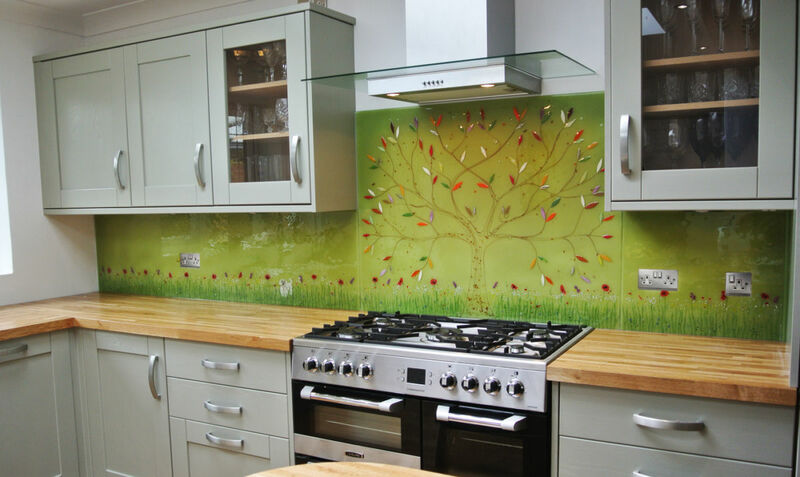 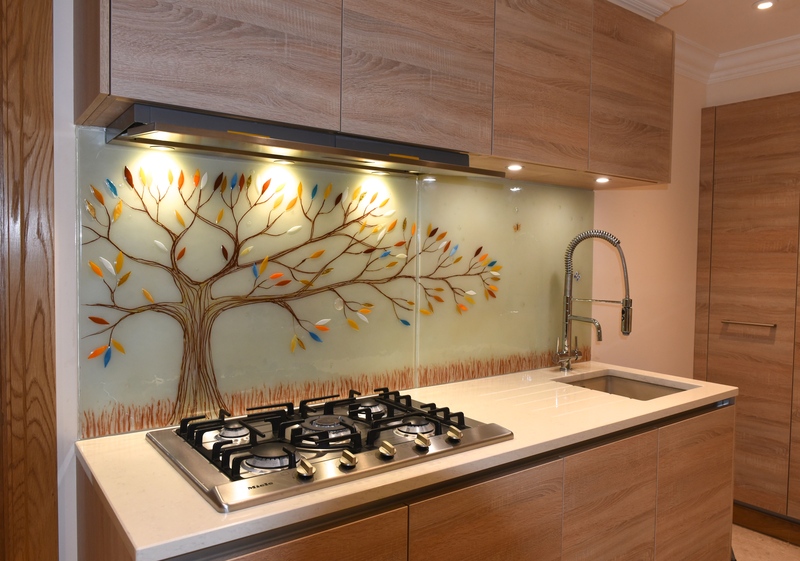 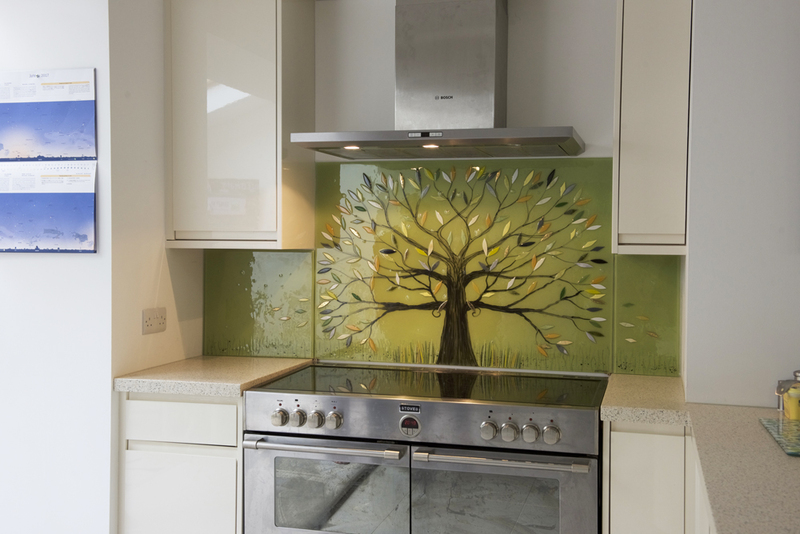 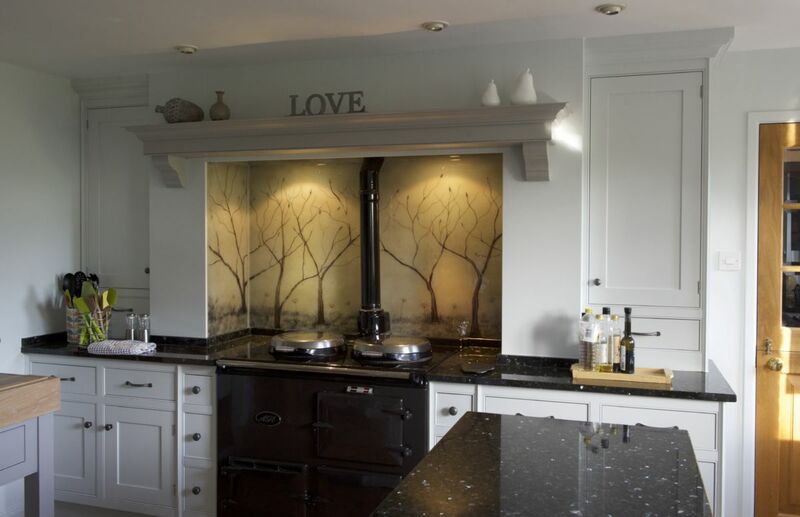 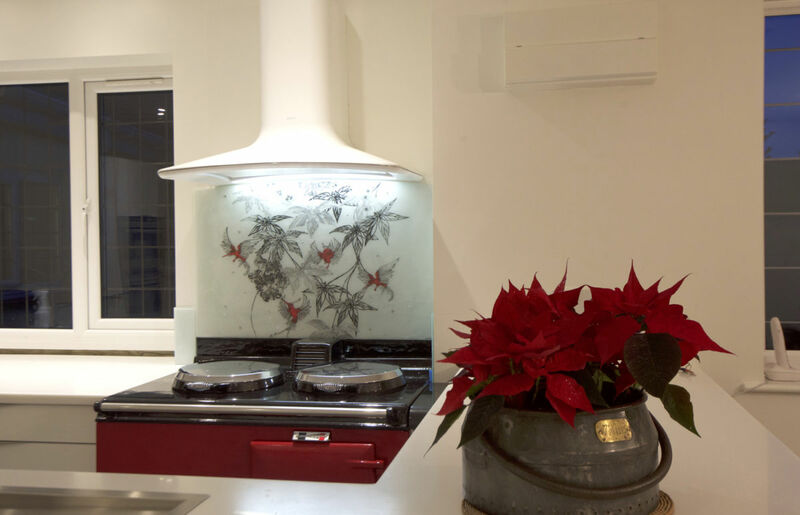 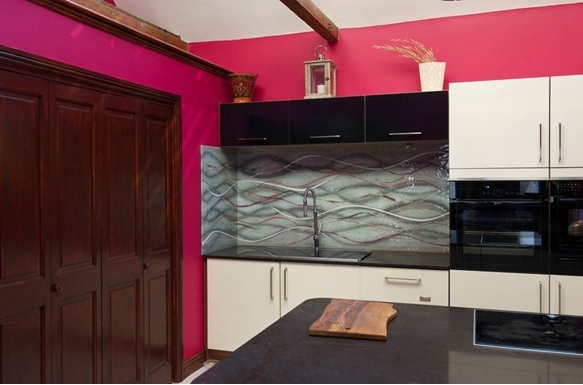 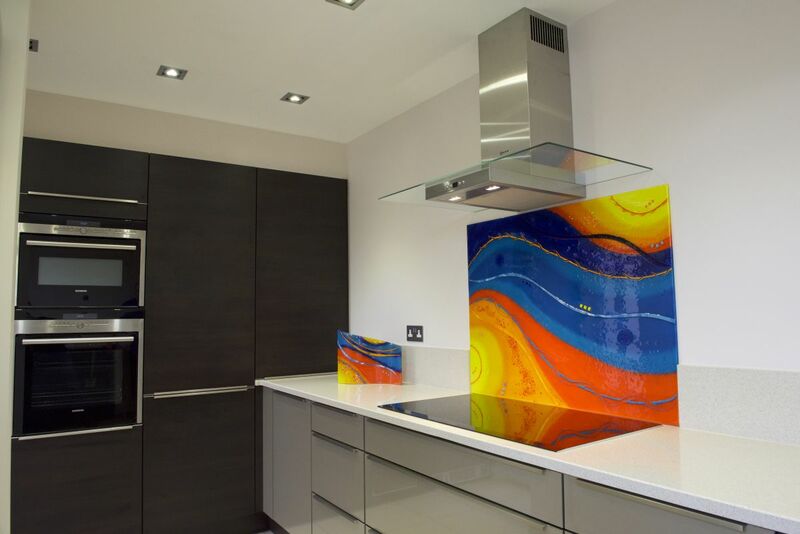 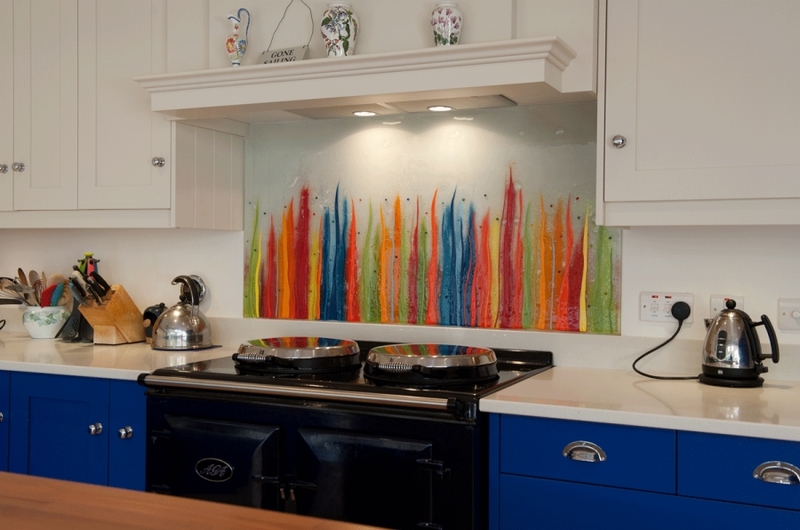 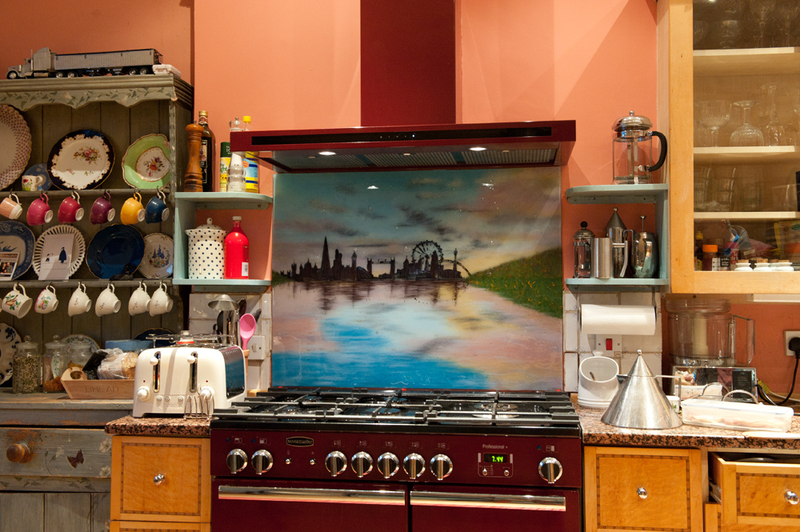 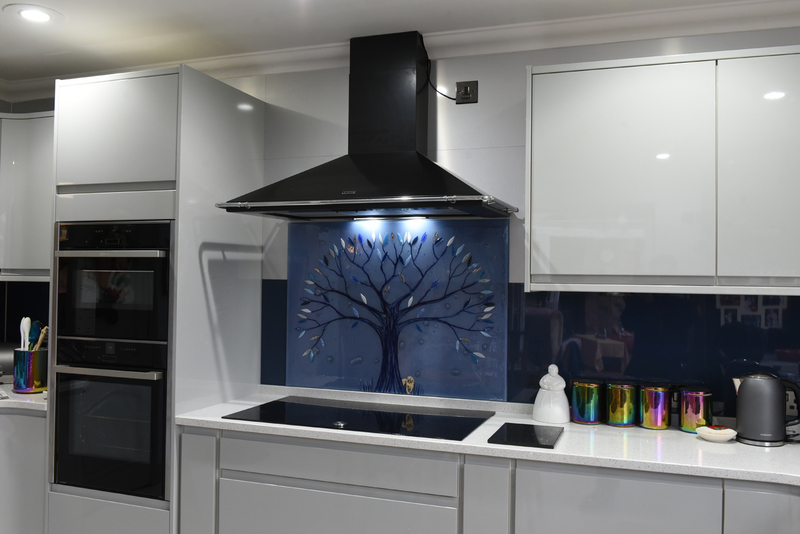 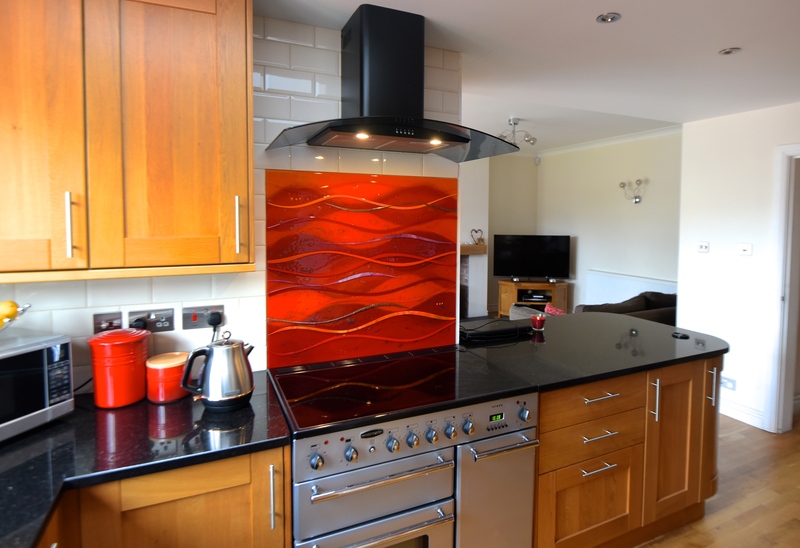 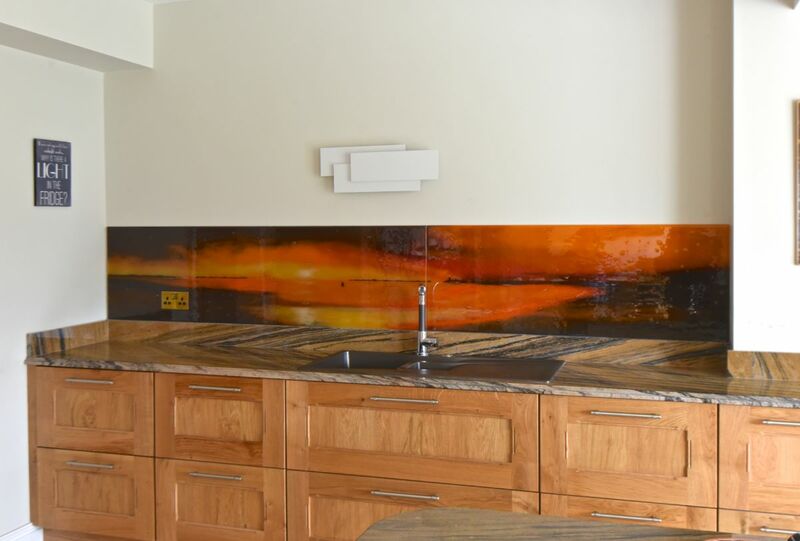 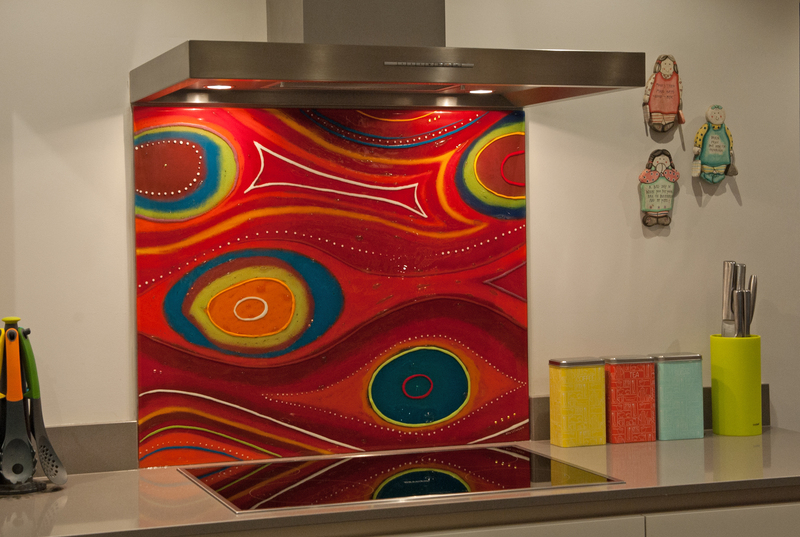 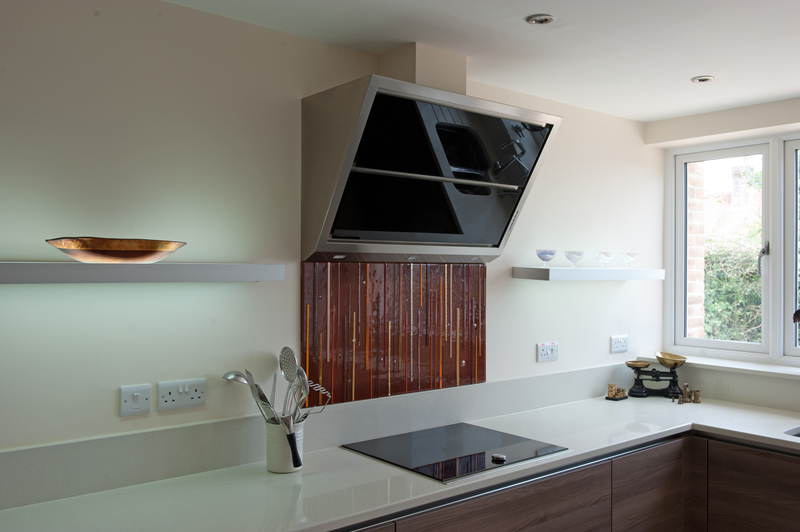 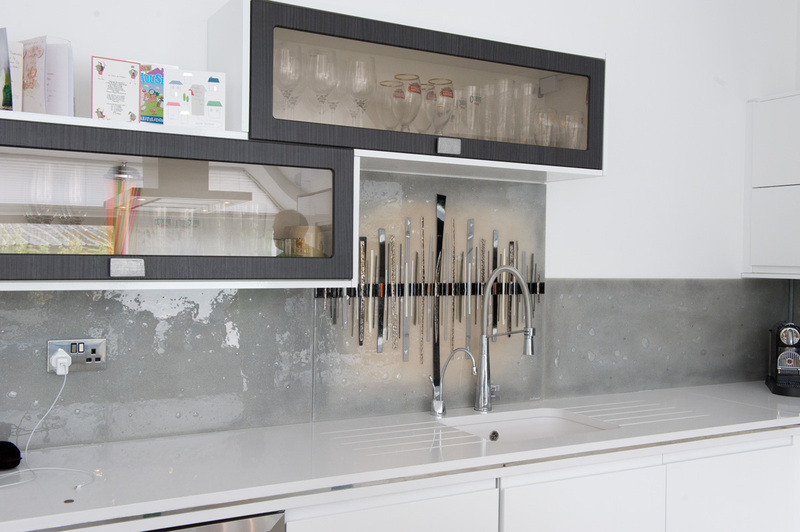 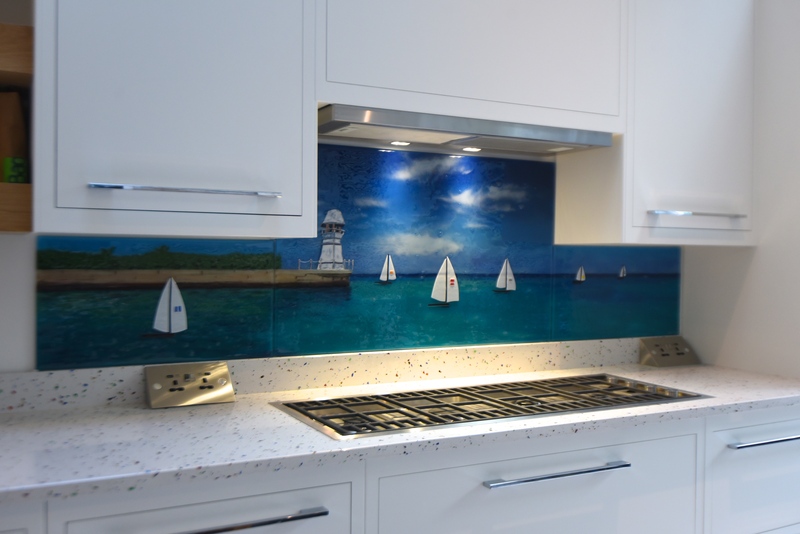 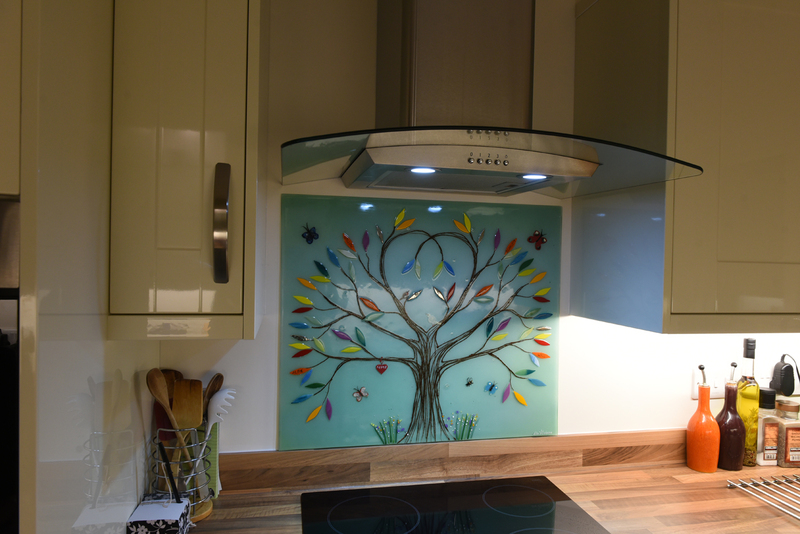 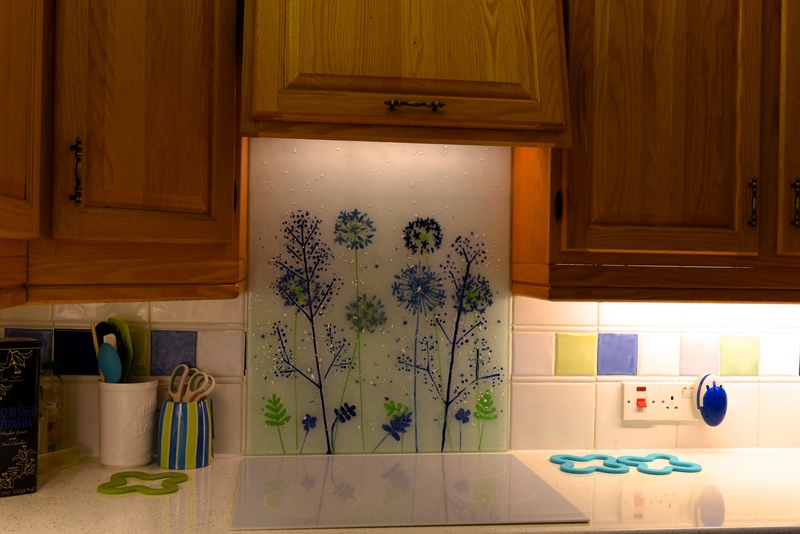 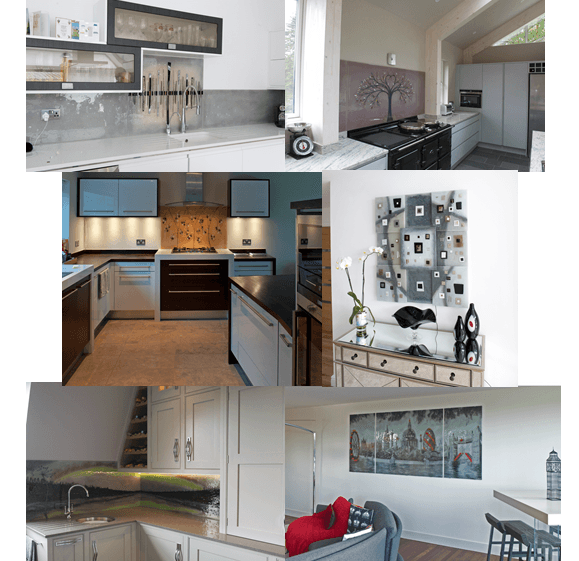 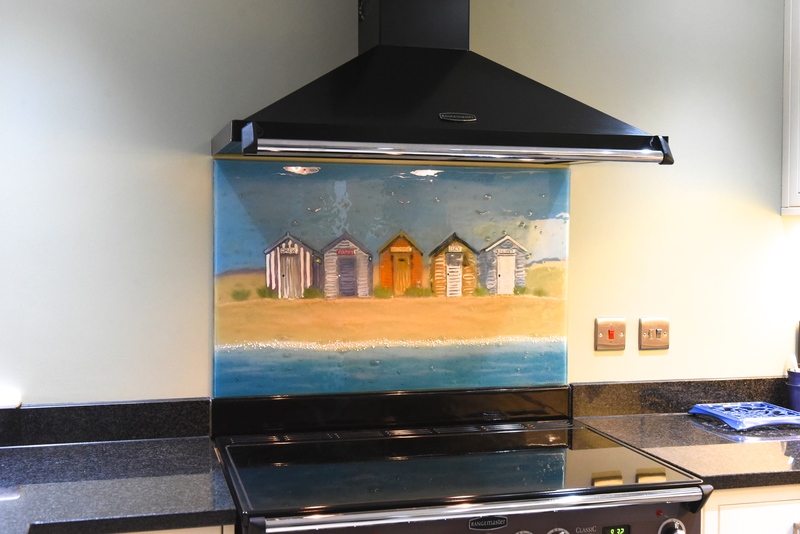 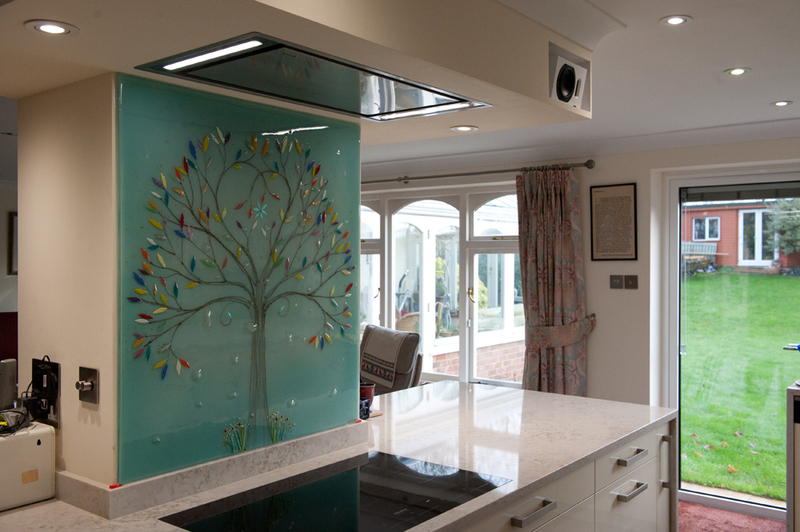 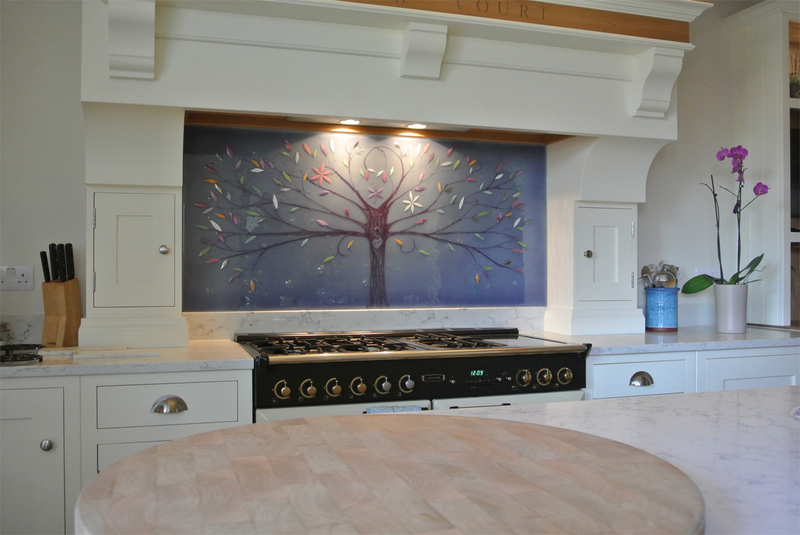 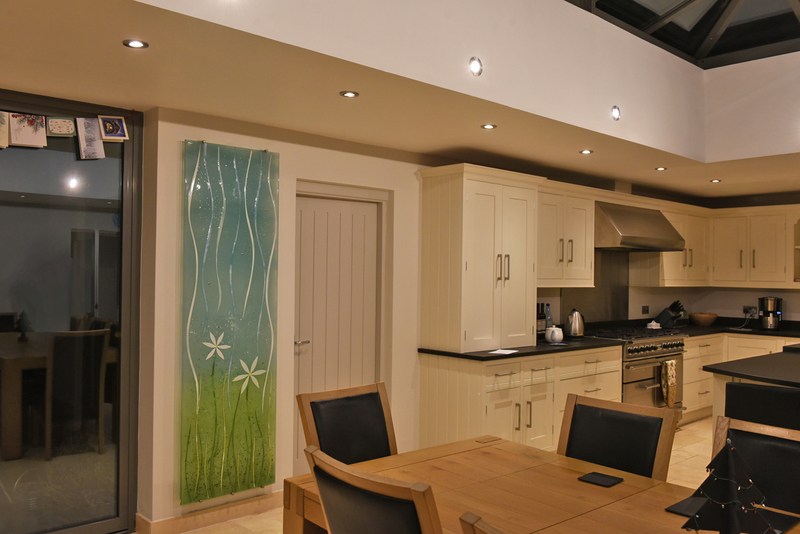 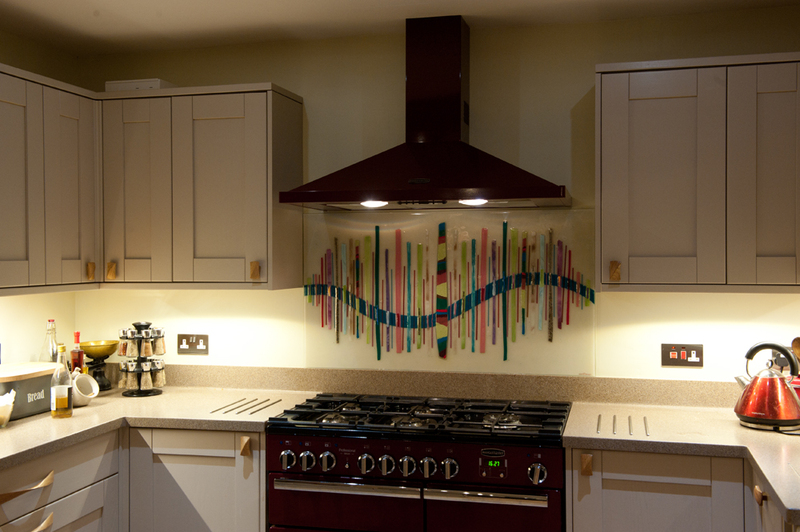 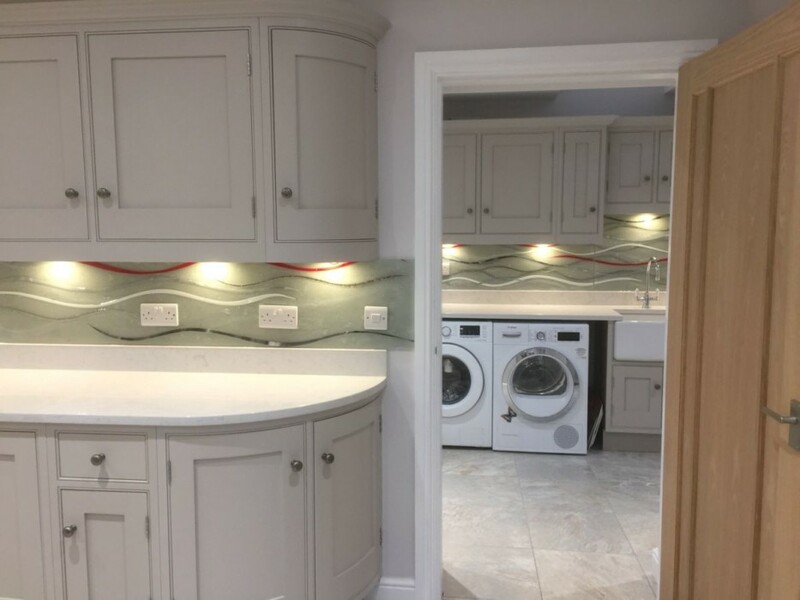 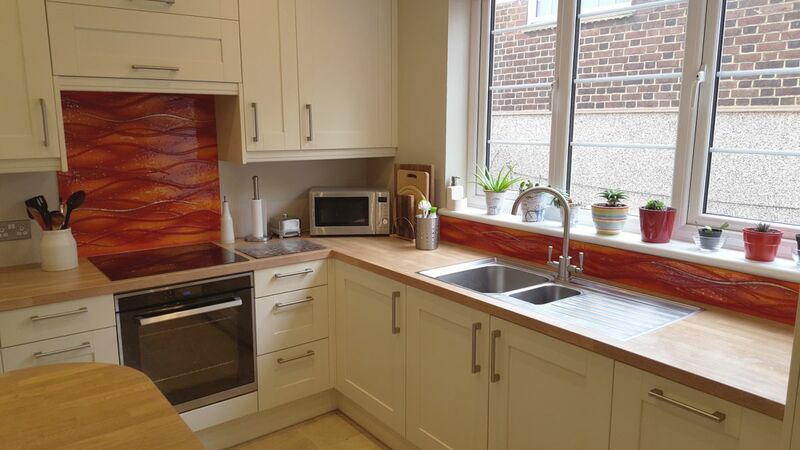 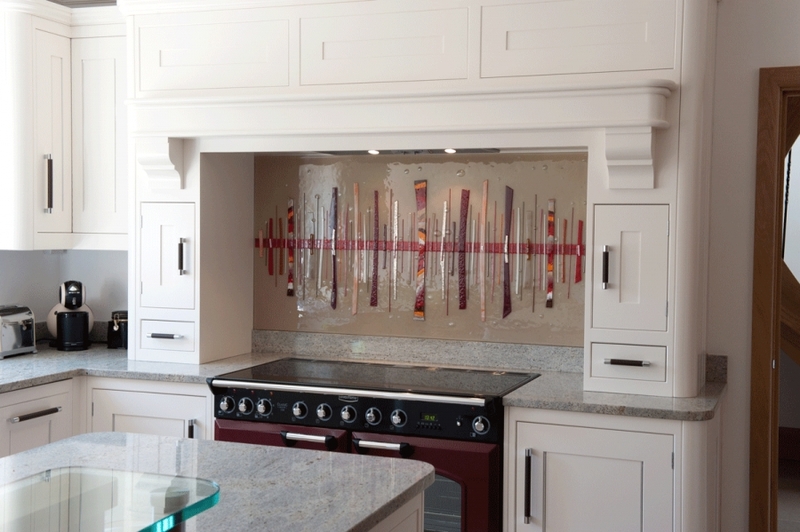 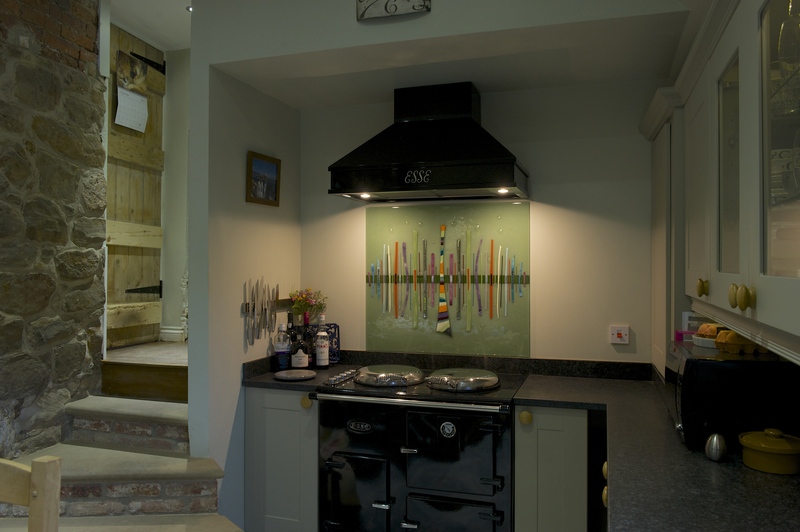 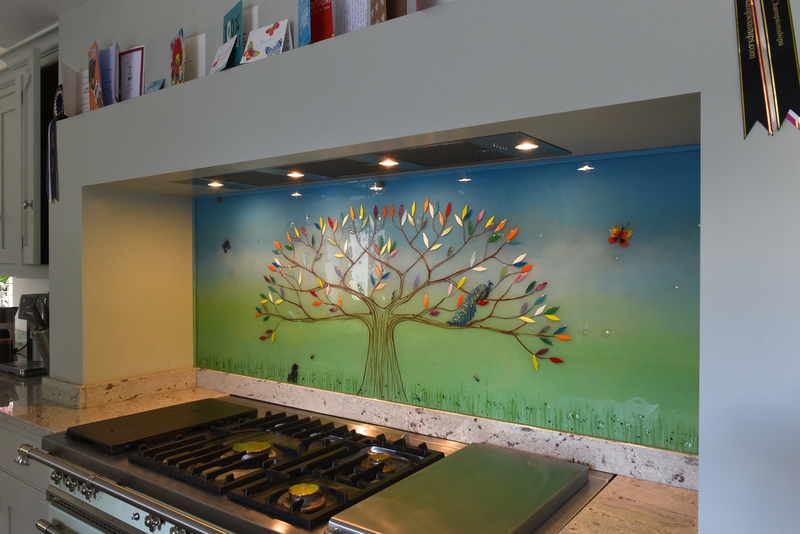 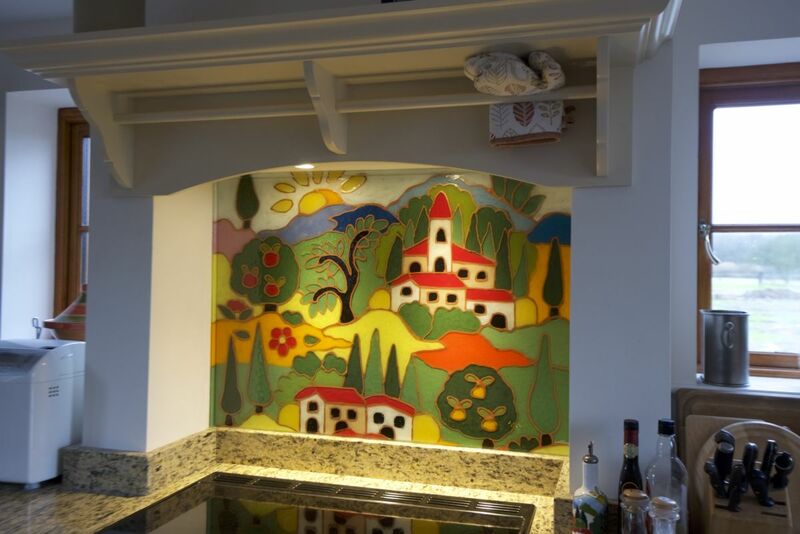 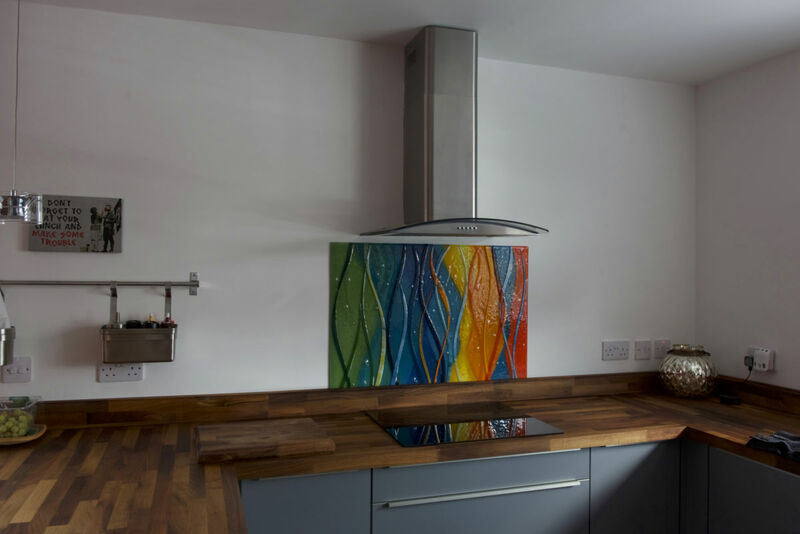 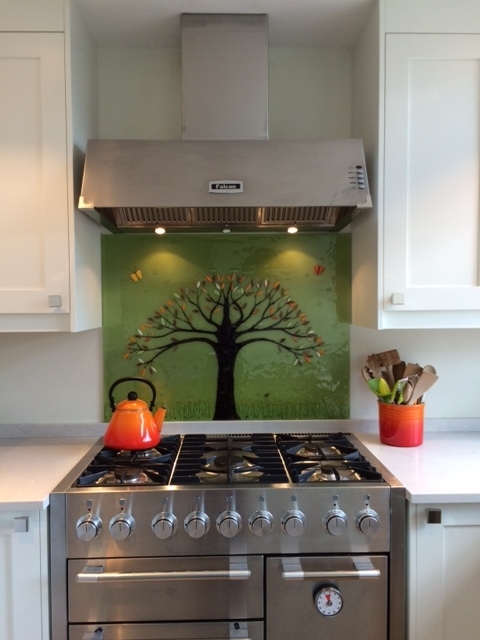 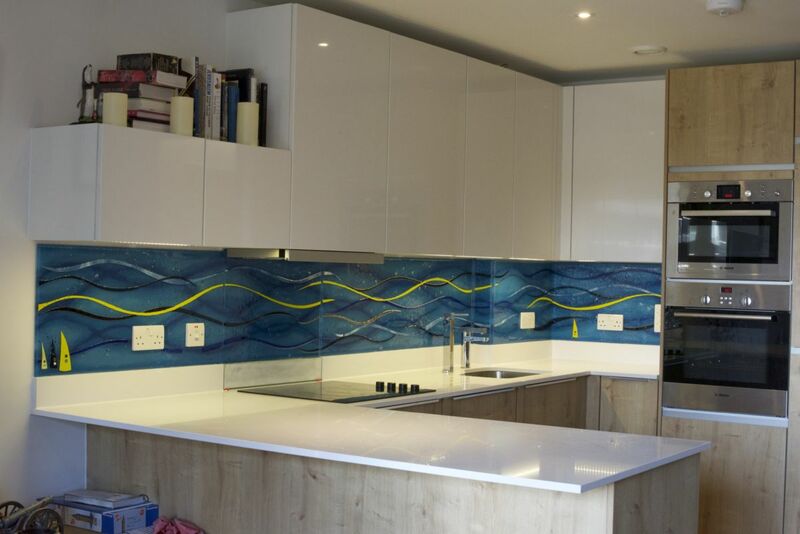 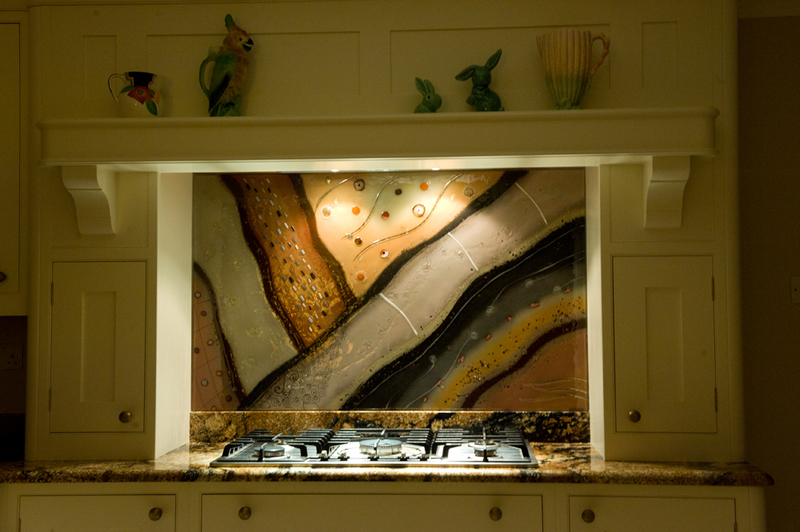 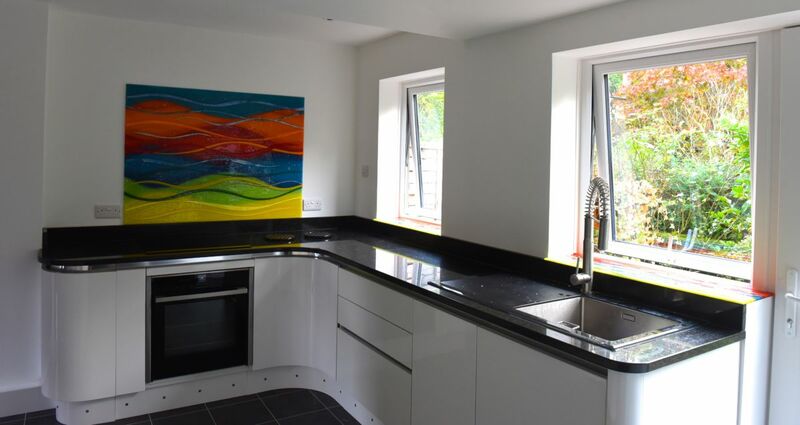 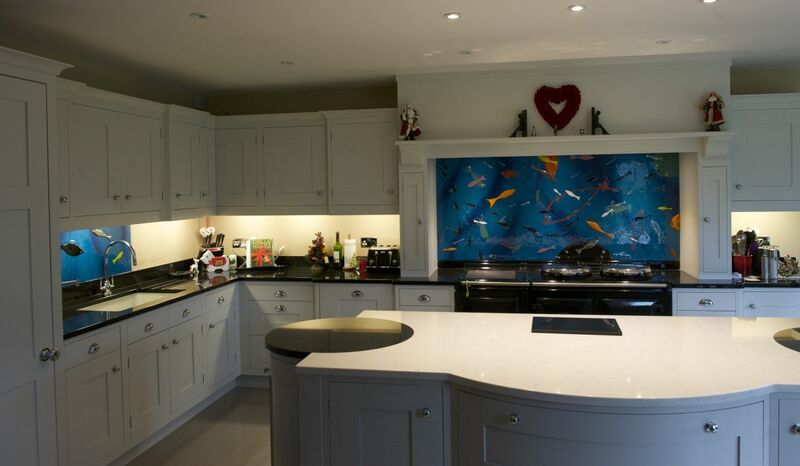 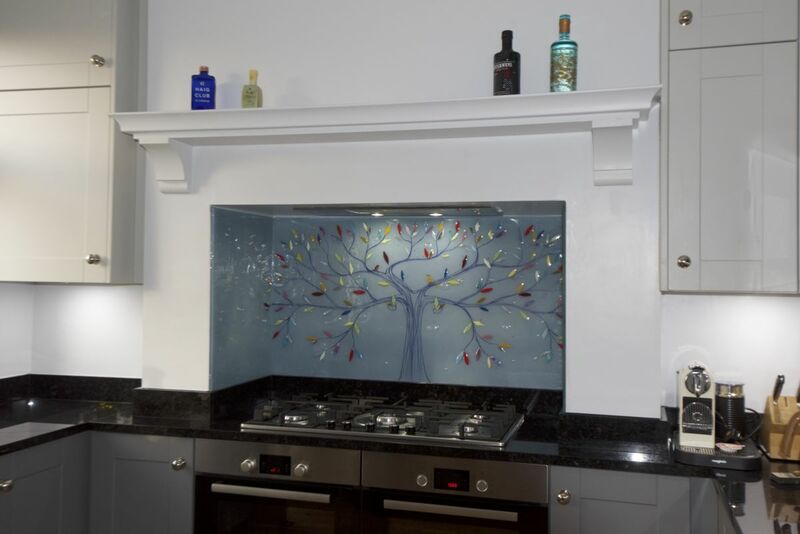 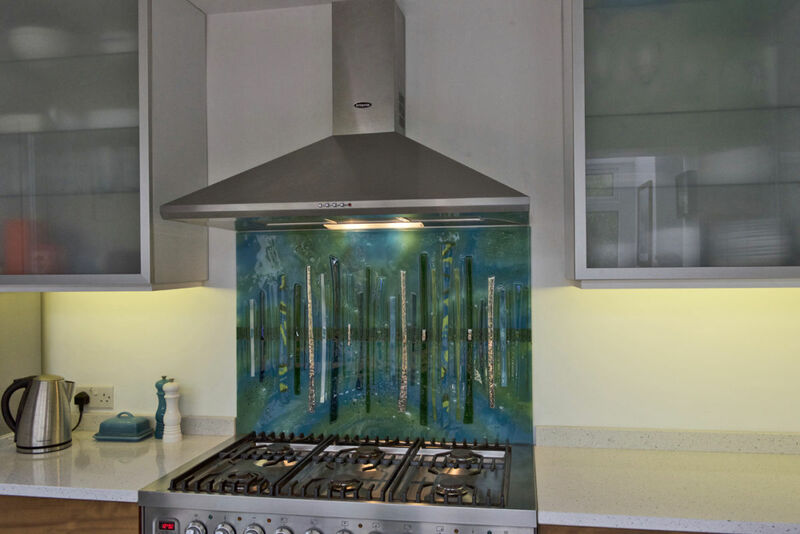 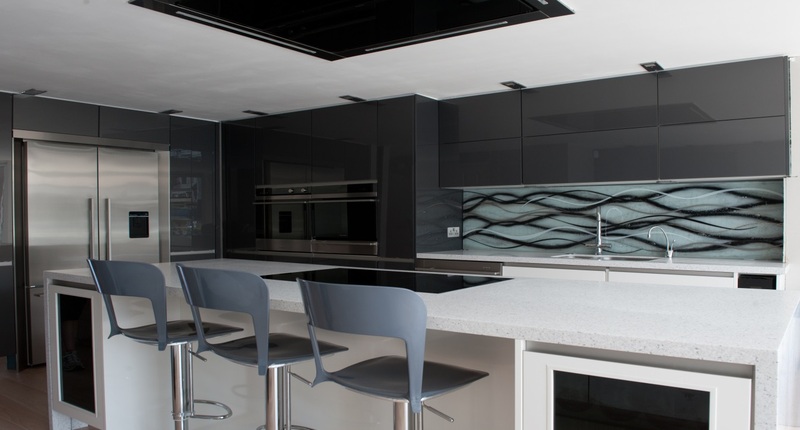 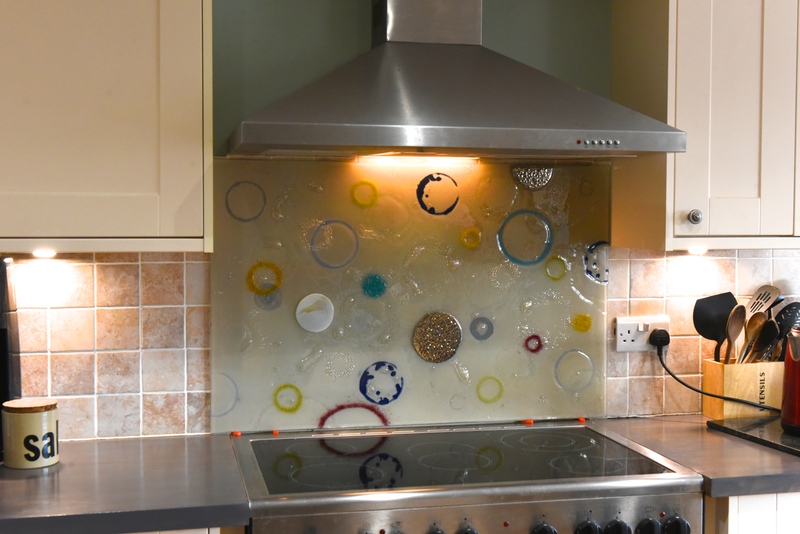 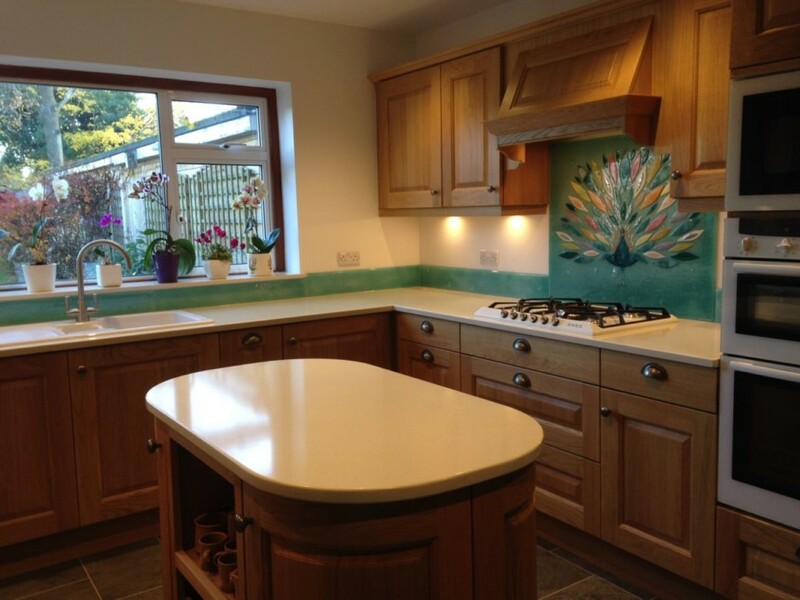 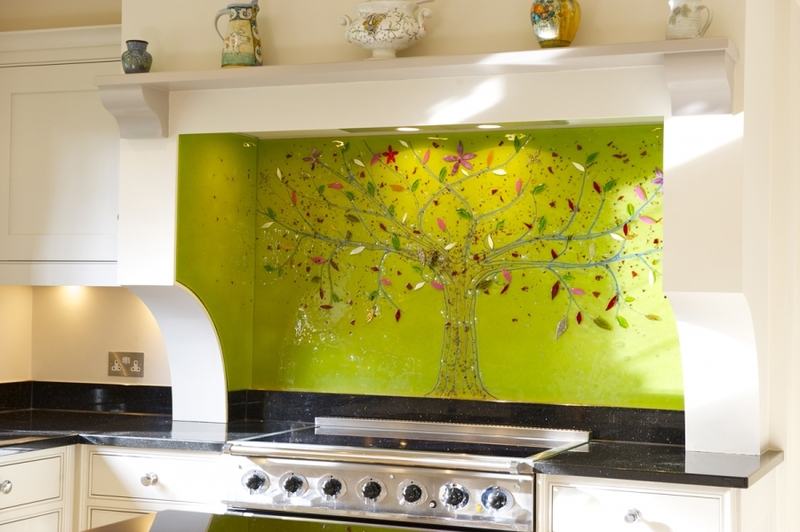 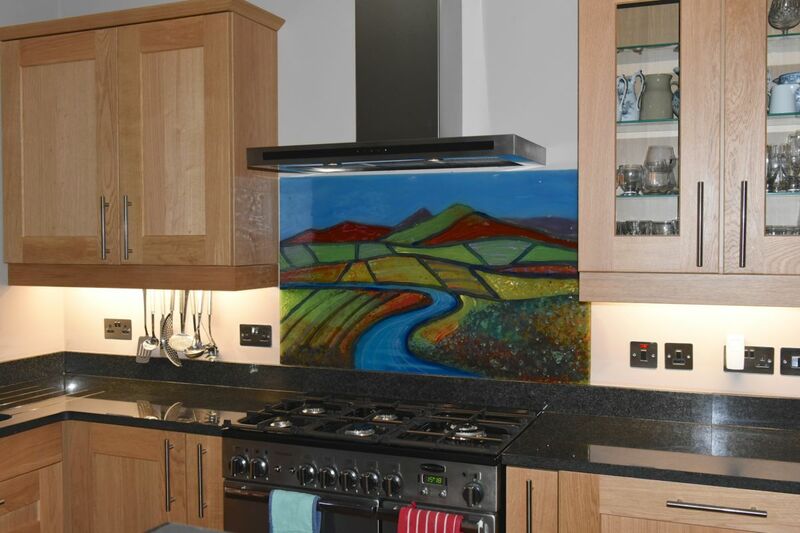 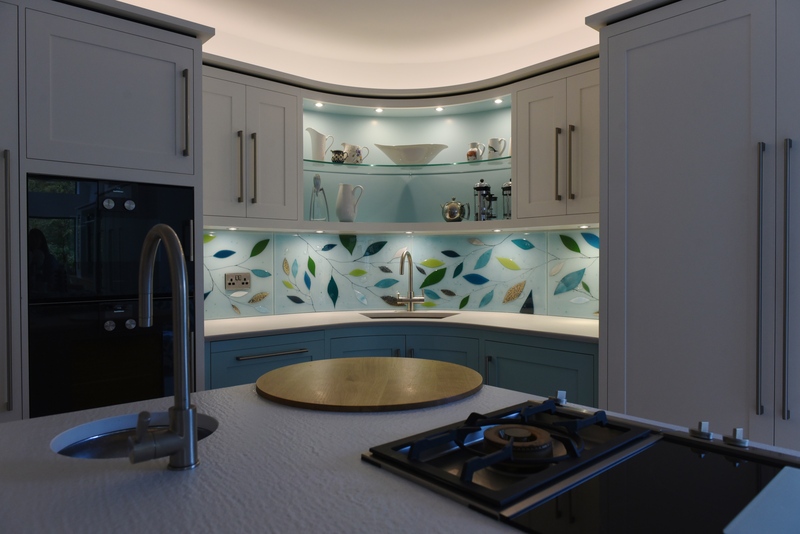 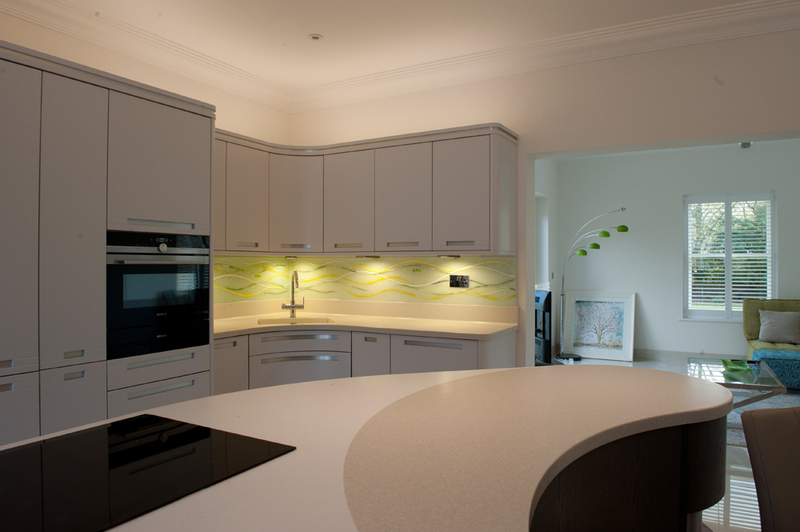 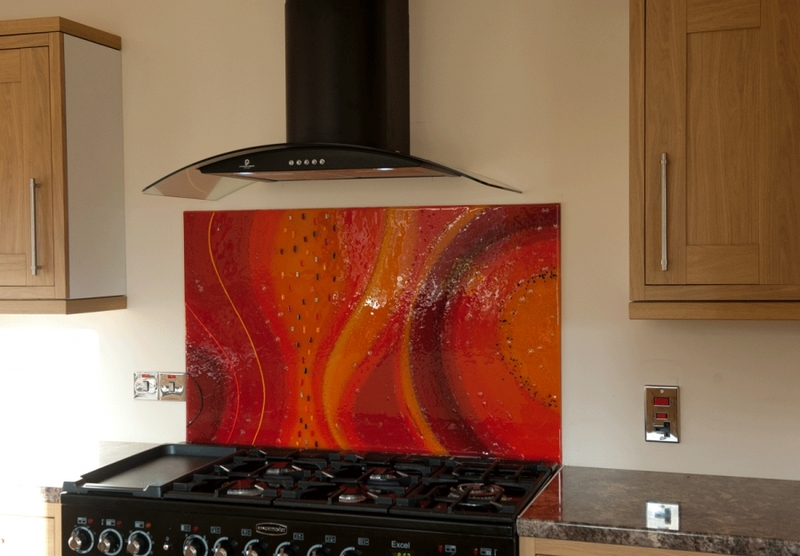 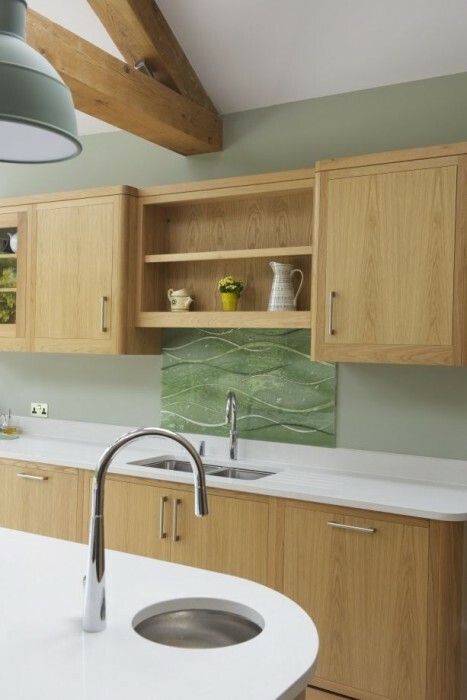 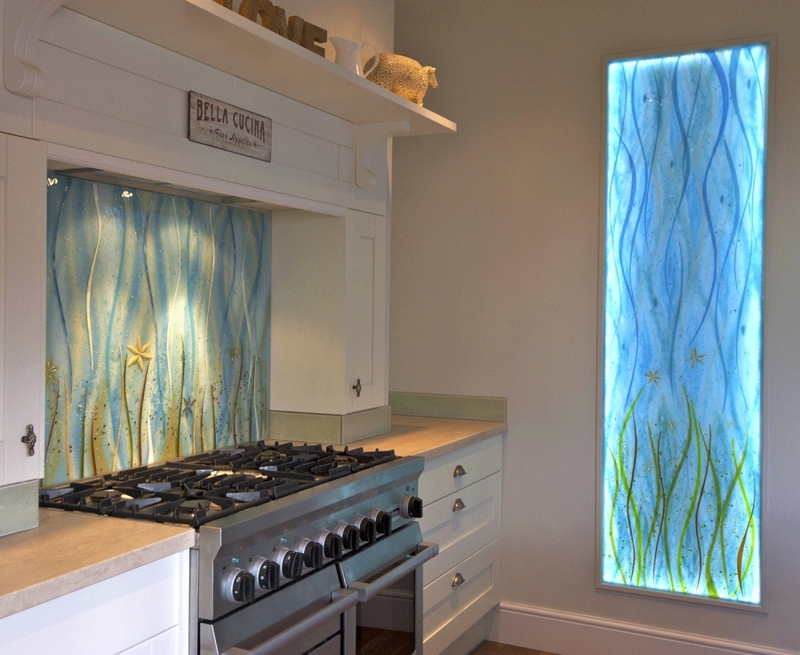 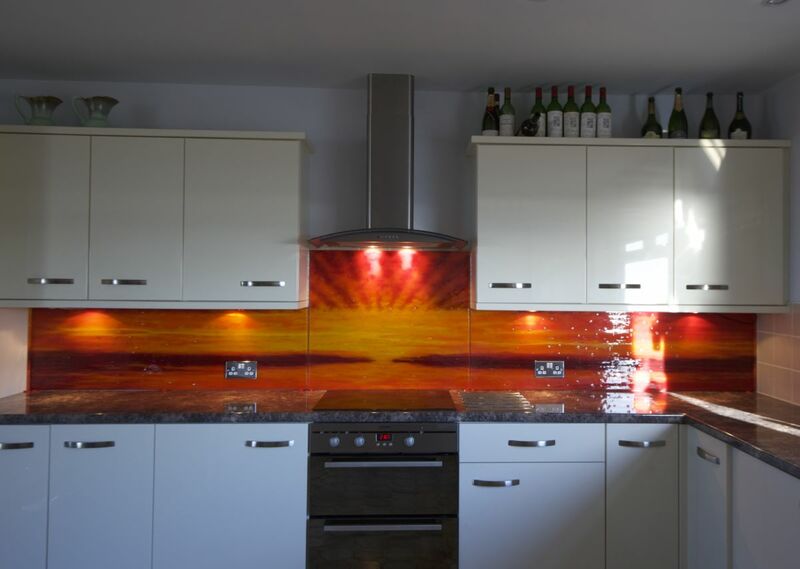 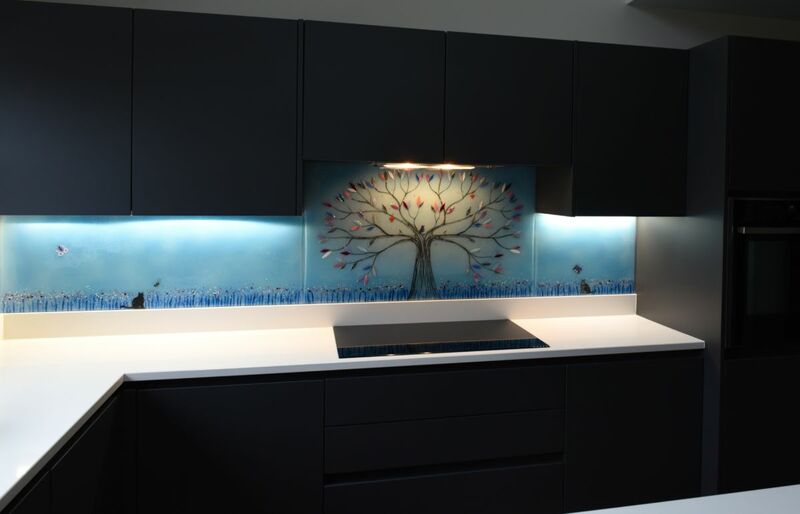 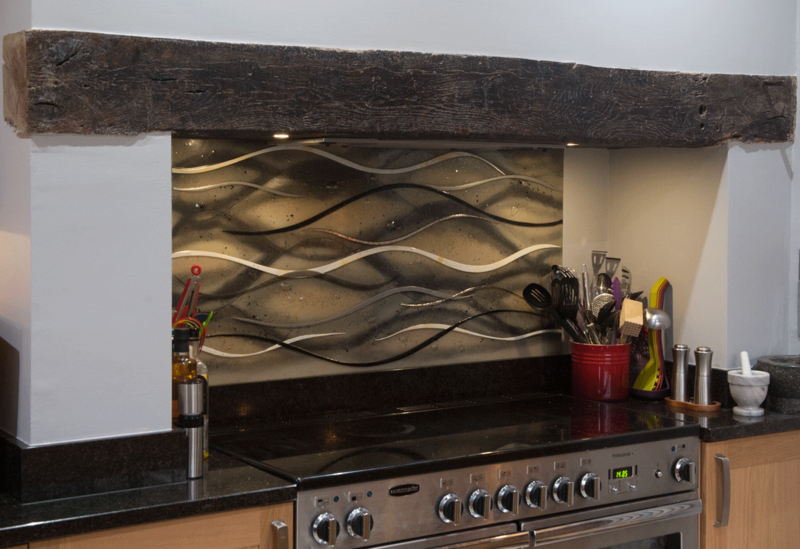 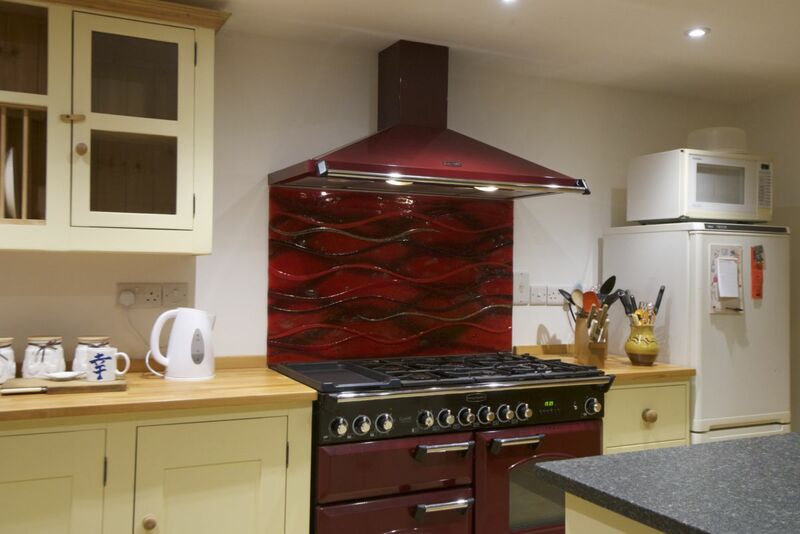 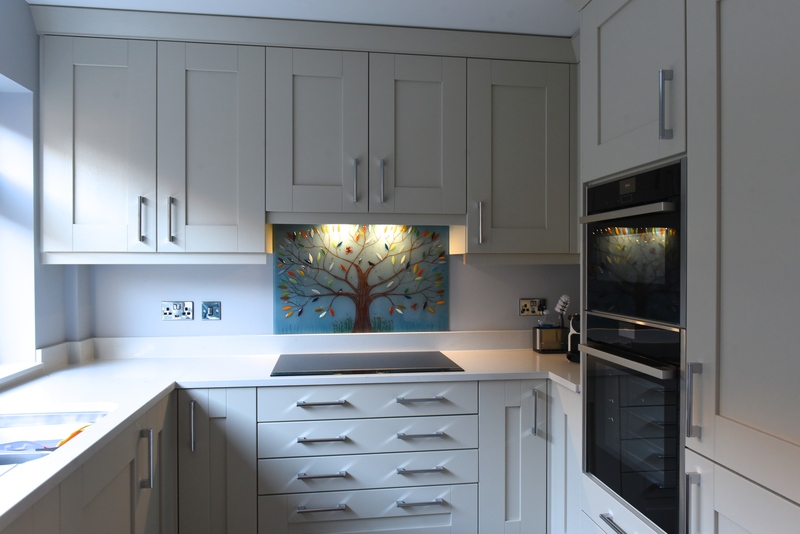 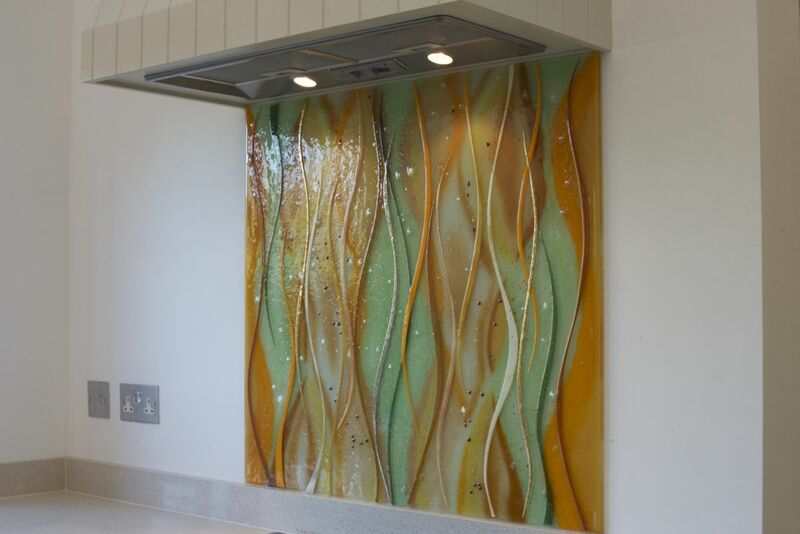 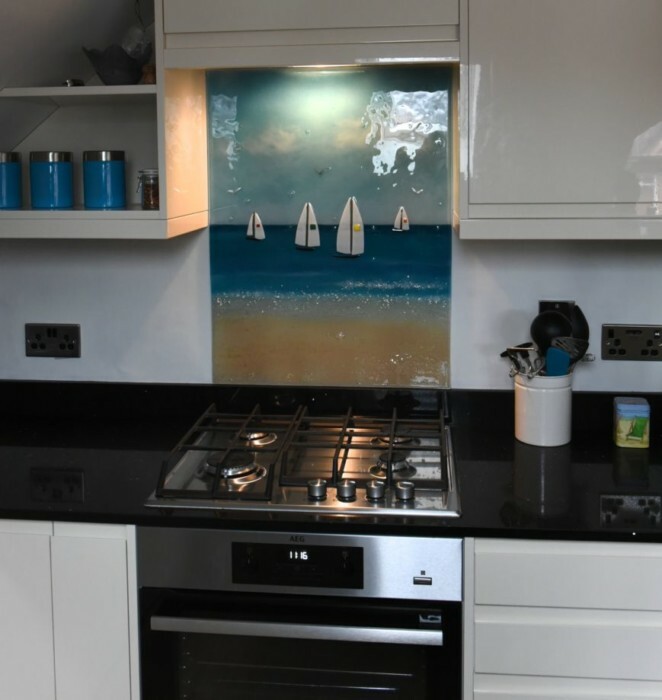 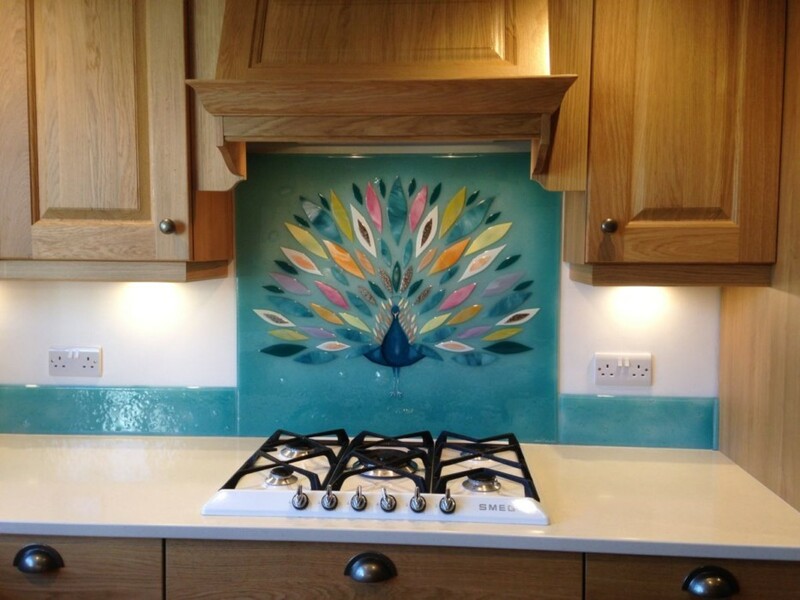 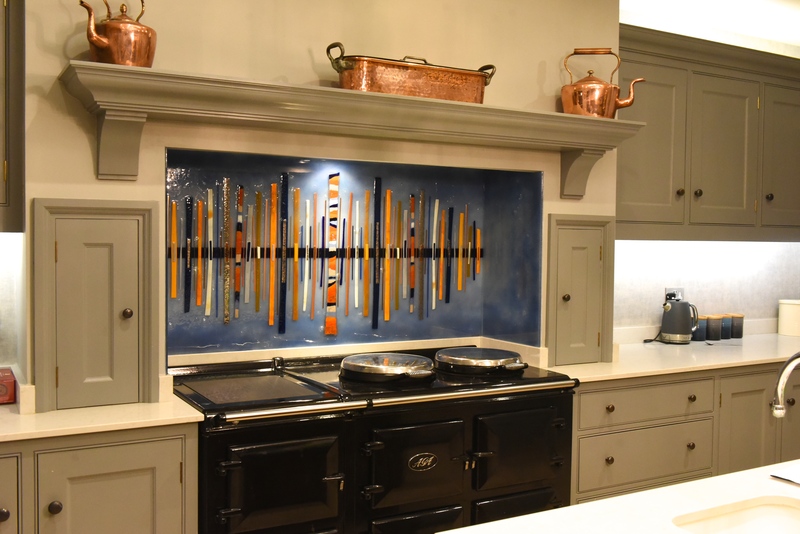 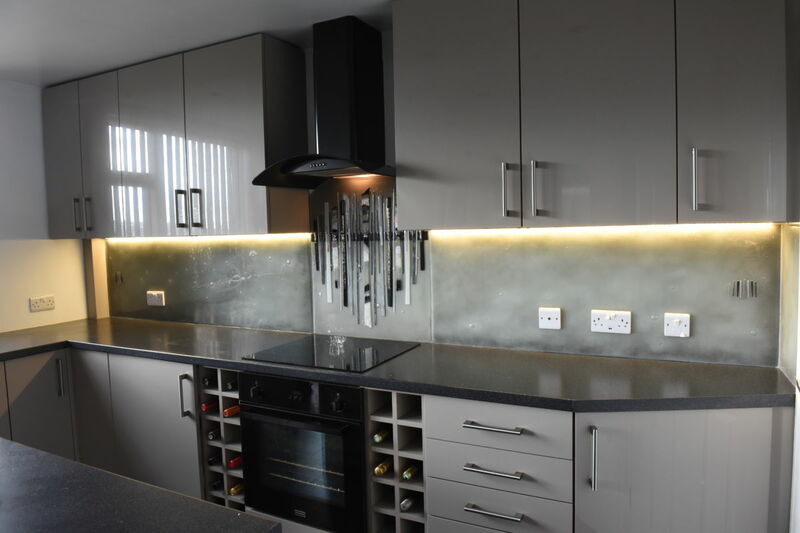 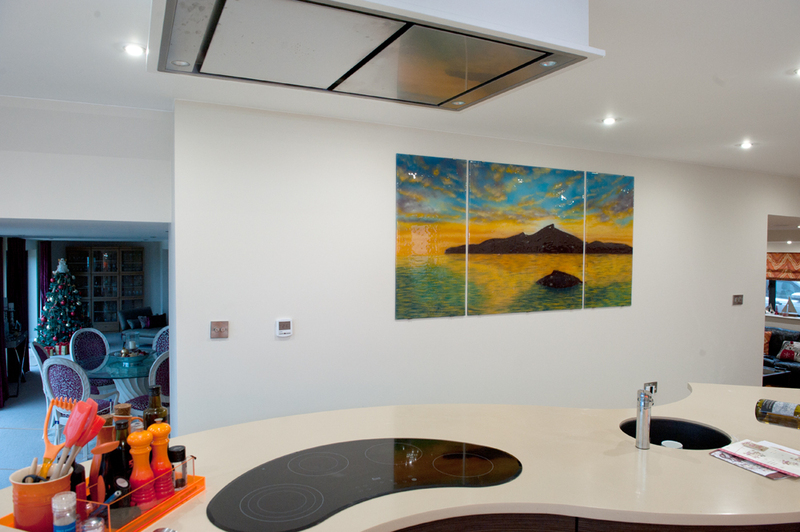 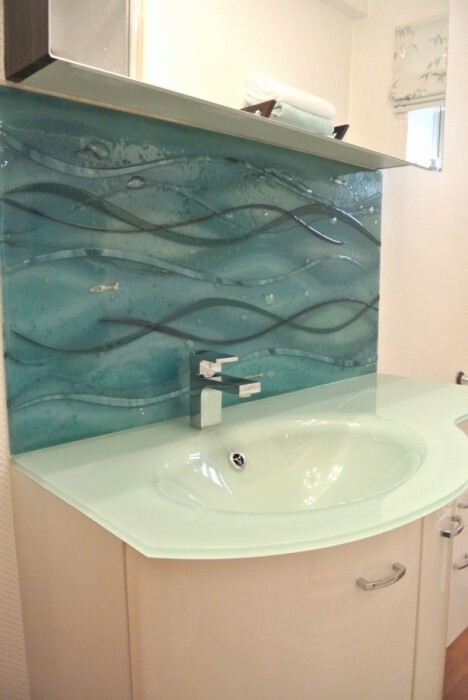 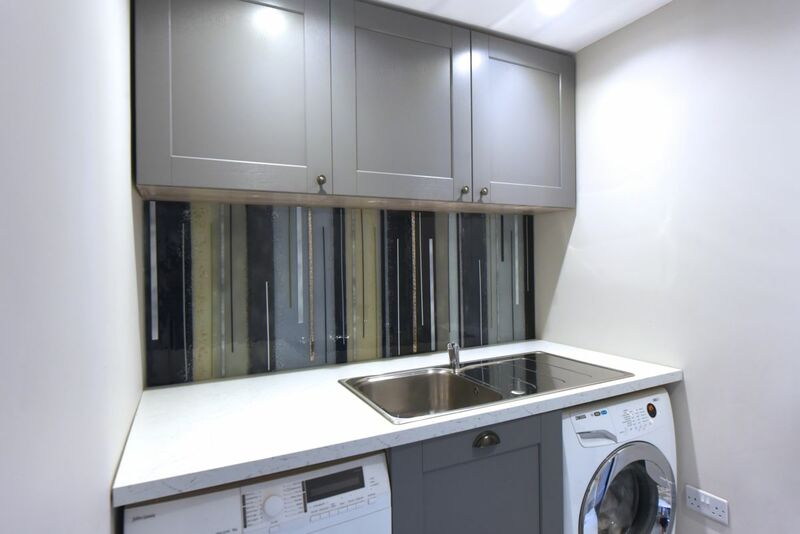 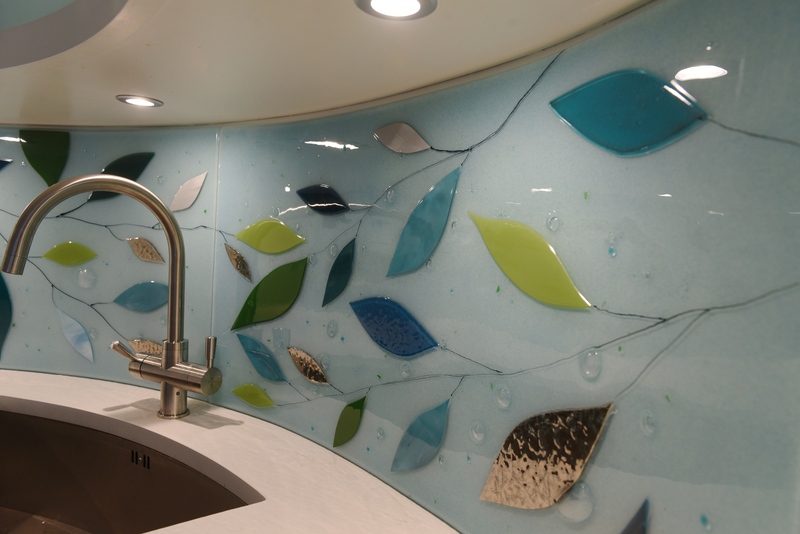 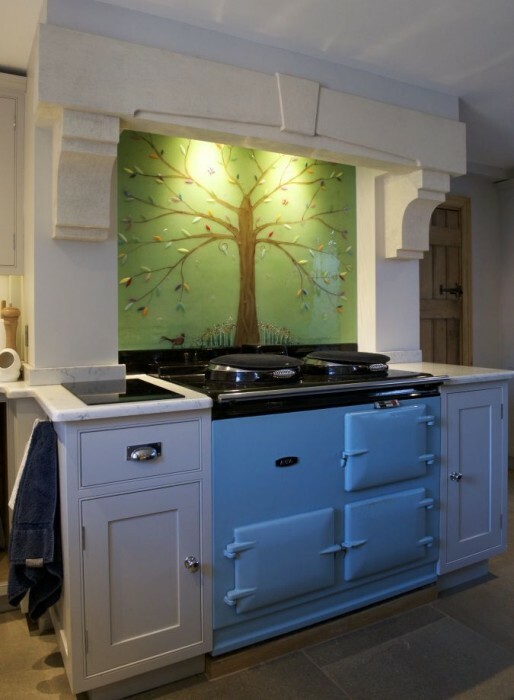 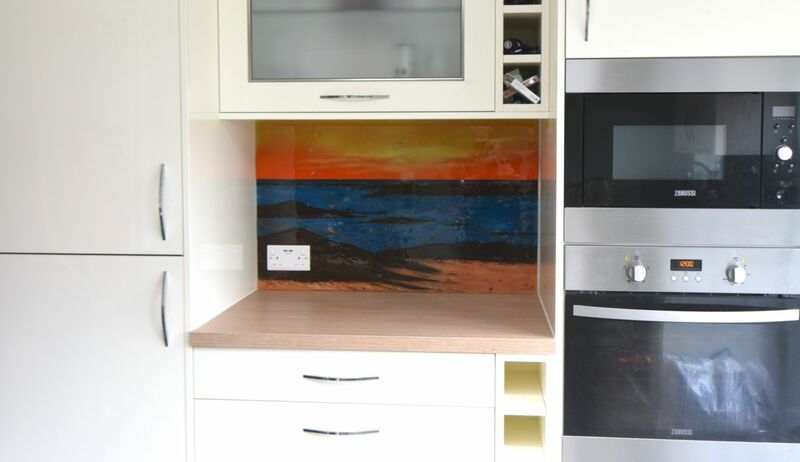 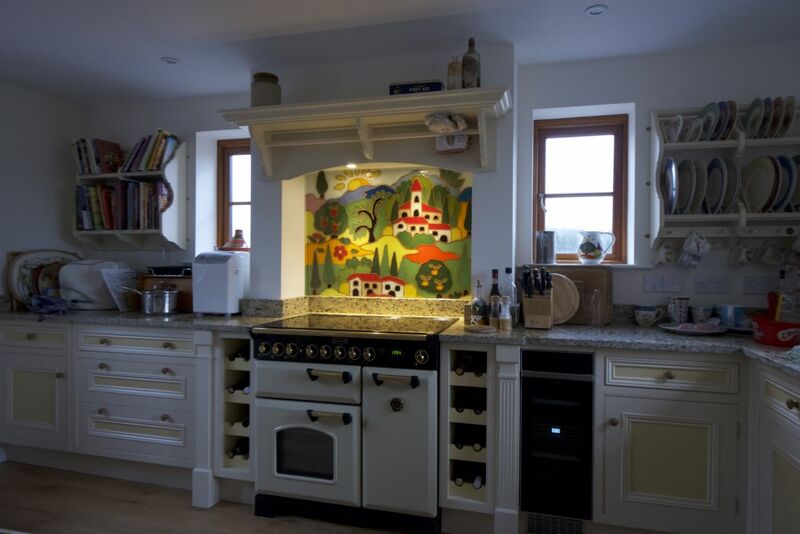 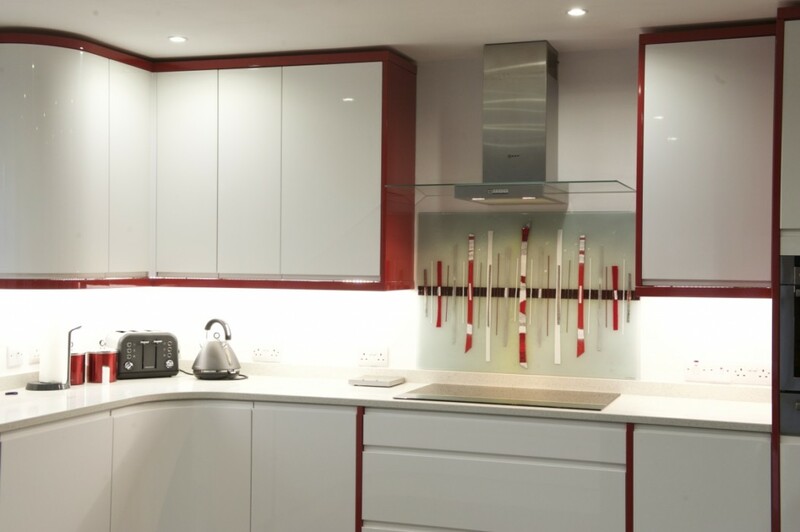 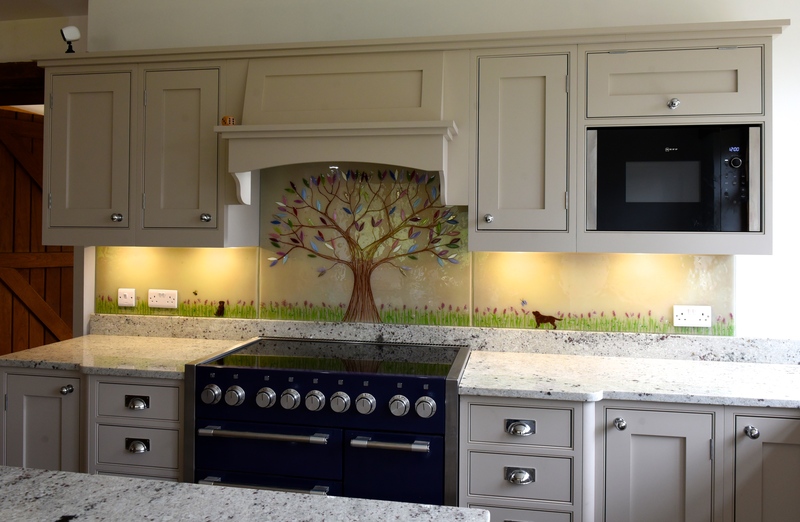 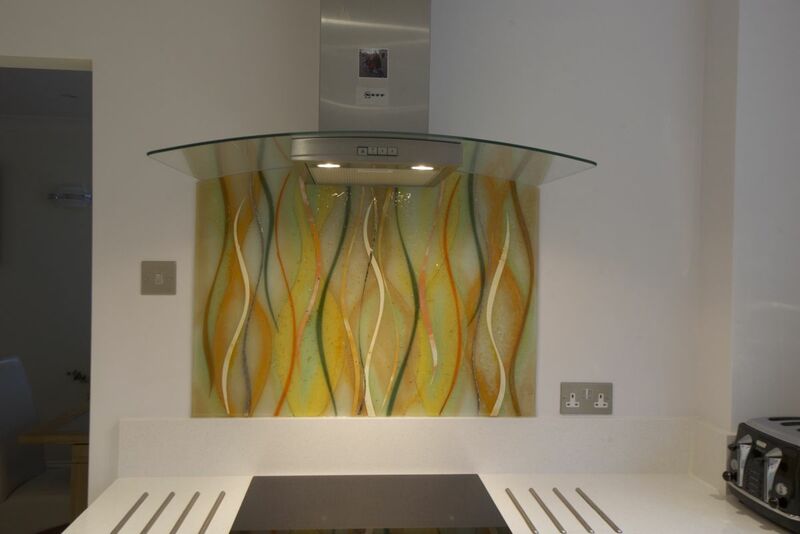 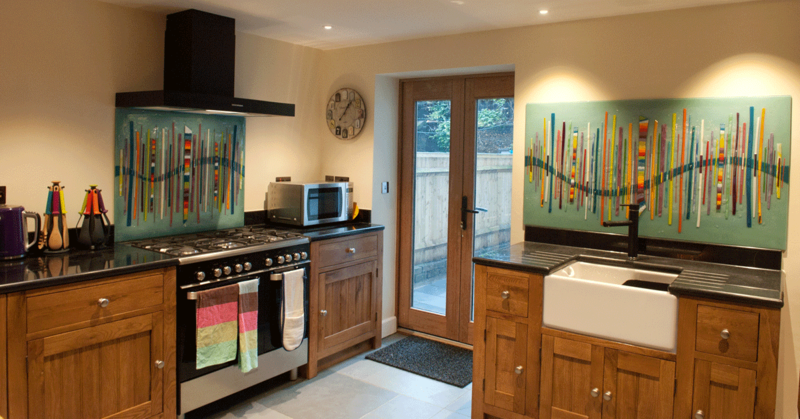 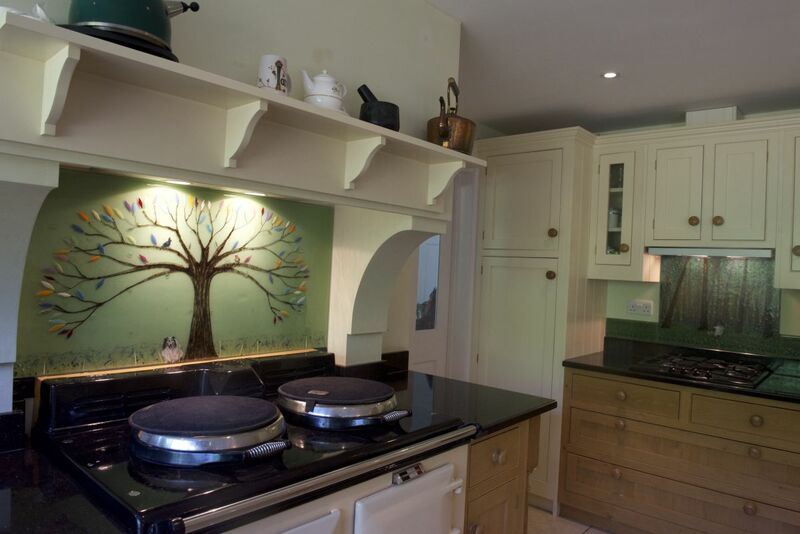 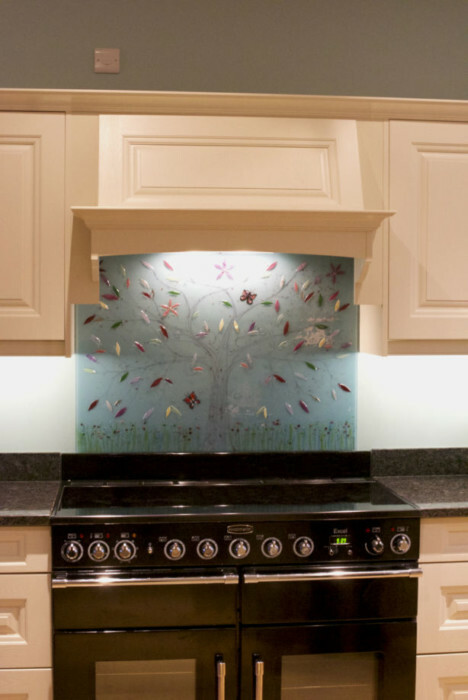 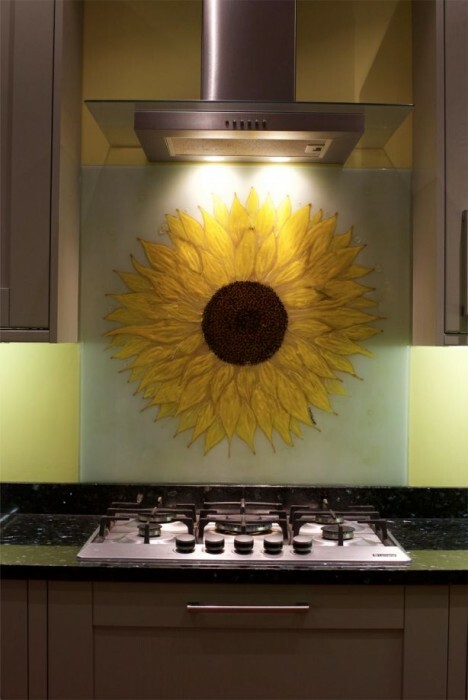 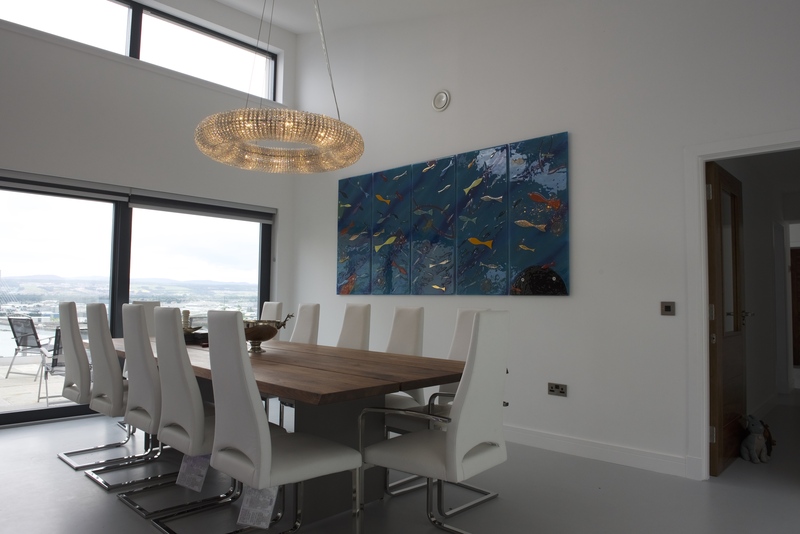 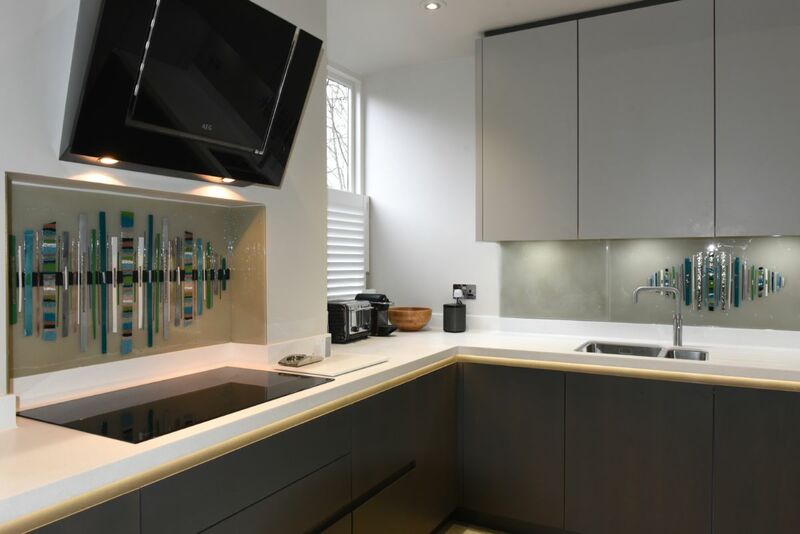 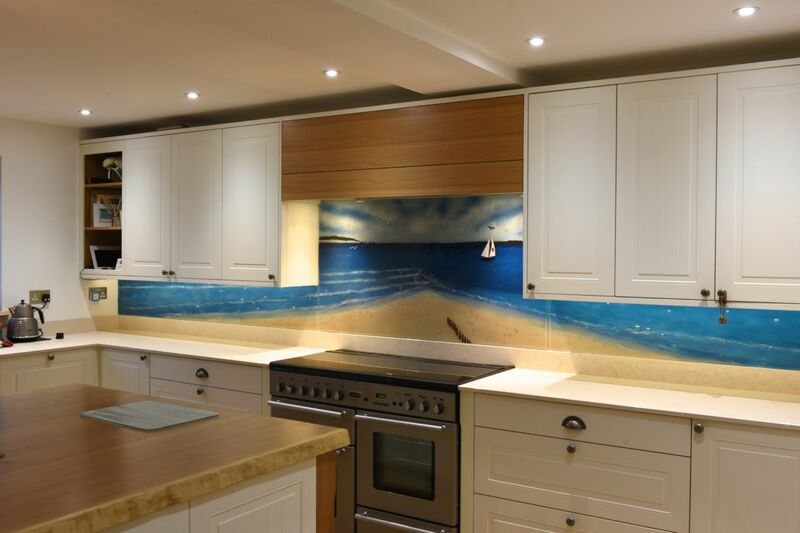 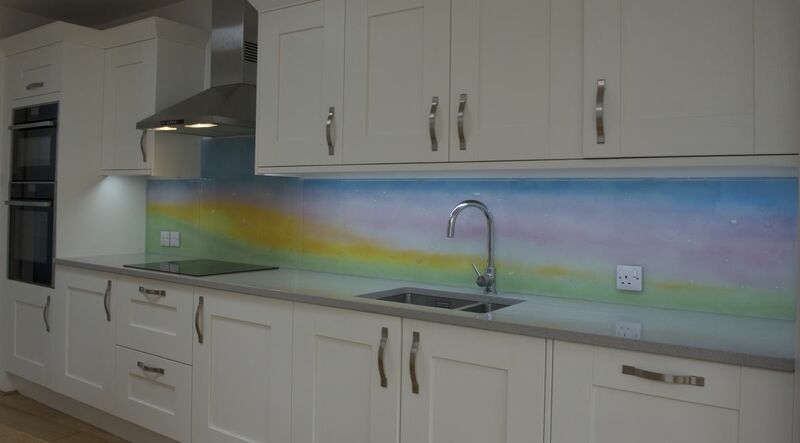 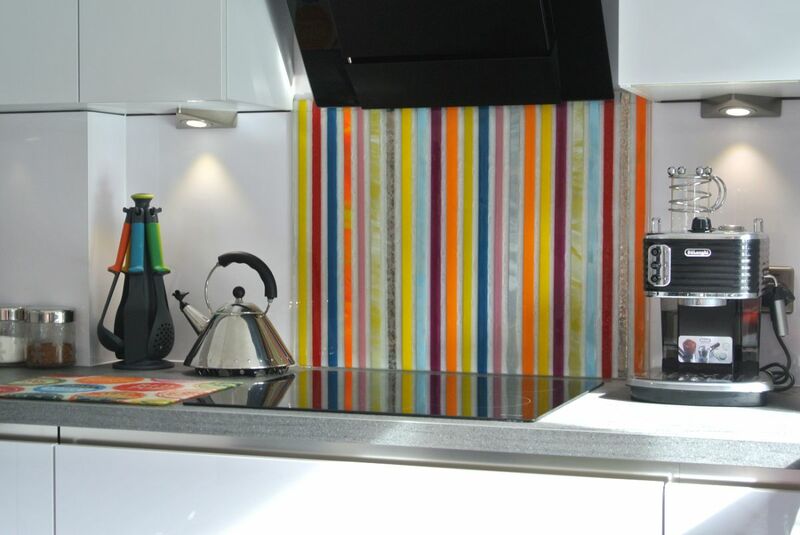 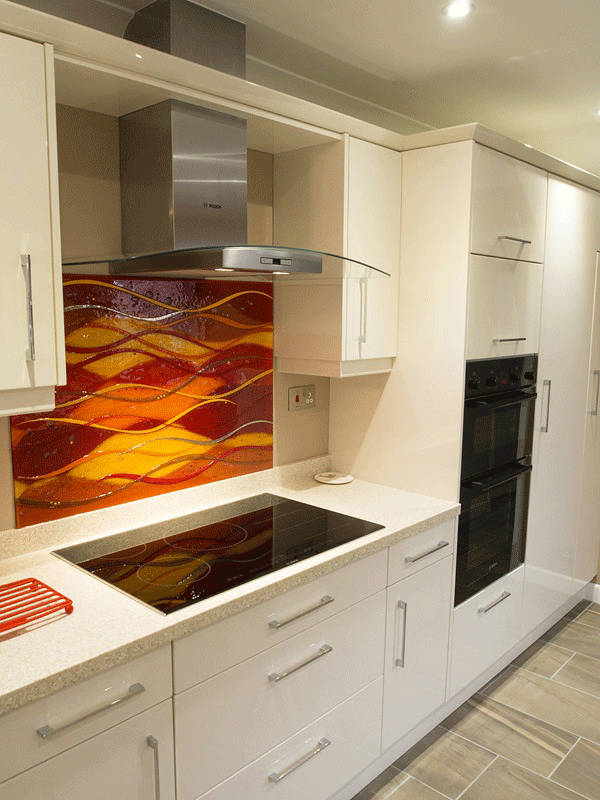 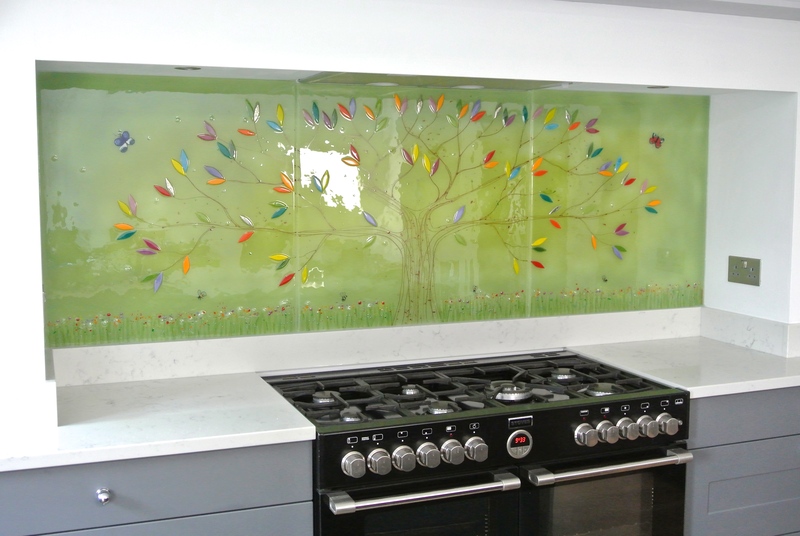 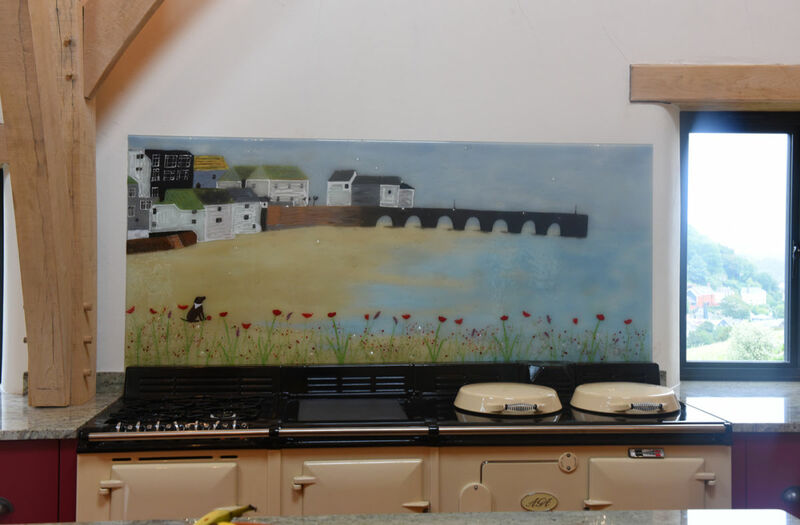 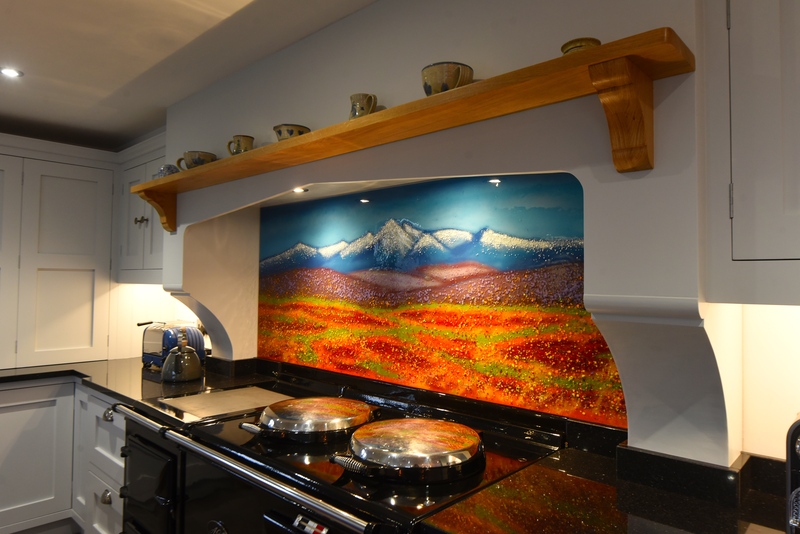 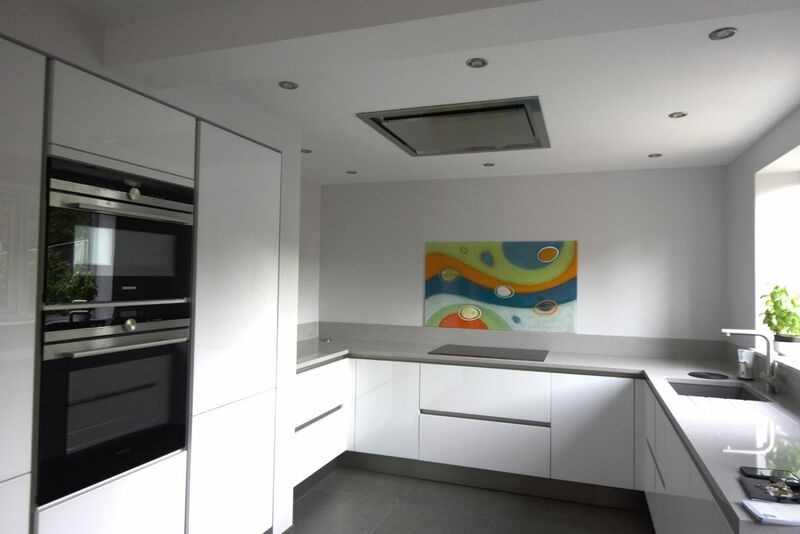 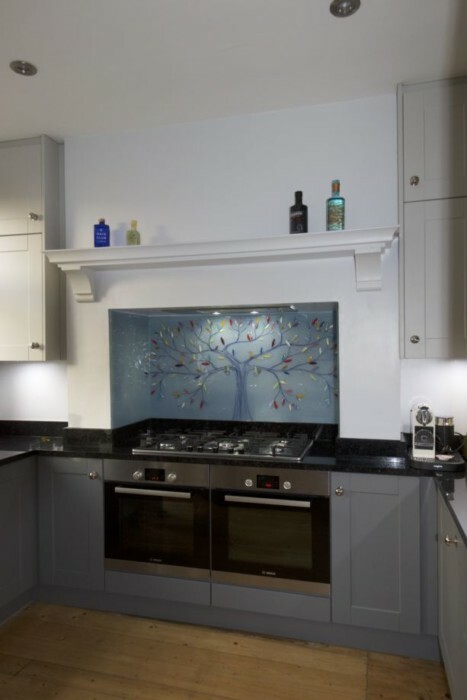 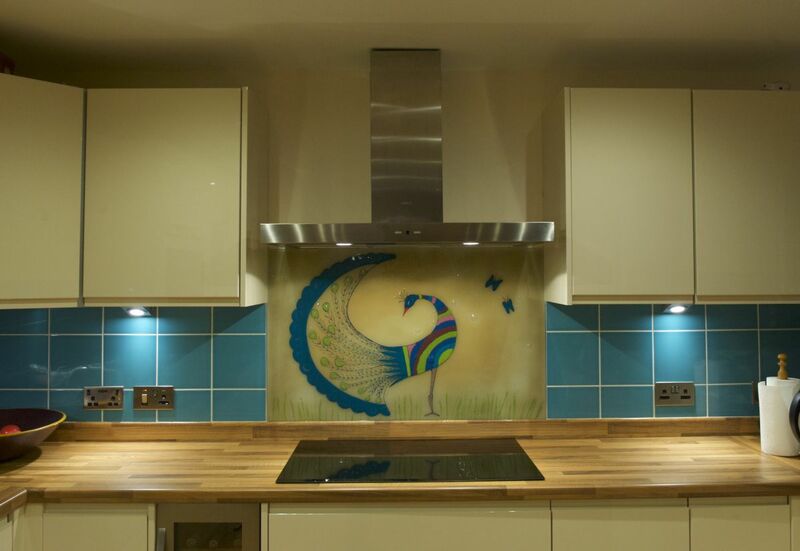 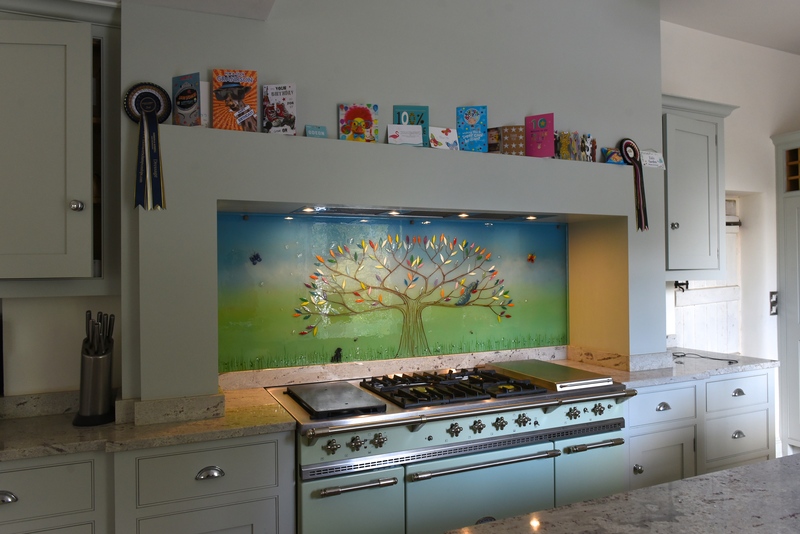 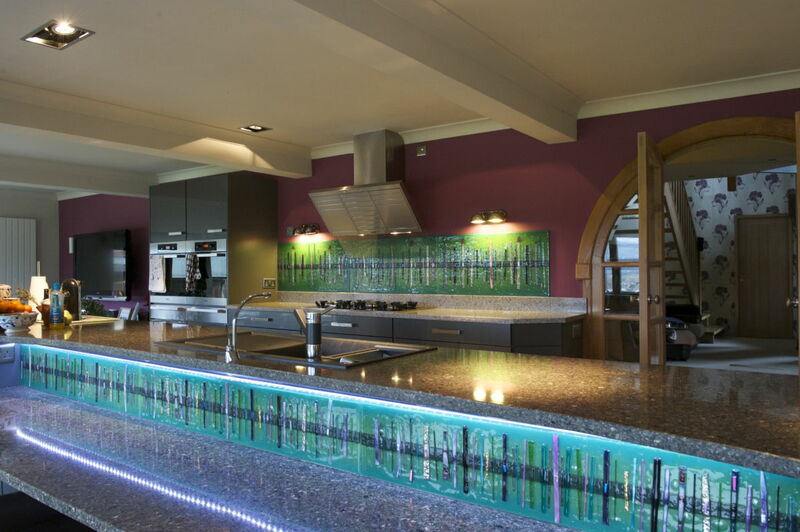 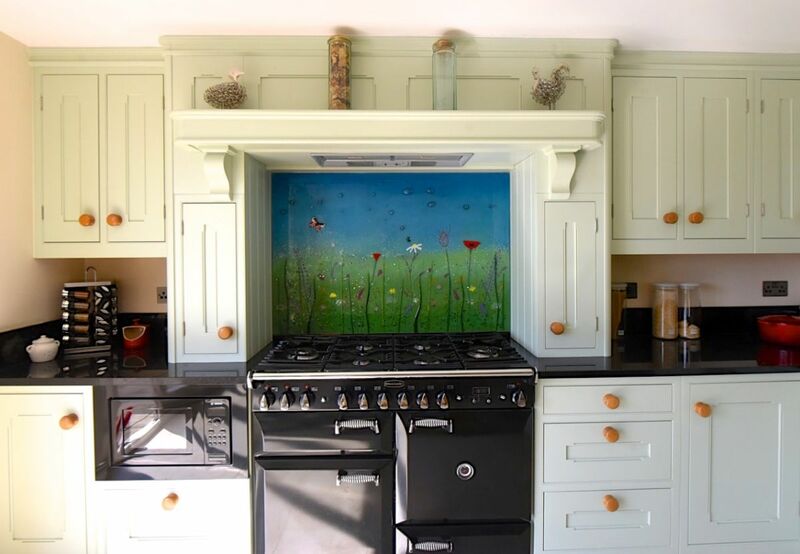 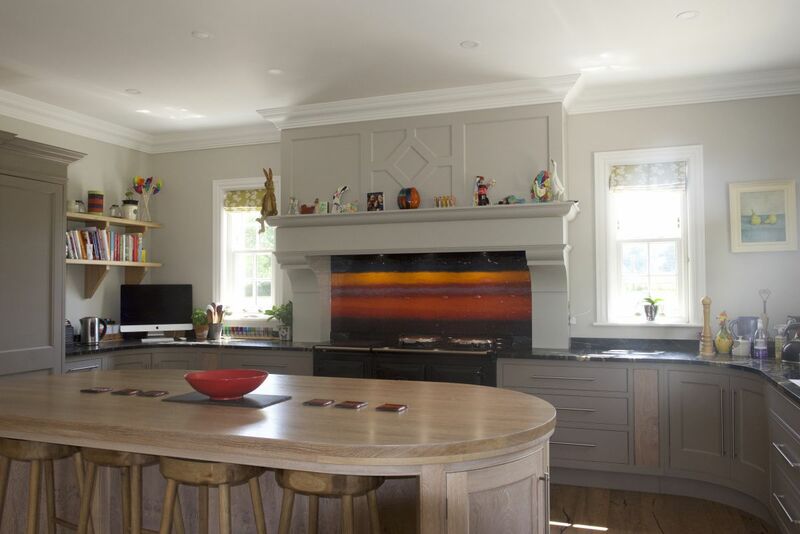 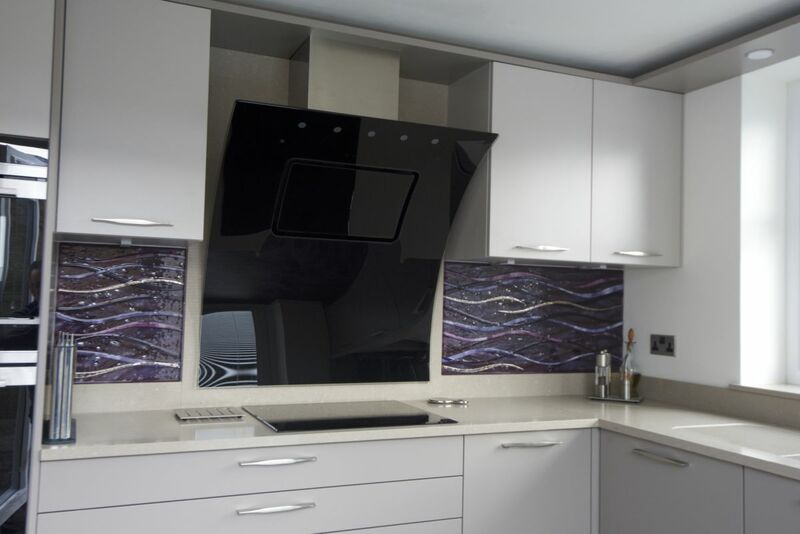 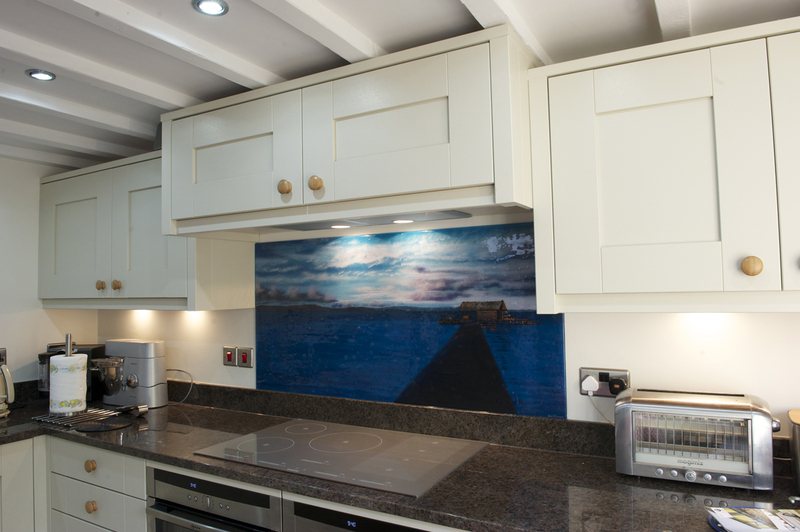 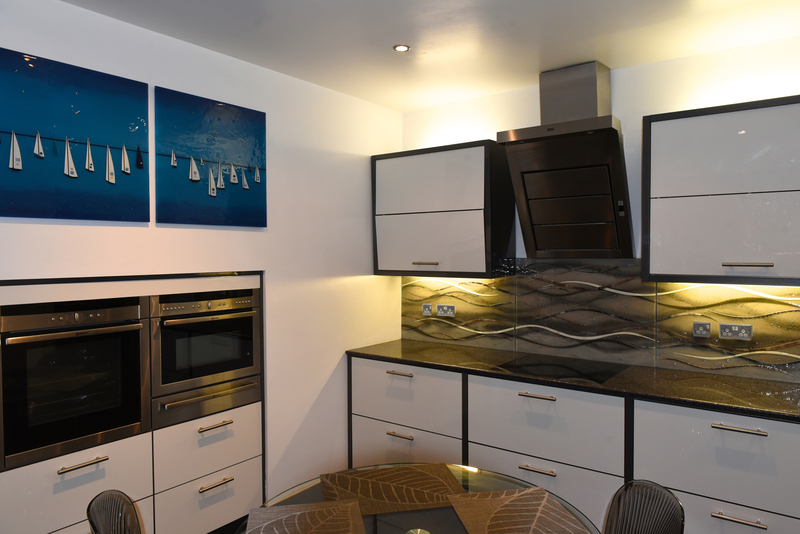 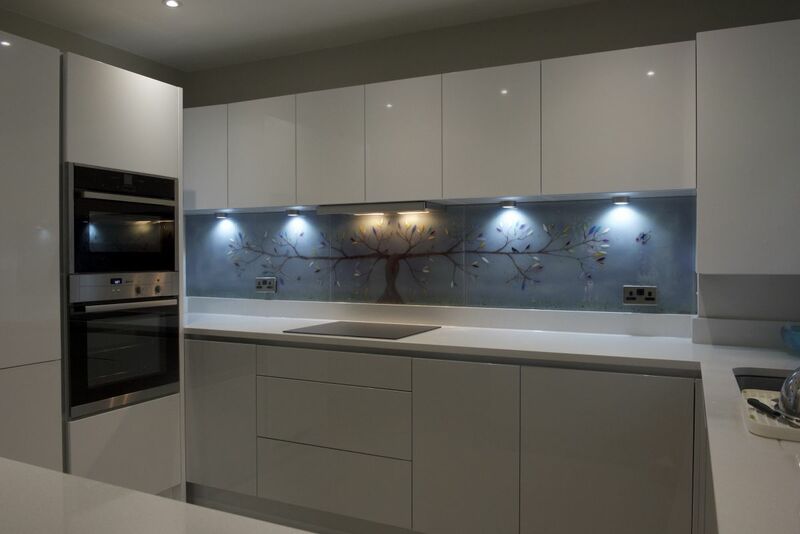 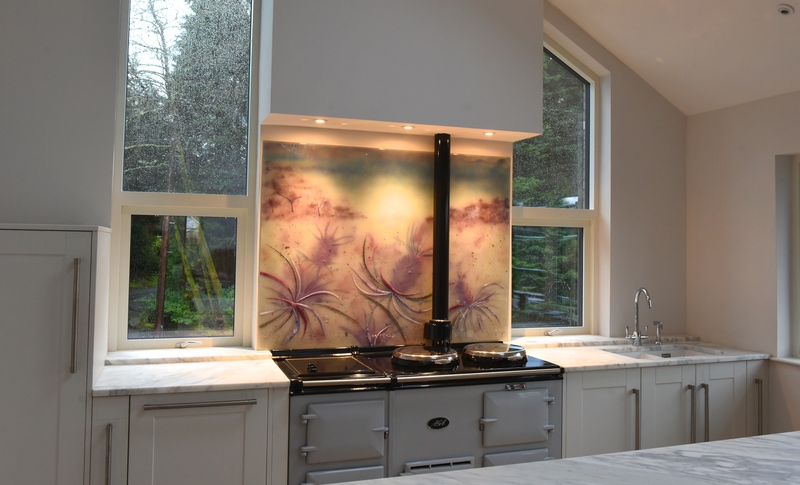 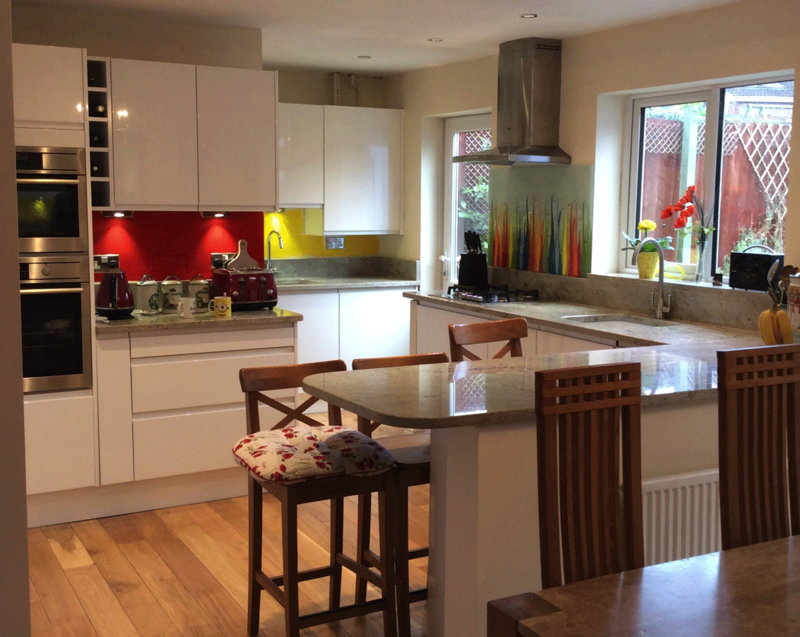 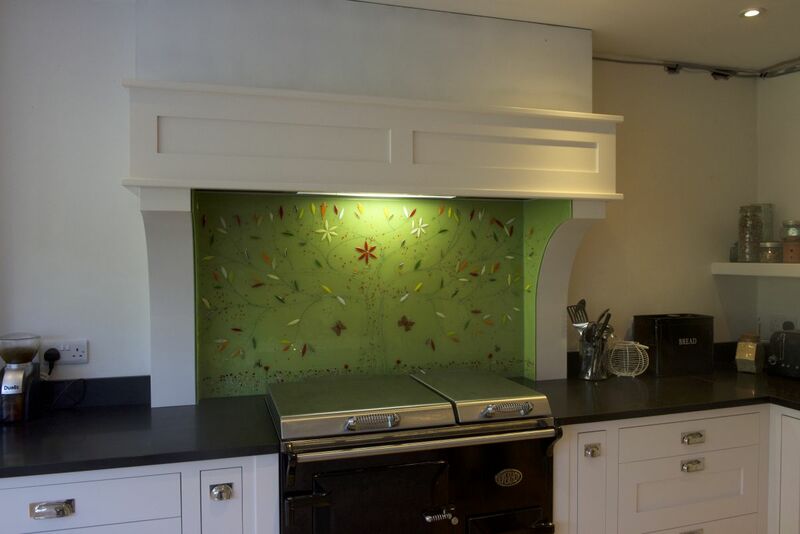 The splashback worked extremely well in the kitchen, filling in and perfectly complementing the space it ended up in. 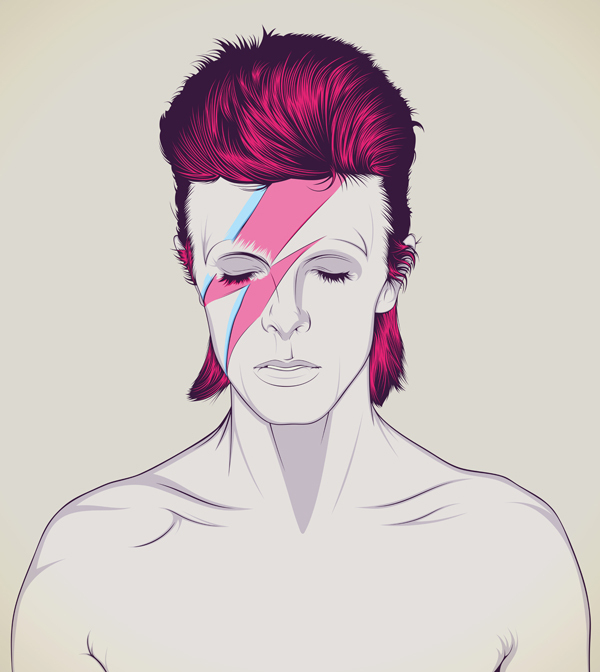 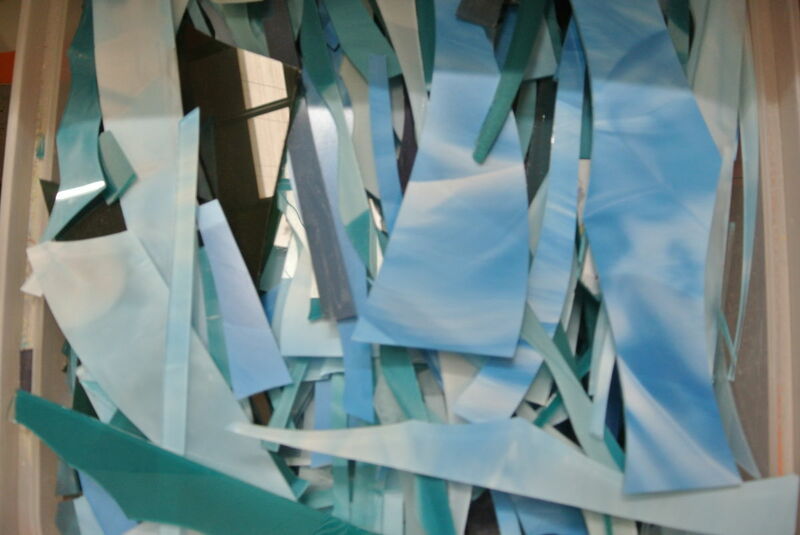 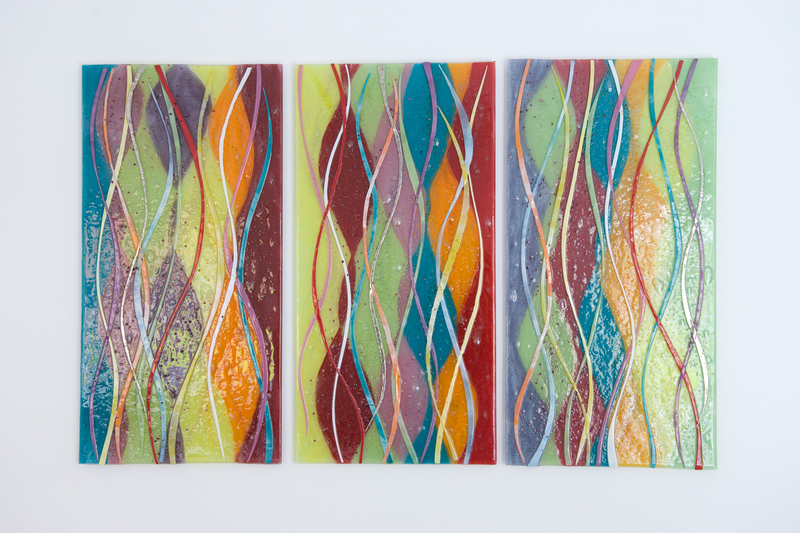 The colours came out great, too, which was certainly one of the most important elements to get just right. 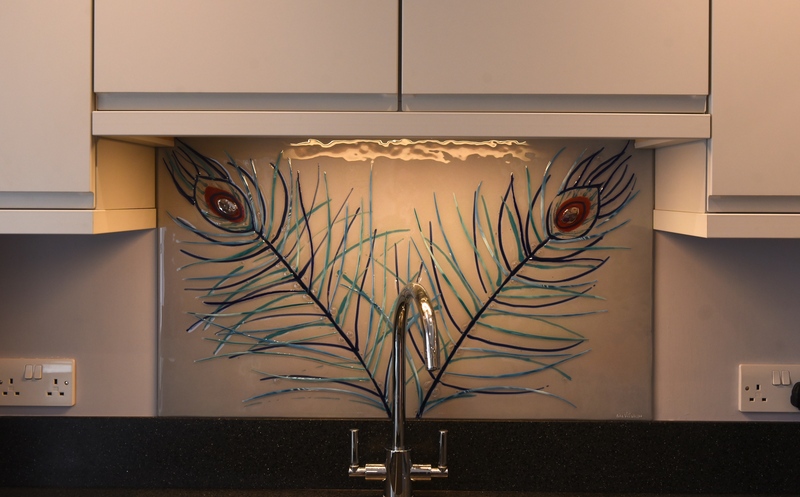 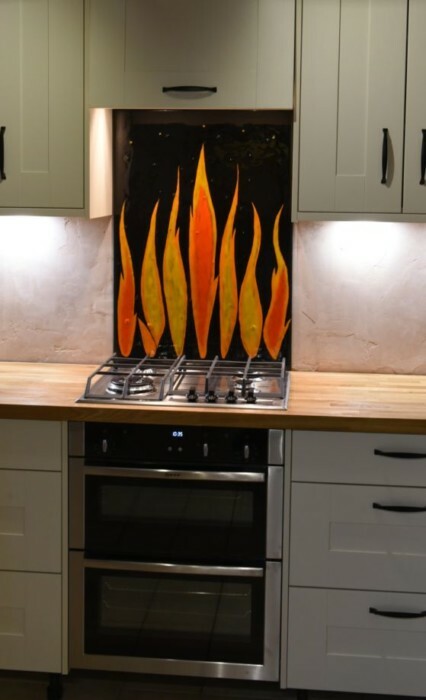 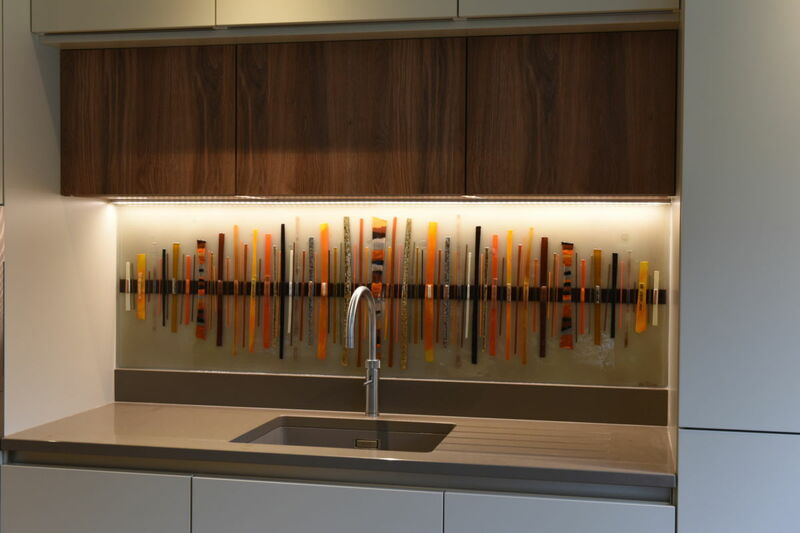 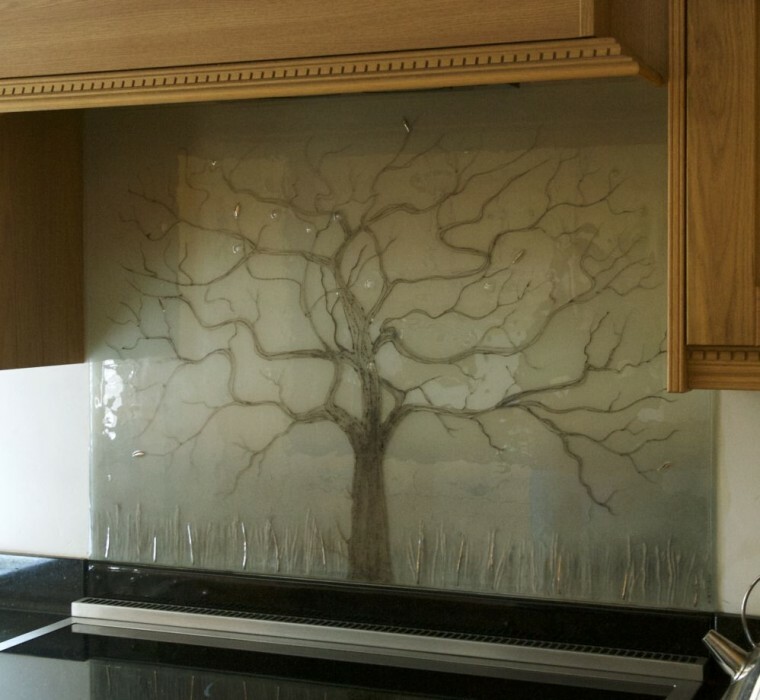 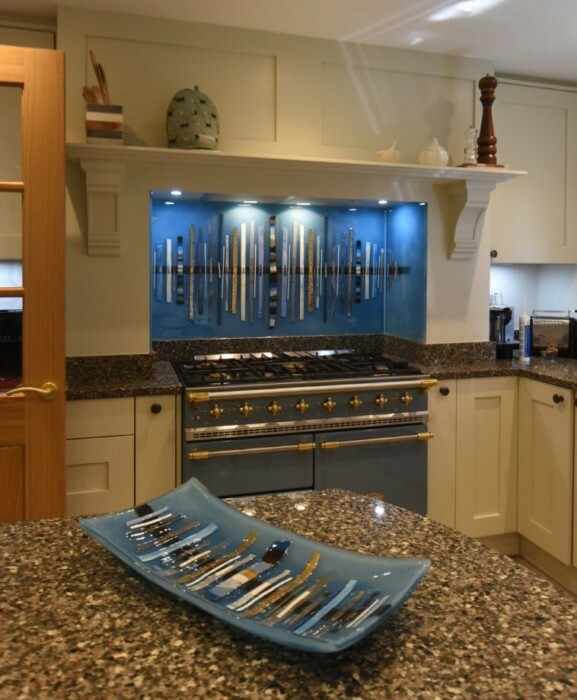 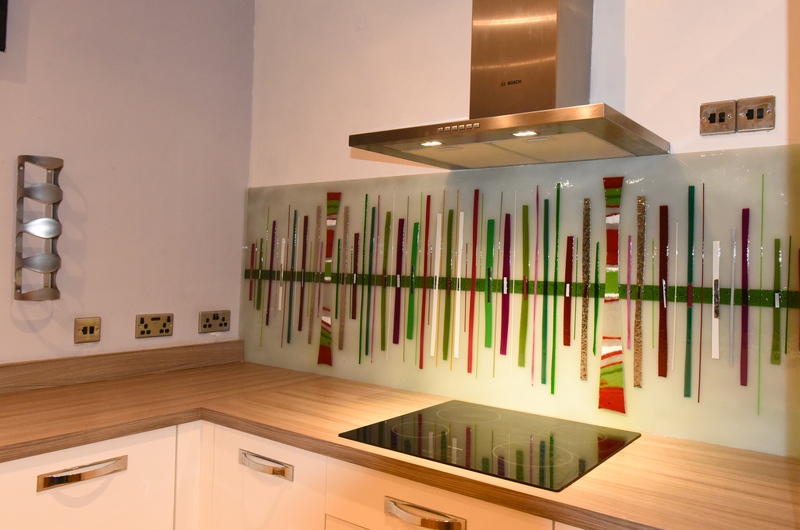 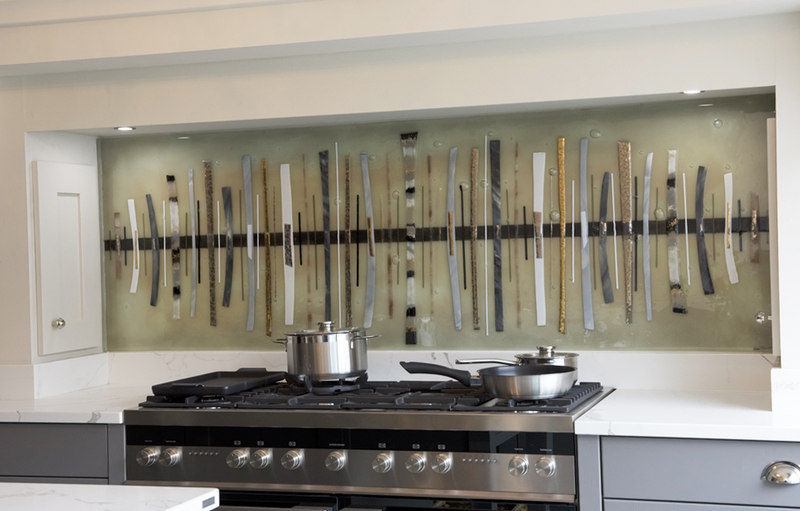 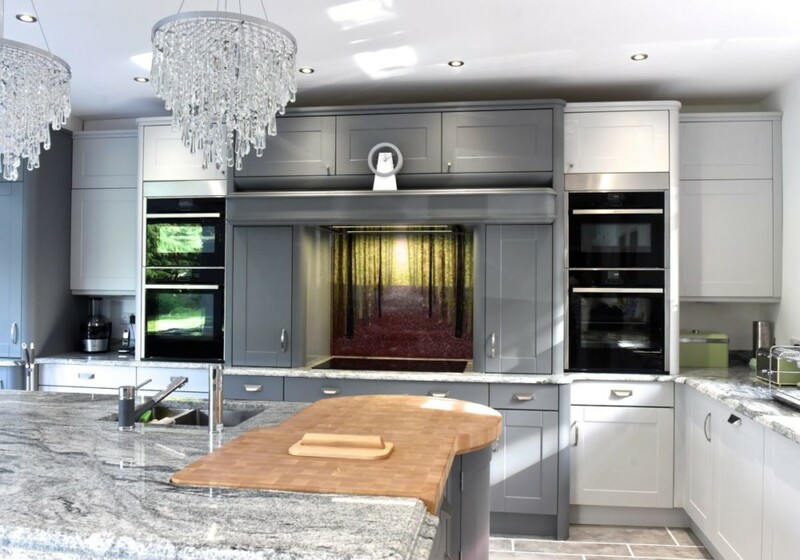 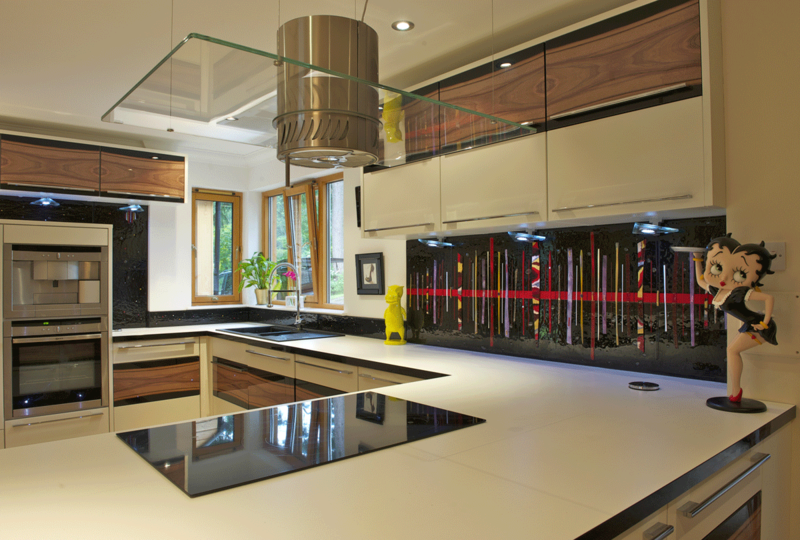 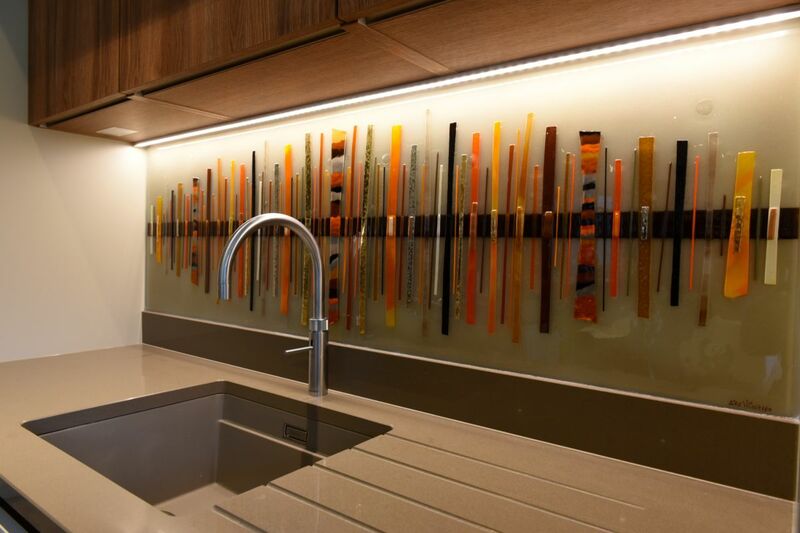 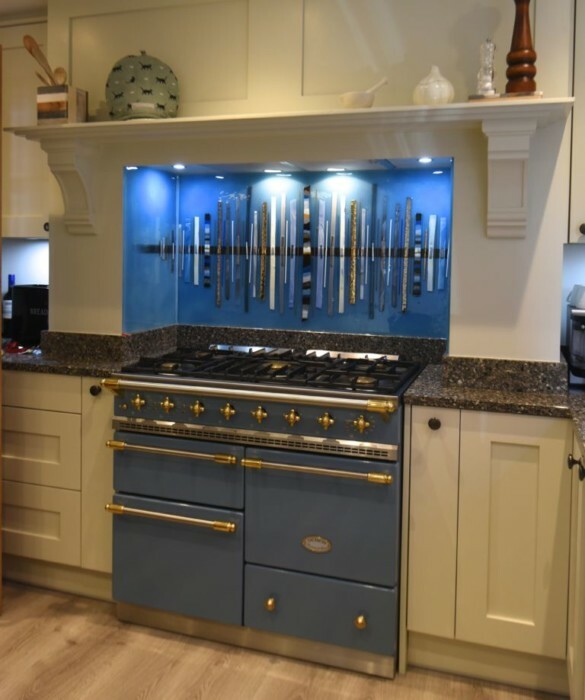 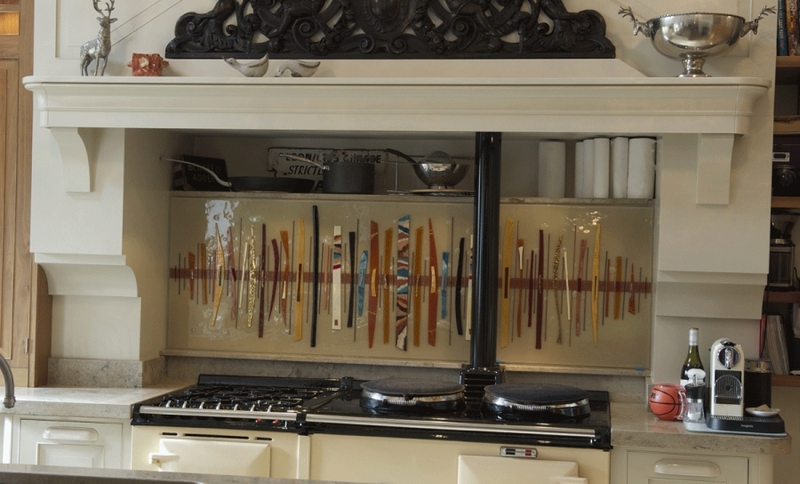 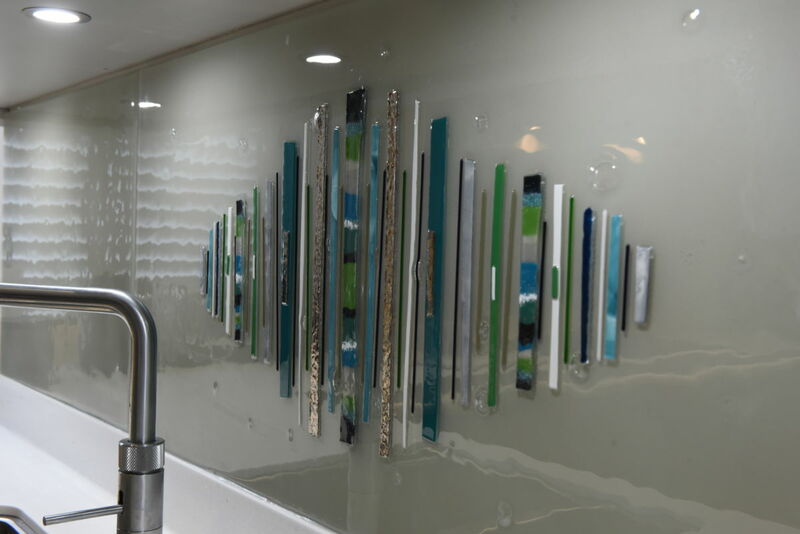 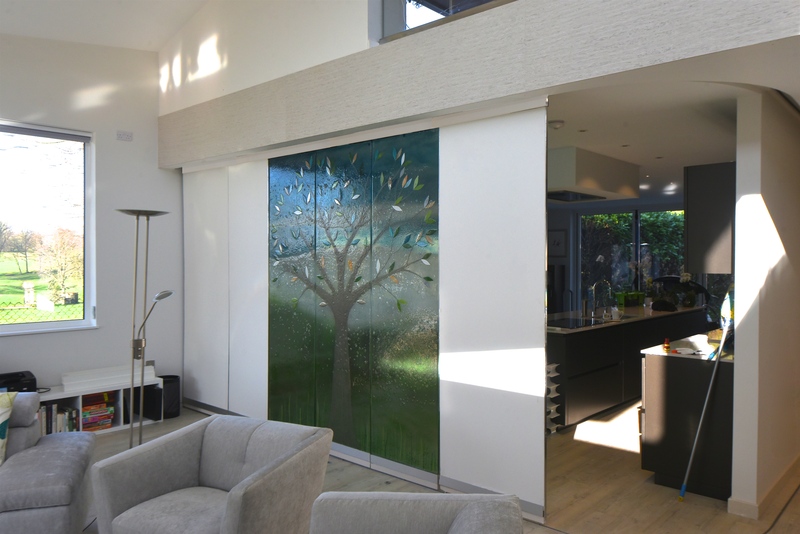 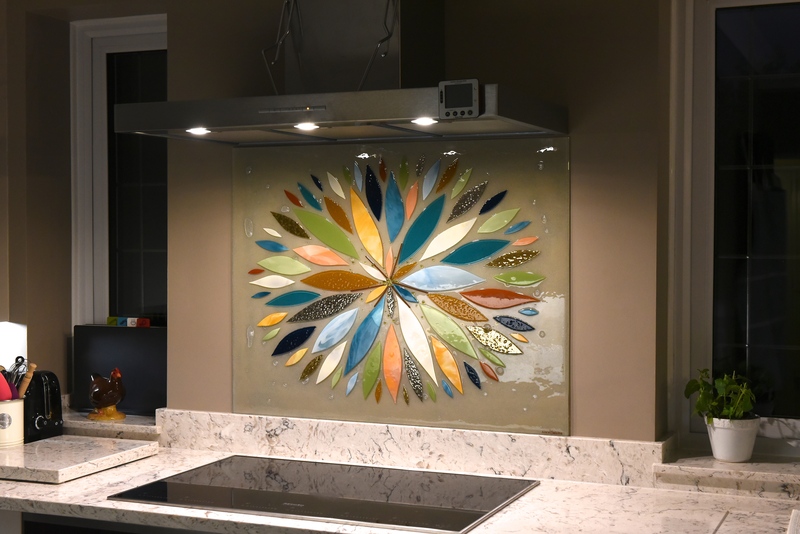 The glass is sure to be an unmissable focal point for the kitchen’s decor for a long time to come, not to mention a centrepiece worthy of the entire house. 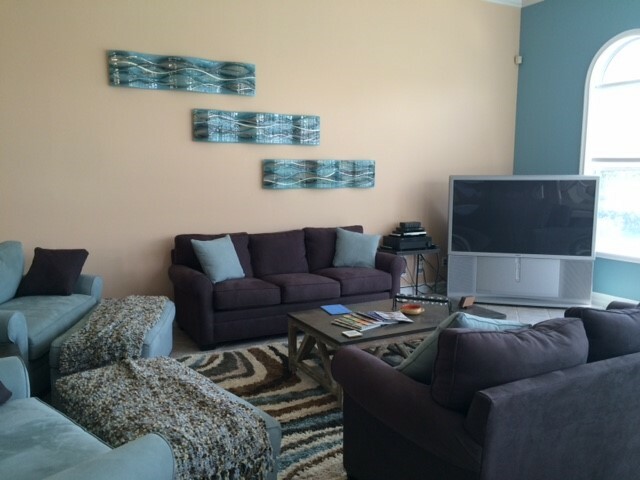 What’s more, Patrick said he loved it as well! 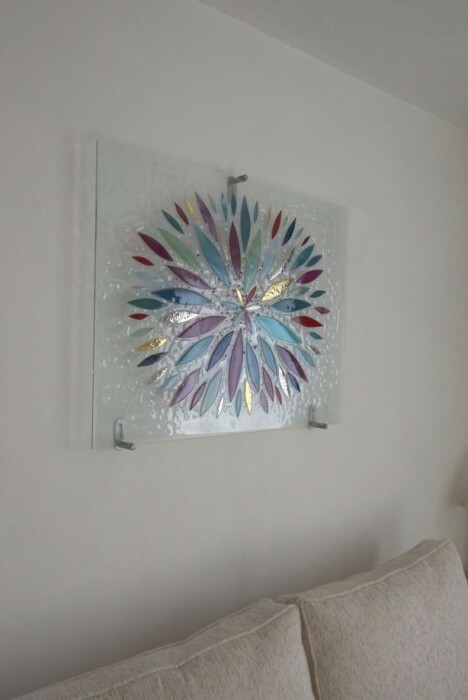 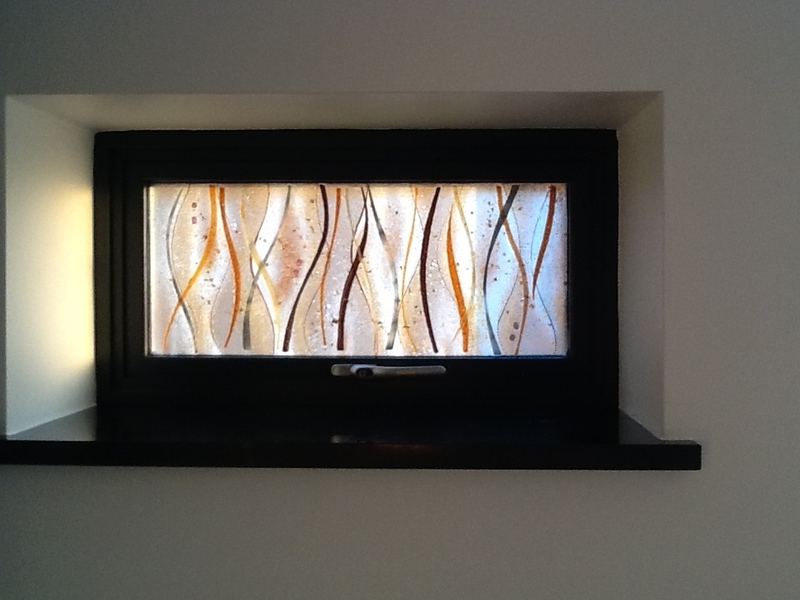 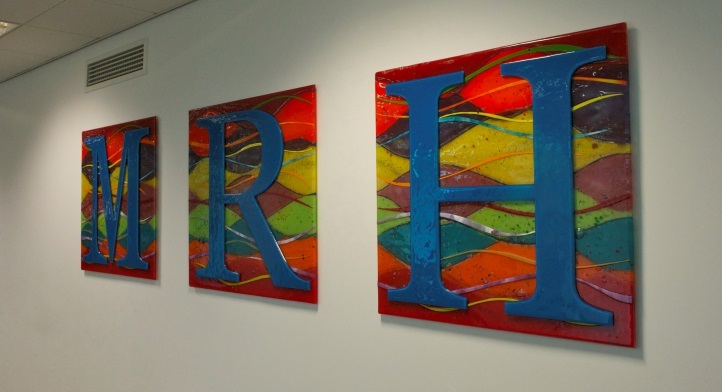 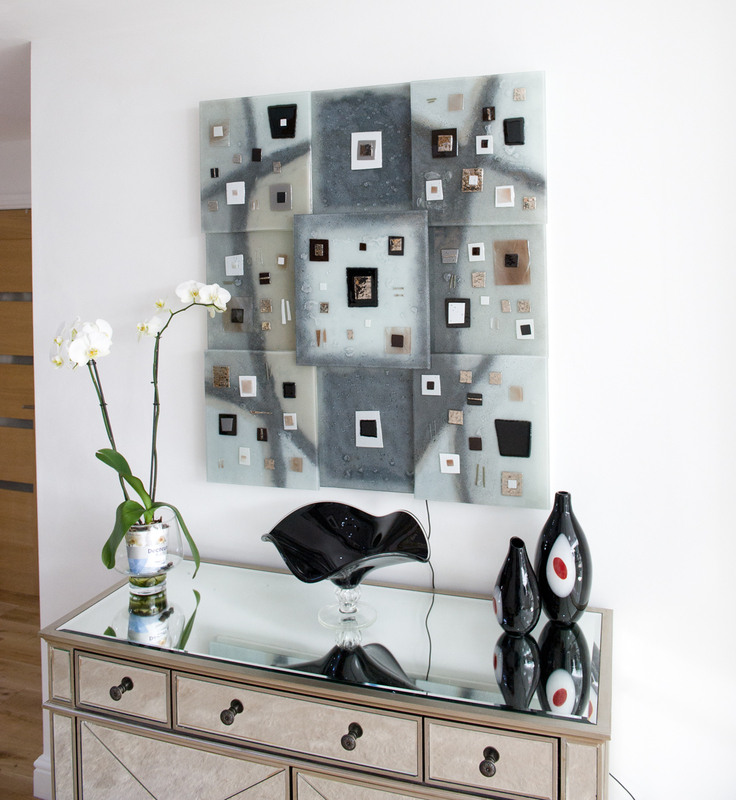 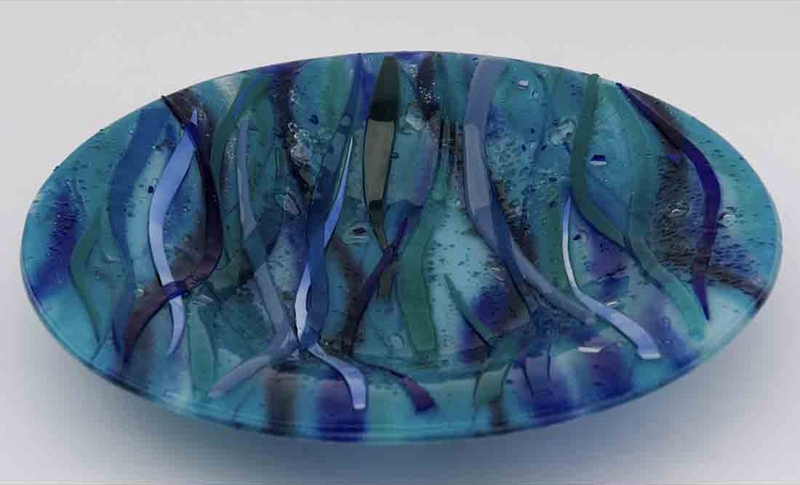 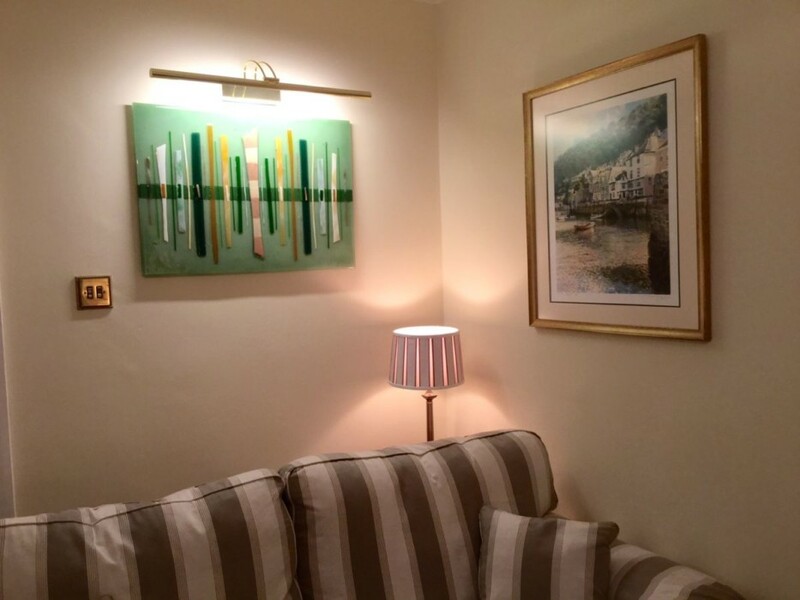 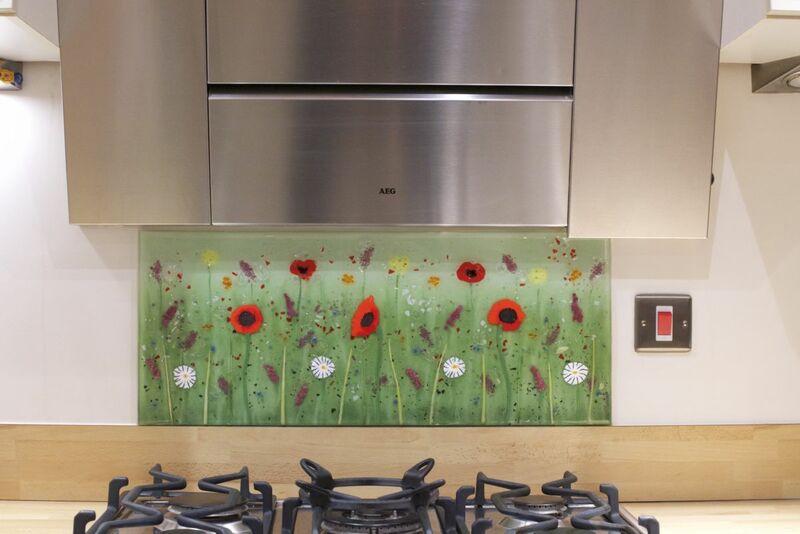 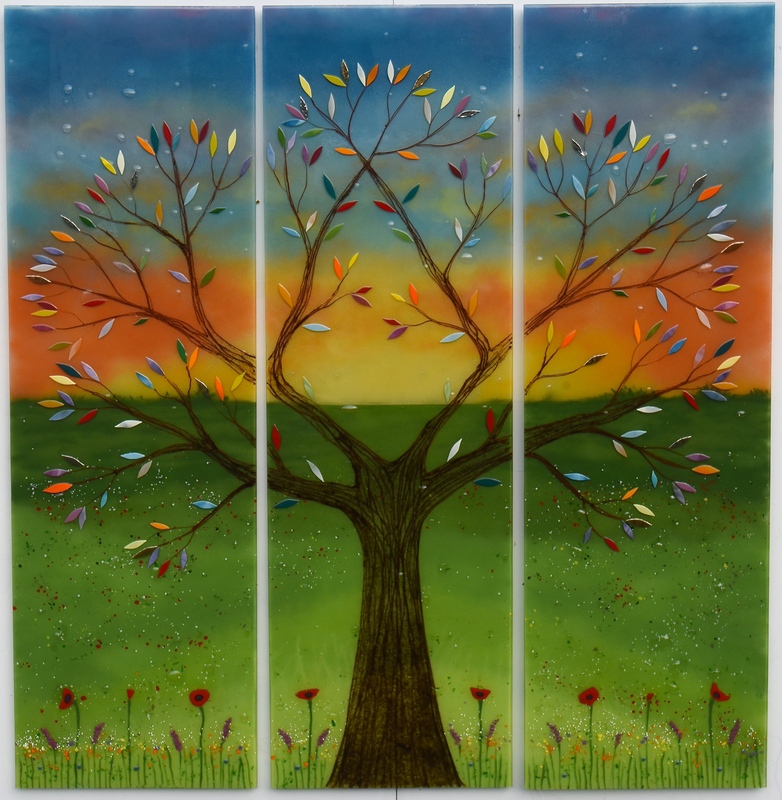 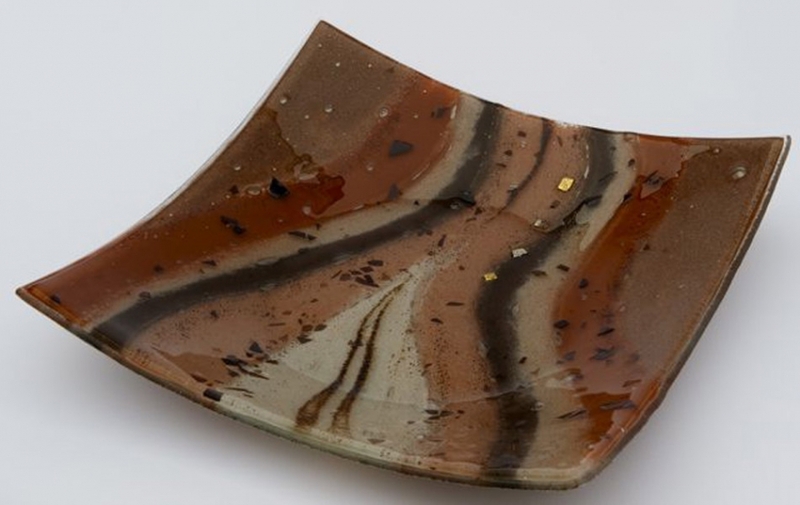 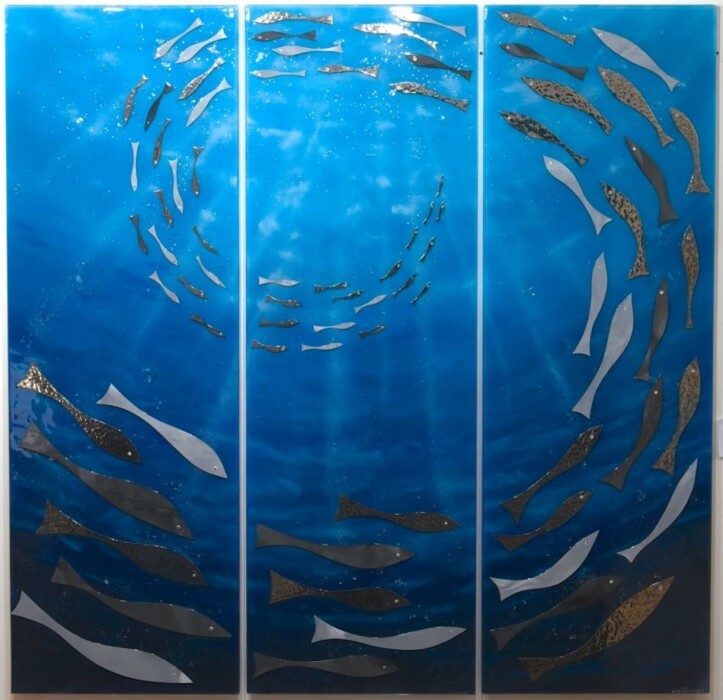 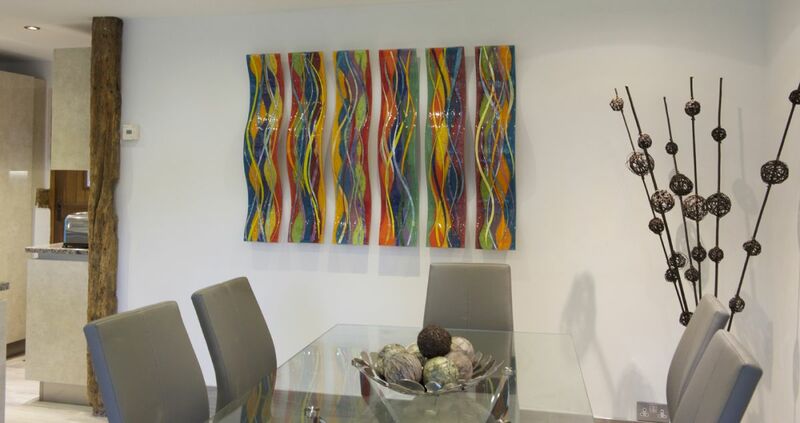 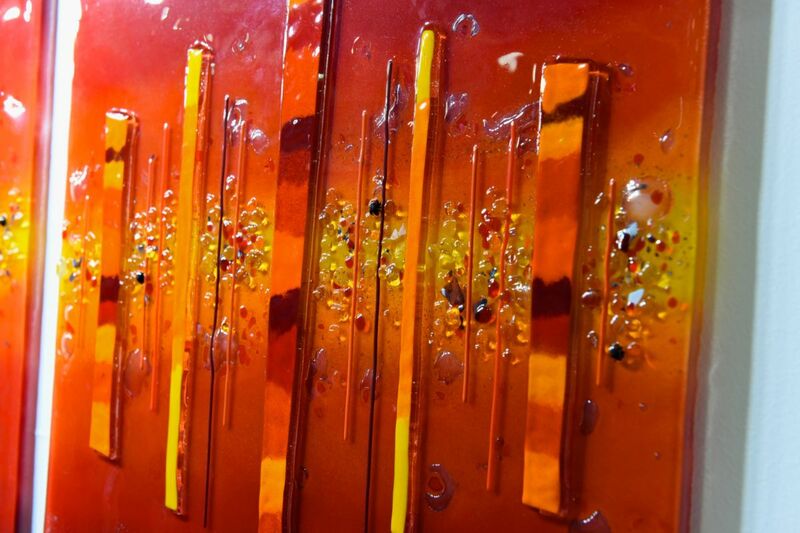 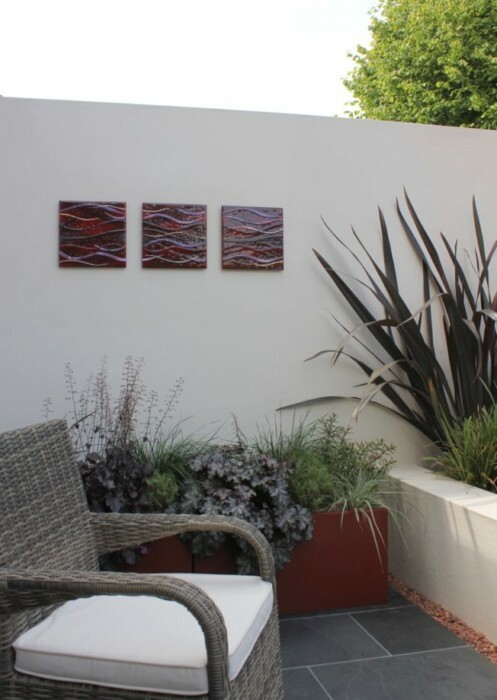 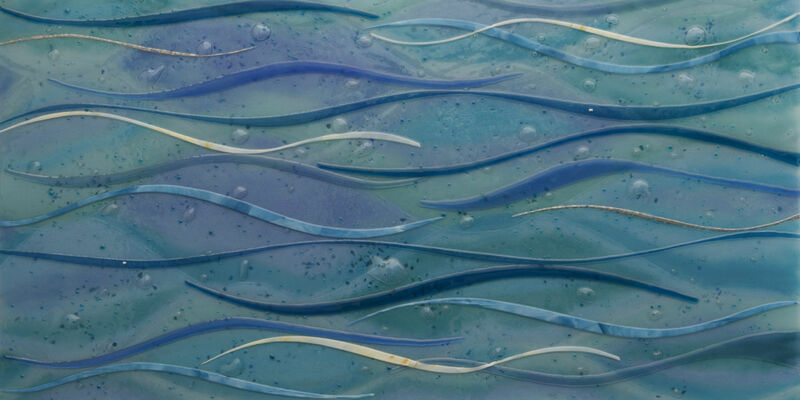 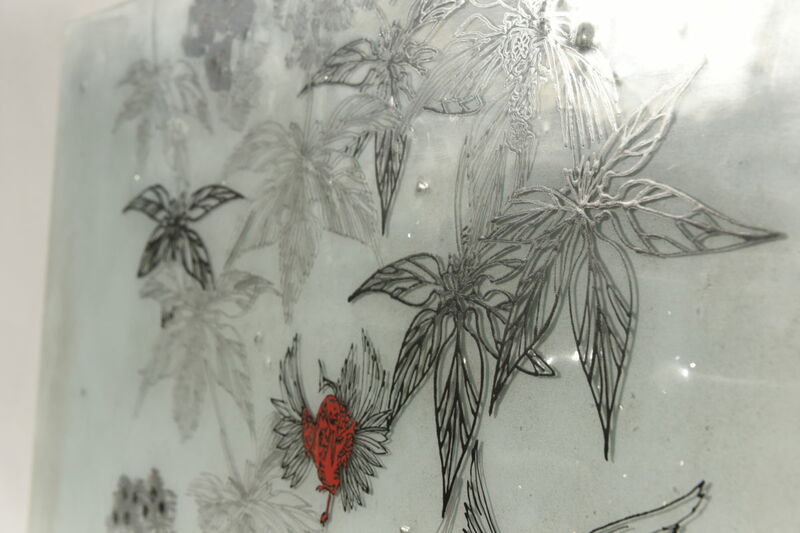 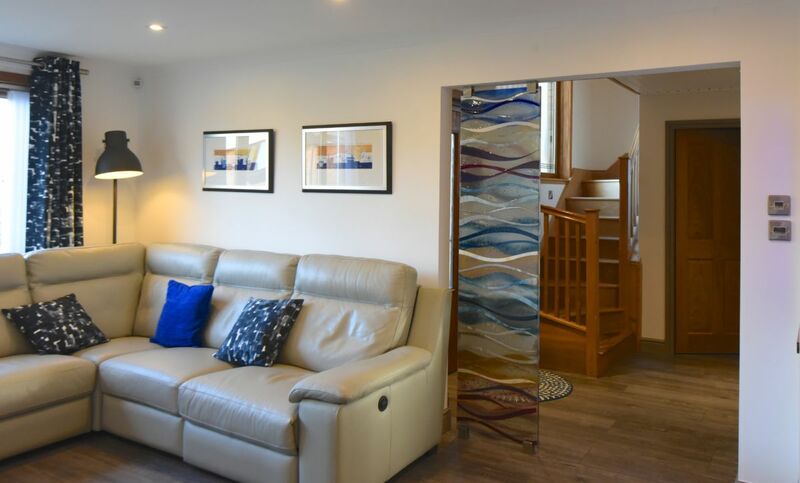 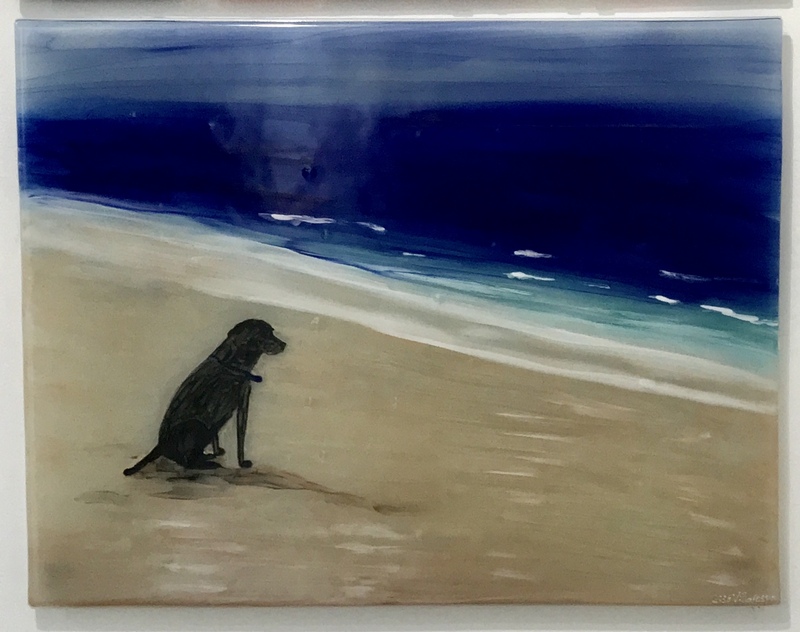 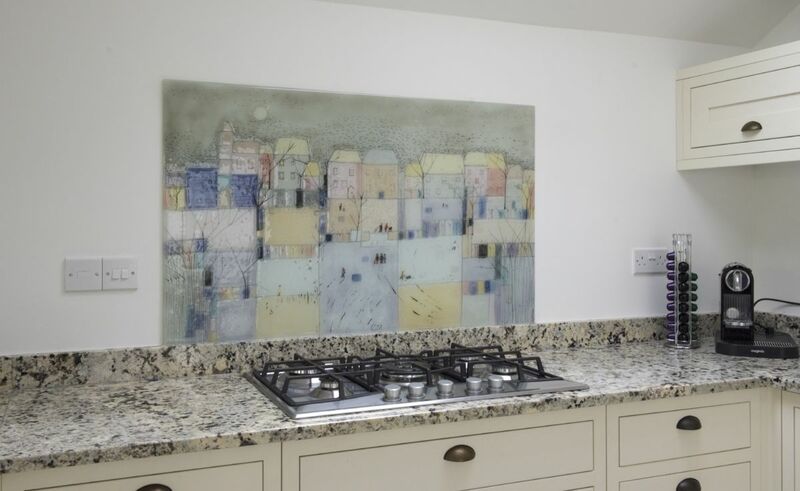 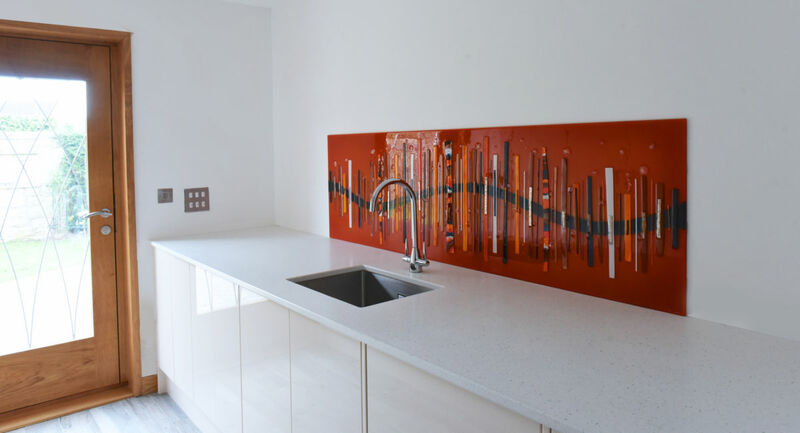 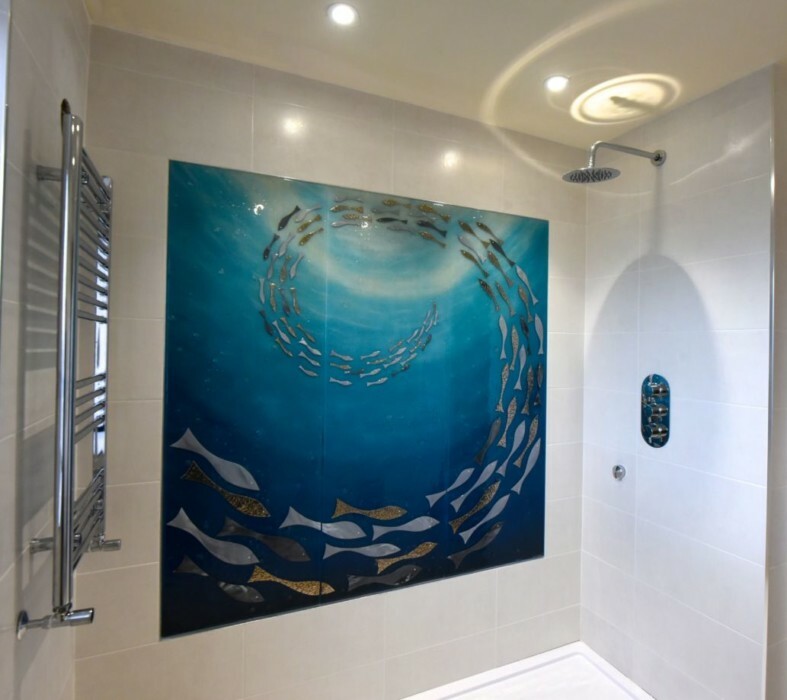 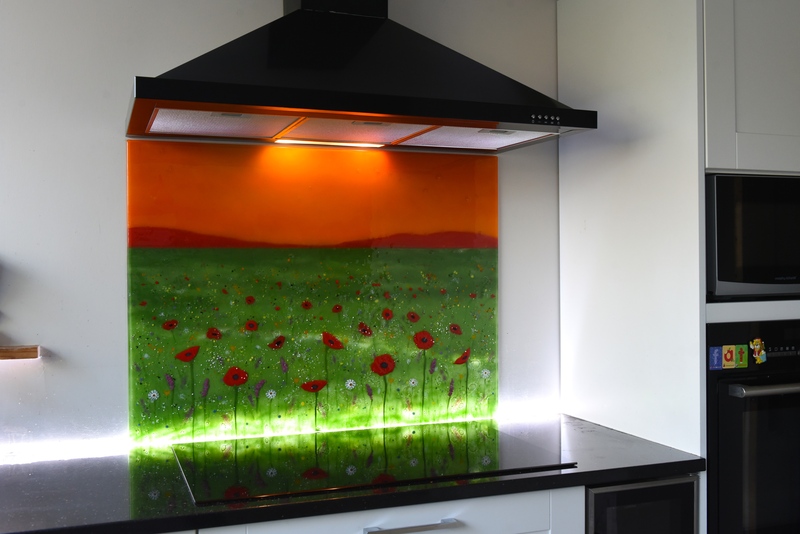 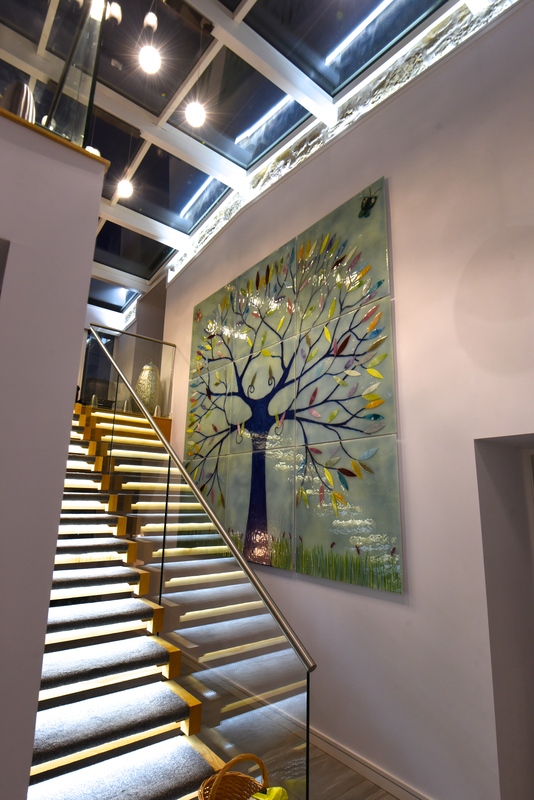 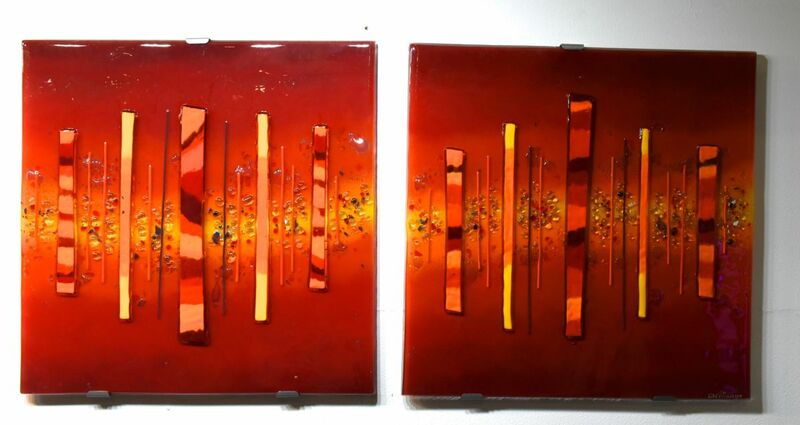 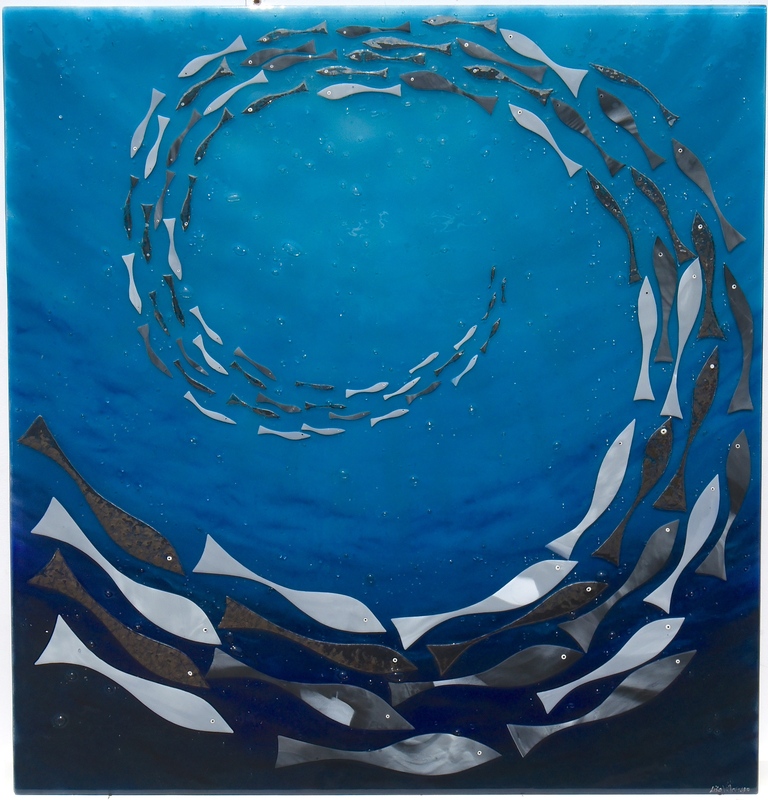 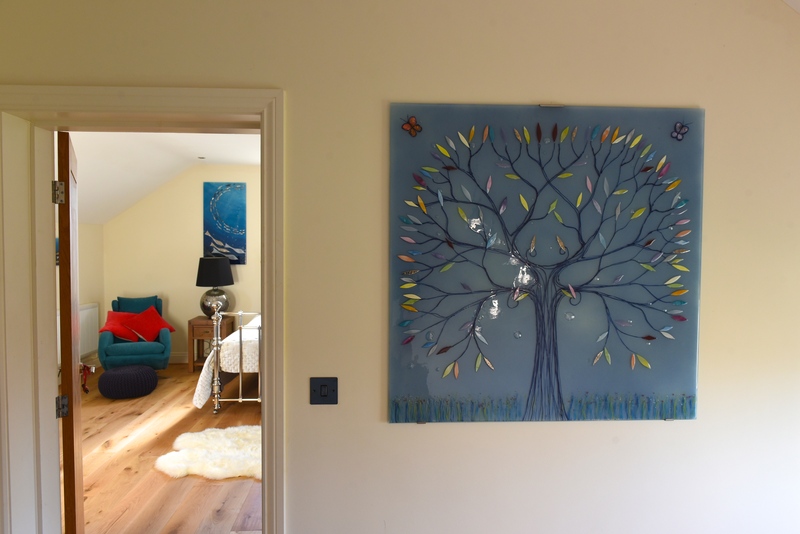 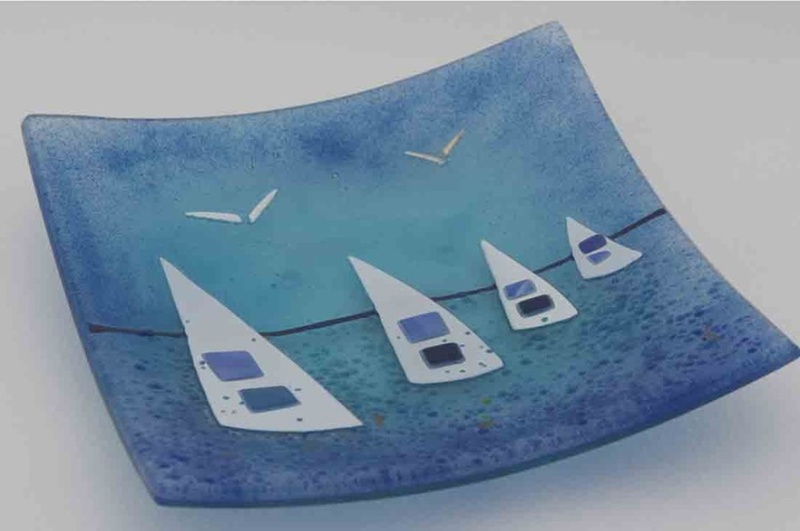 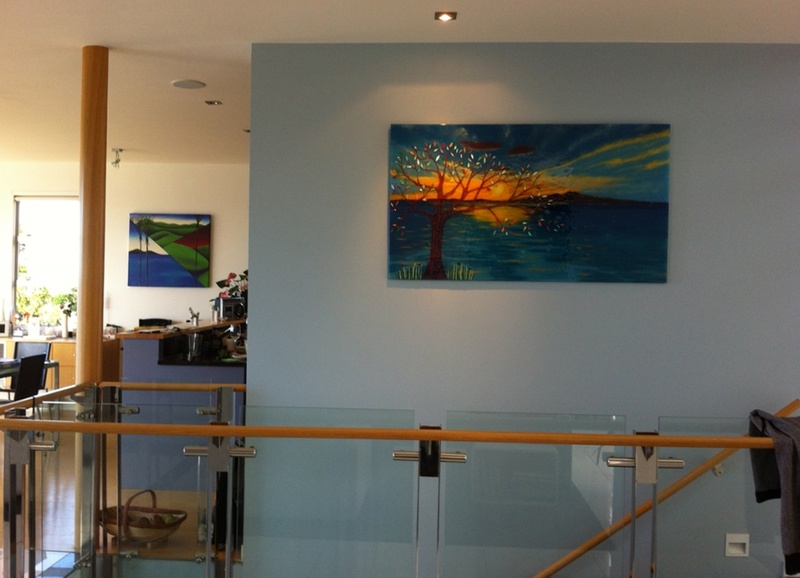 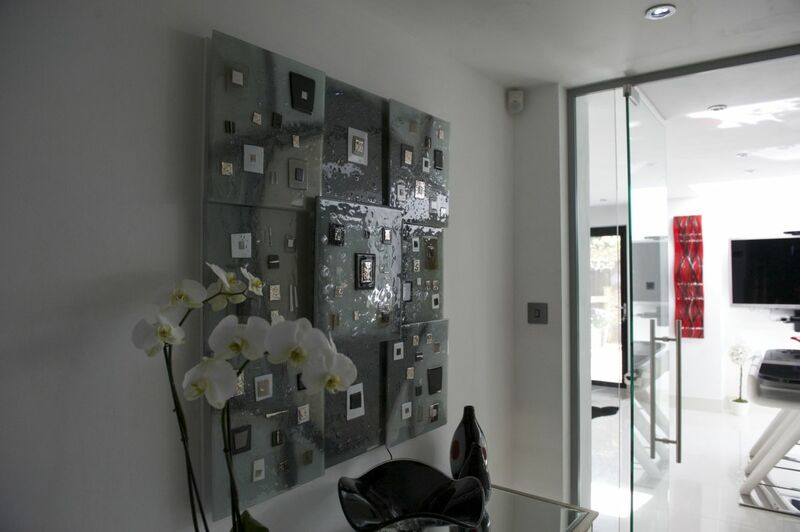 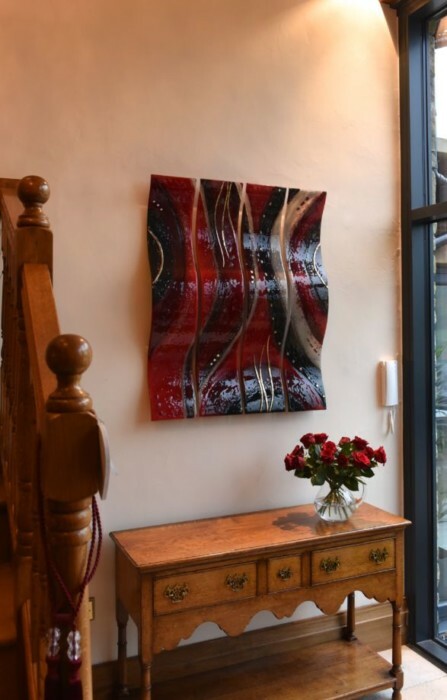 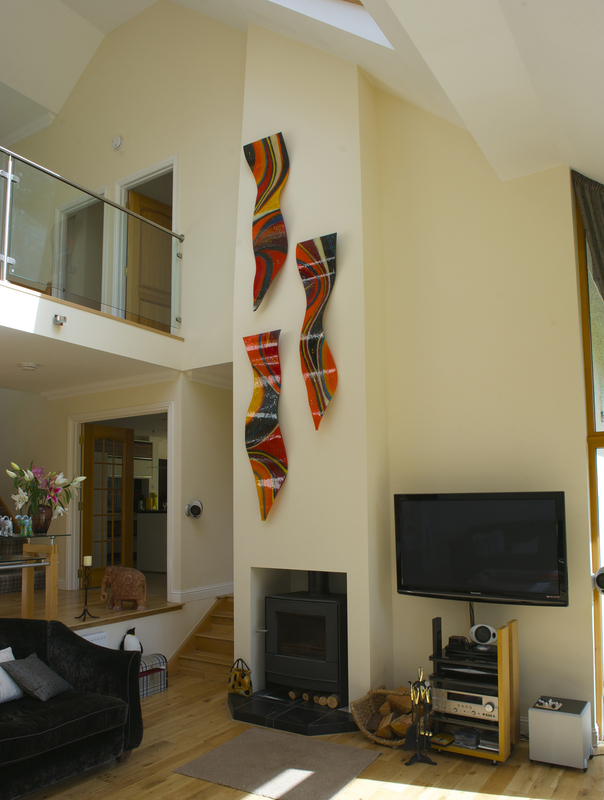 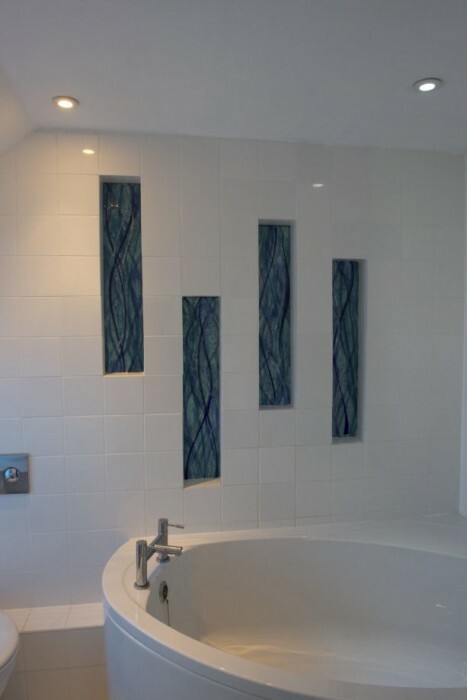 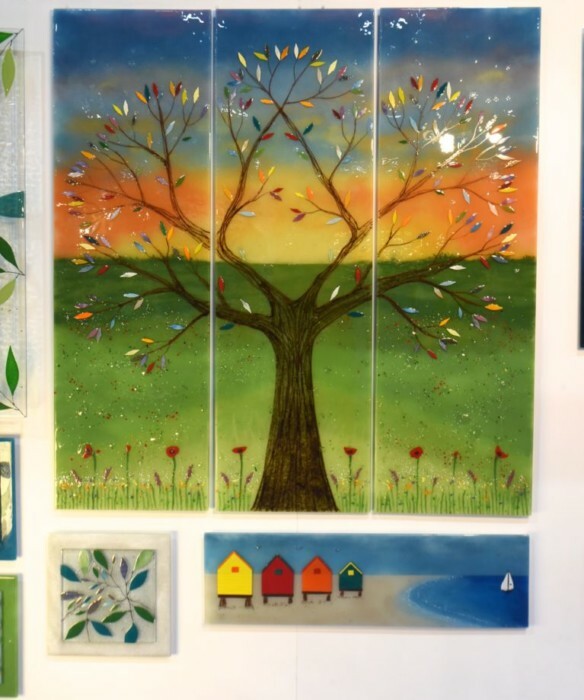 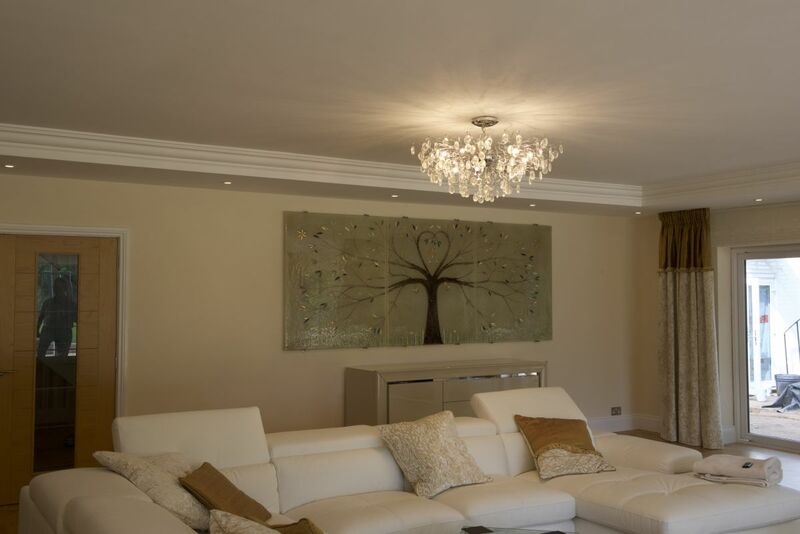 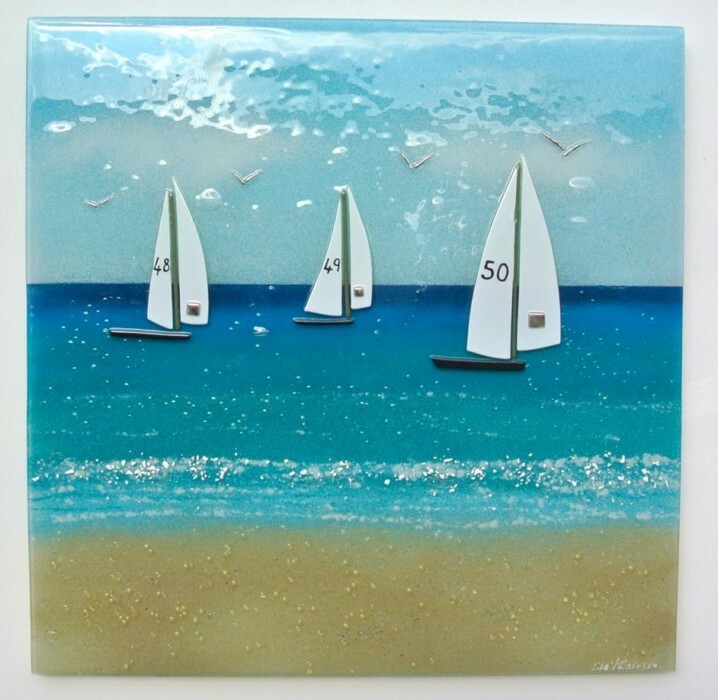 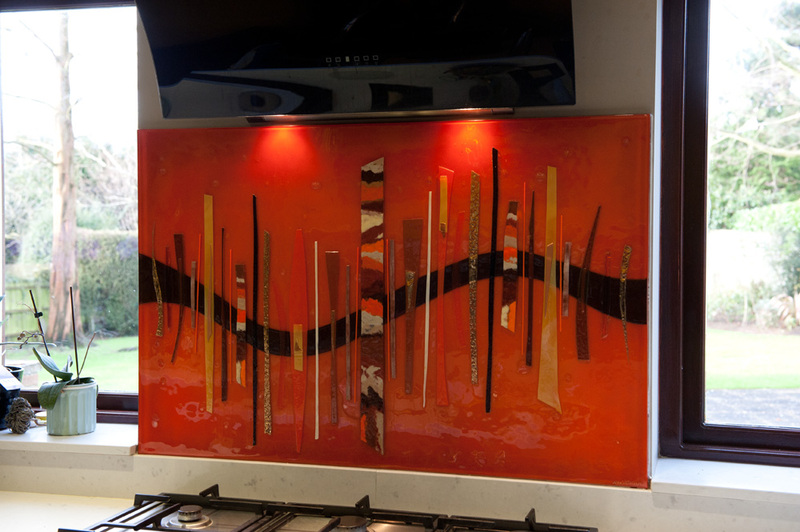 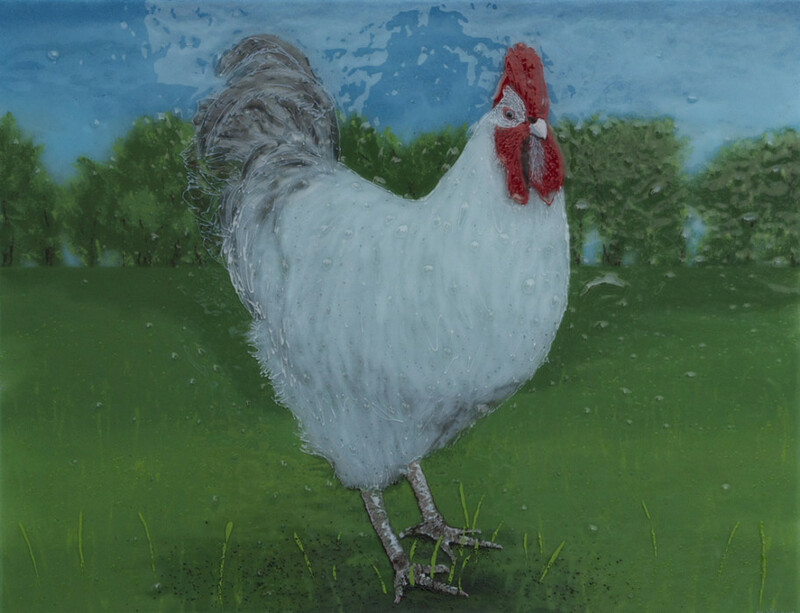 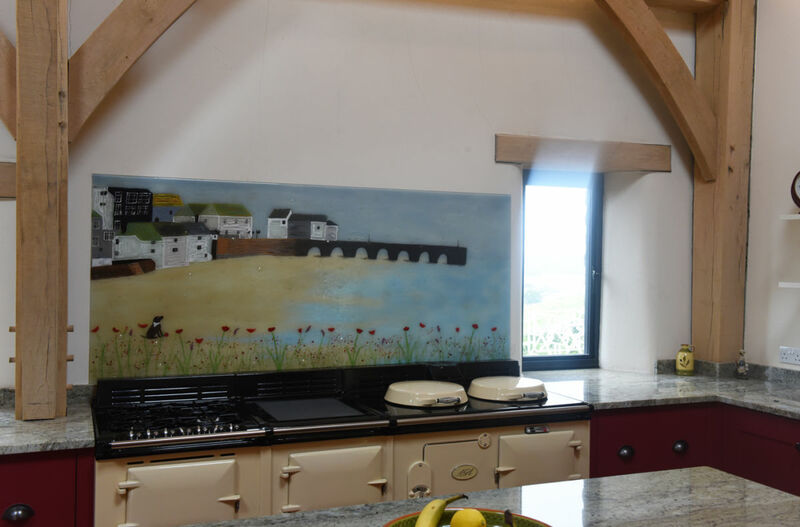 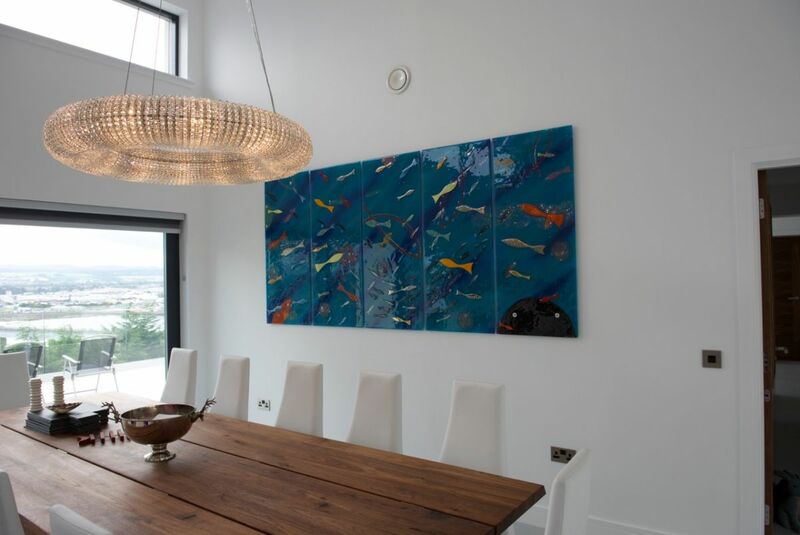 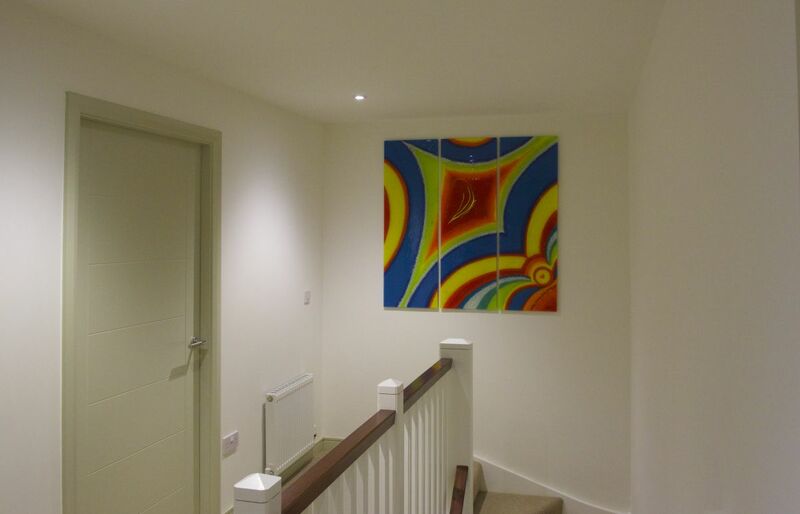 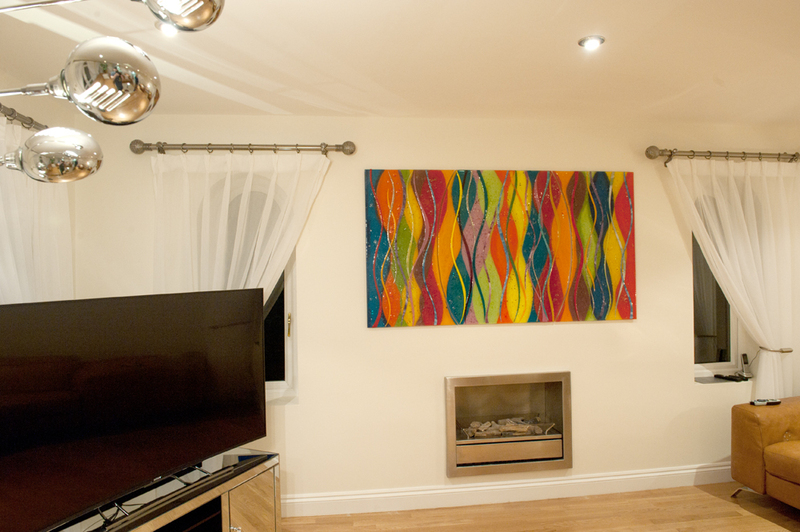 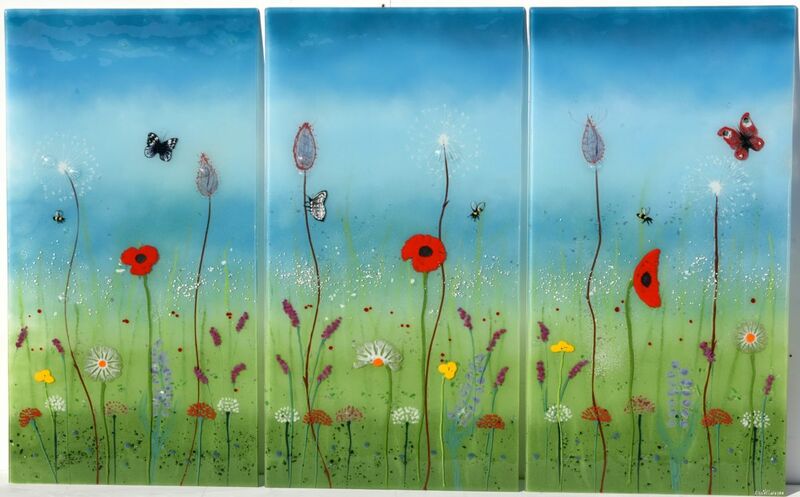 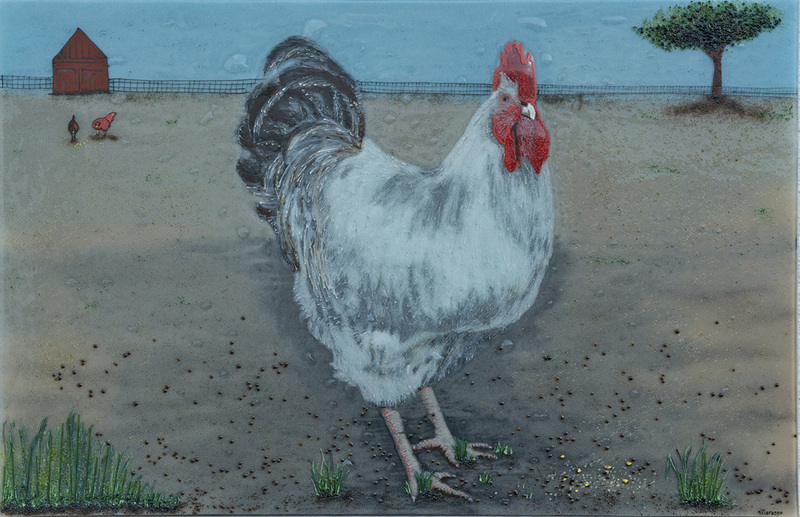 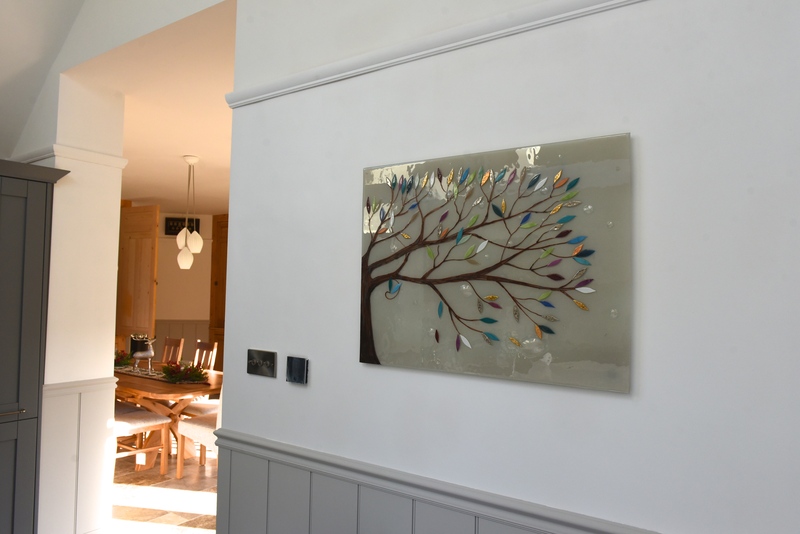 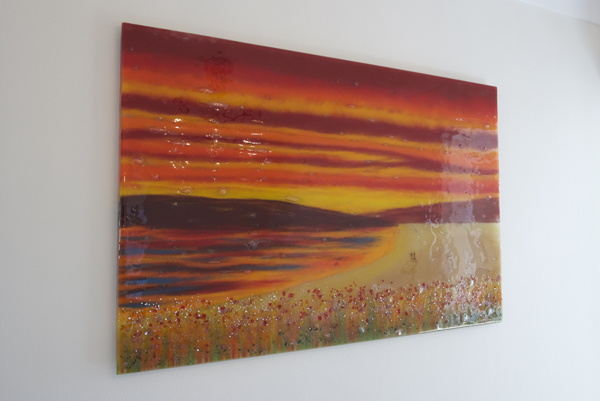 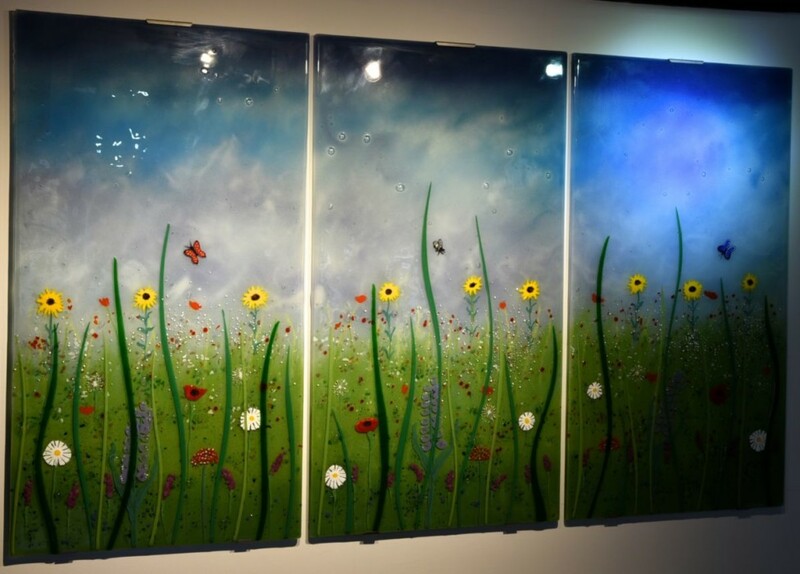 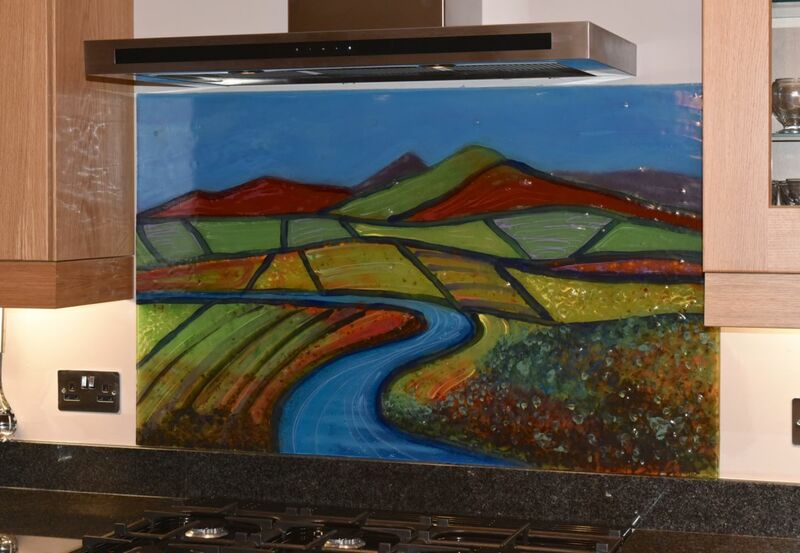 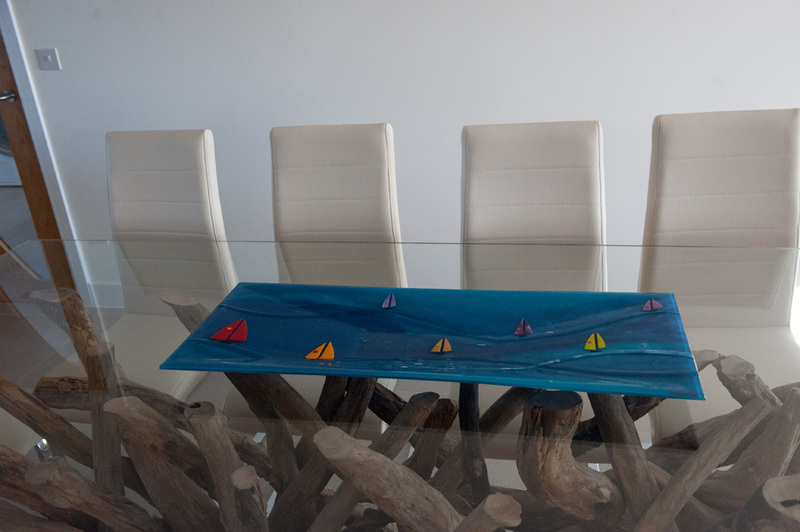 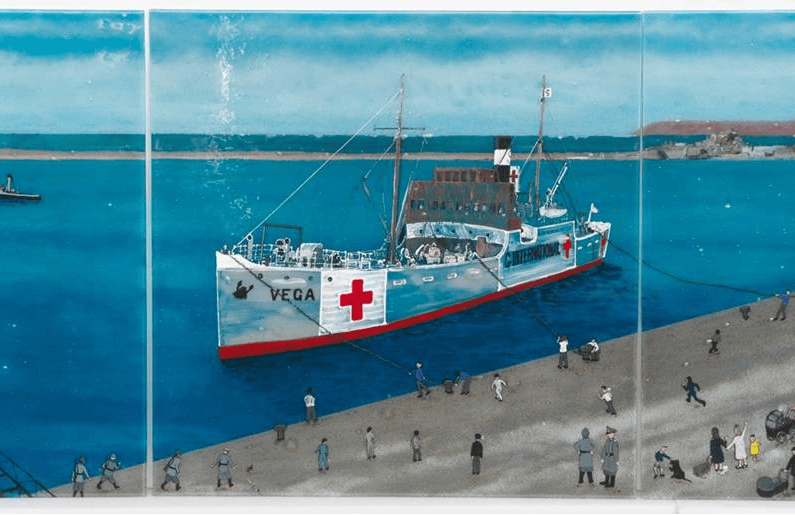 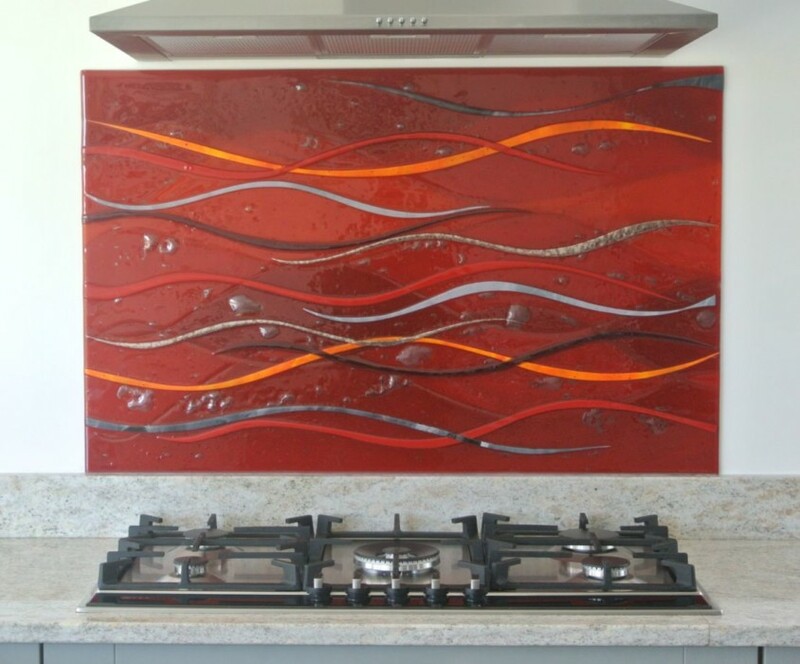 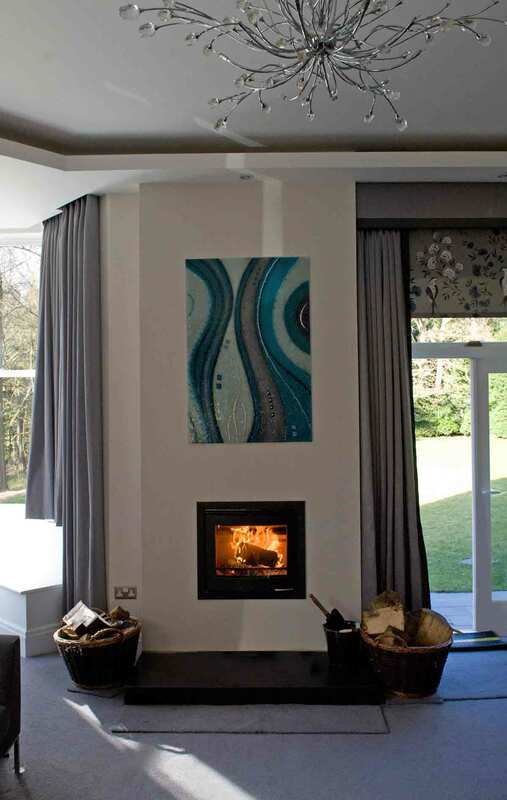 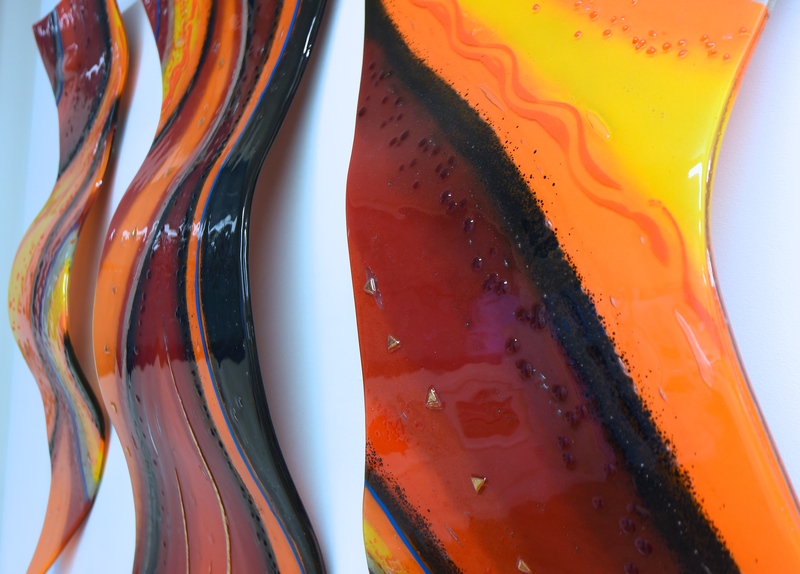 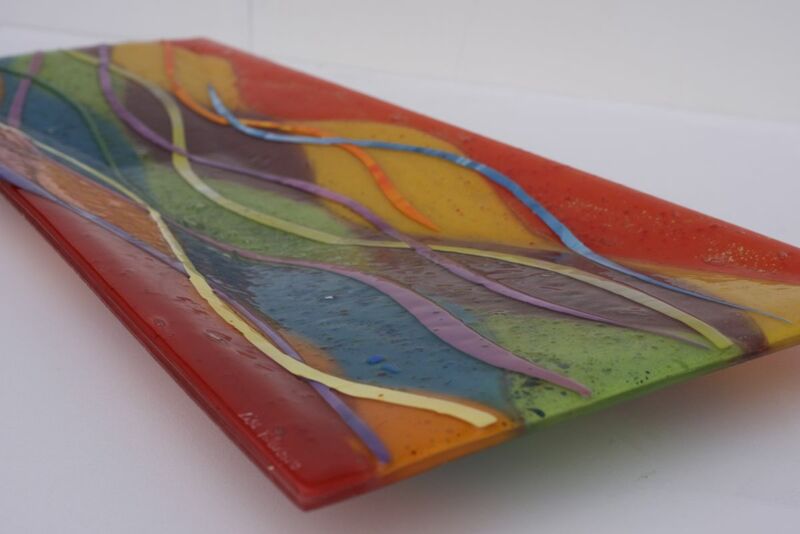 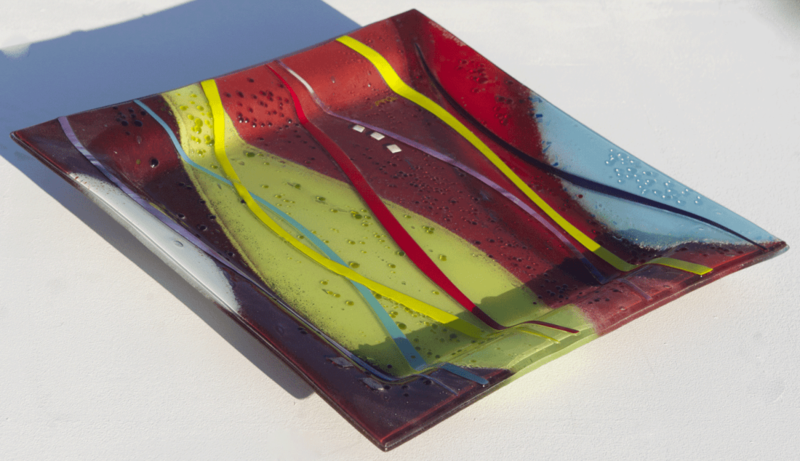 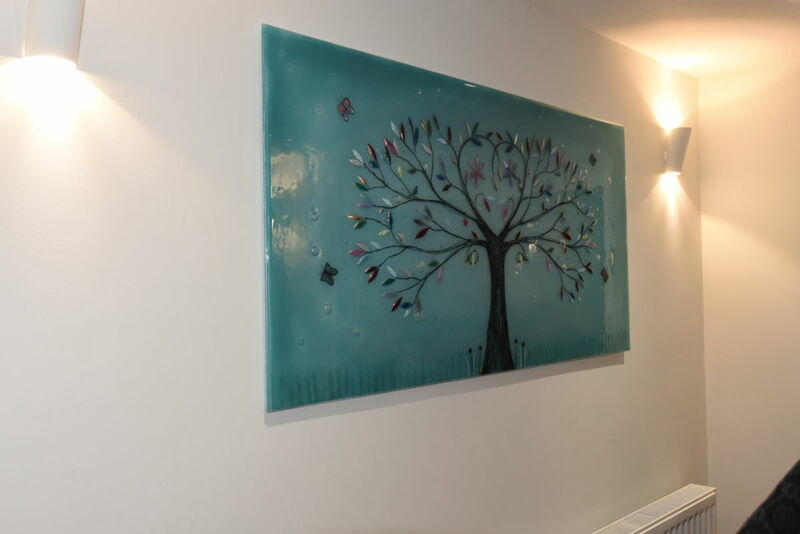 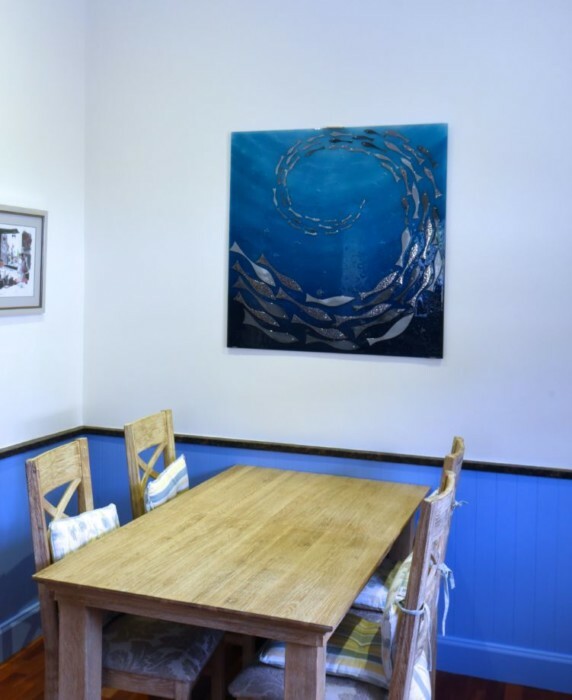 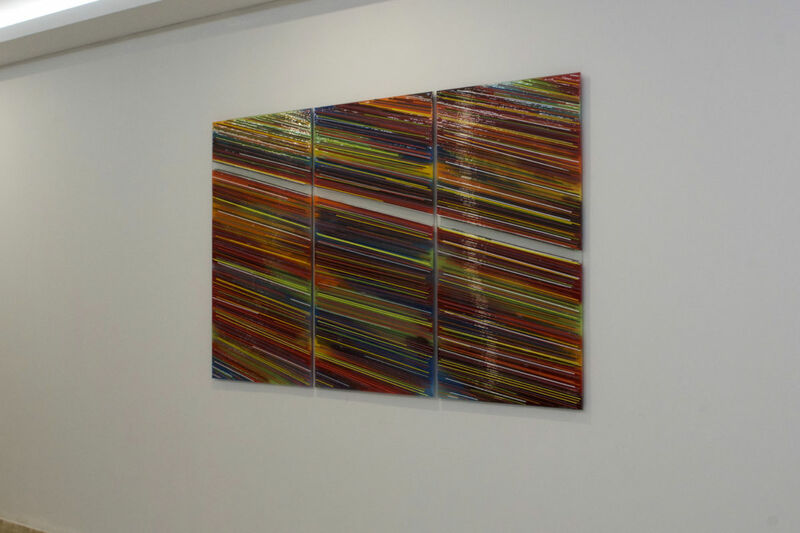 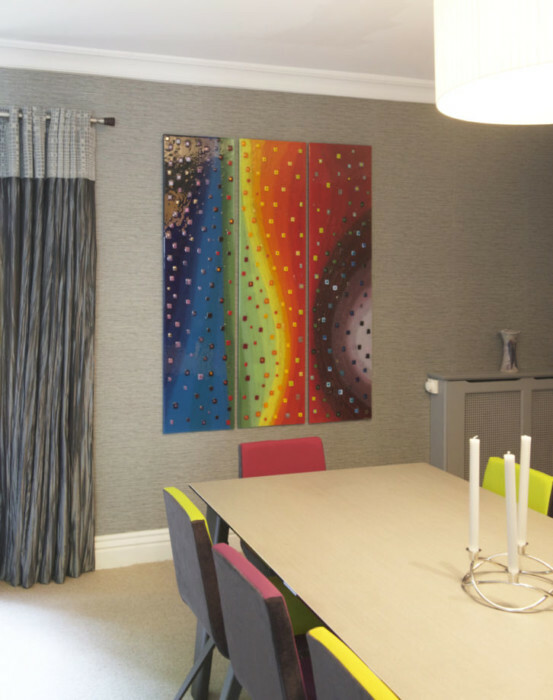 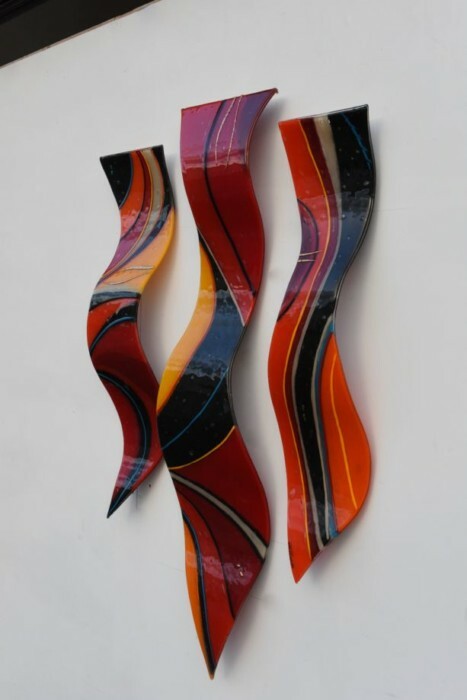 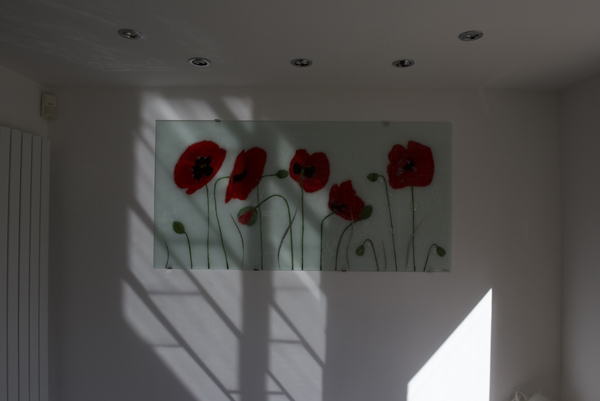 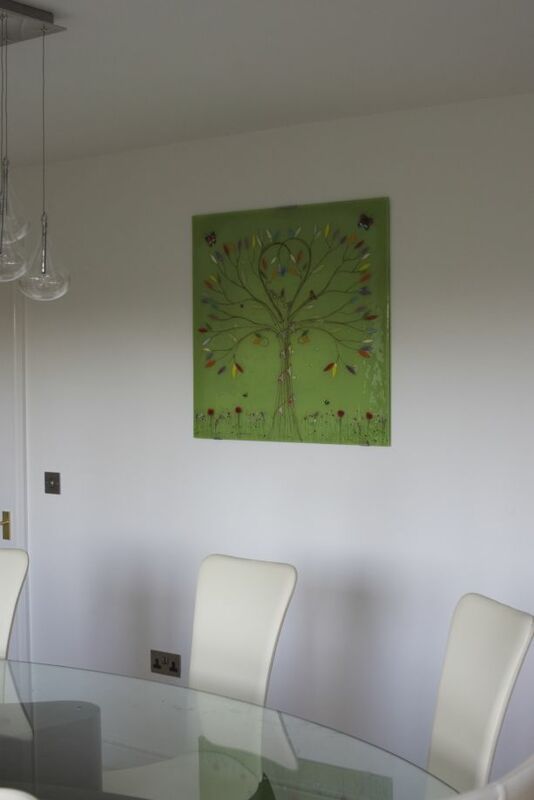 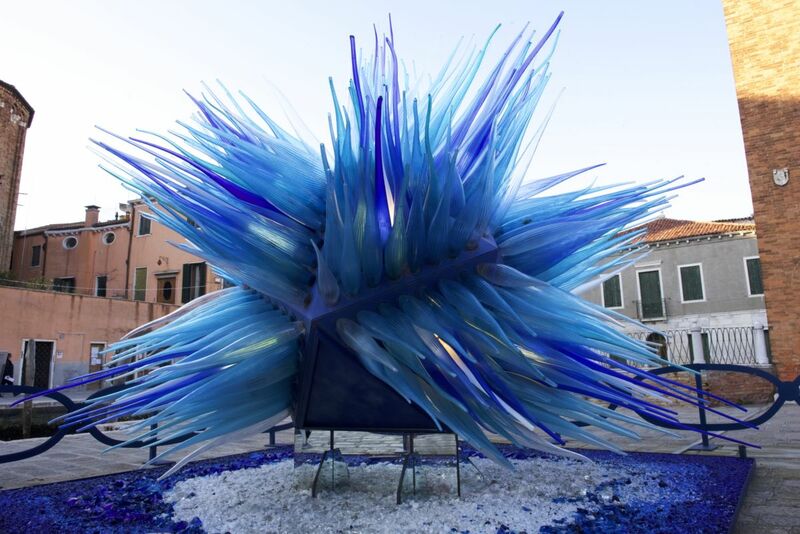 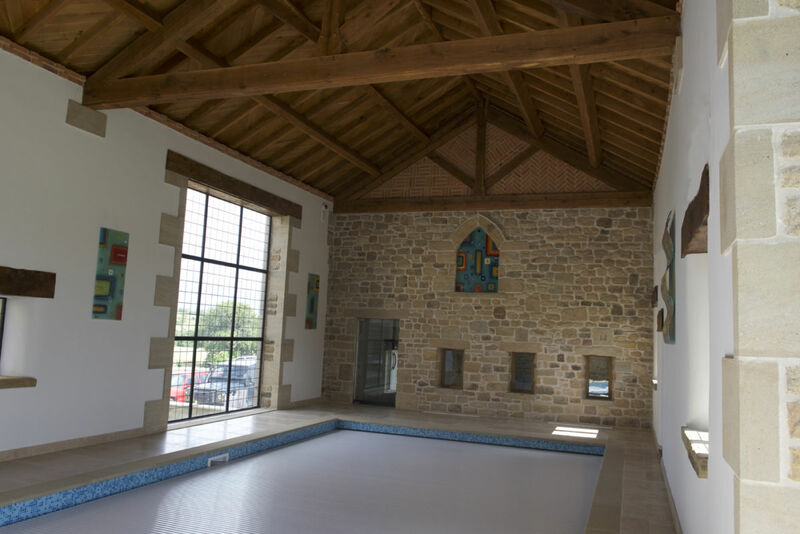 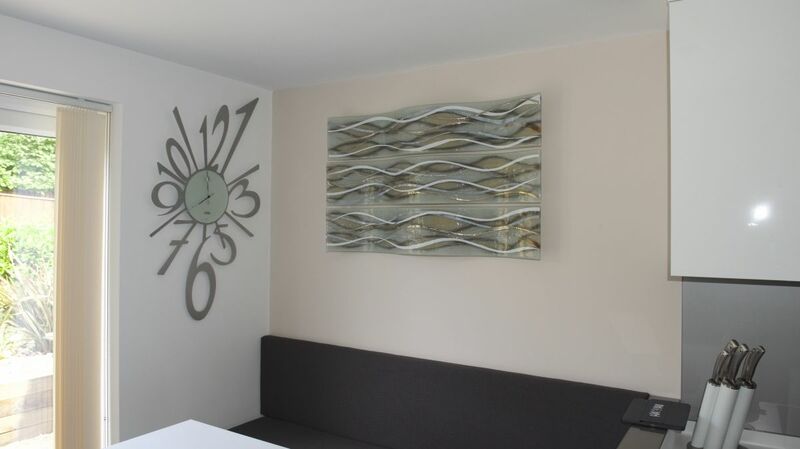 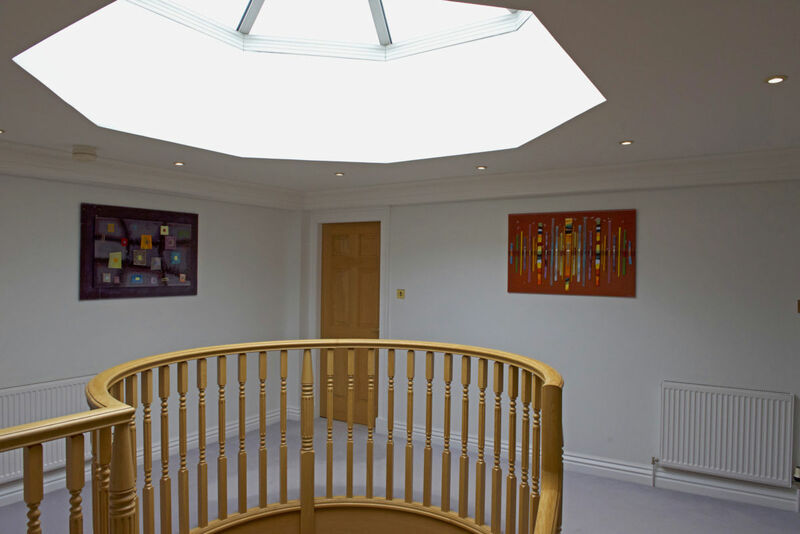 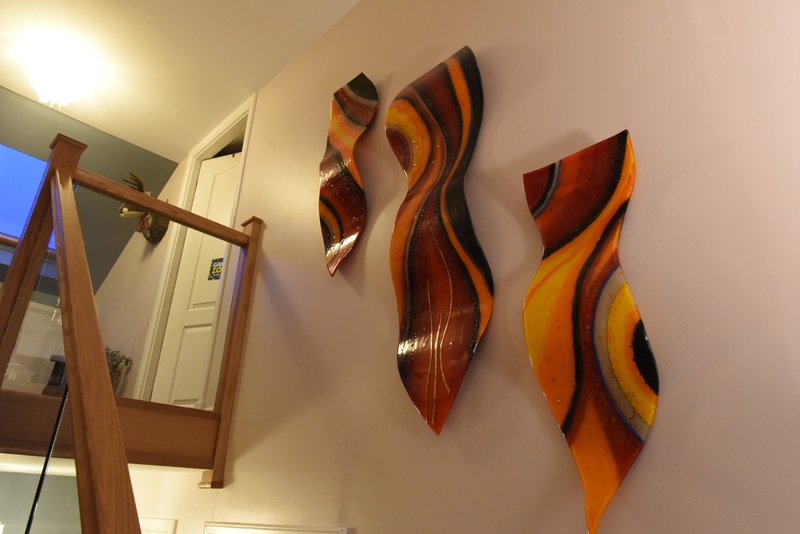 If you’d love a piece that looks just like this one, or you’d like to translate another painting to fused glass, then why not get in touch? 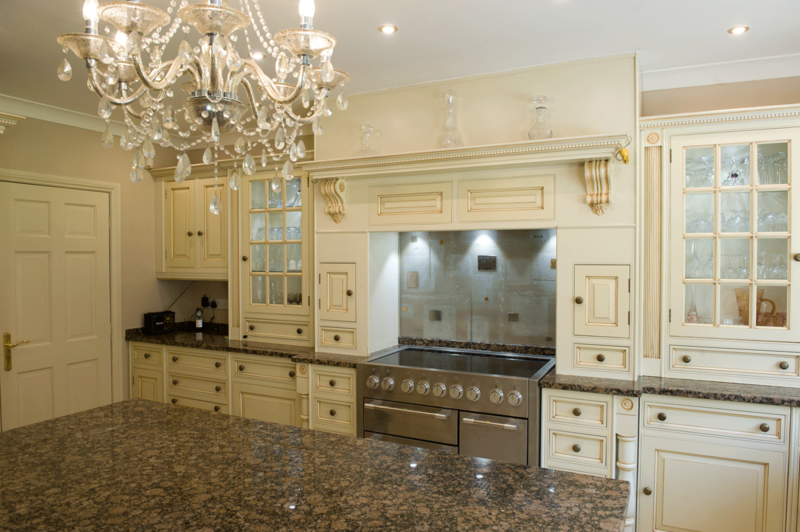 Every single one of the pieces that we make is created bespoke and by hand, so you have the final word on every element of the design. 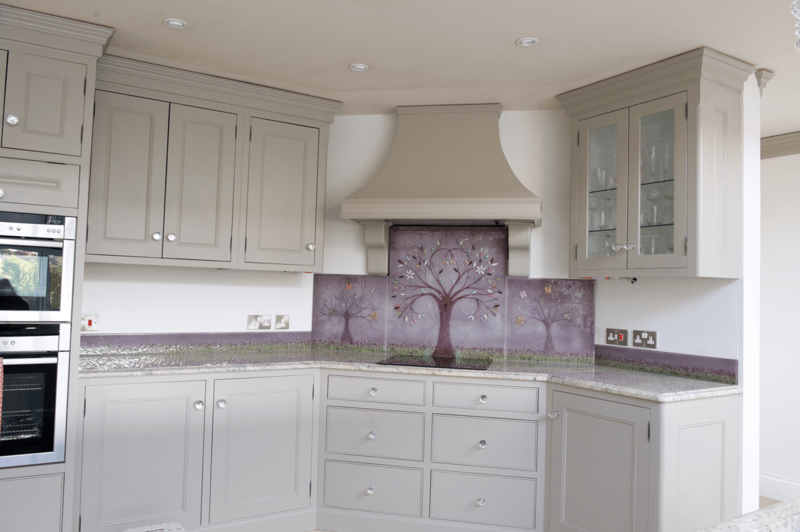 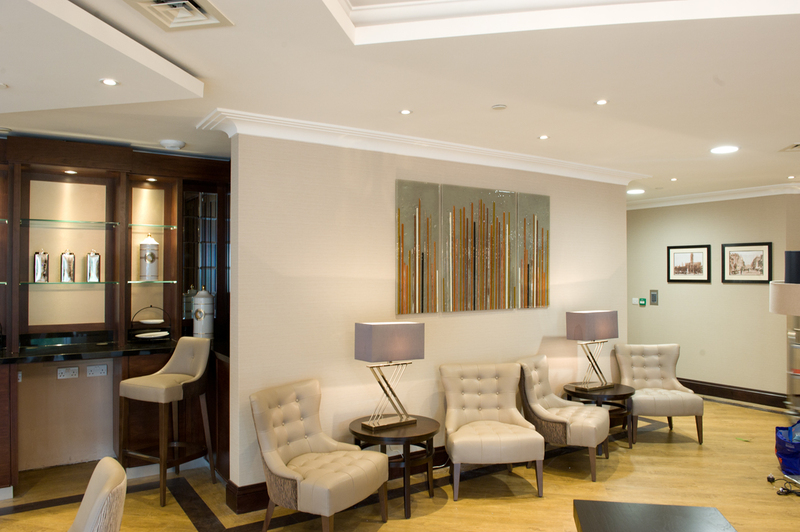 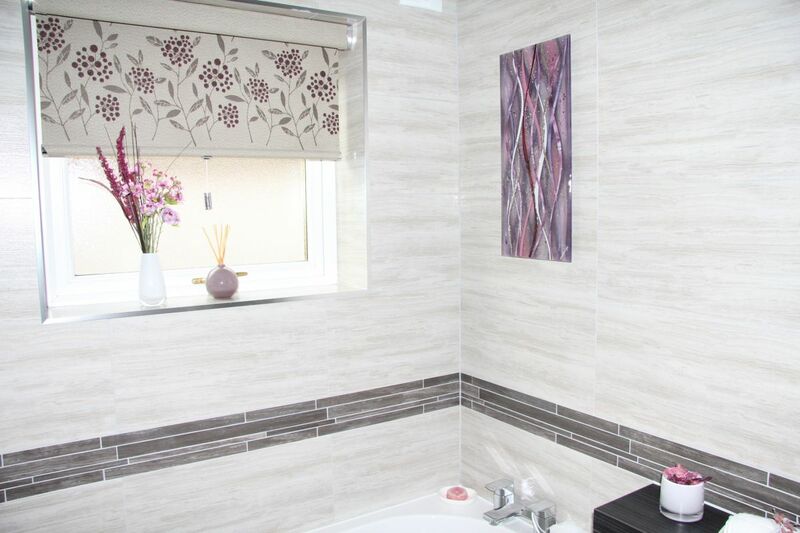 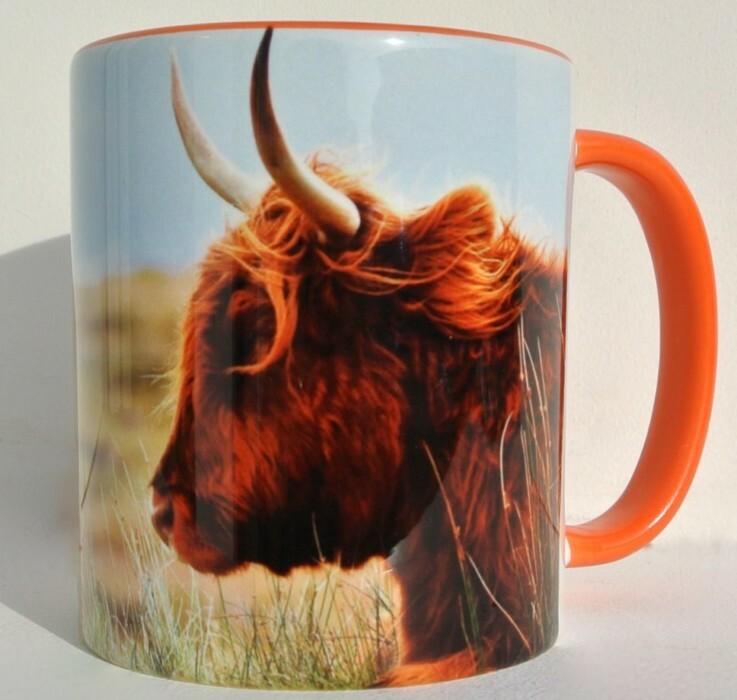 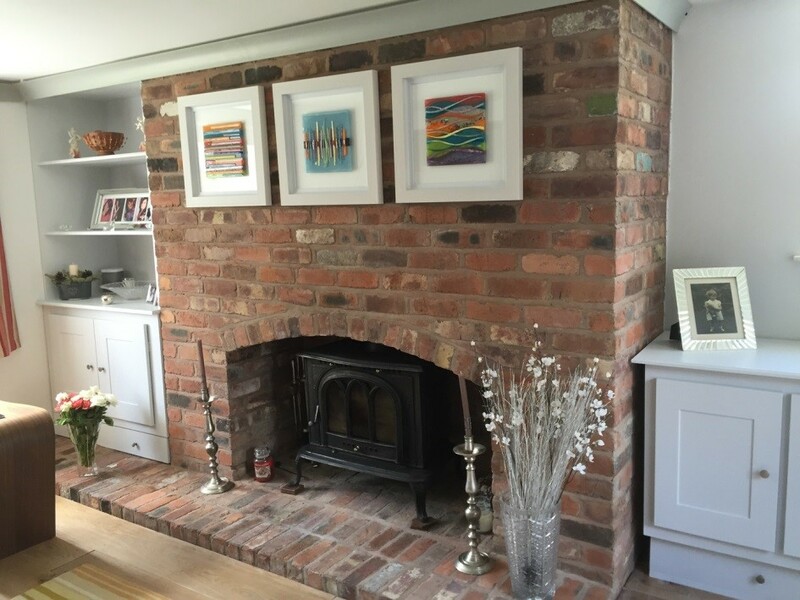 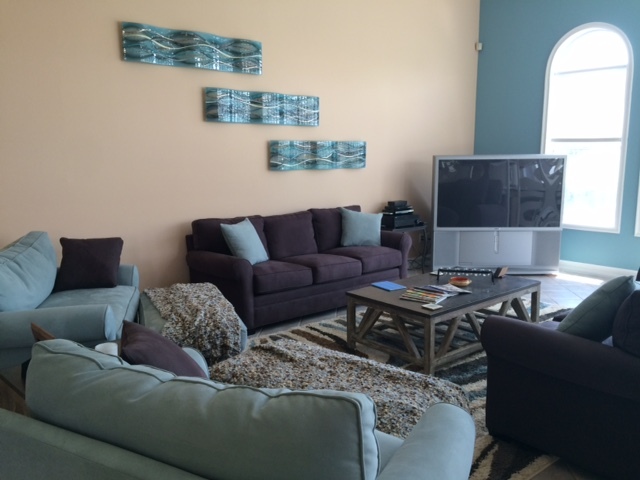 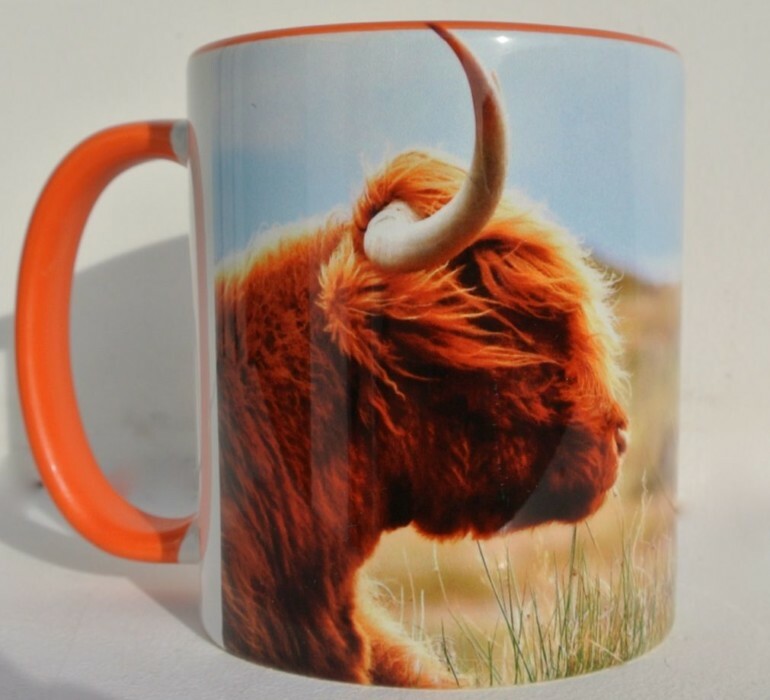 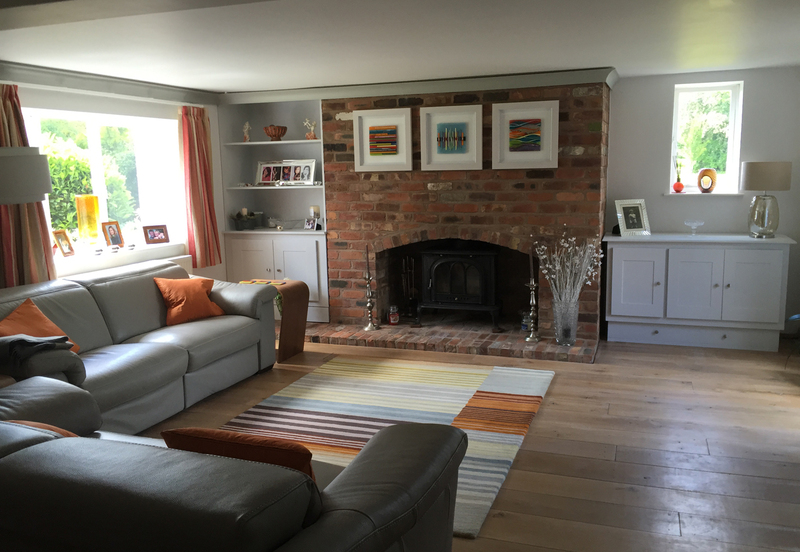 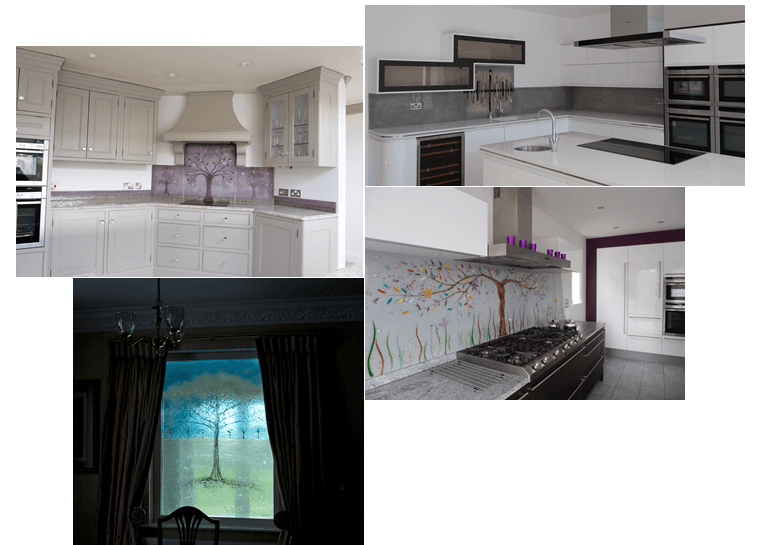 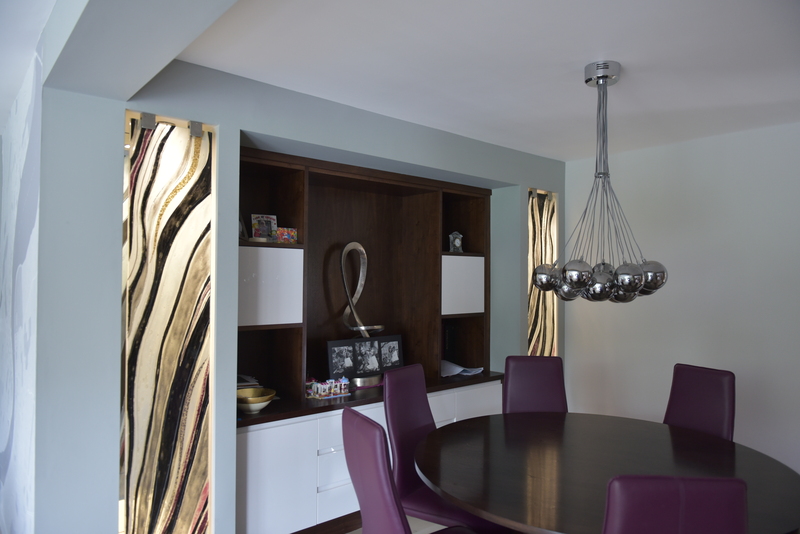 You may not even want to go for a design that has ever existed before, or you might want to ask Lisa to create something unique and stunning for you based on colour samples or photographs of the space you’re looking to decorate. 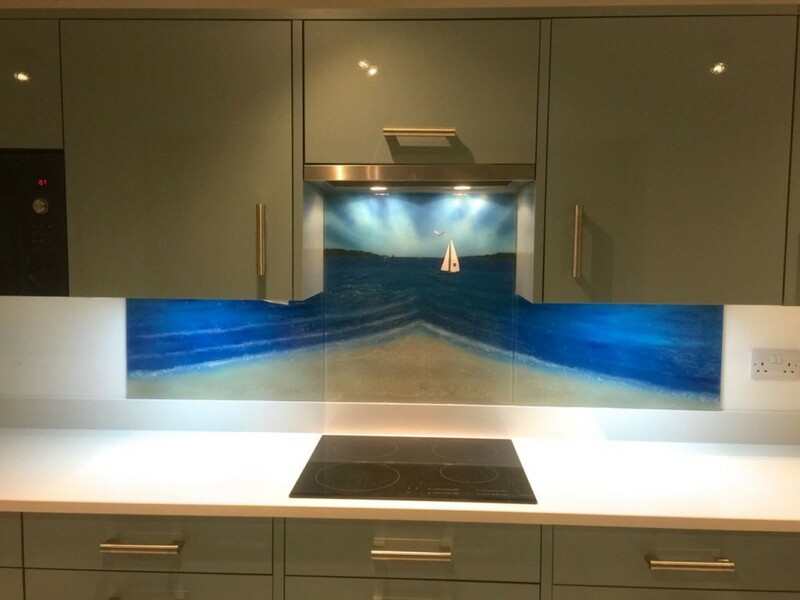 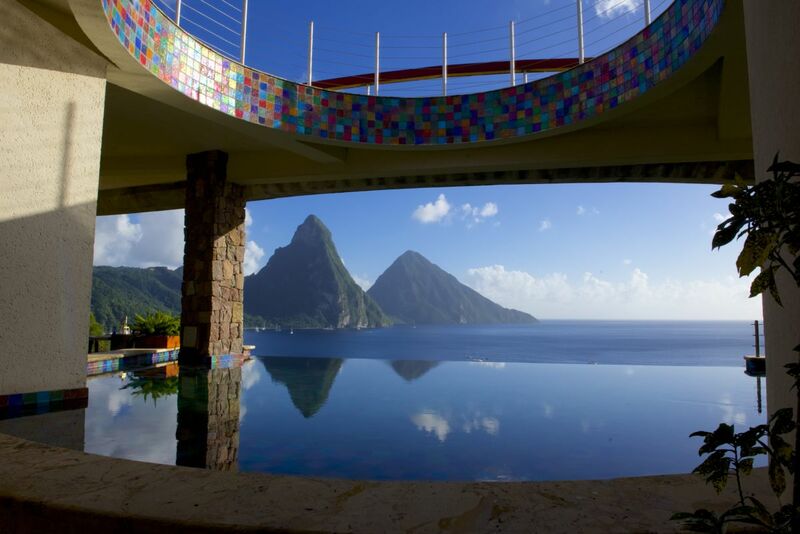 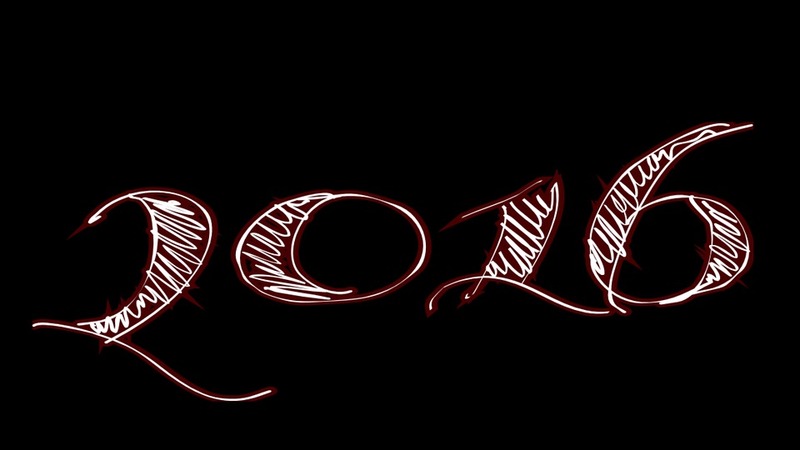 Your imagination truly is the limit! 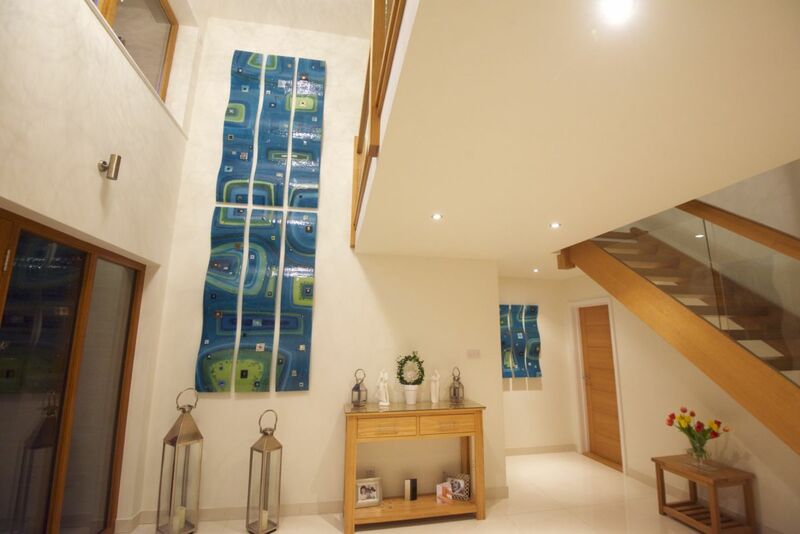 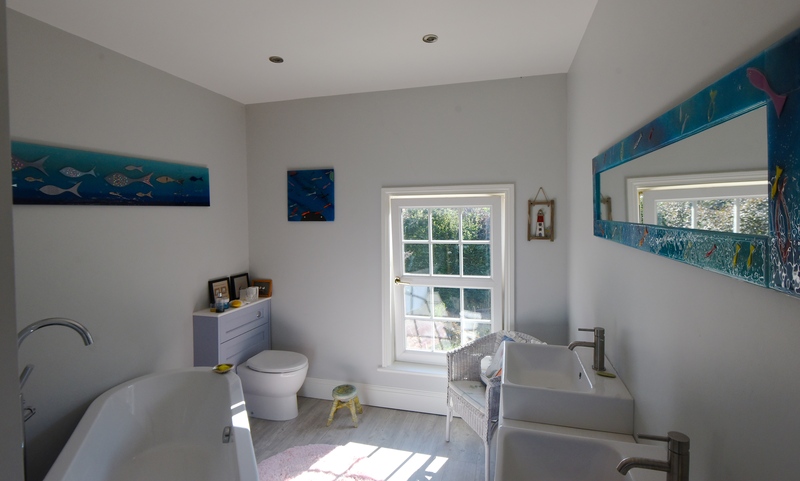 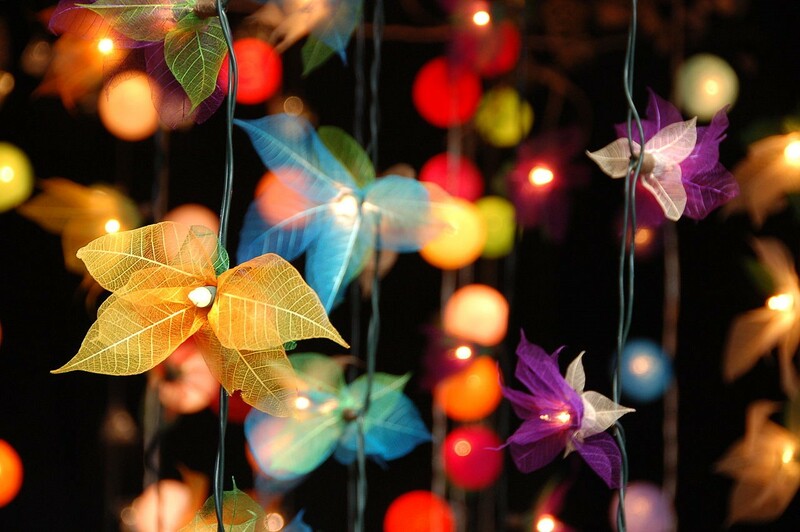 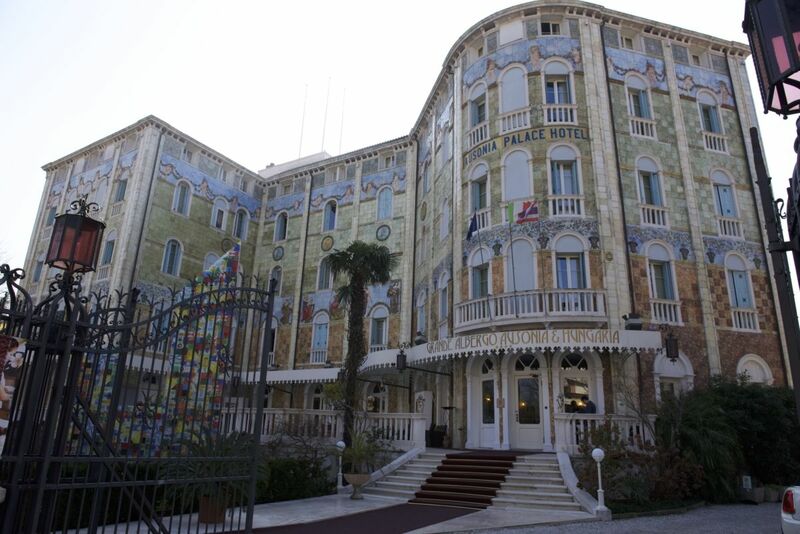 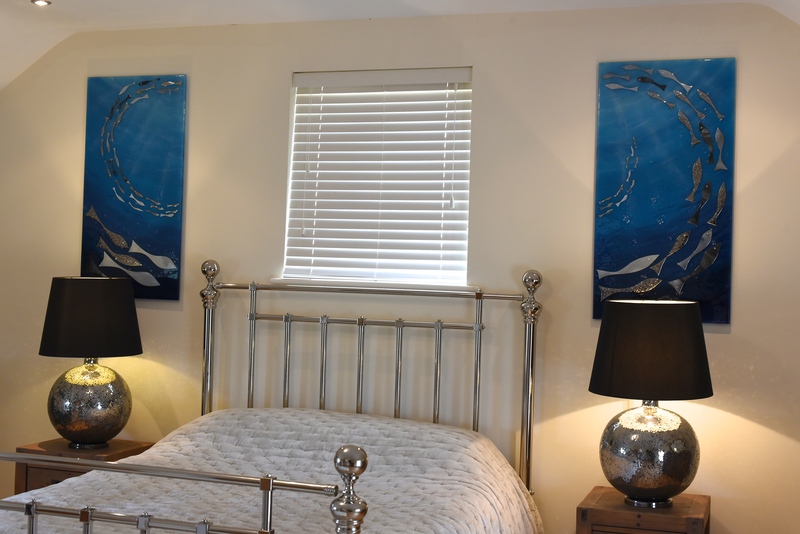 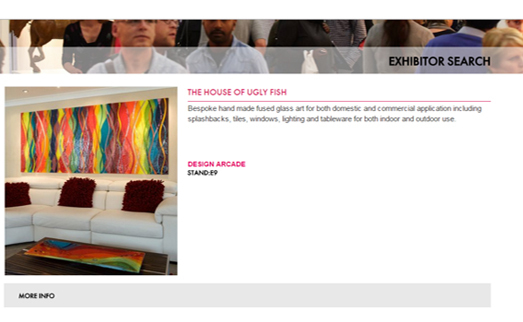 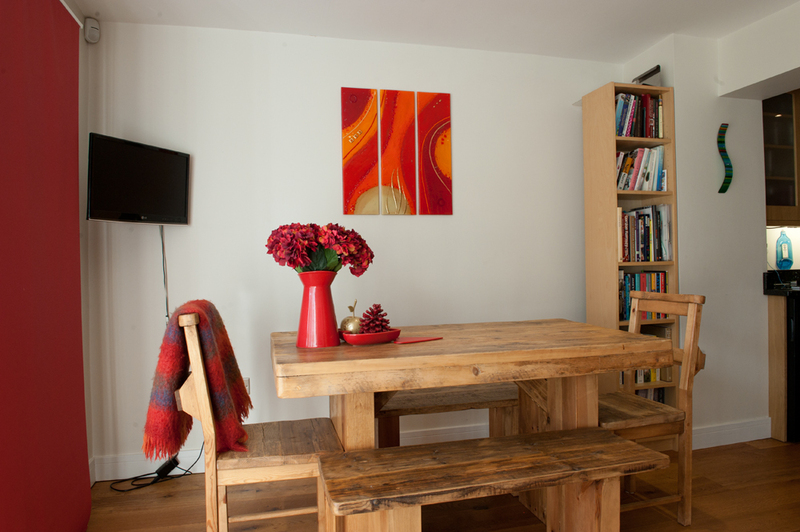 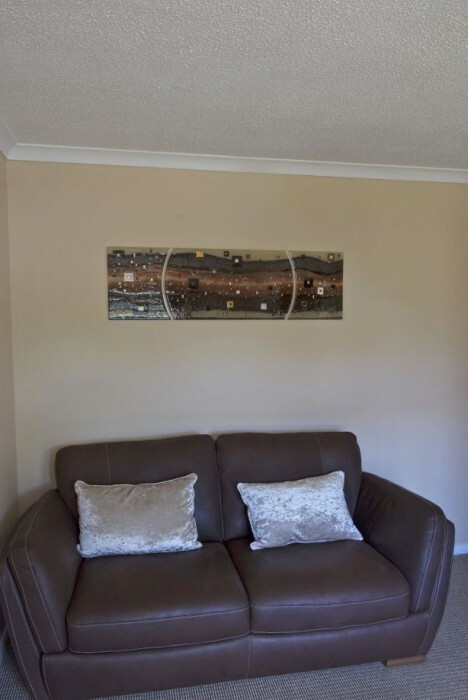 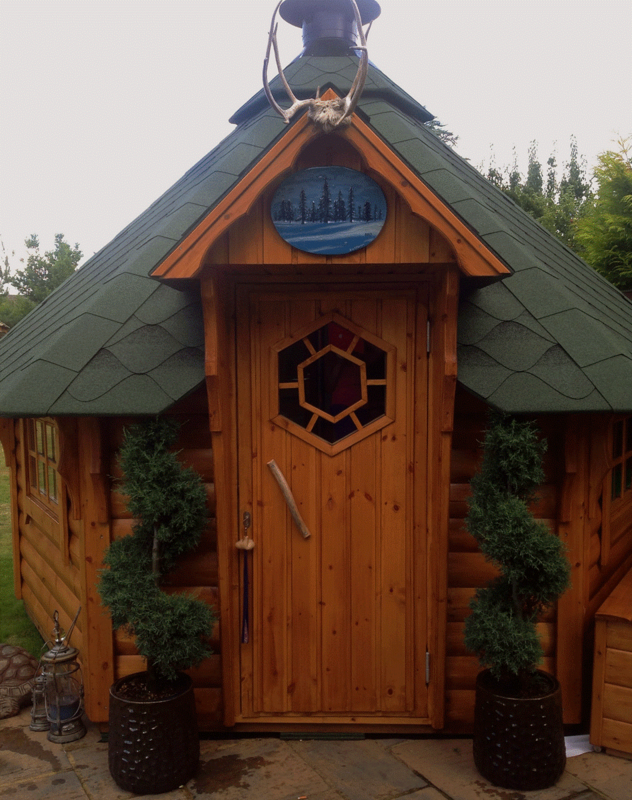 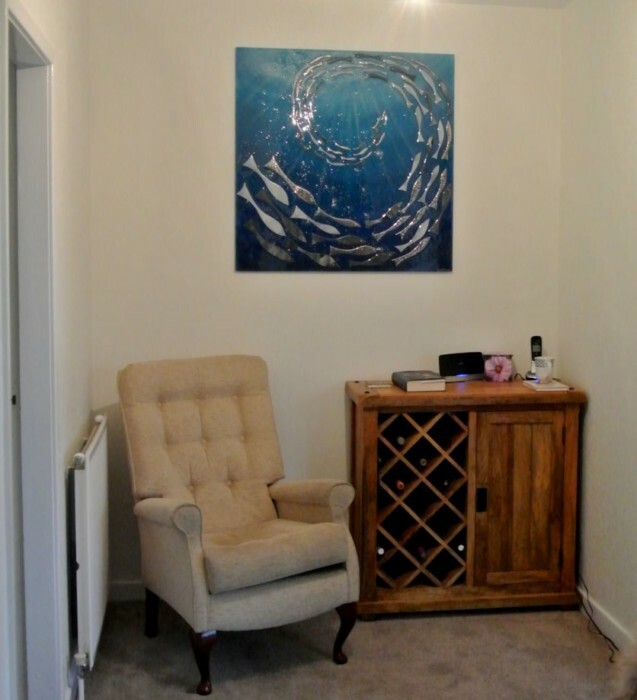 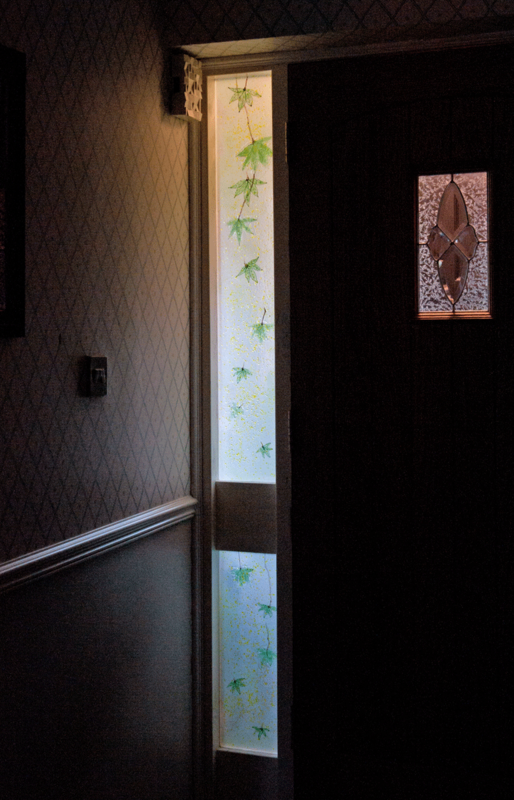 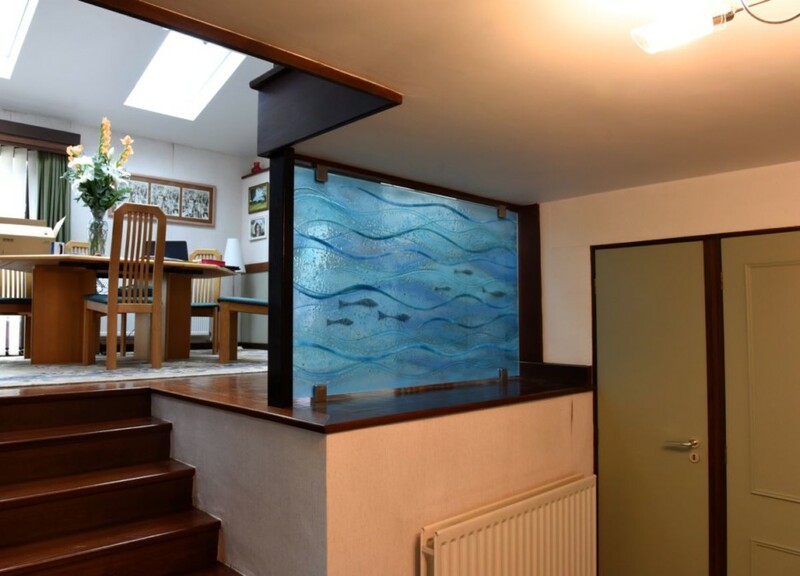 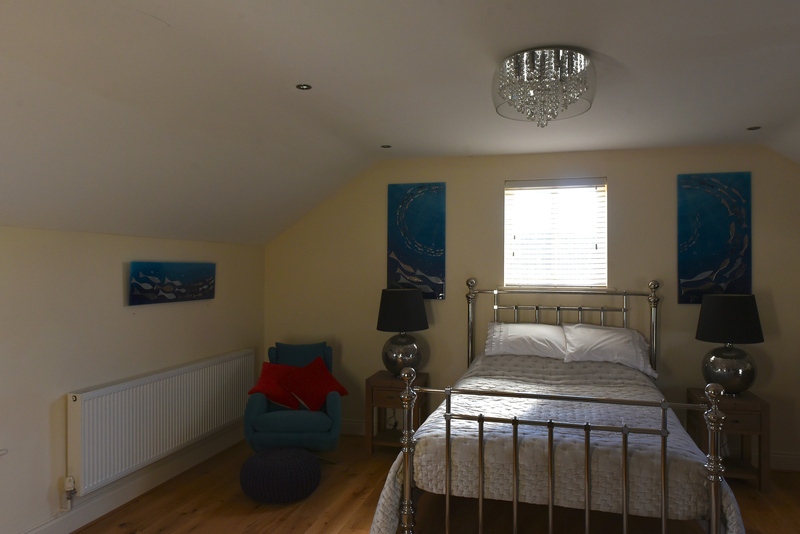 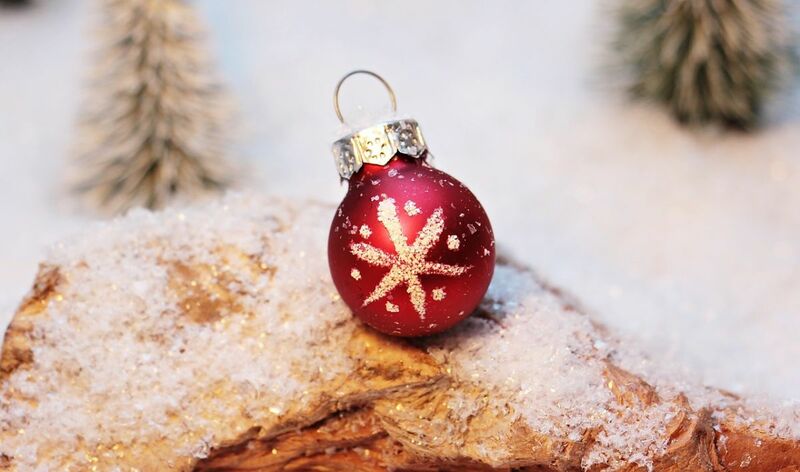 Here at The House of Ugly Fish, our passion lies in bringing your ideal decoration to life, and injecting colour into any space you want to dress up. 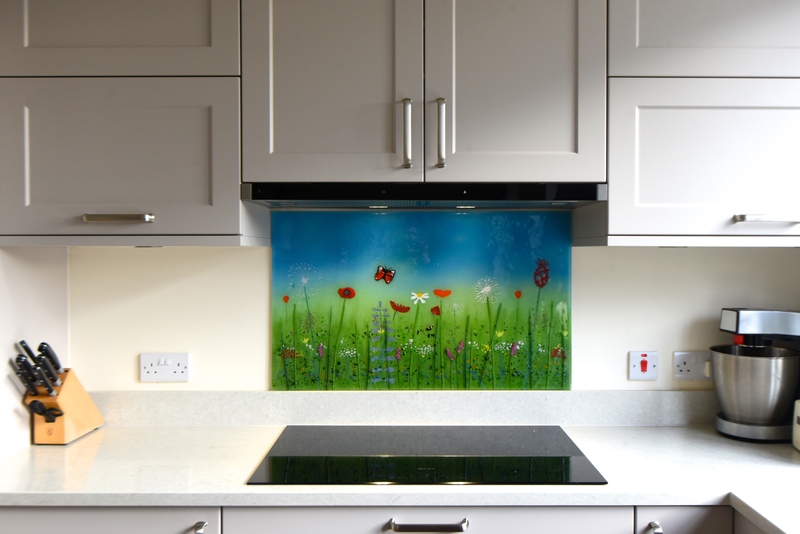 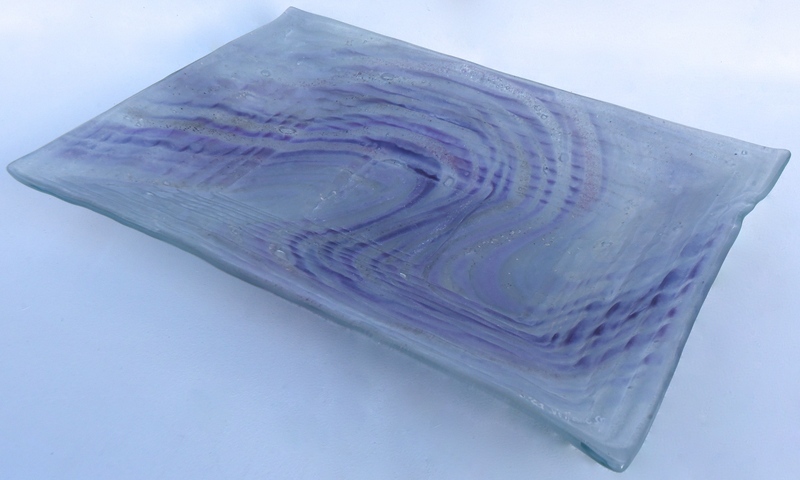 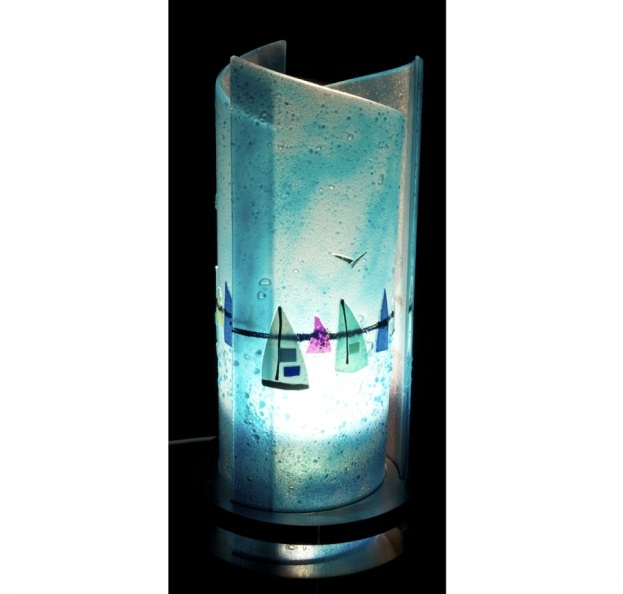 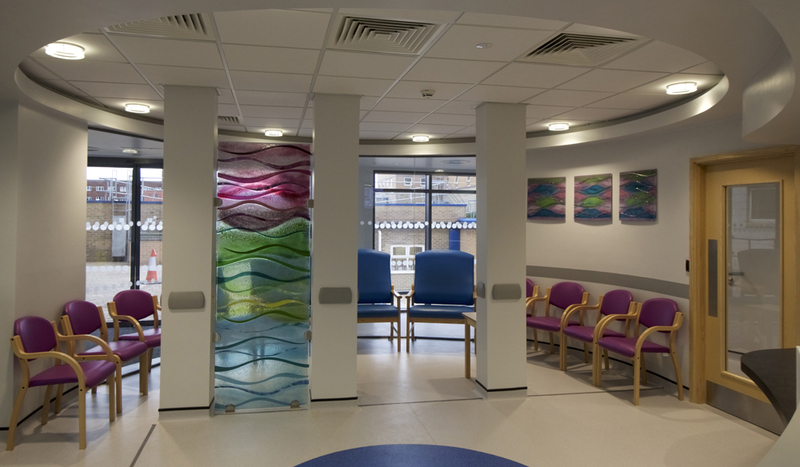 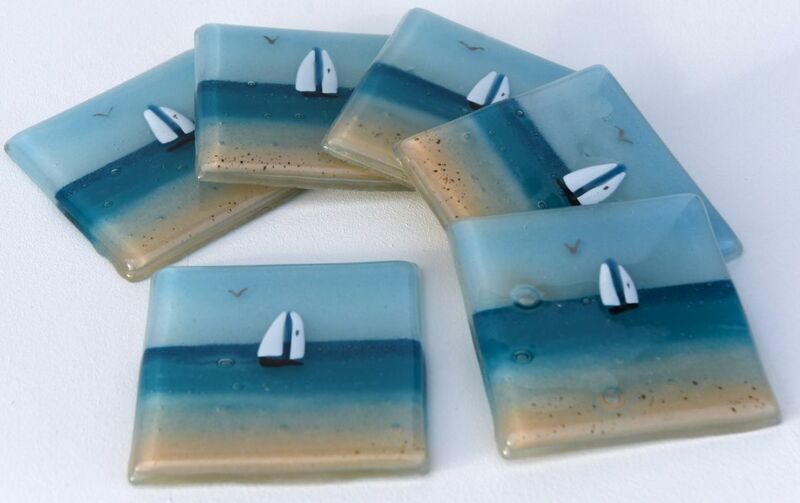 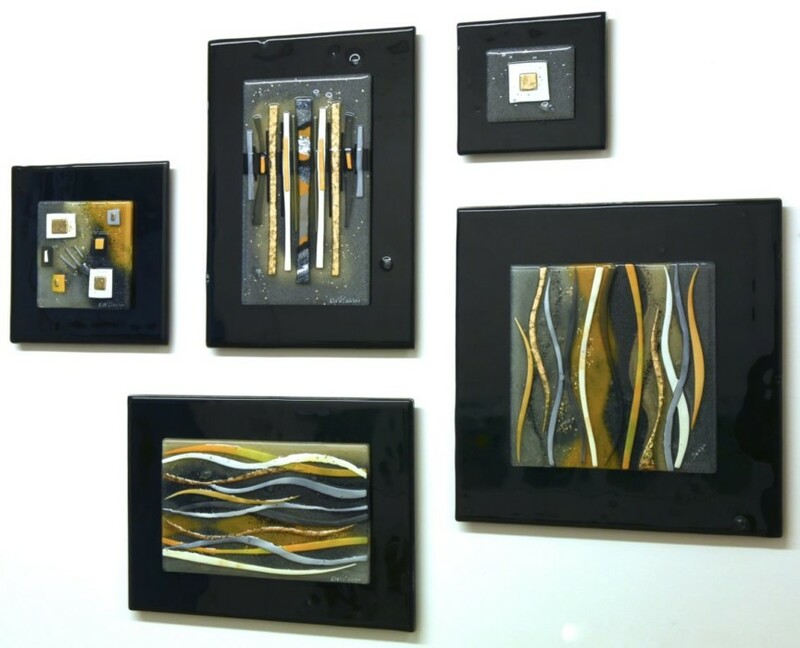 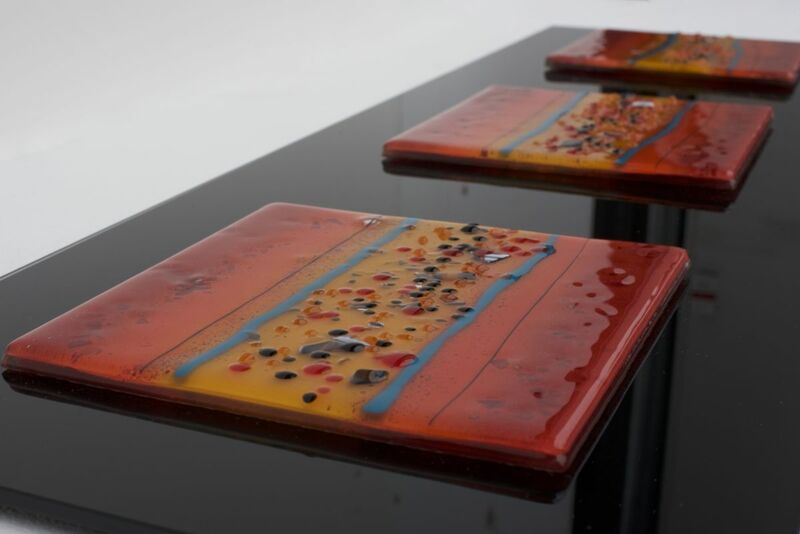 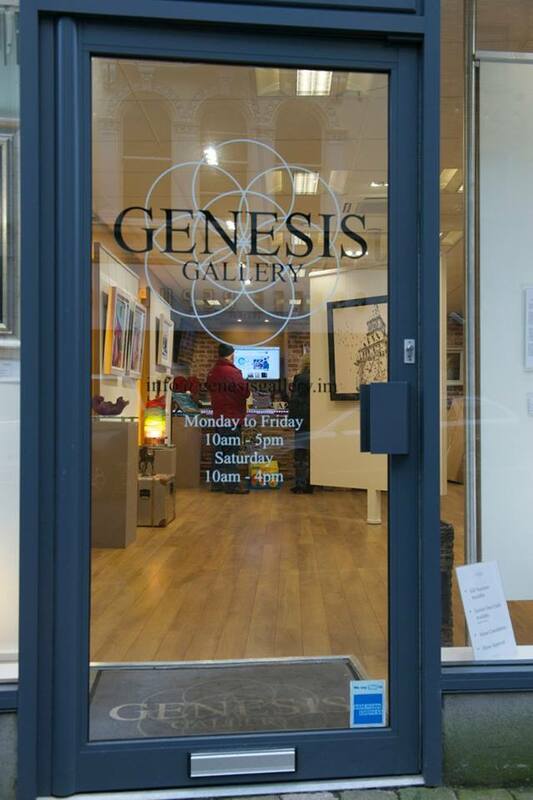 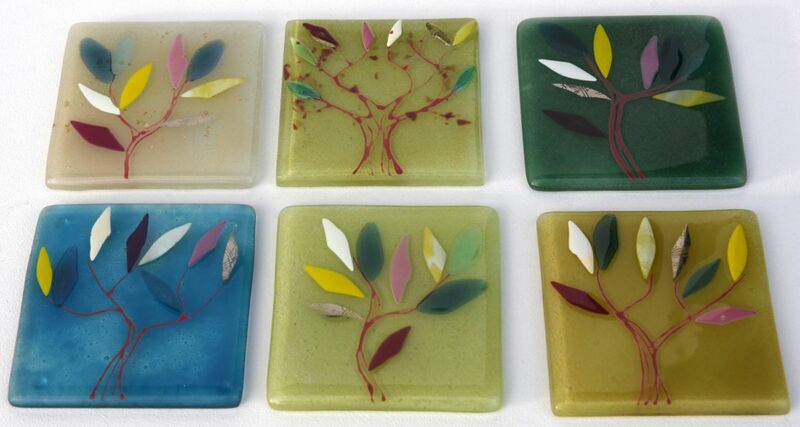 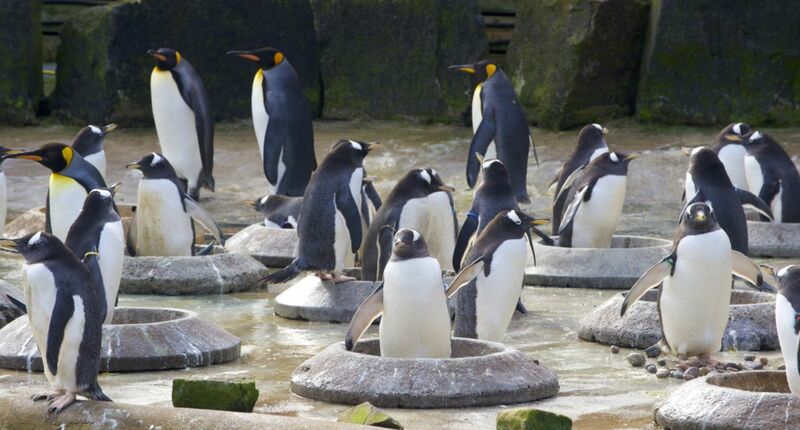 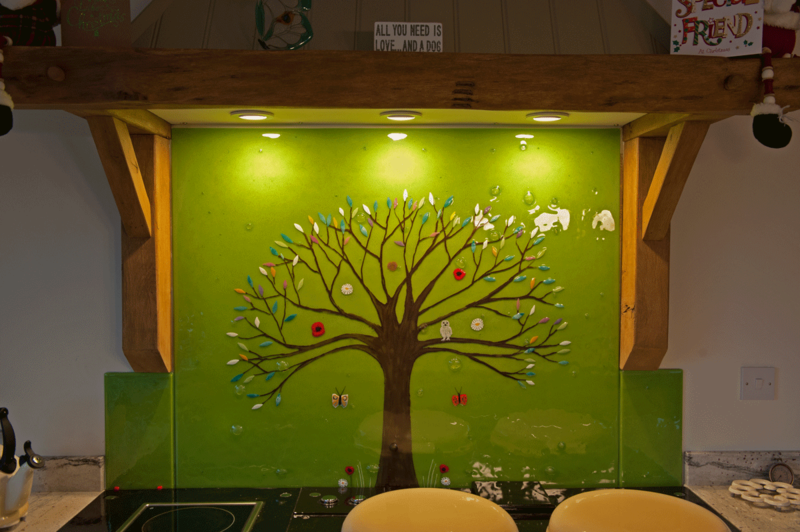 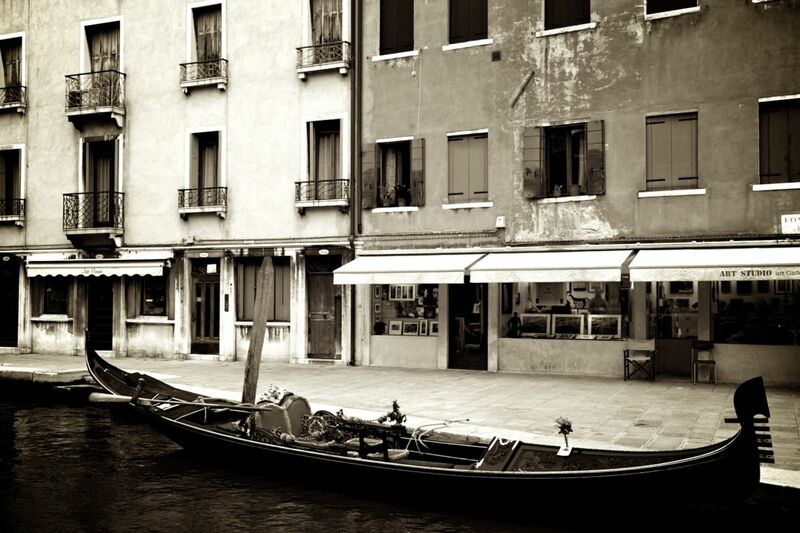 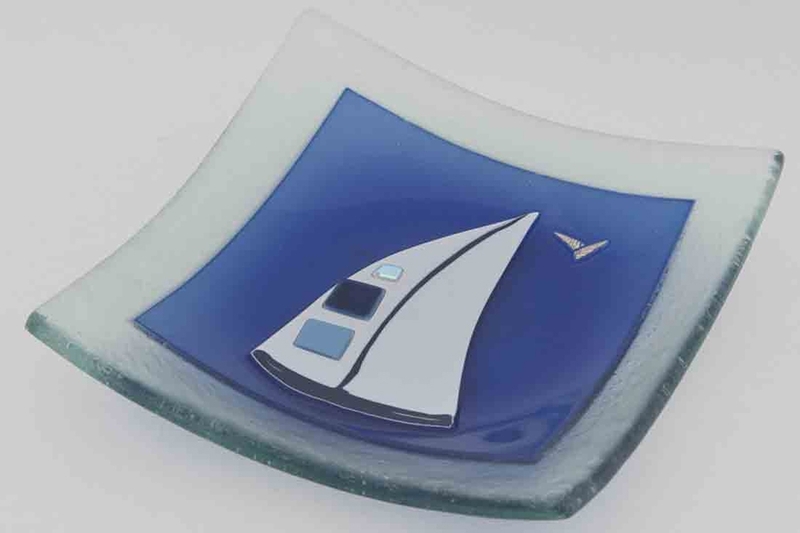 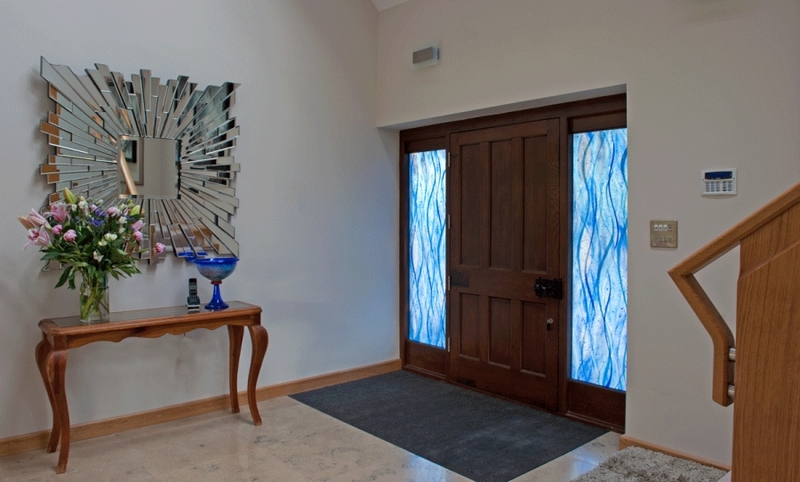 No matter what your idea is for the perfect piece of fused glass art, make sure you don’t wait to get in touch as soon as you can. 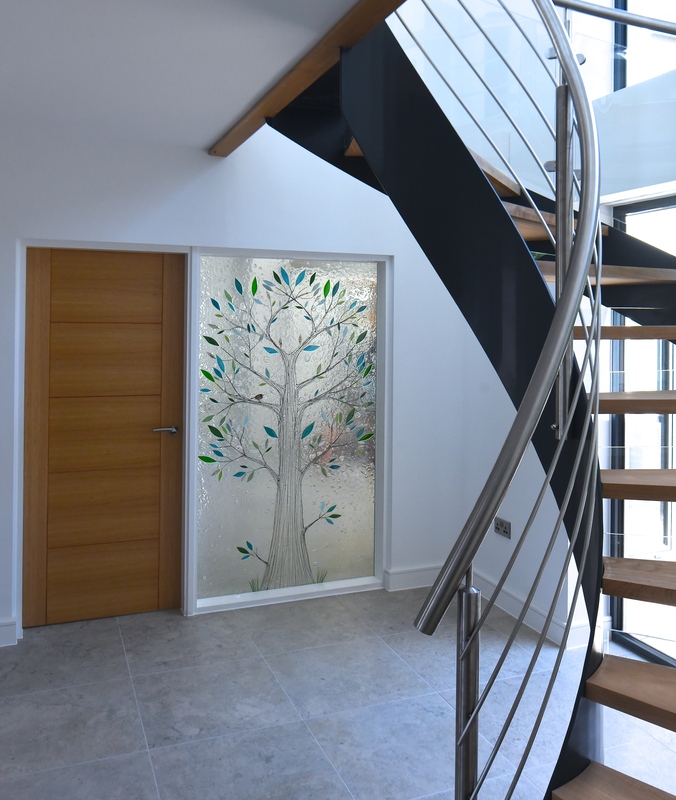 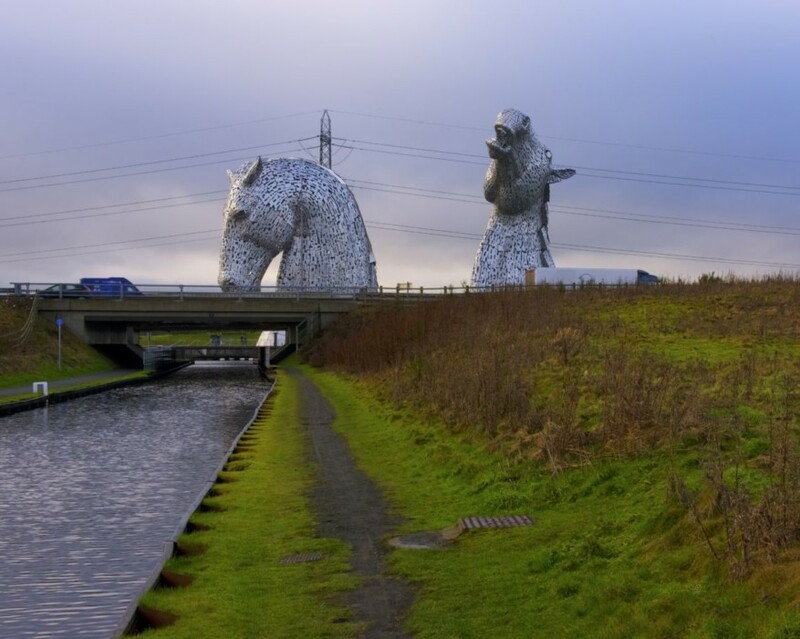 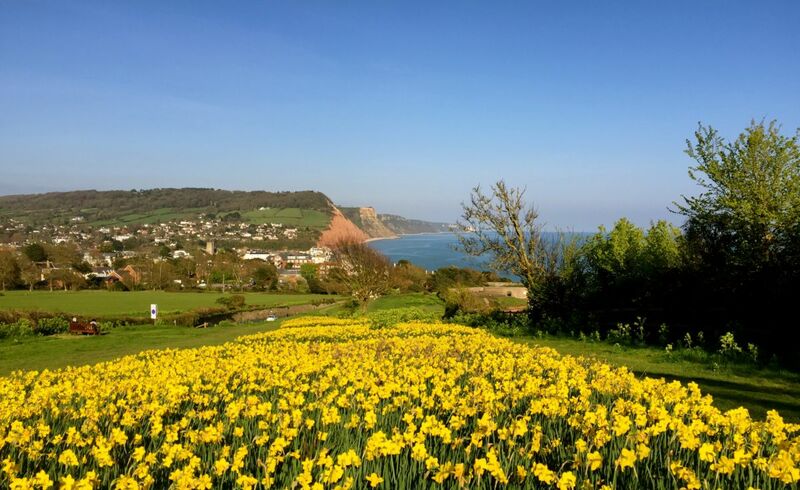 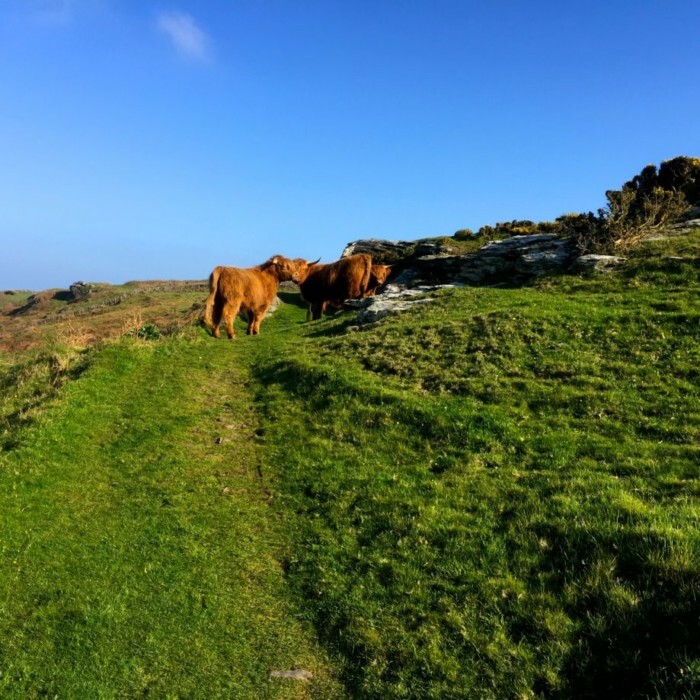 You can always feel free to pick up the phone or drop us an email, and we’ll soon be delivering something special to your doorstep.